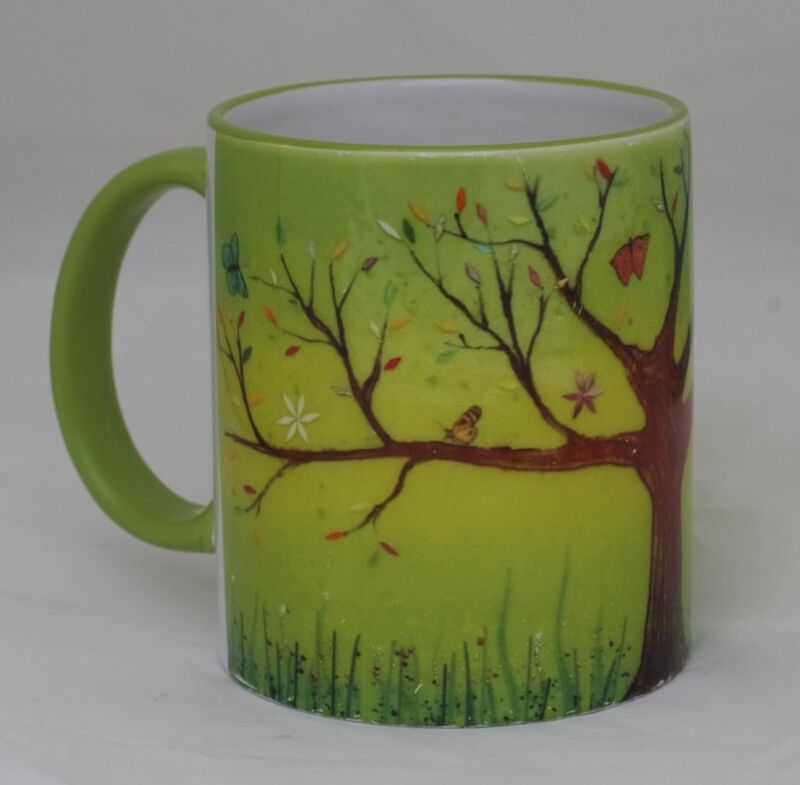 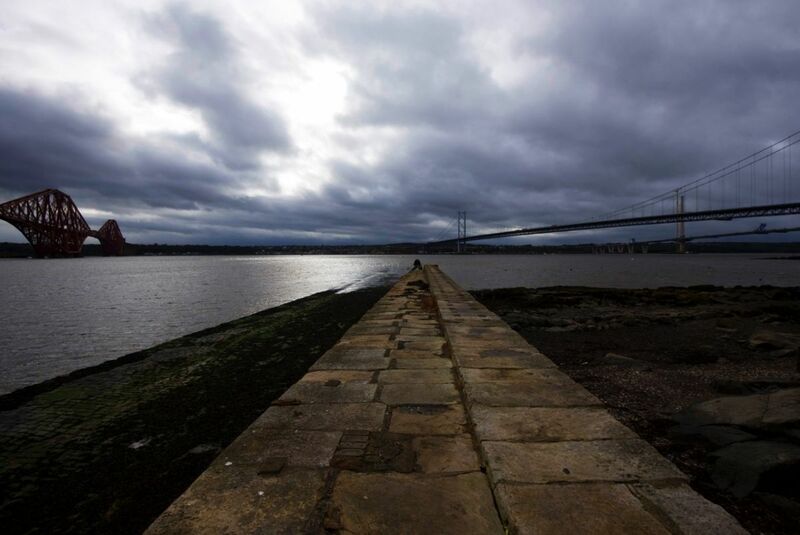 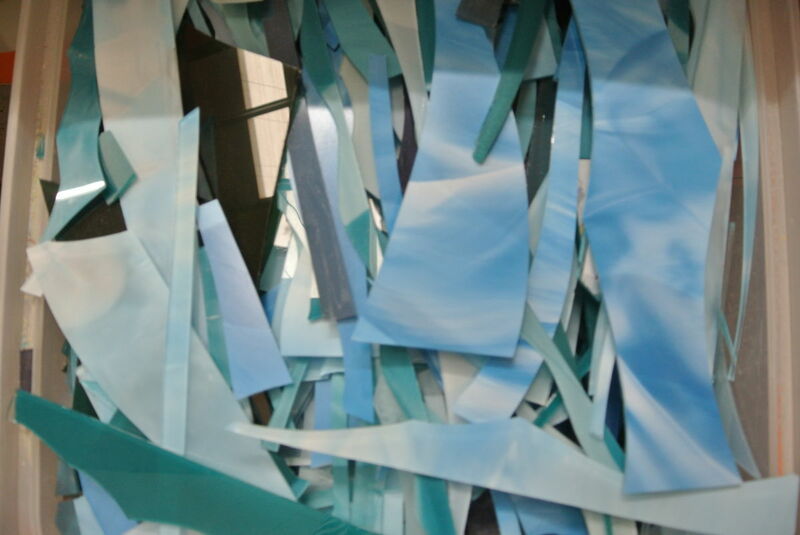 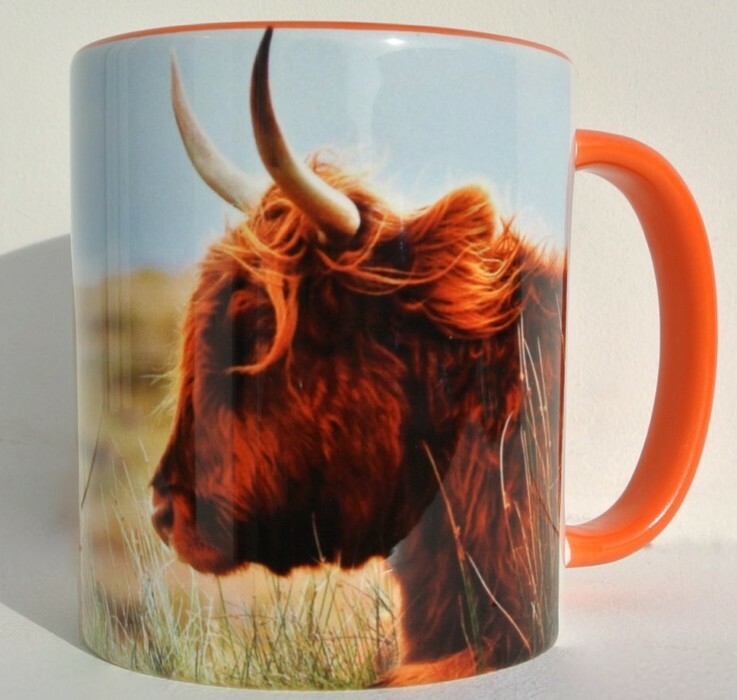 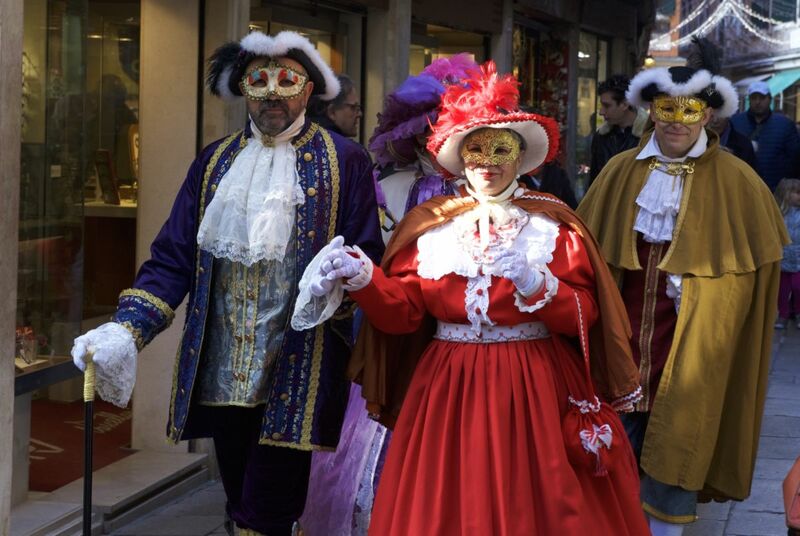 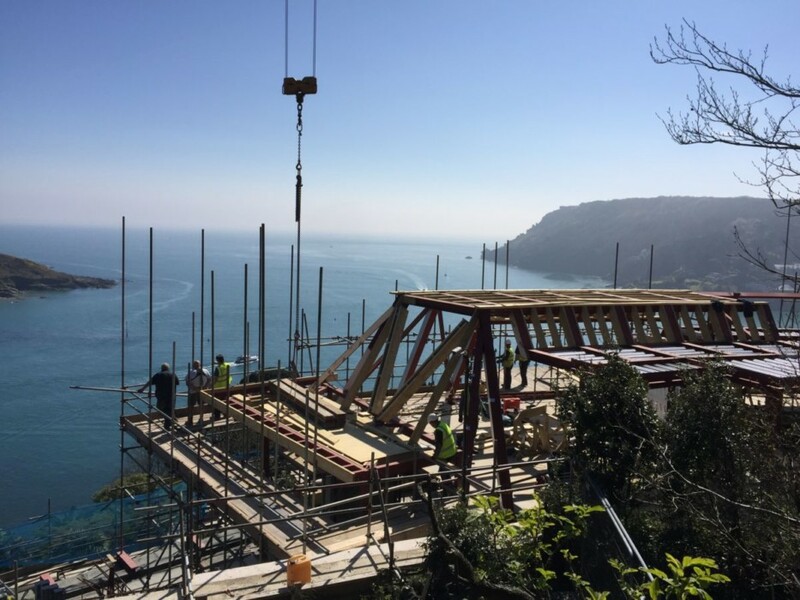 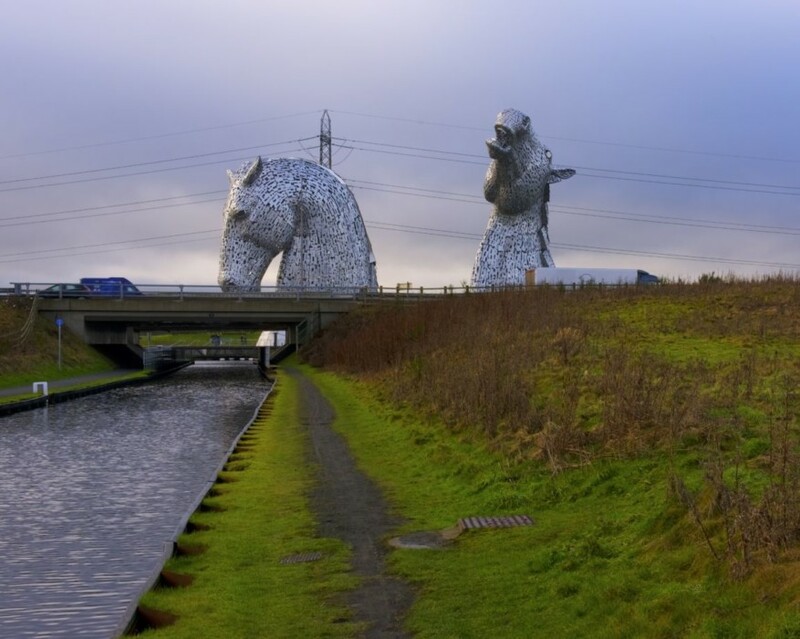 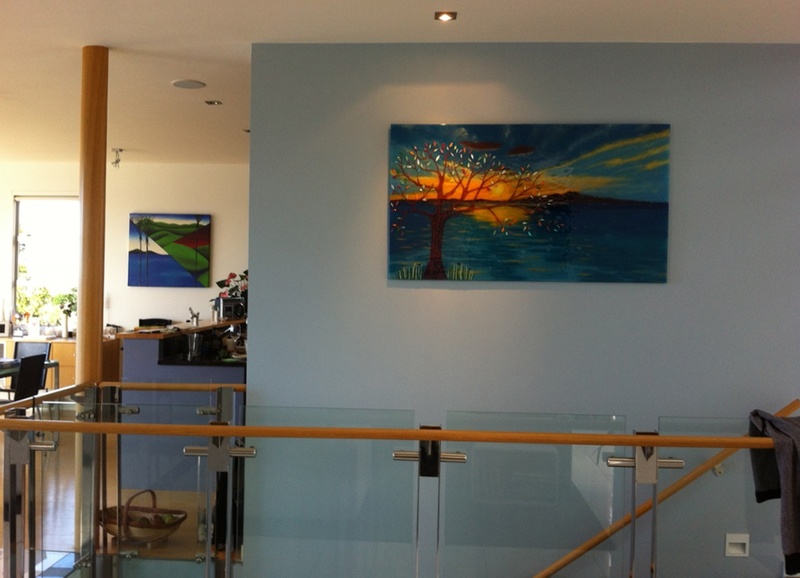 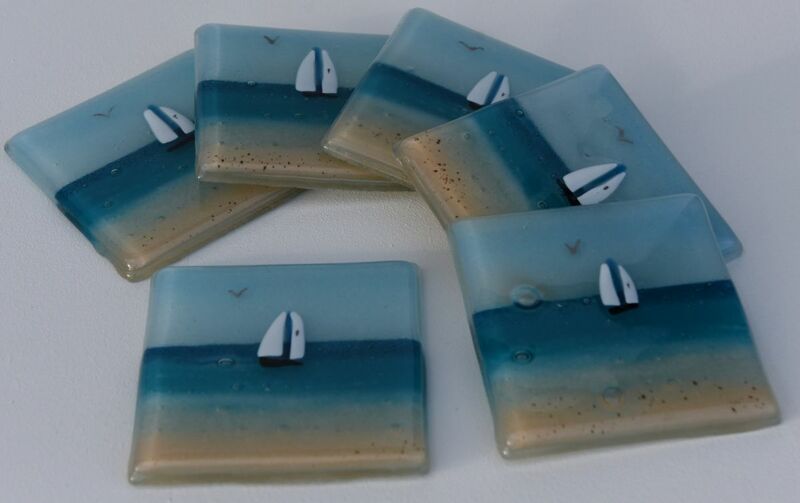 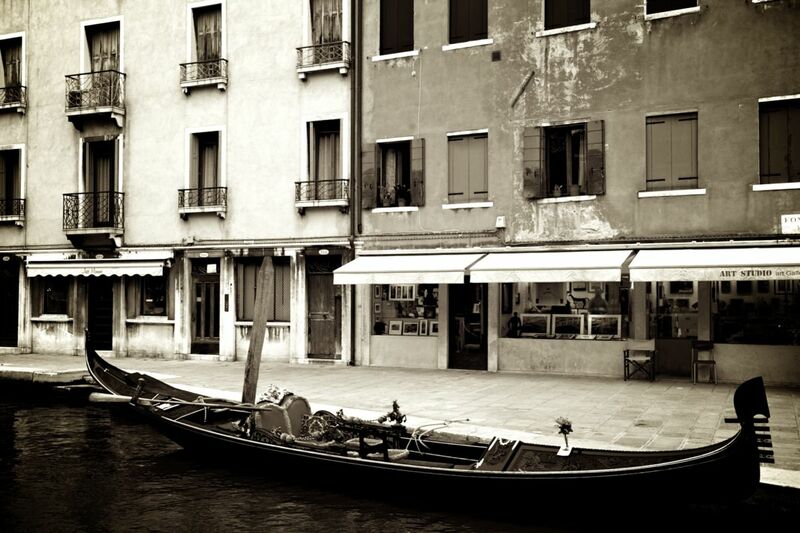 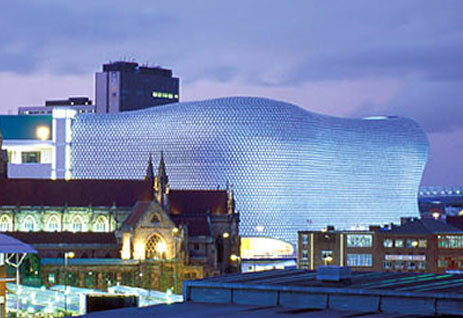 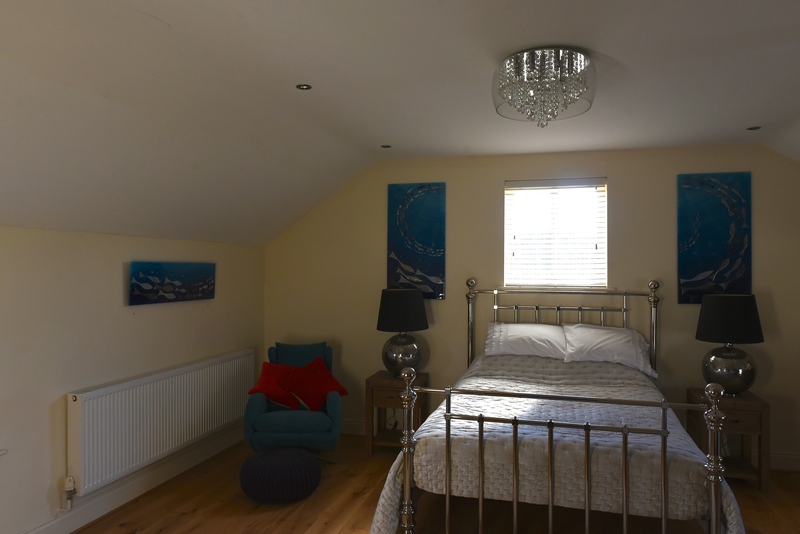 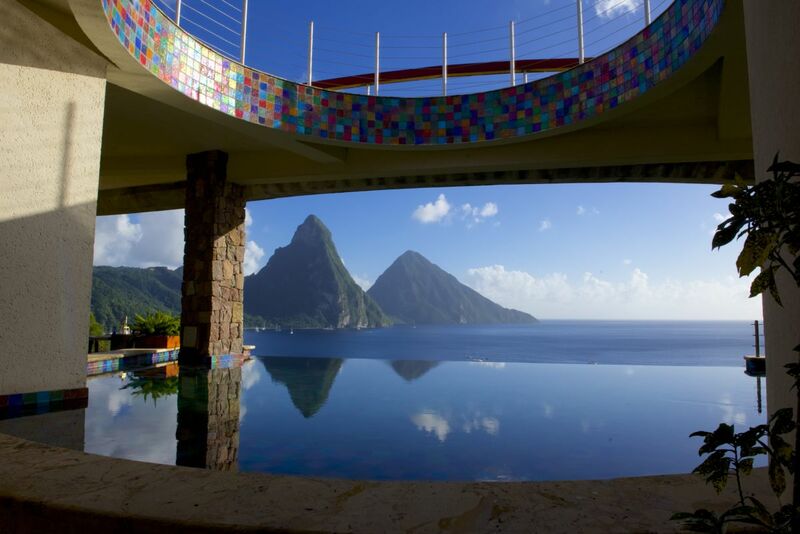 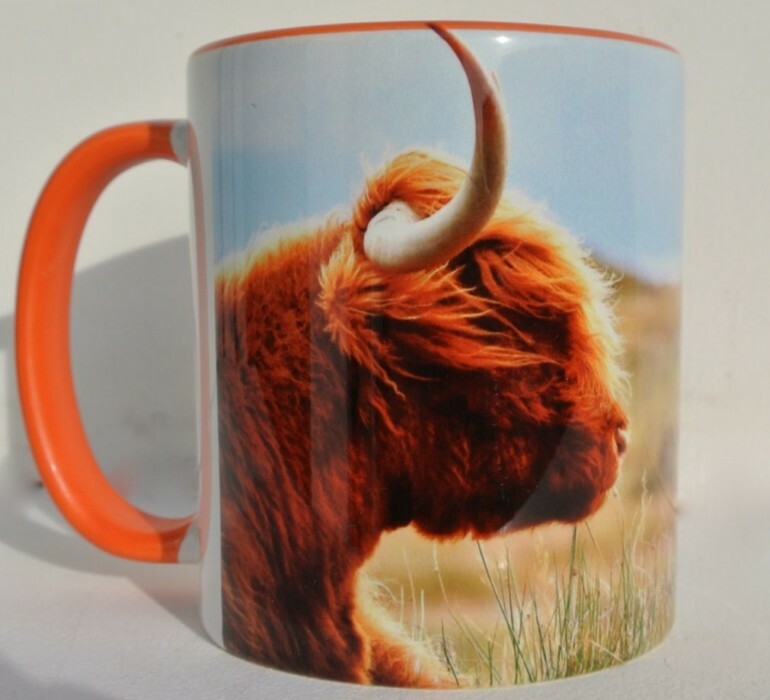 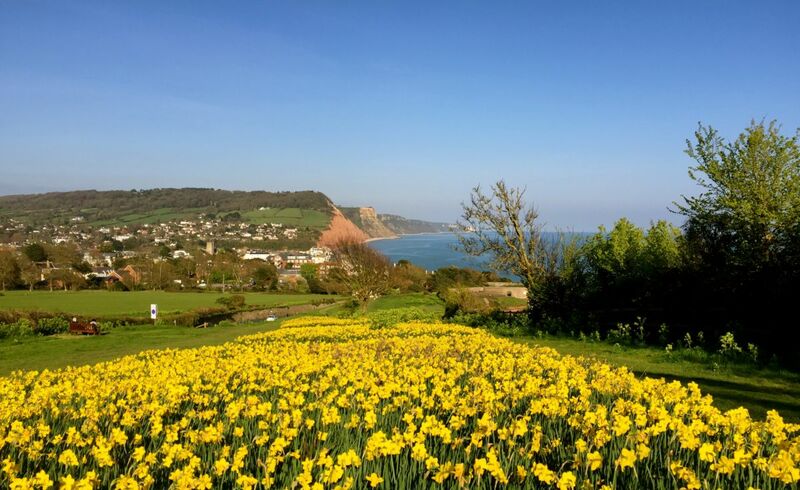 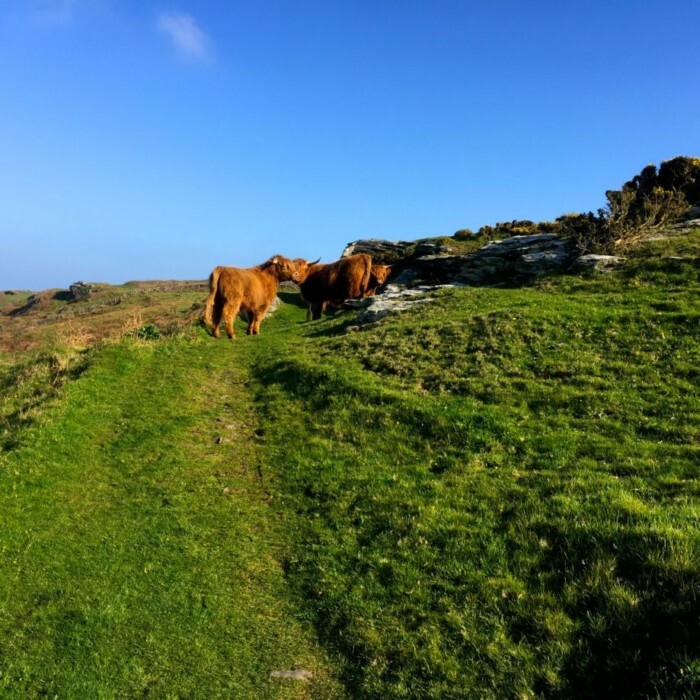 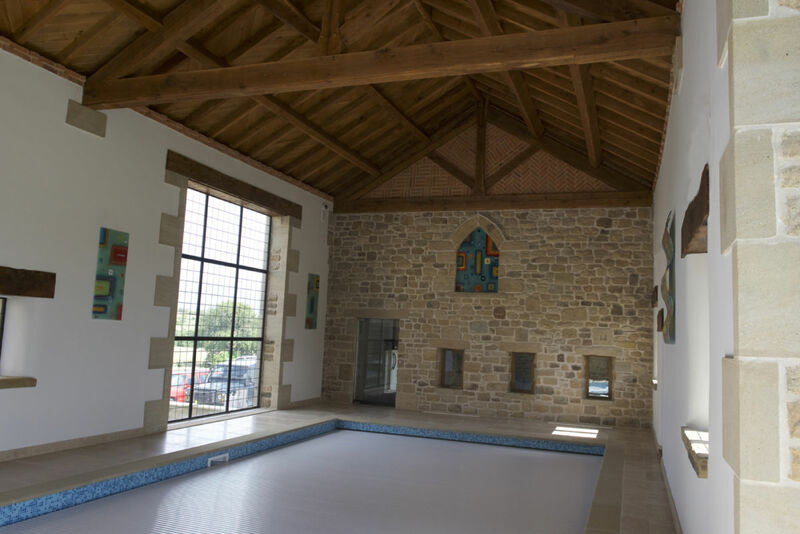 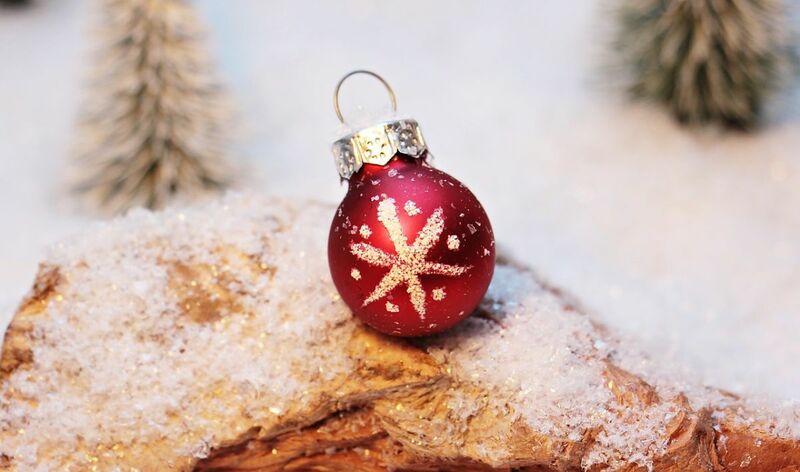 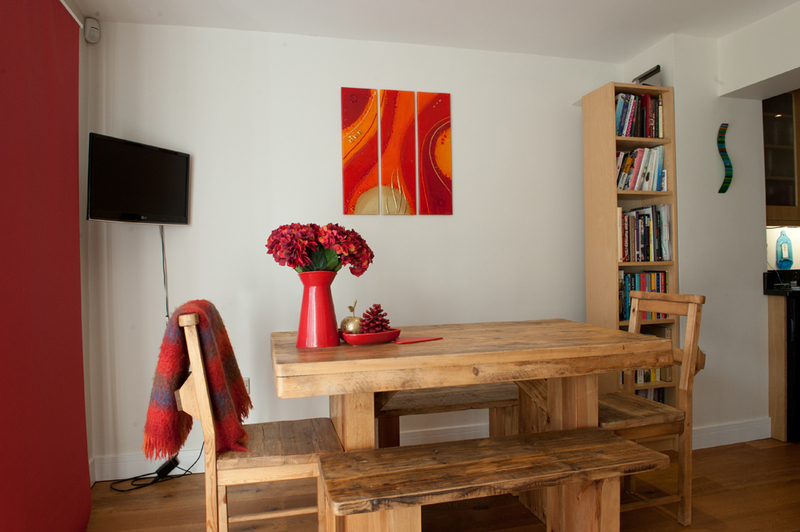 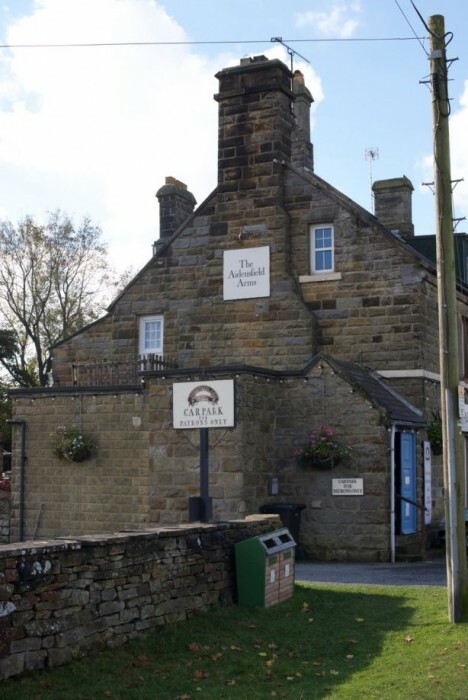 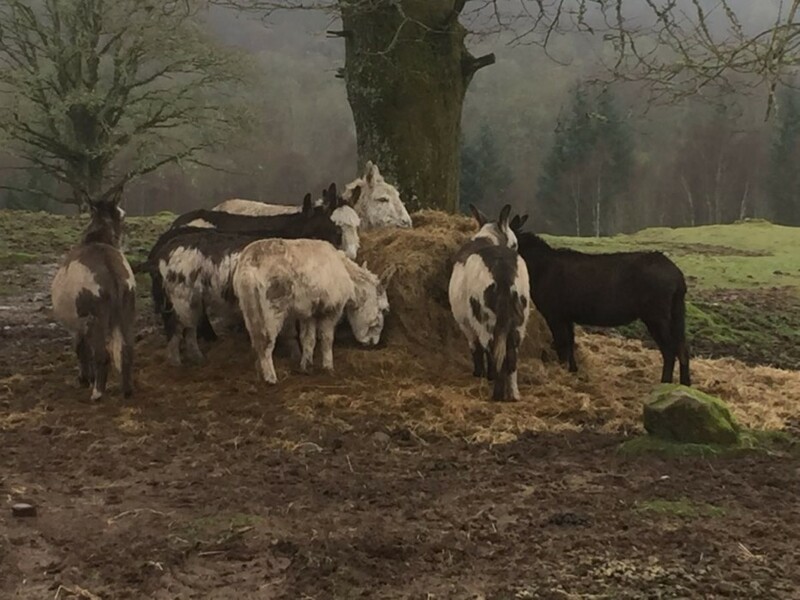 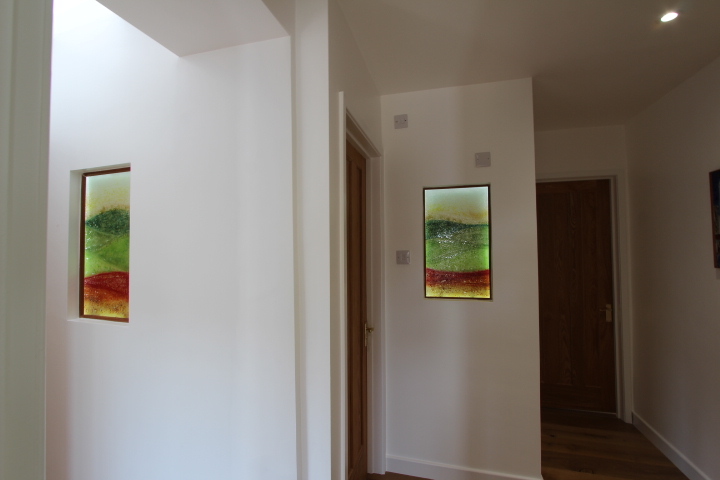 For today’s blog, we’ve got a rather picturesque pair that we’re rather proud of! 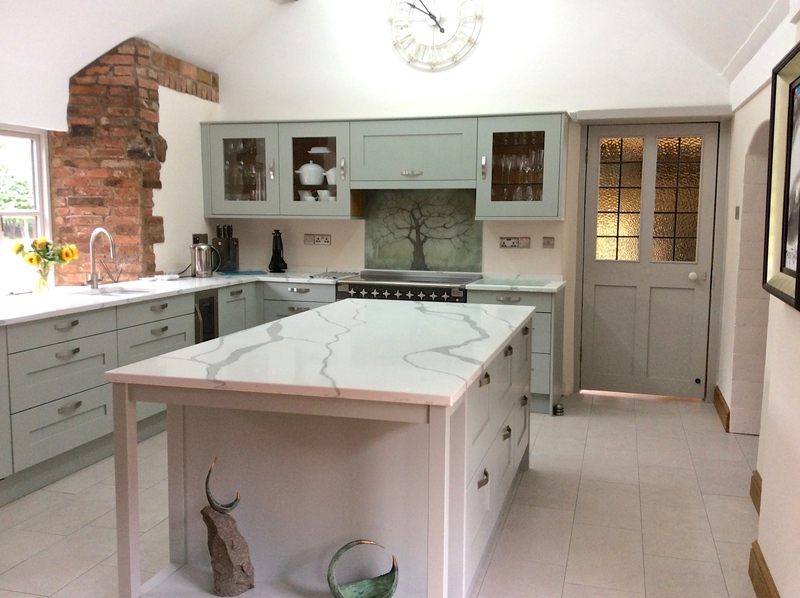 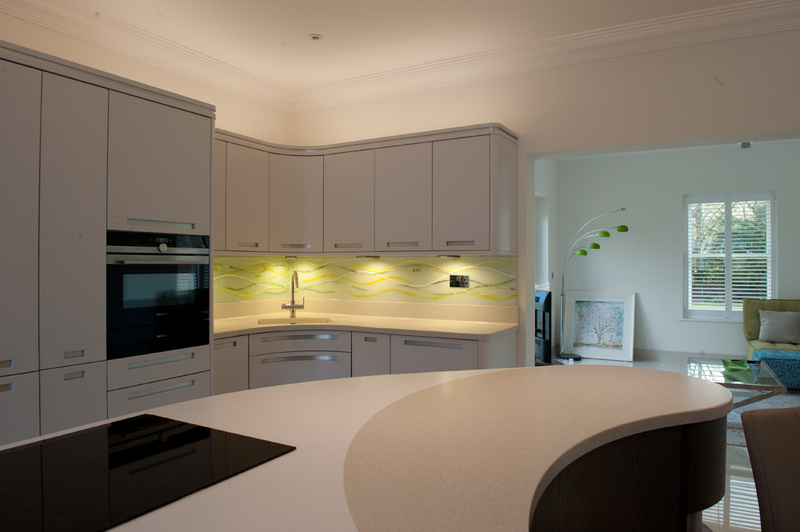 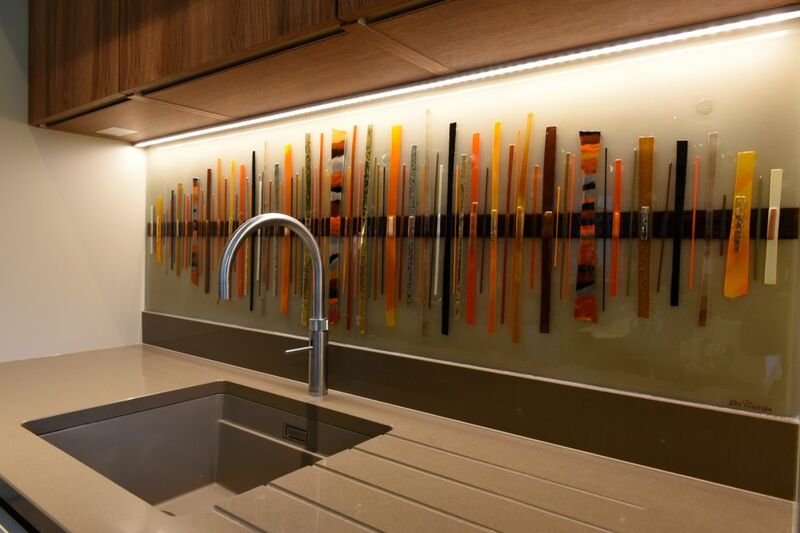 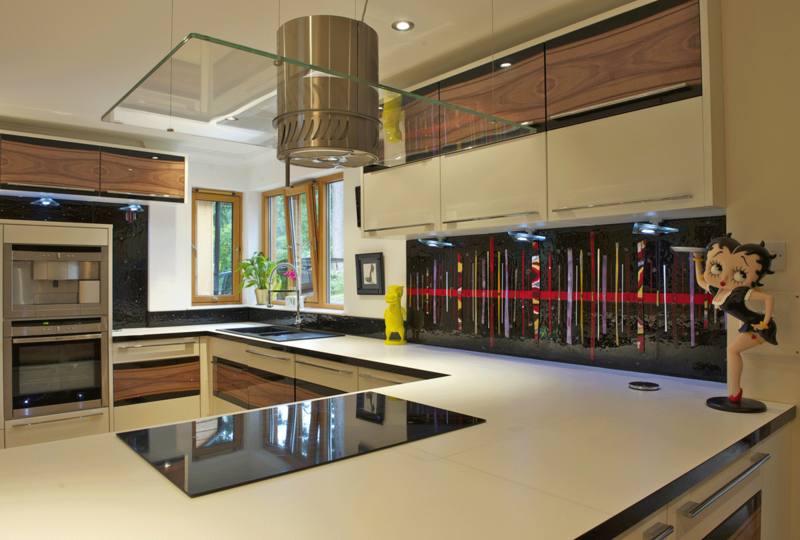 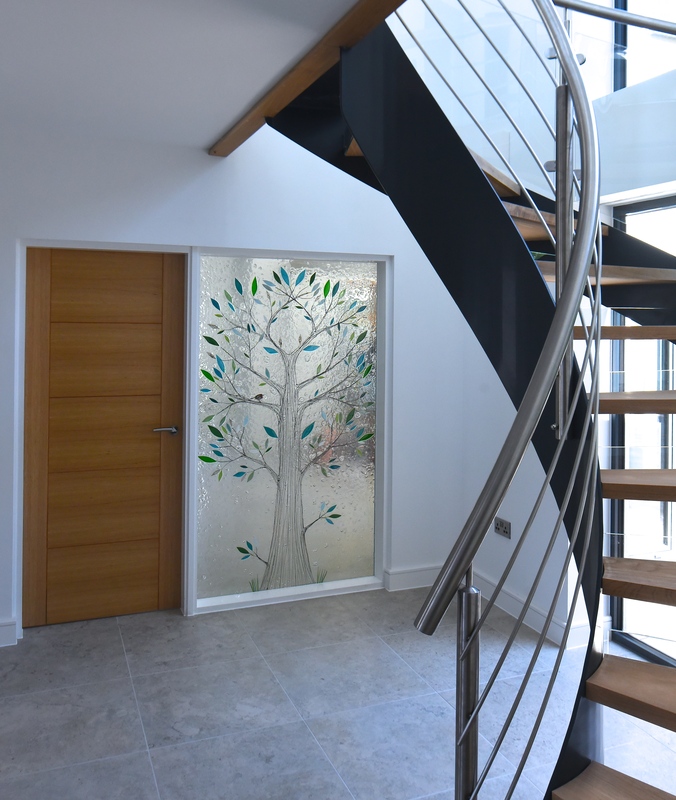 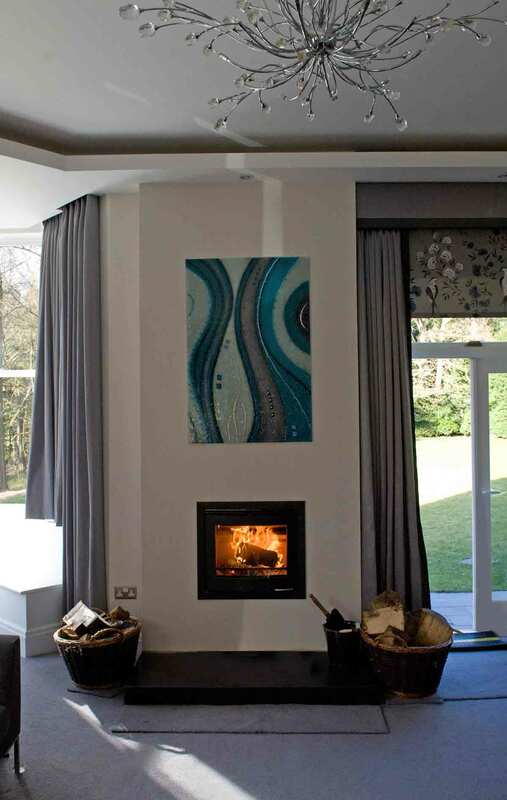 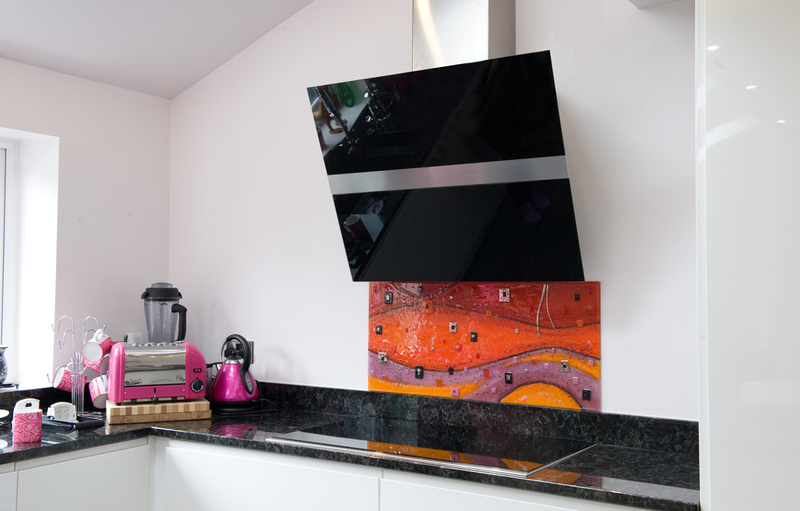 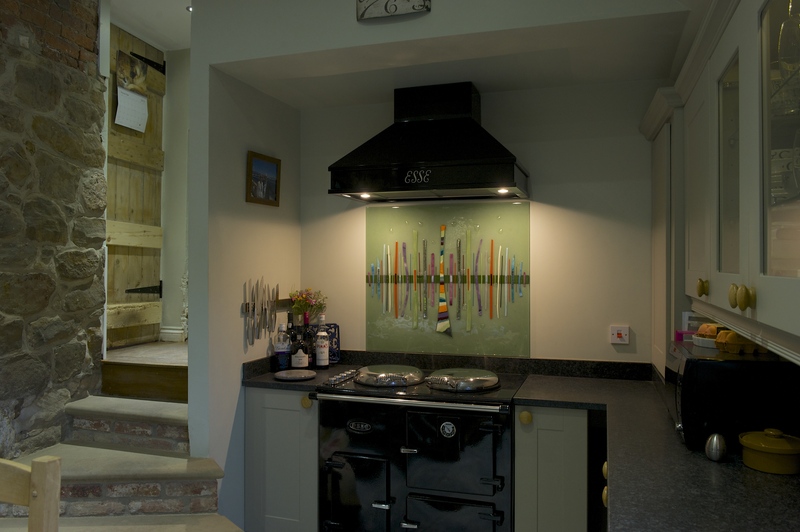 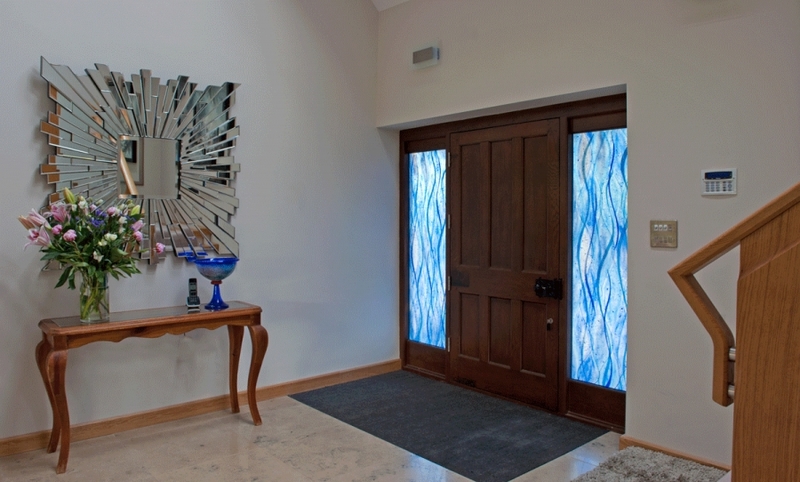 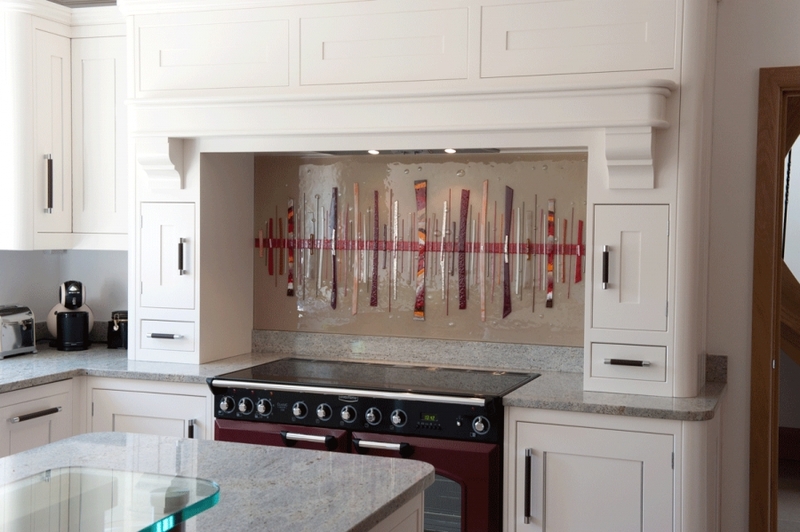 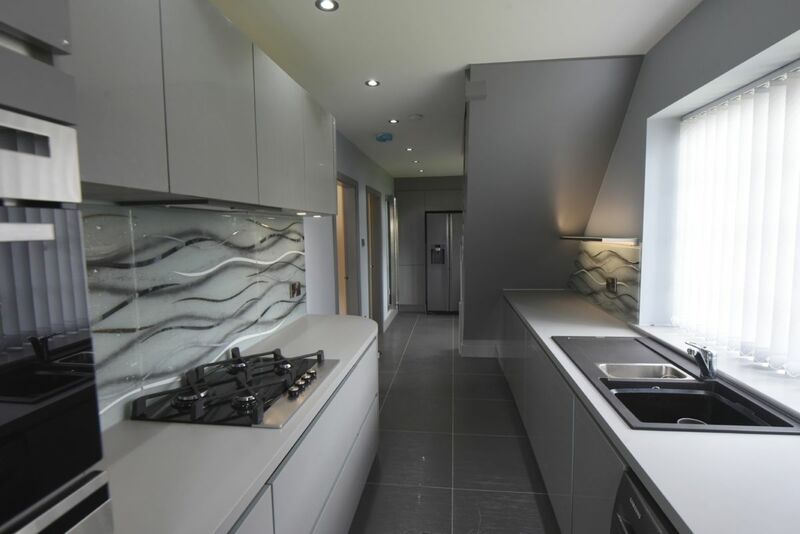 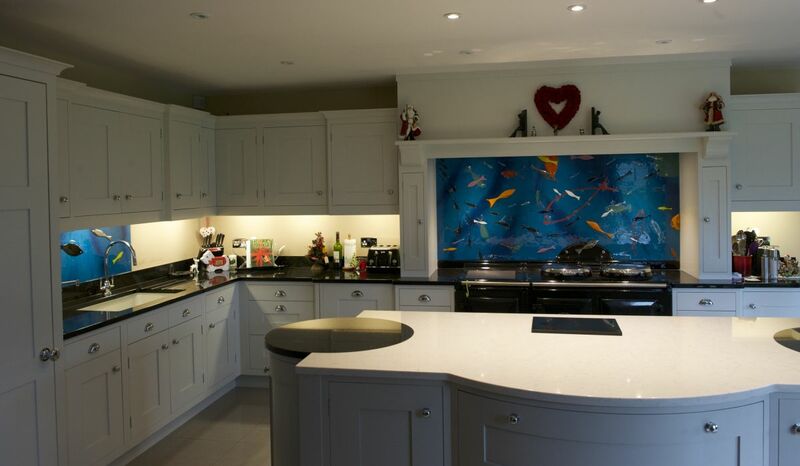 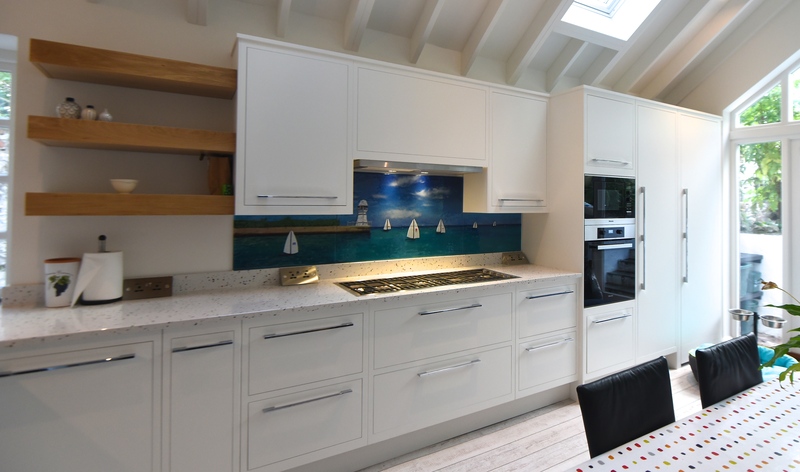 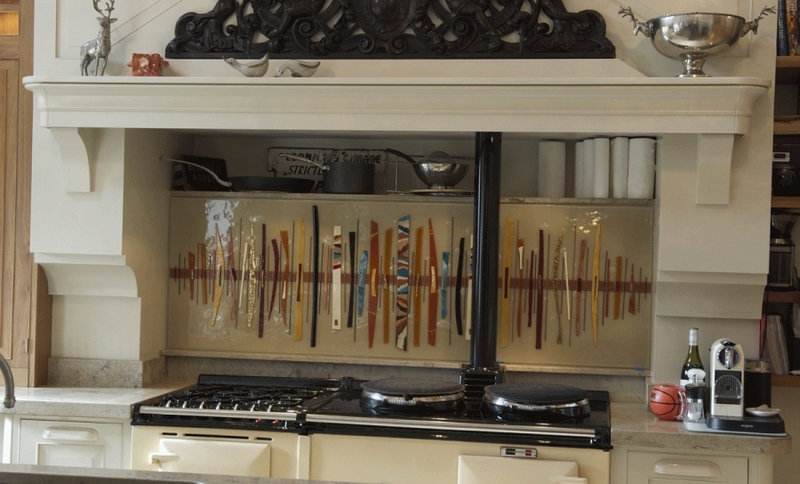 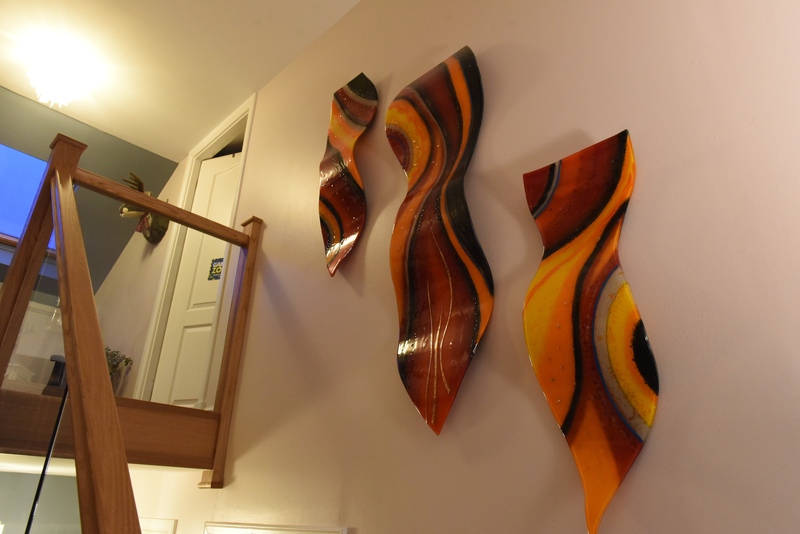 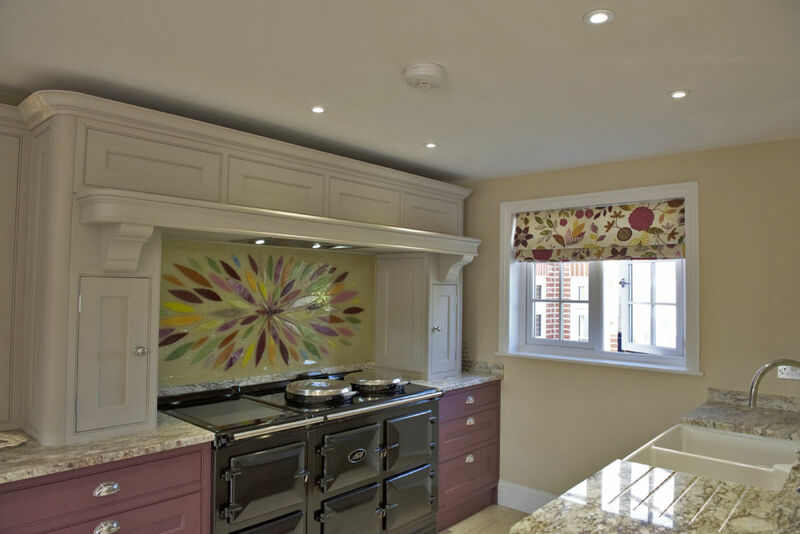 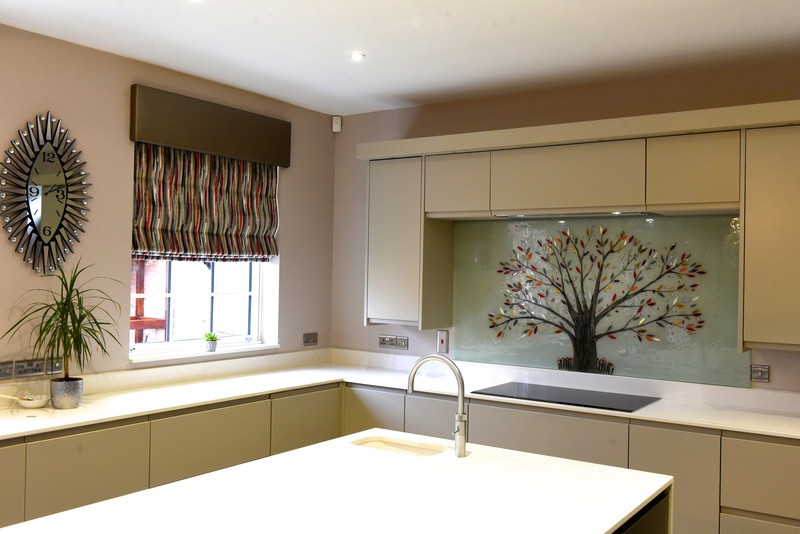 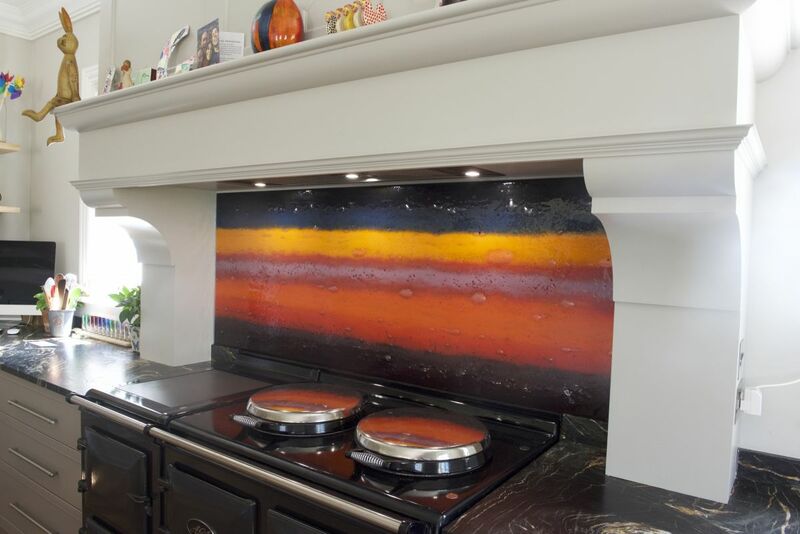 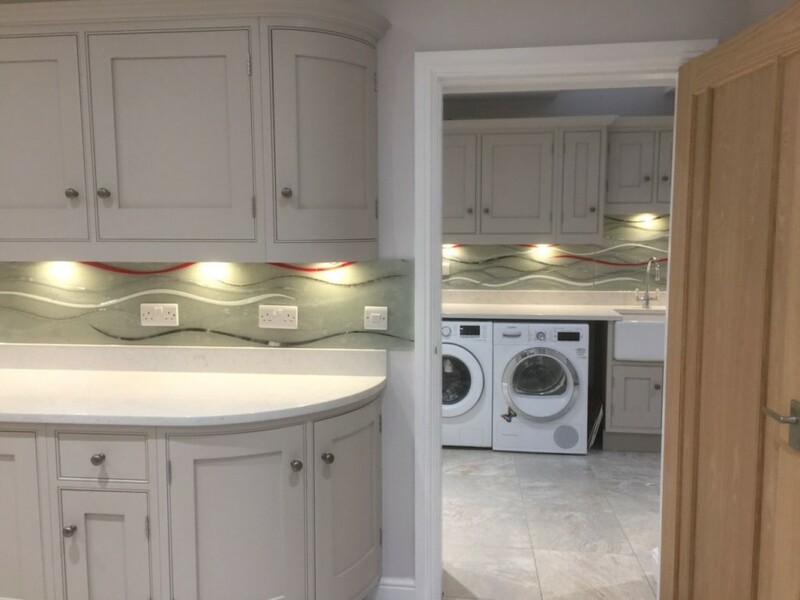 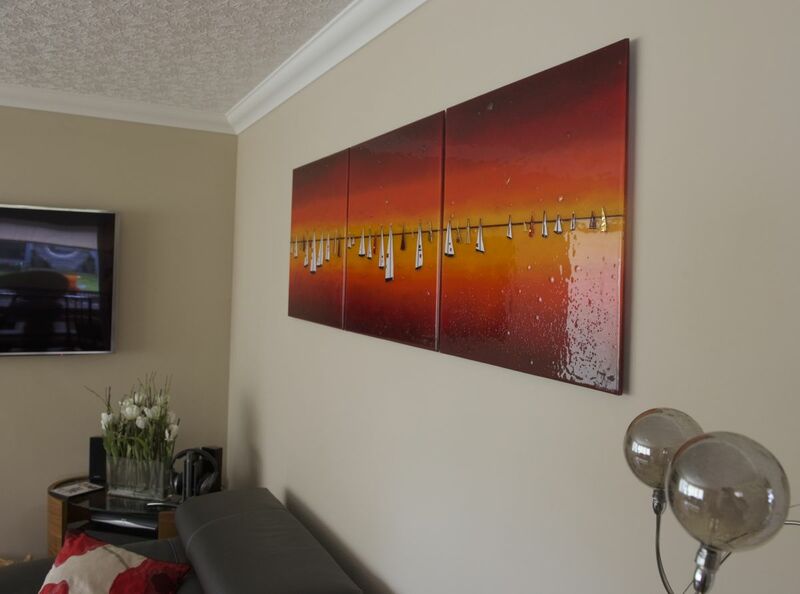 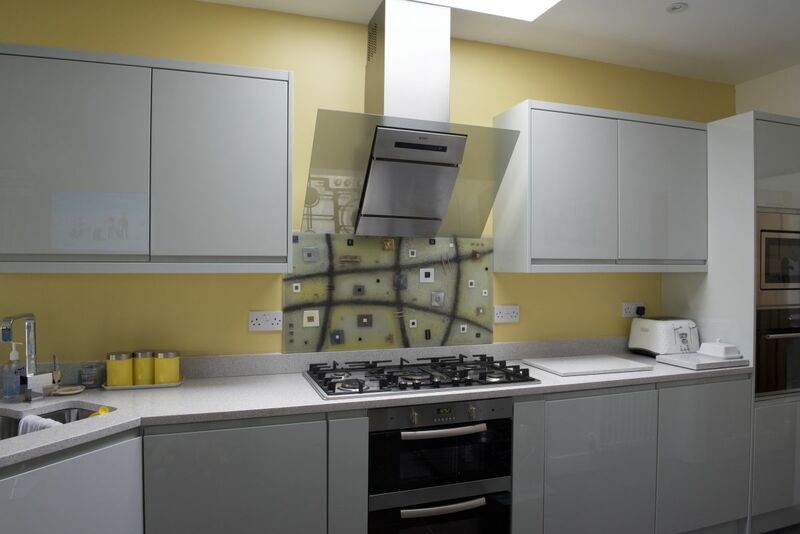 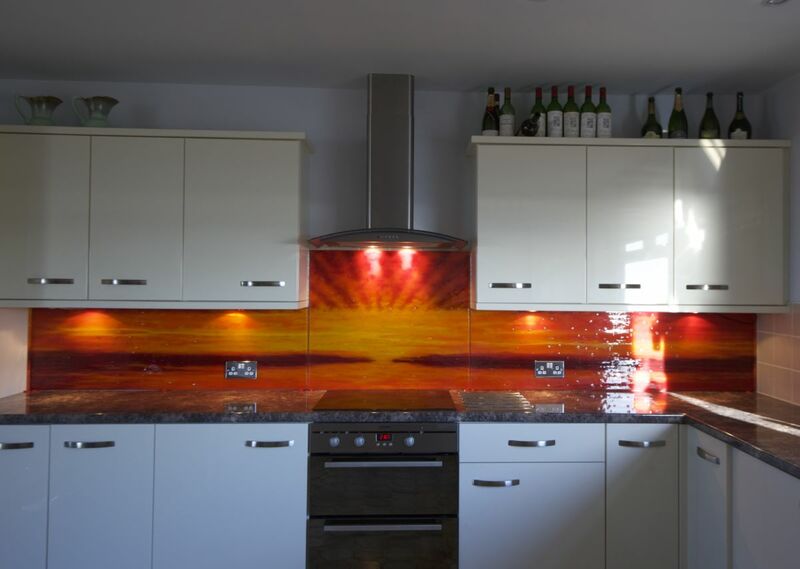 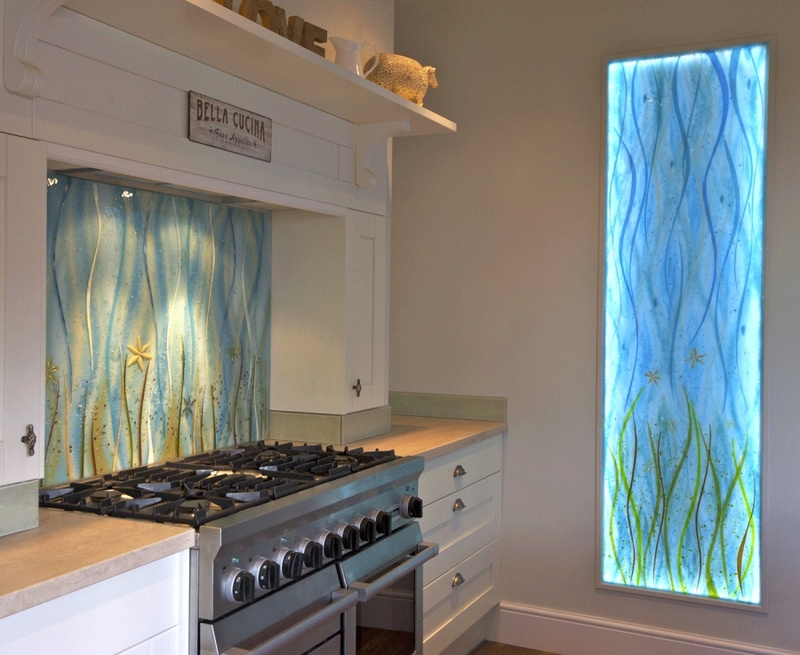 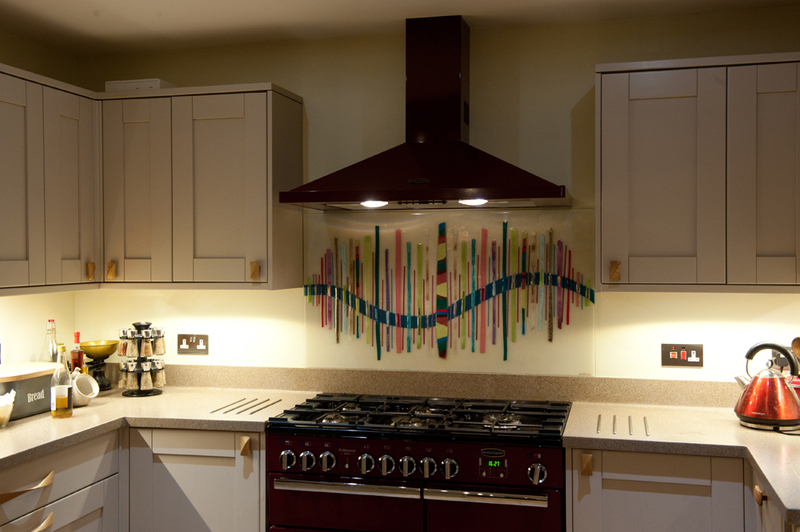 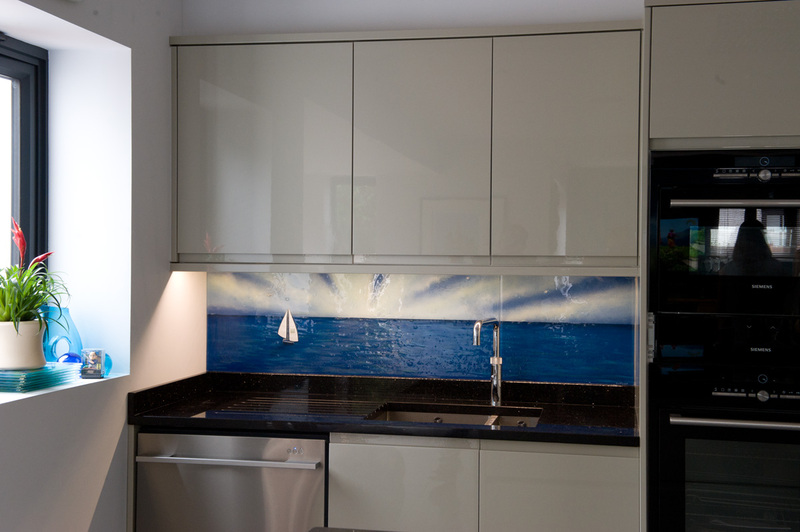 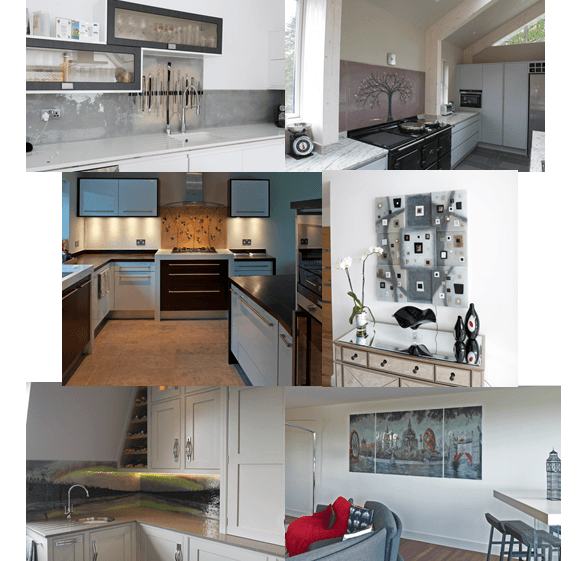 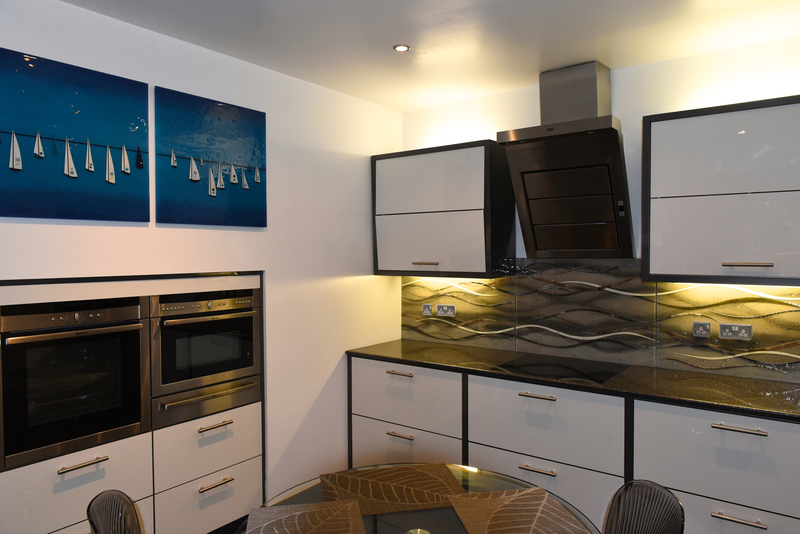 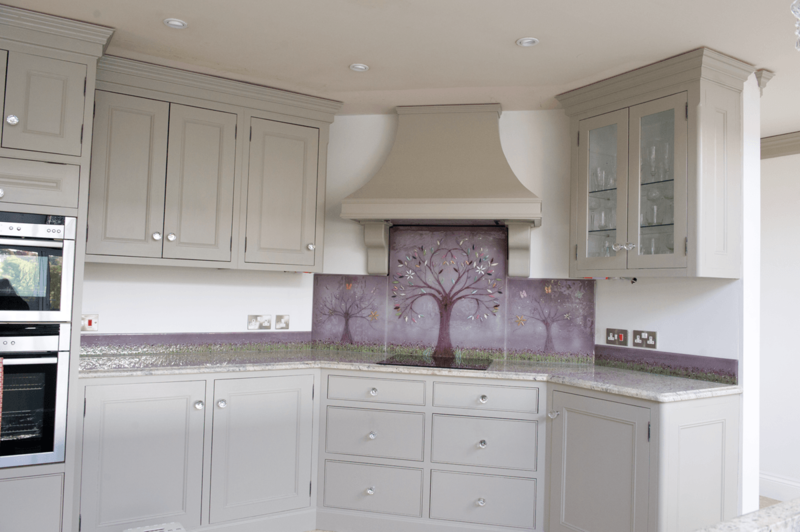 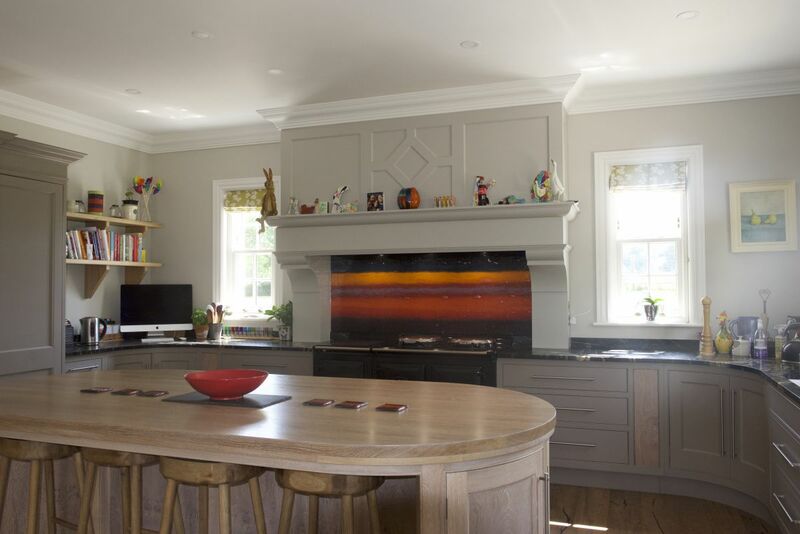 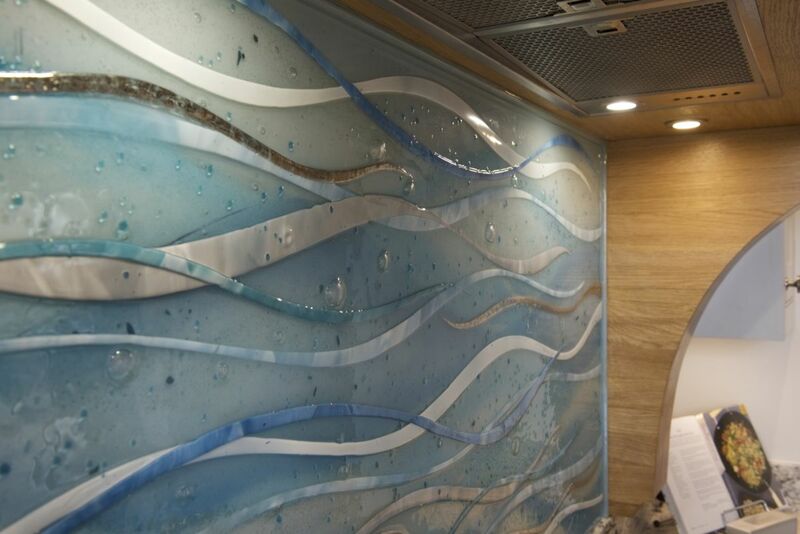 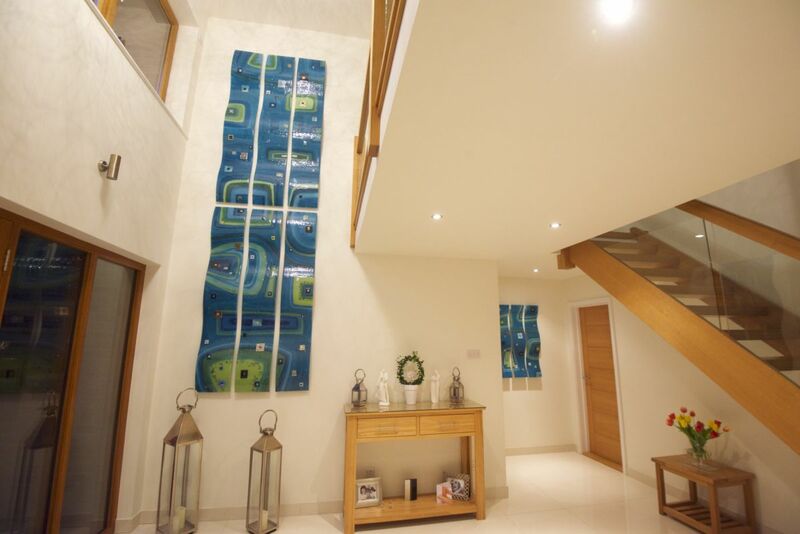 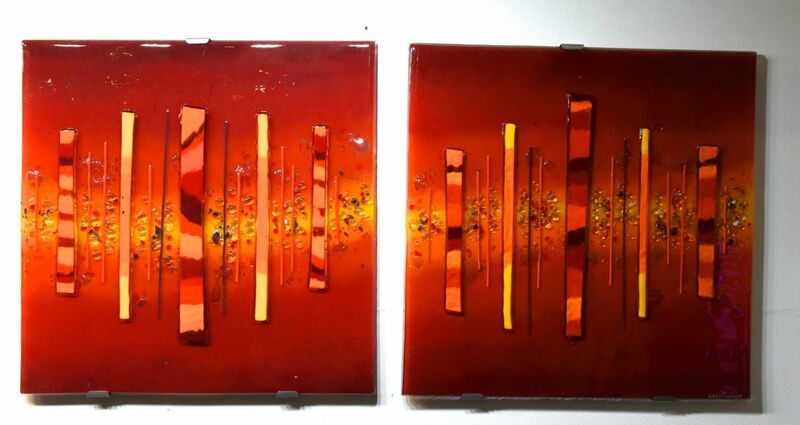 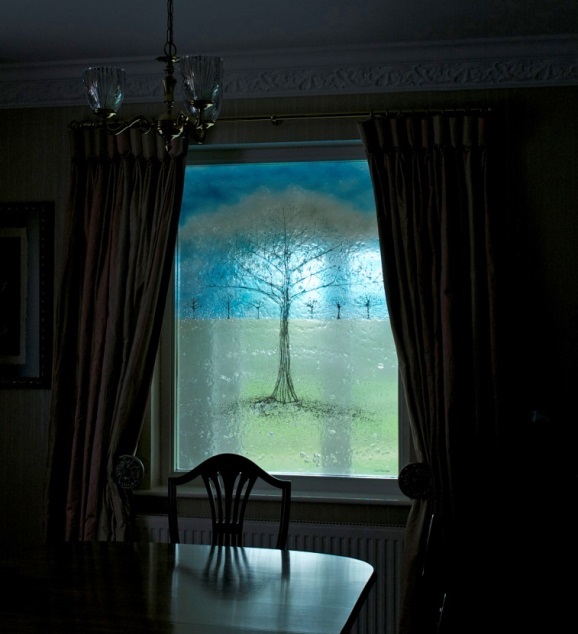 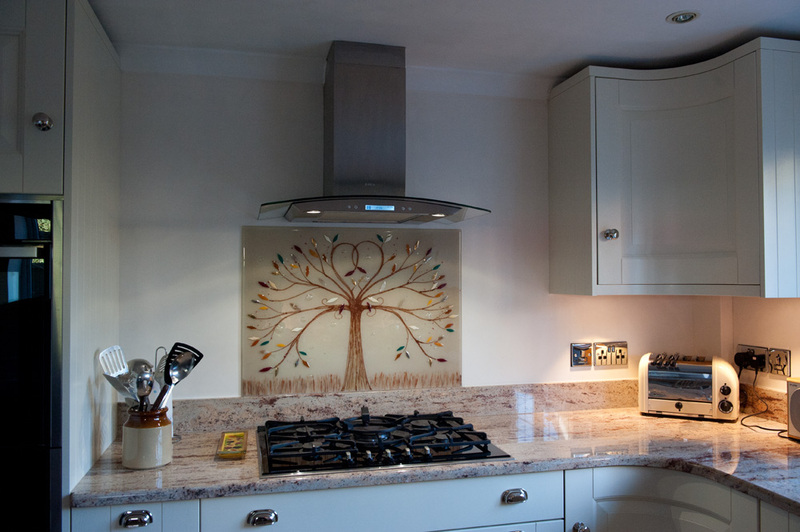 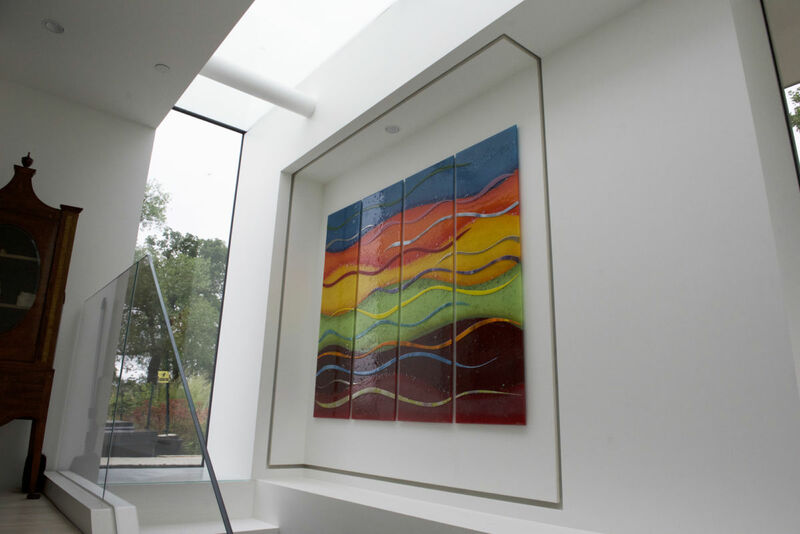 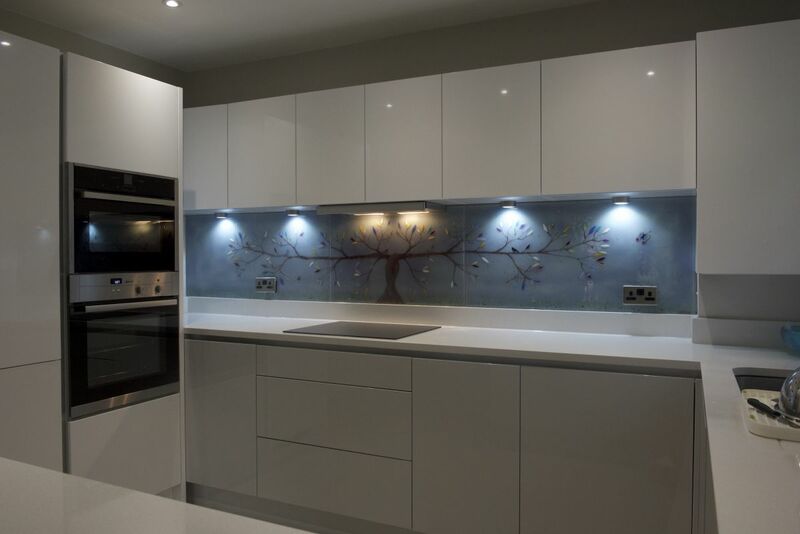 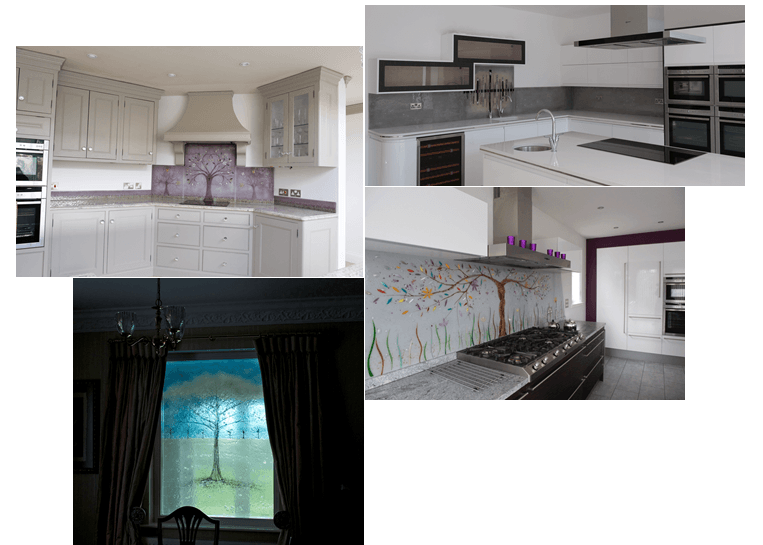 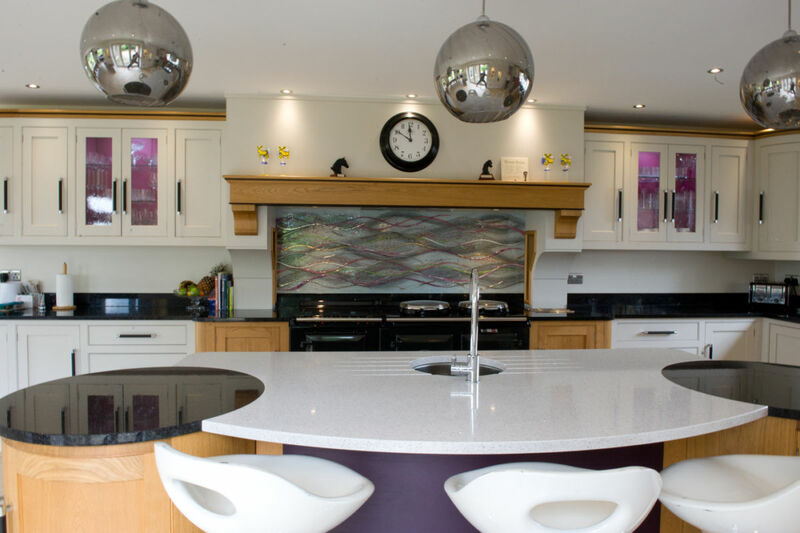 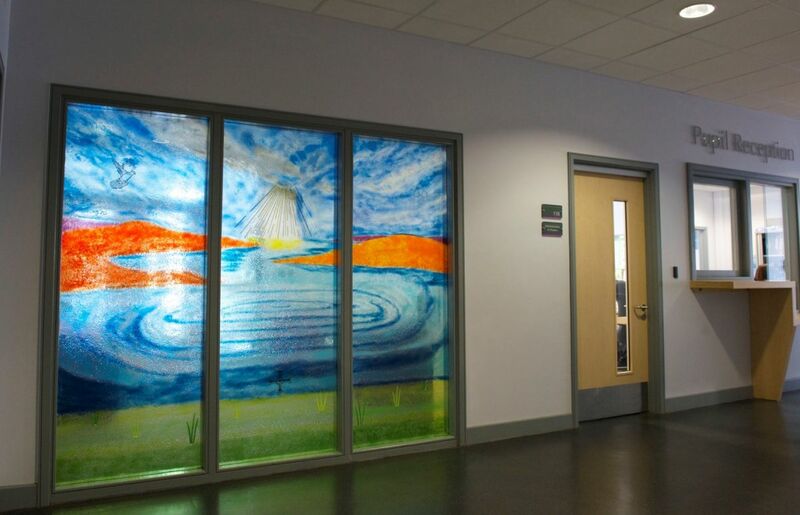 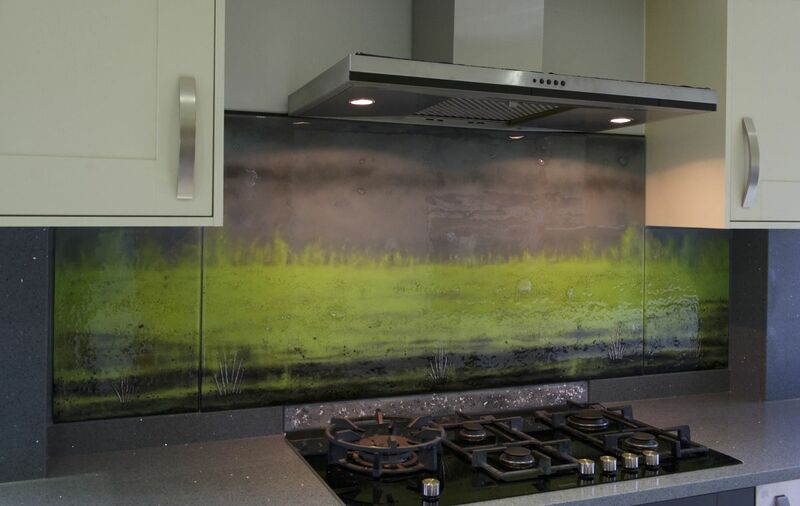 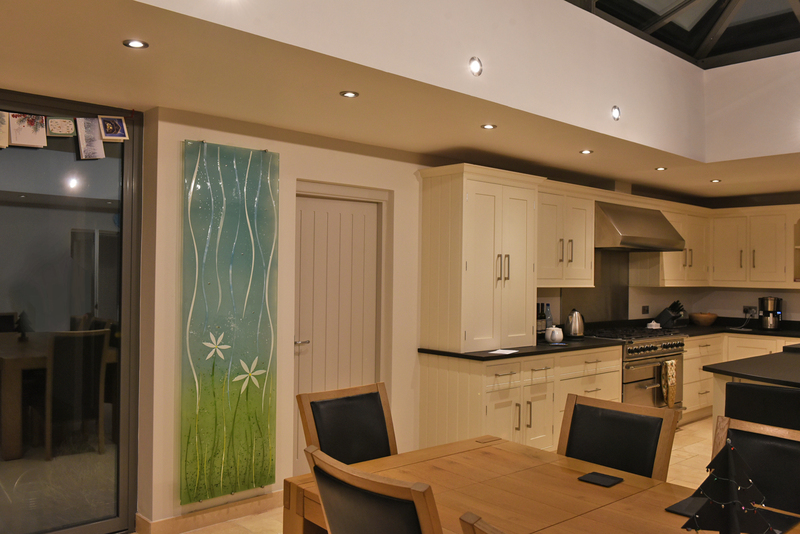 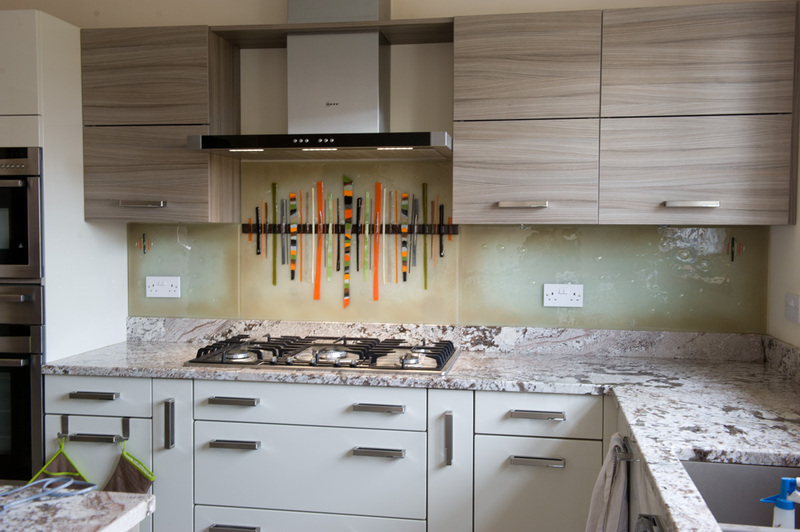 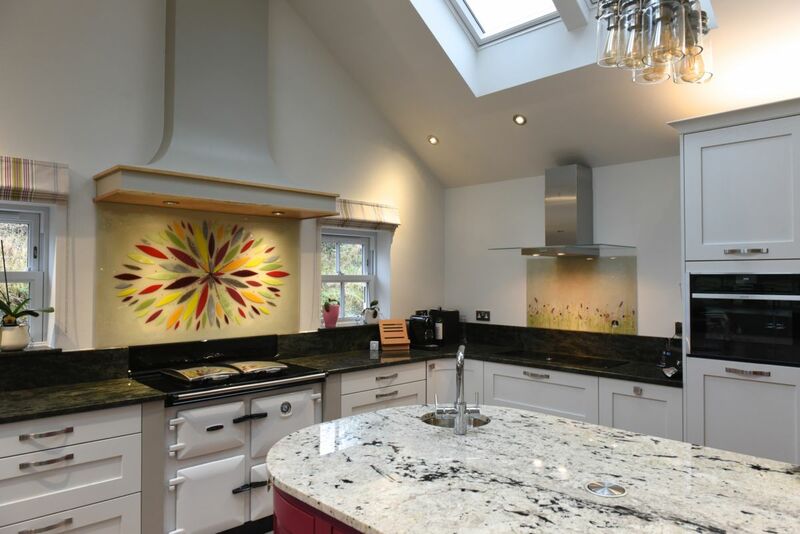 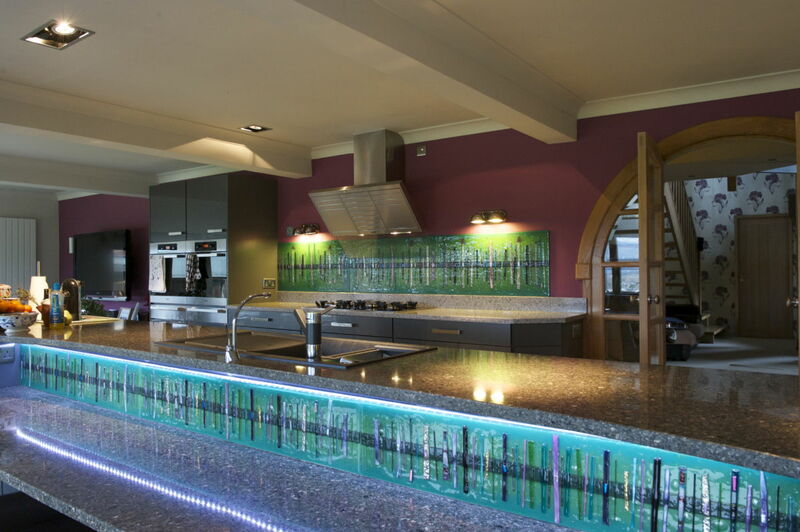 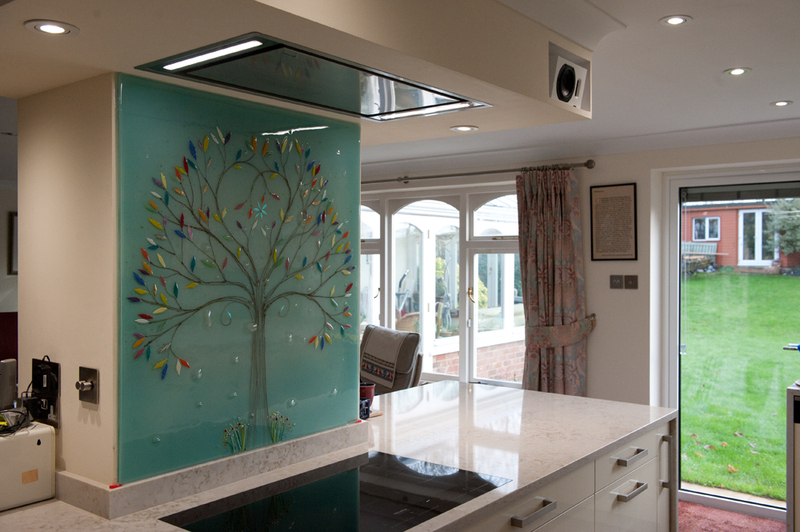 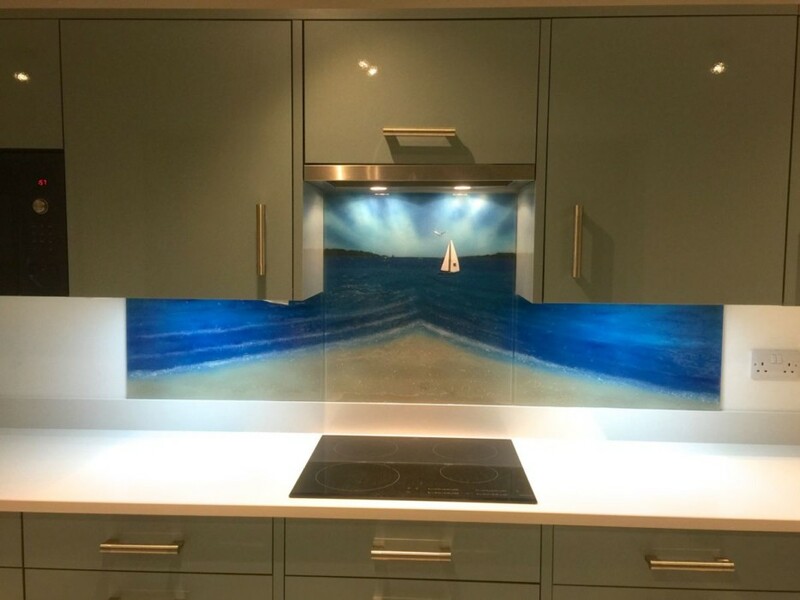 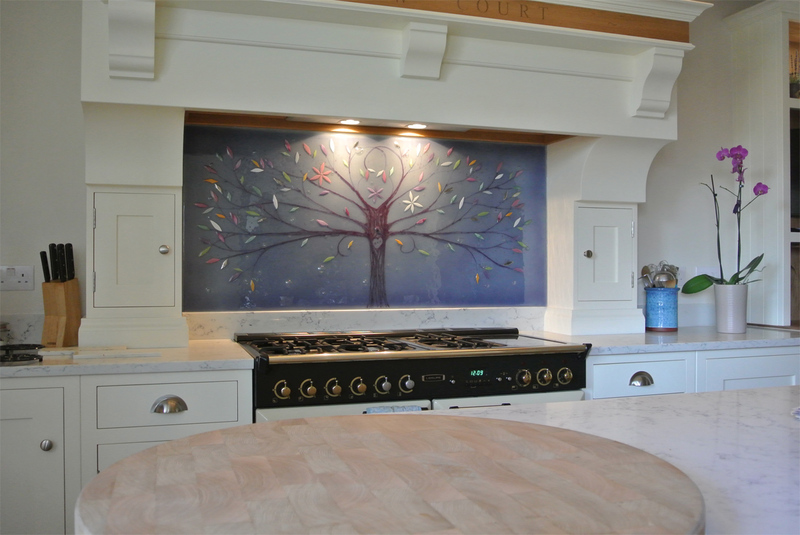 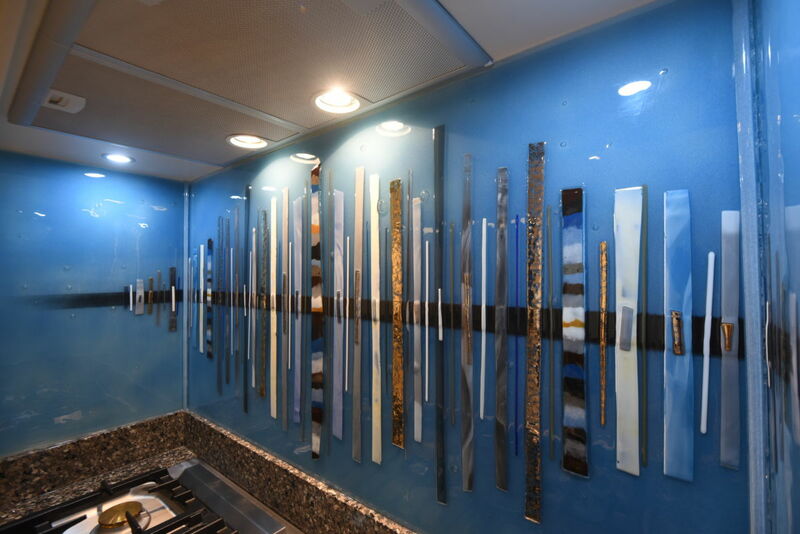 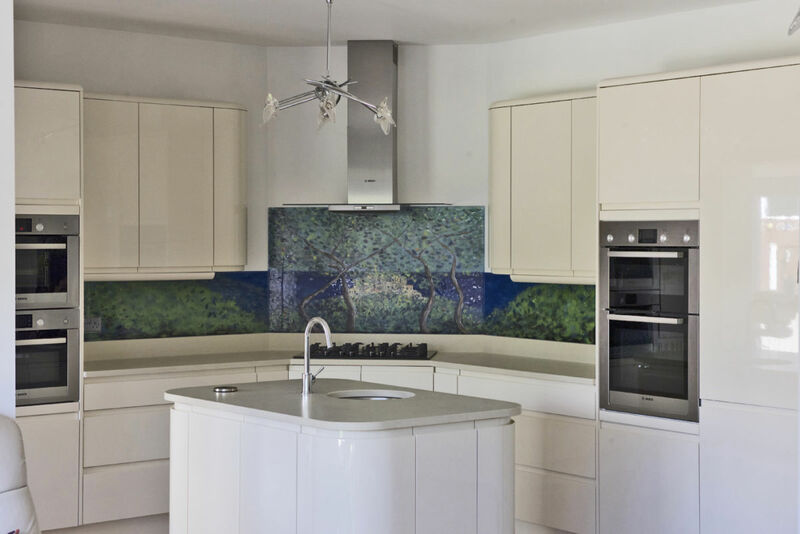 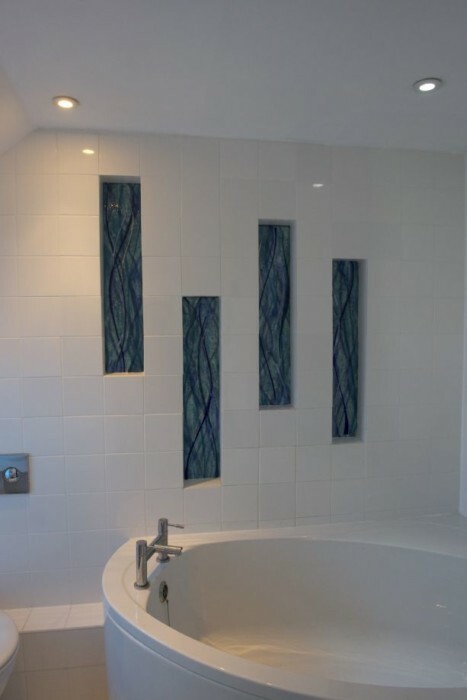 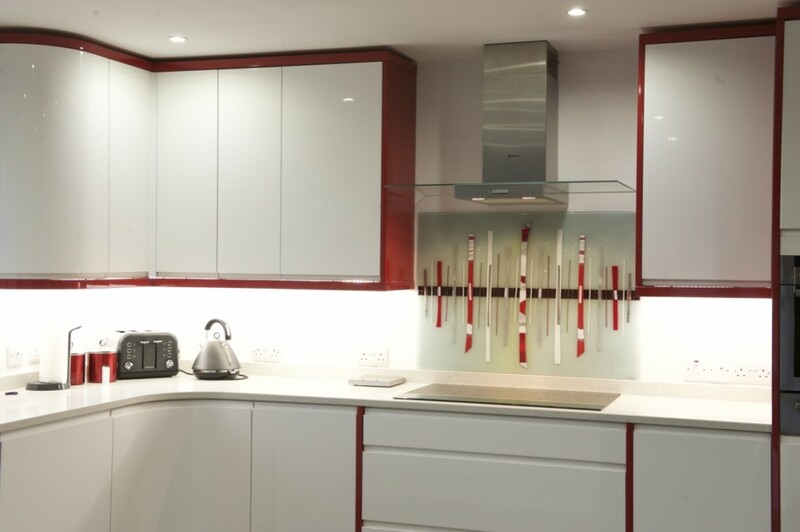 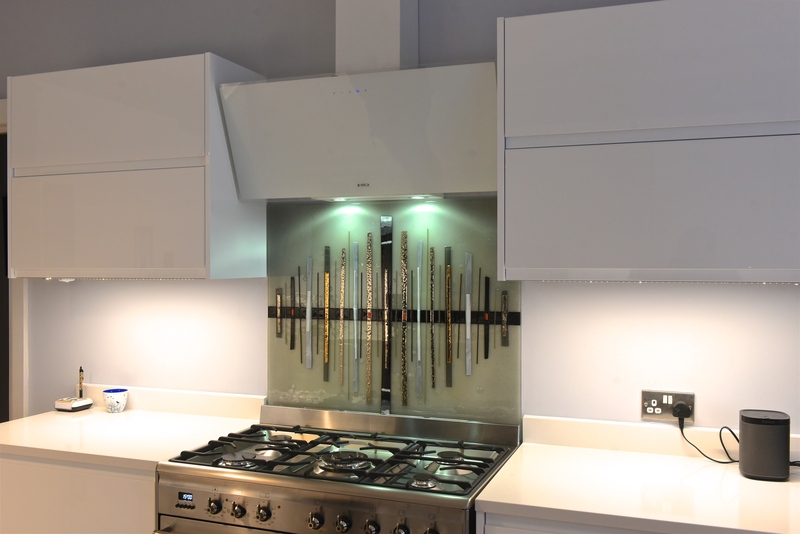 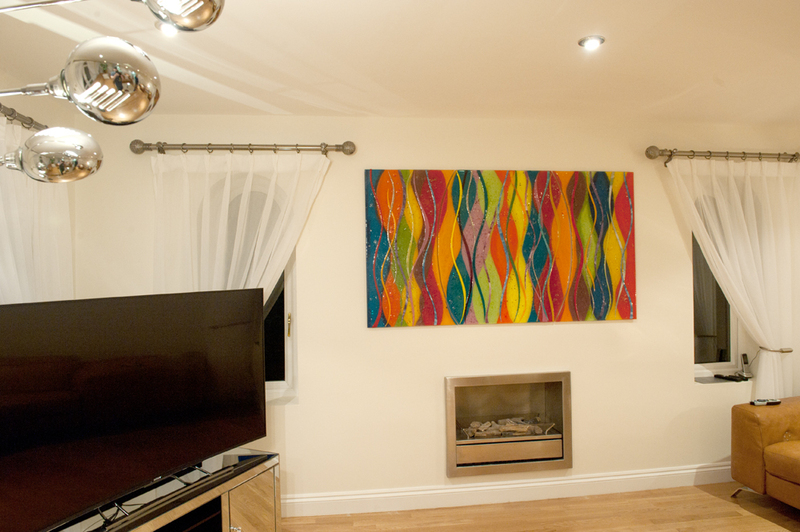 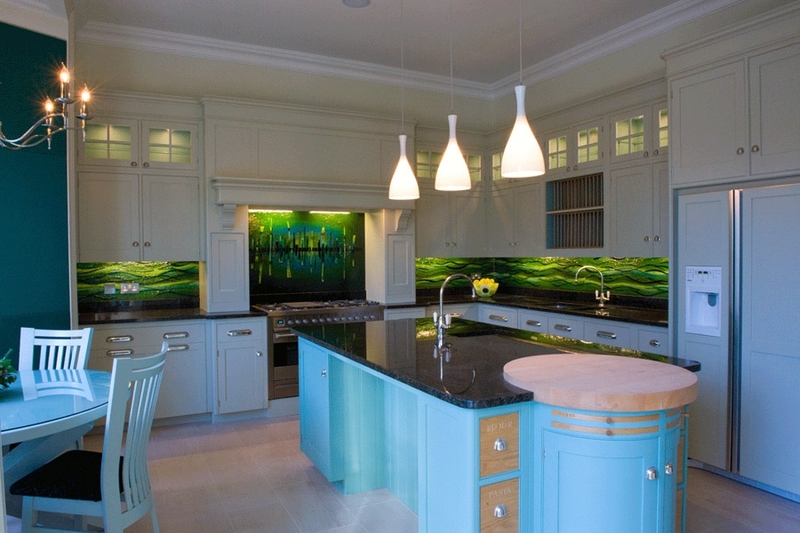 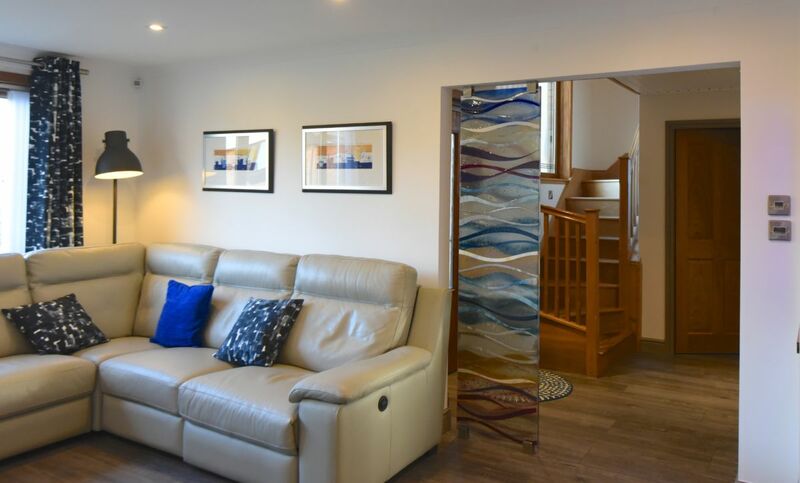 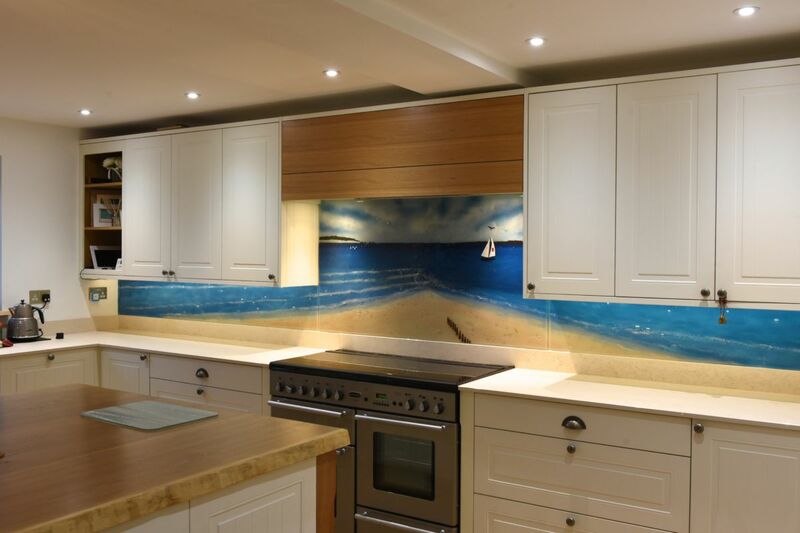 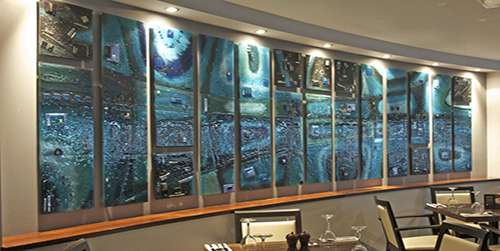 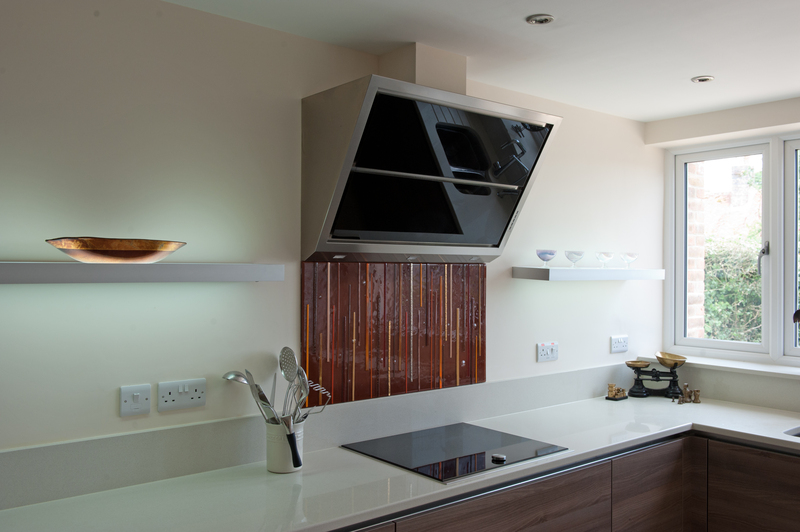 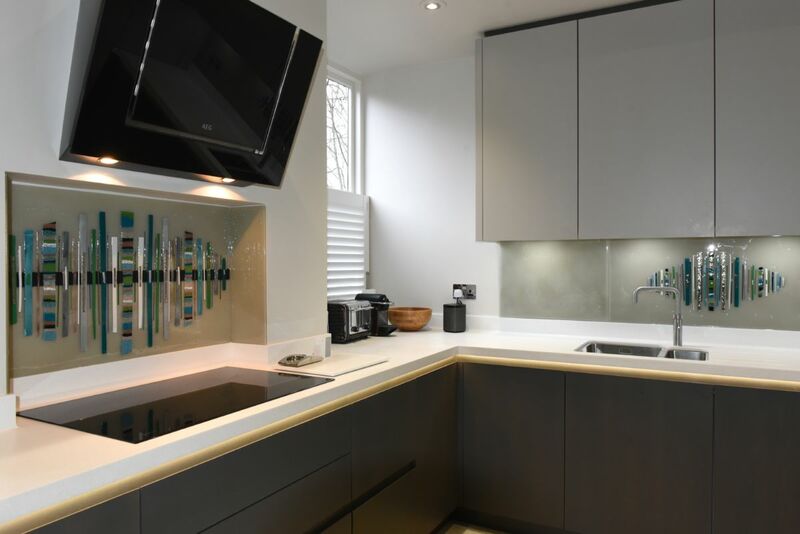 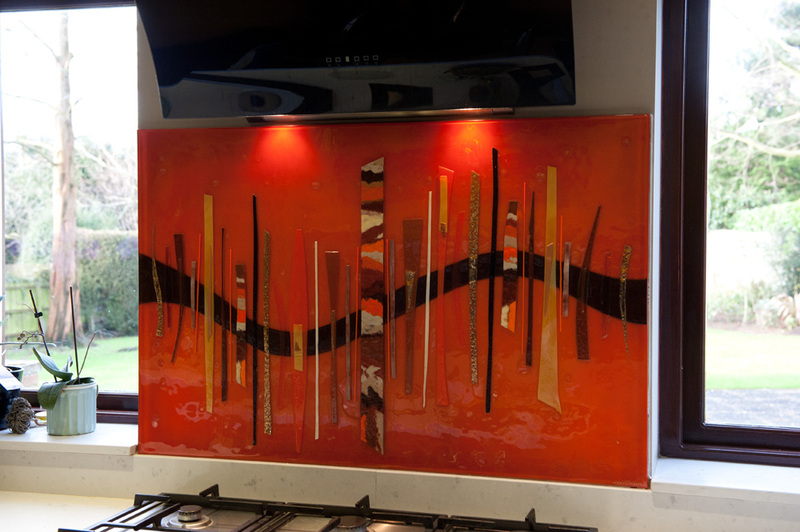 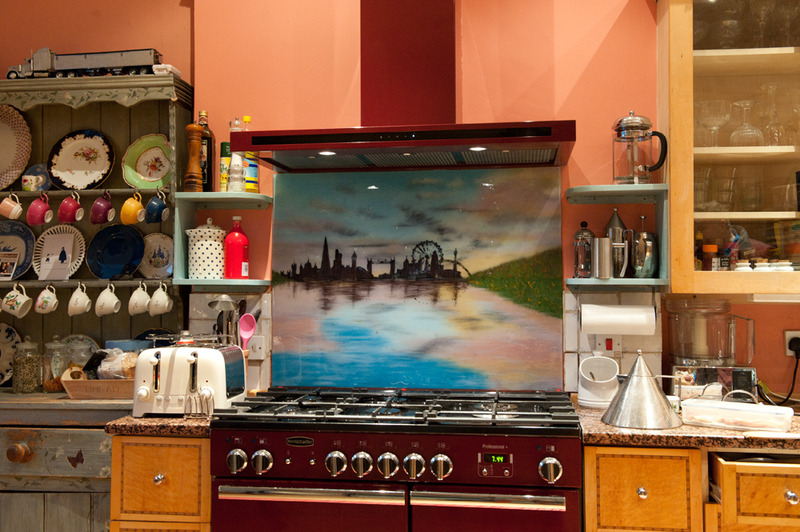 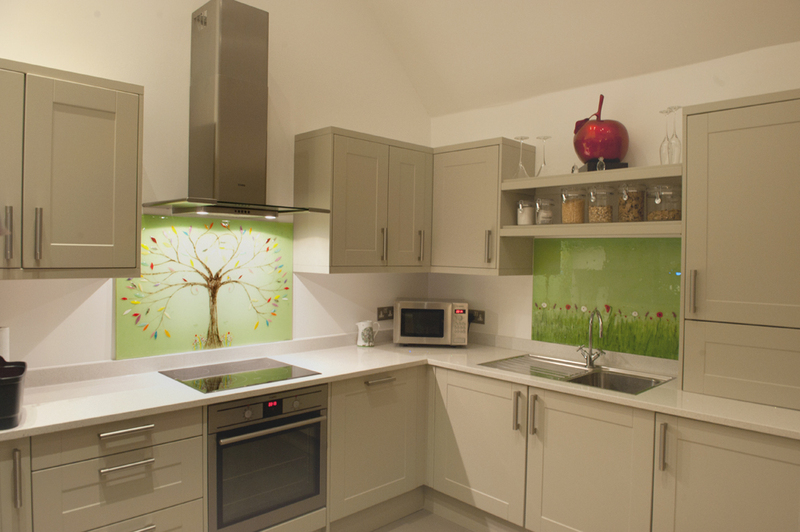 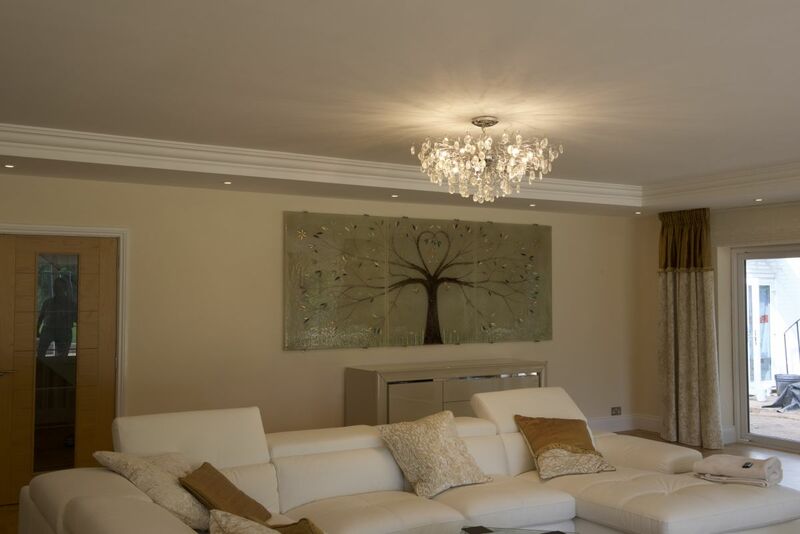 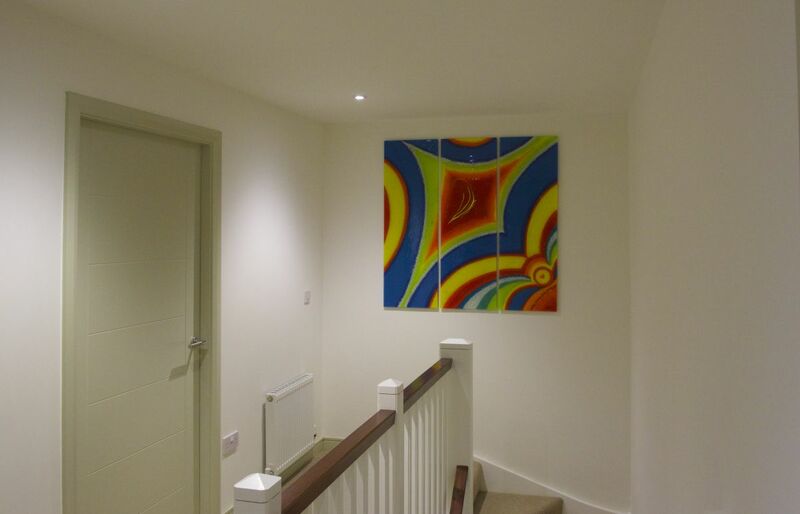 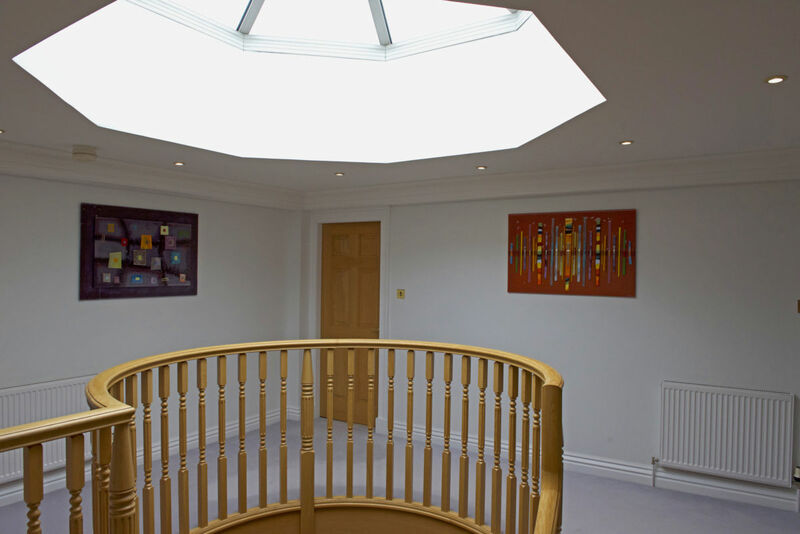 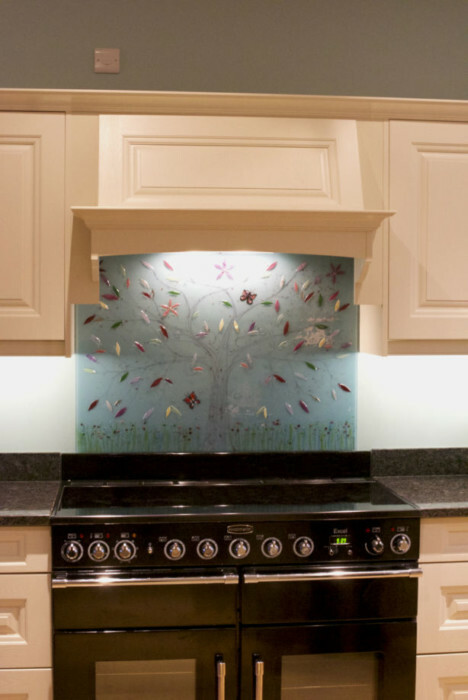 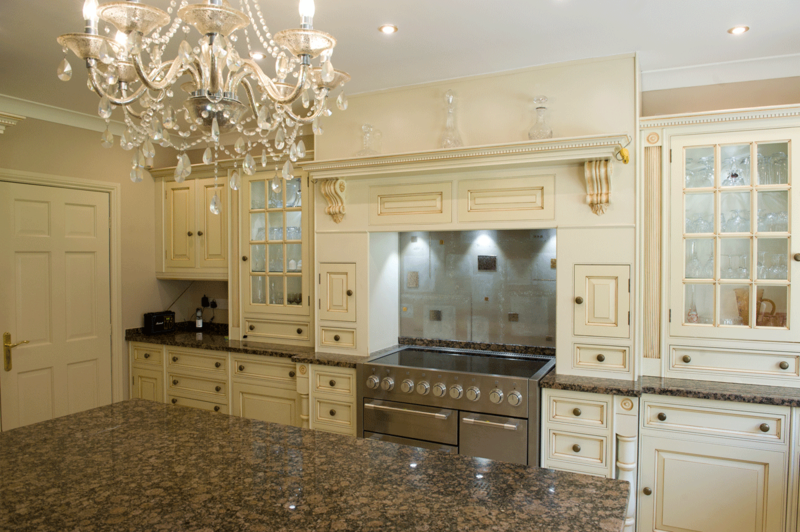 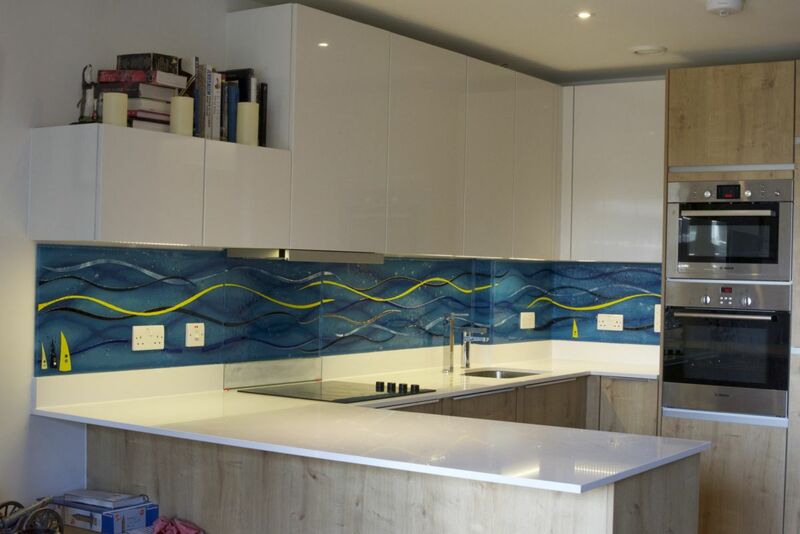 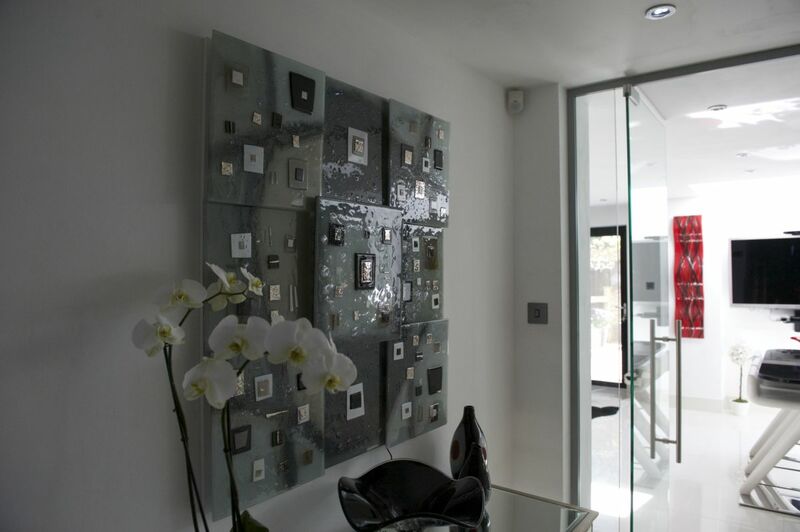 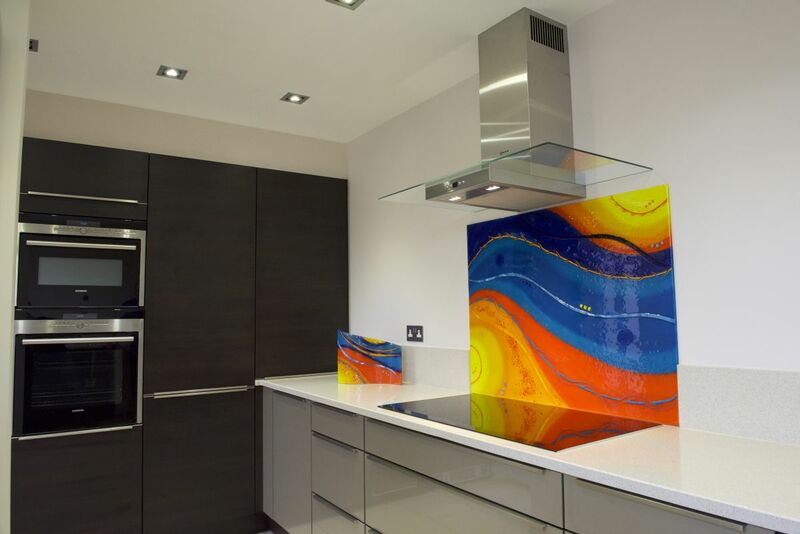 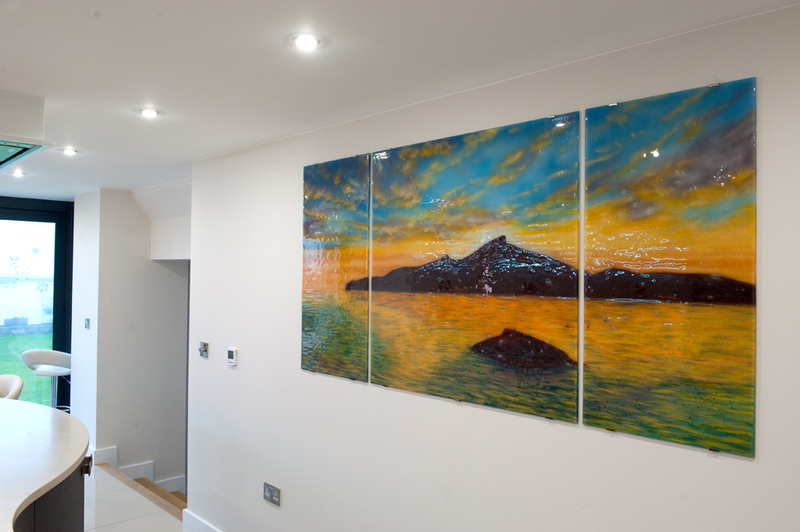 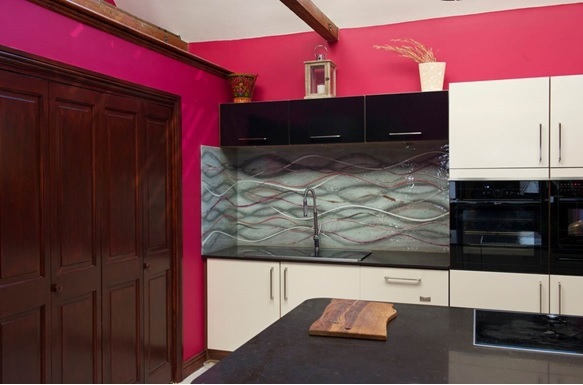 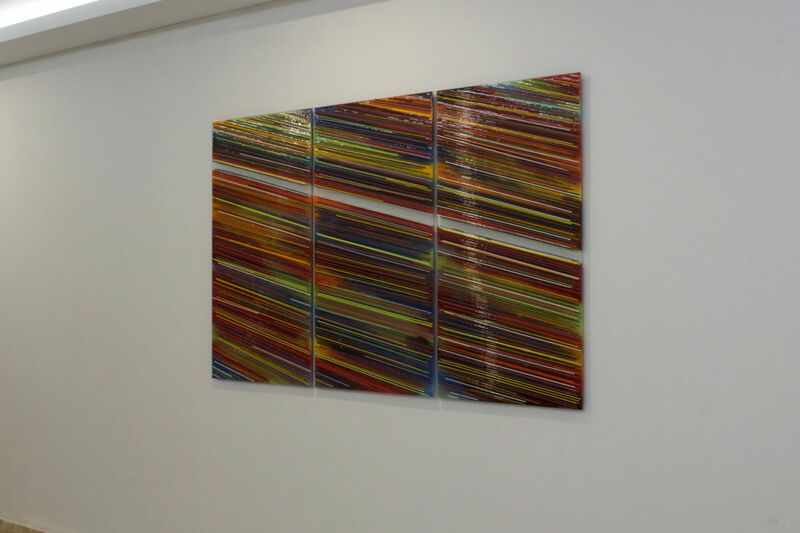 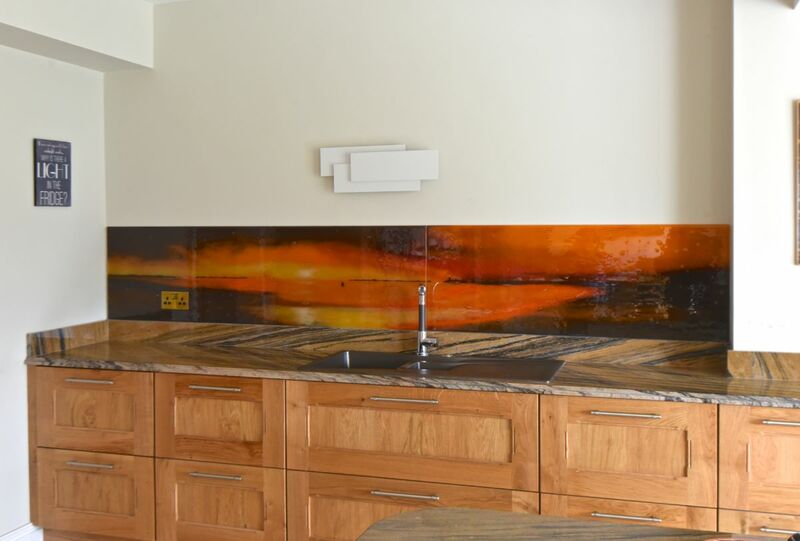 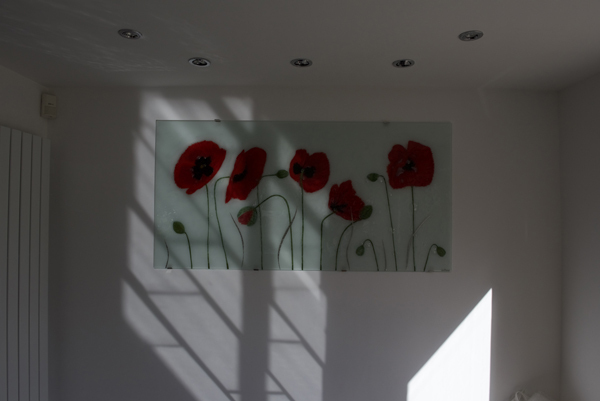 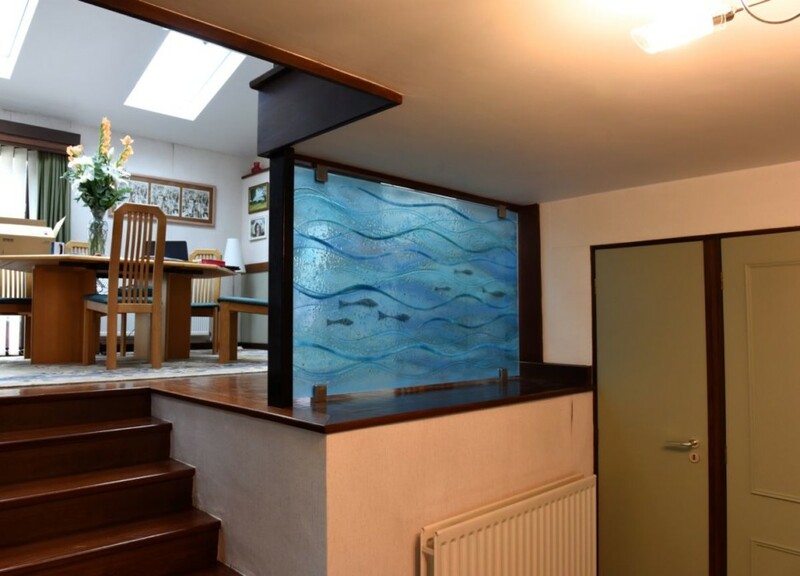 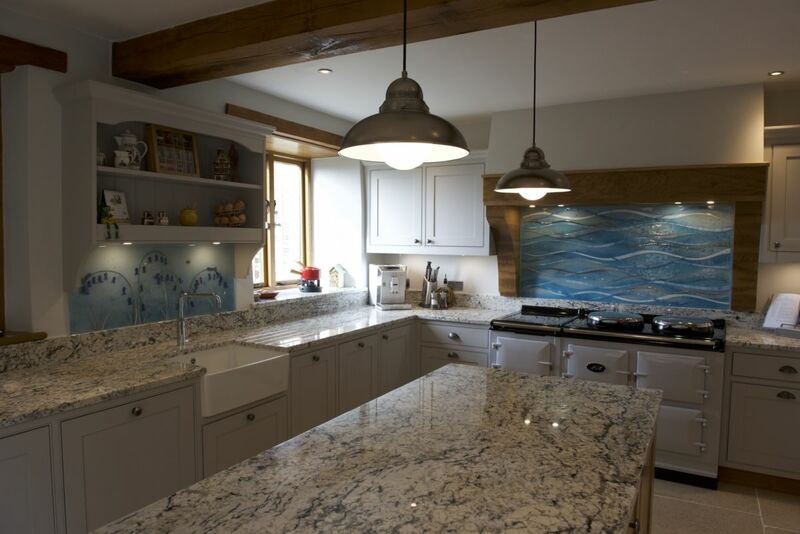 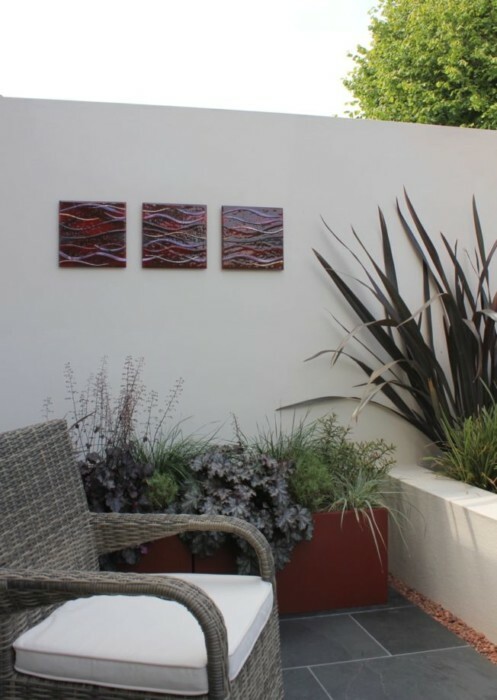 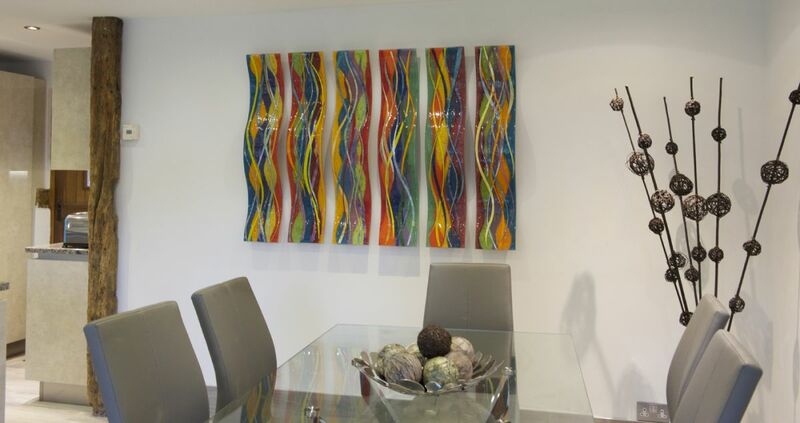 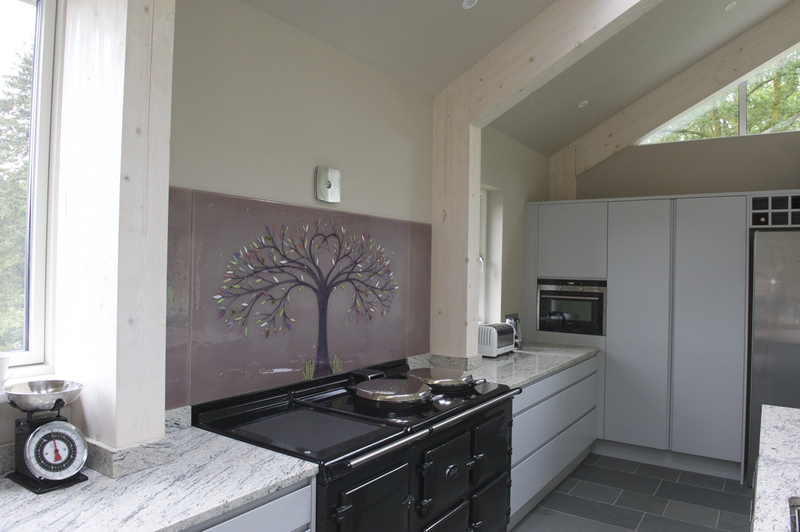 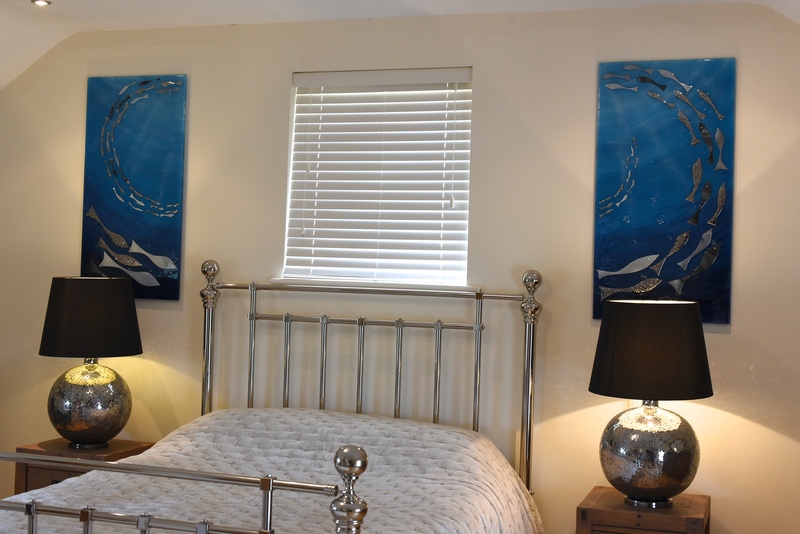 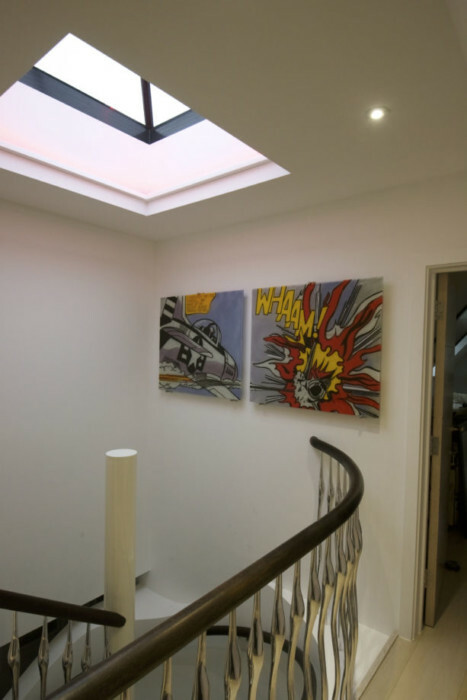 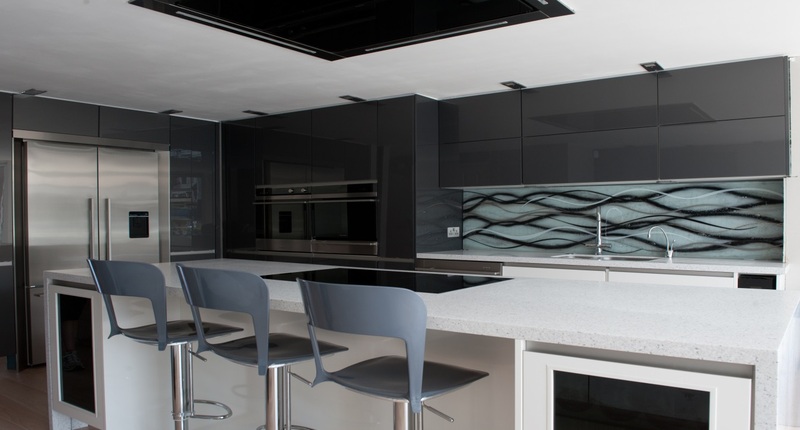 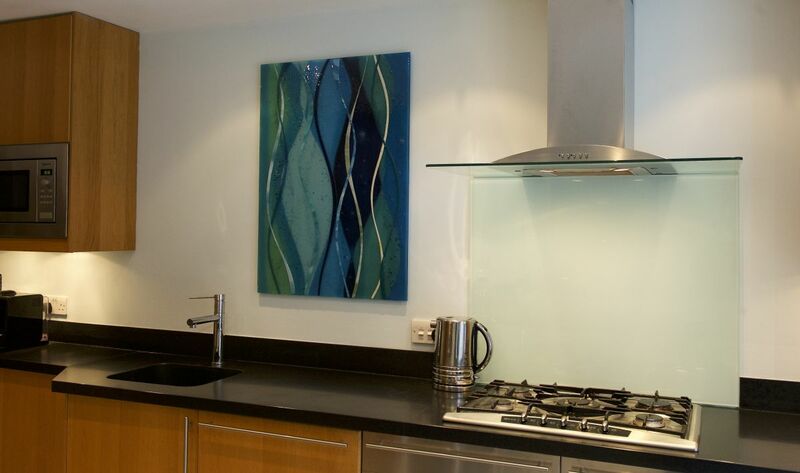 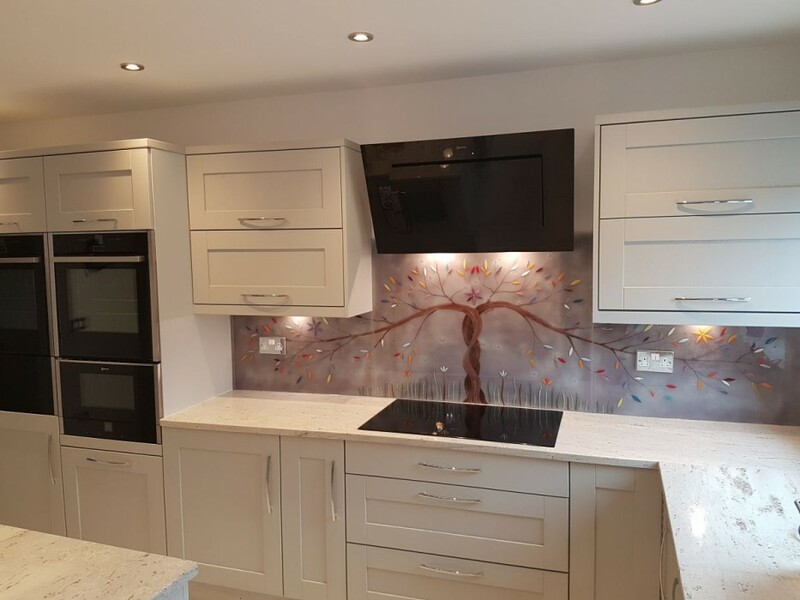 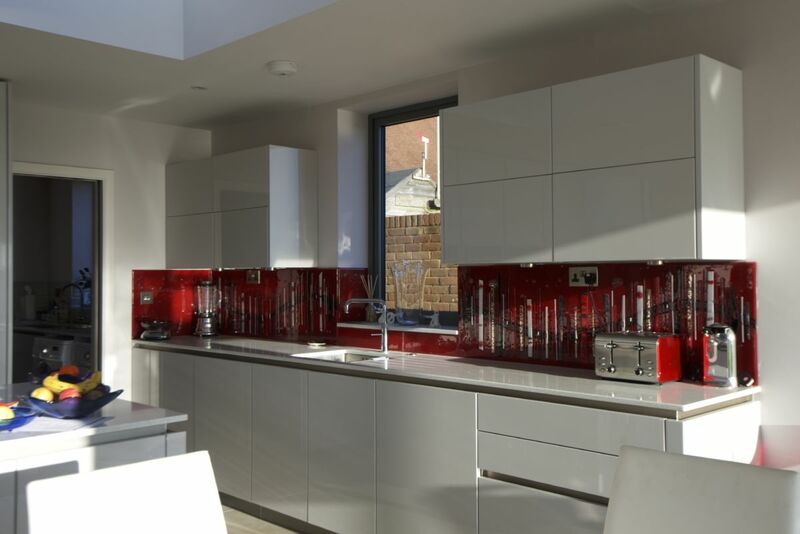 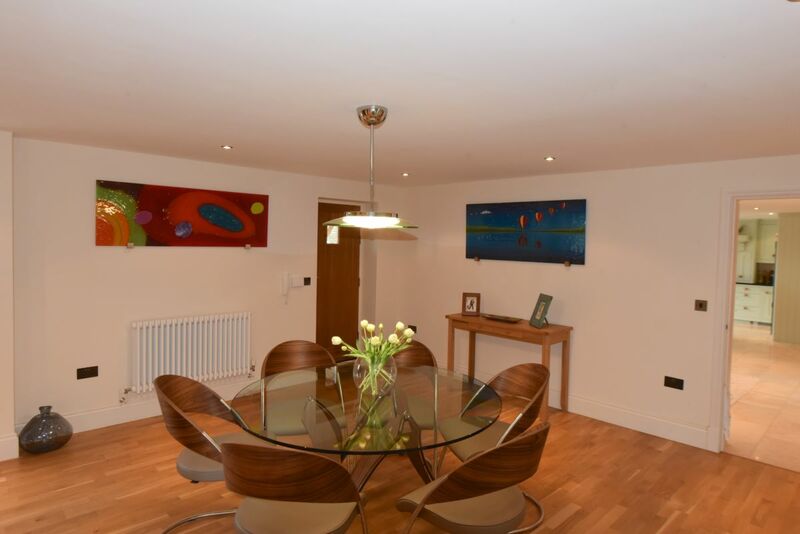 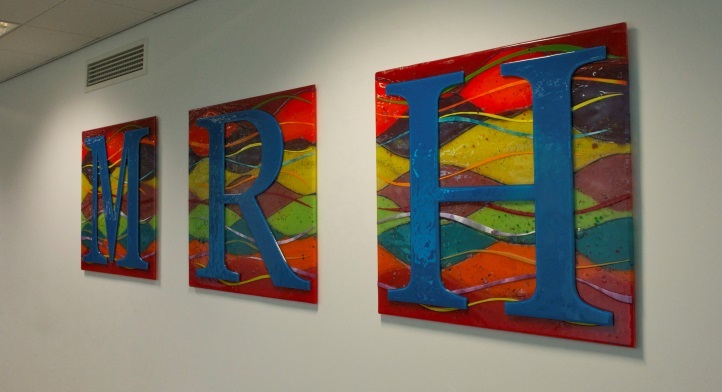 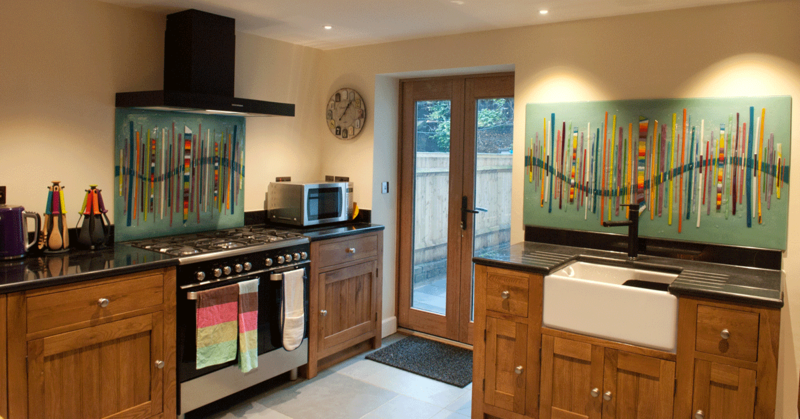 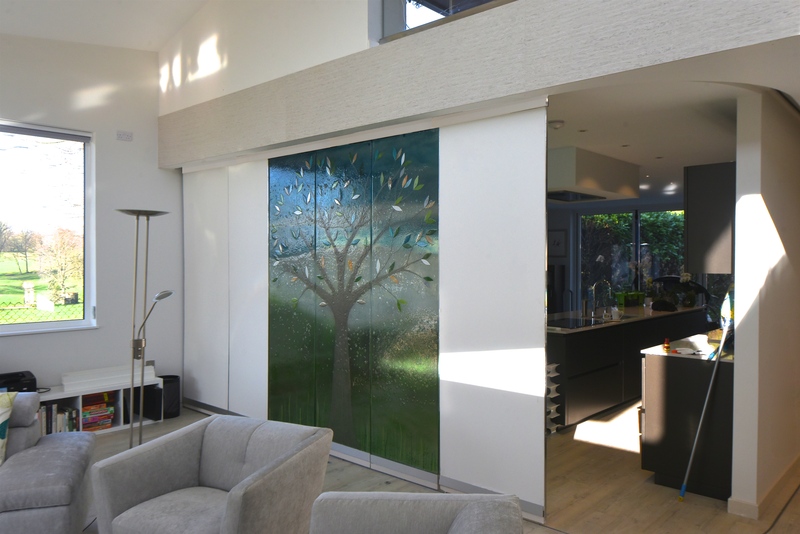 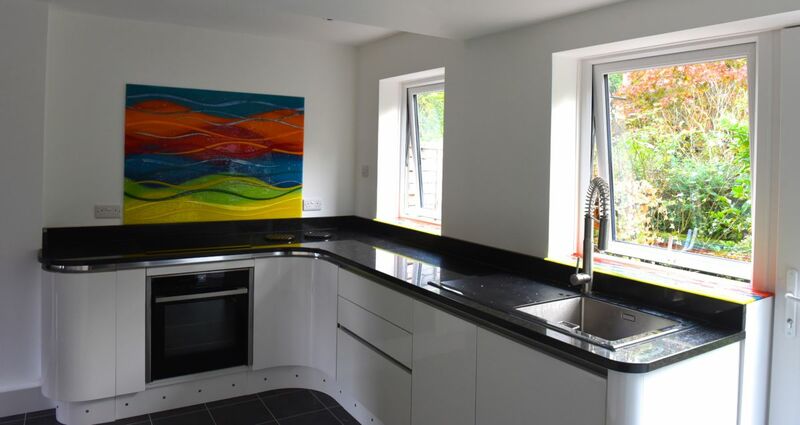 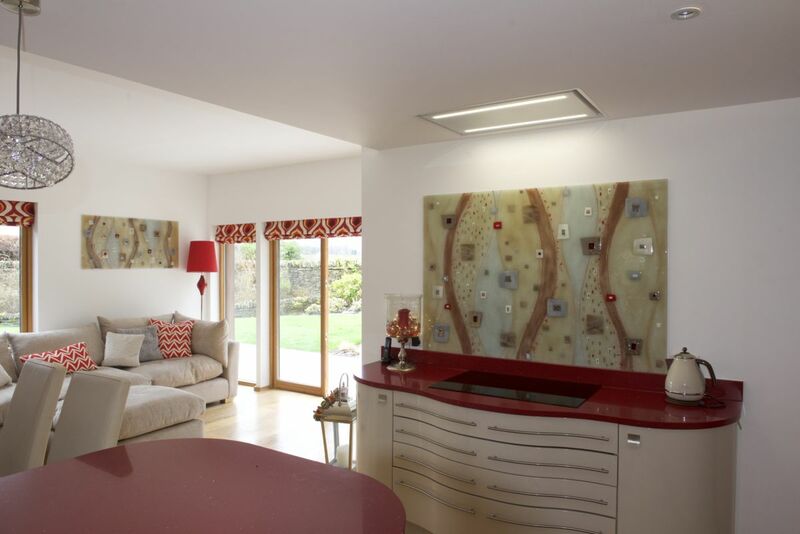 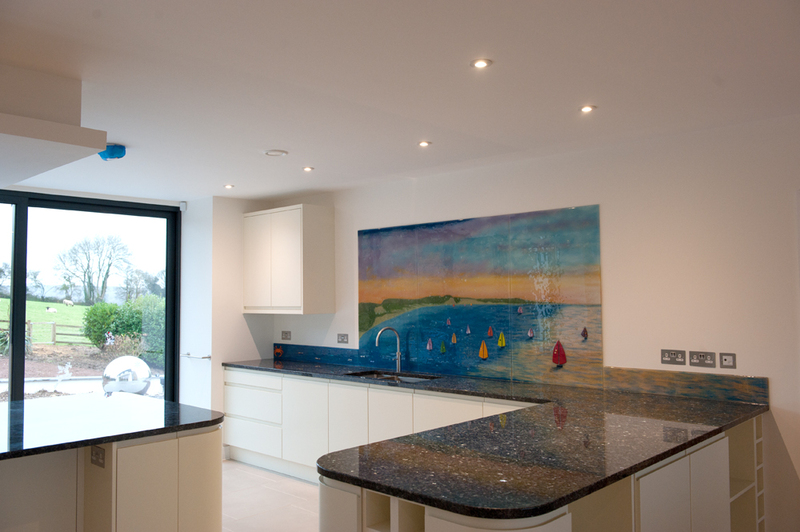 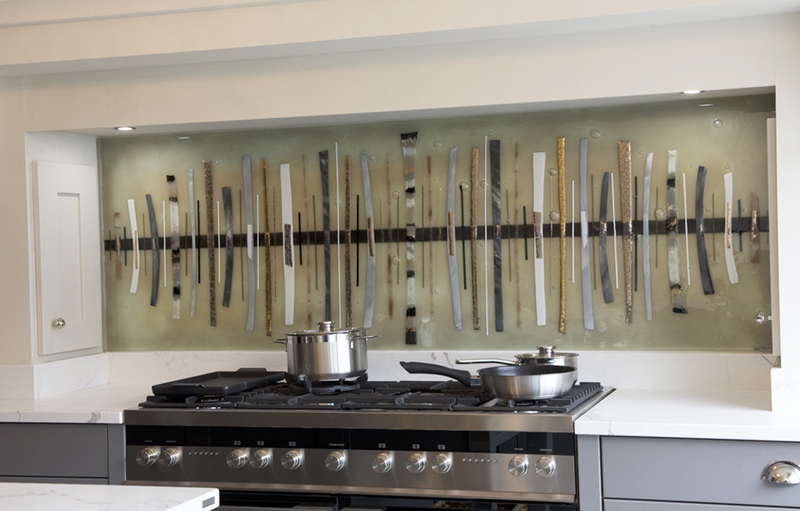 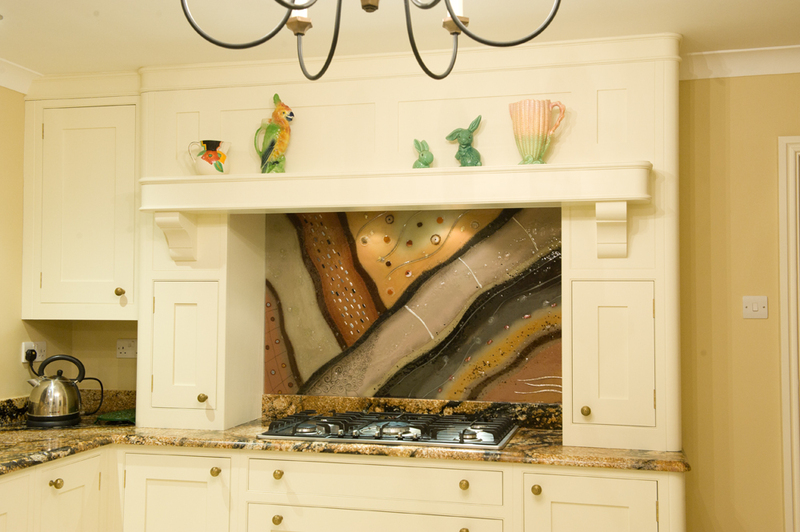 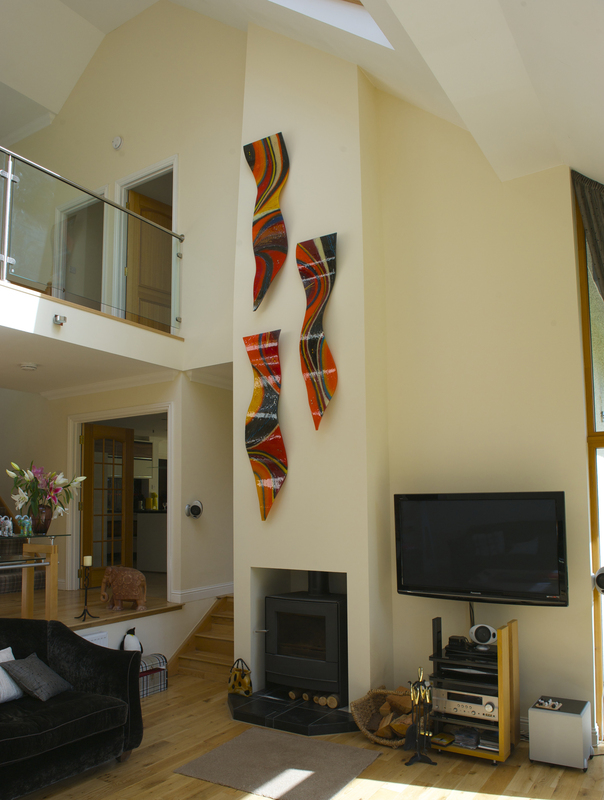 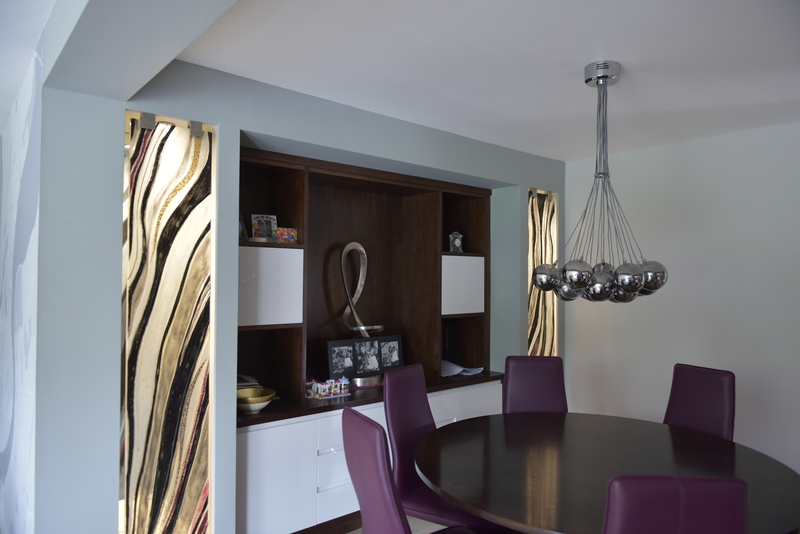 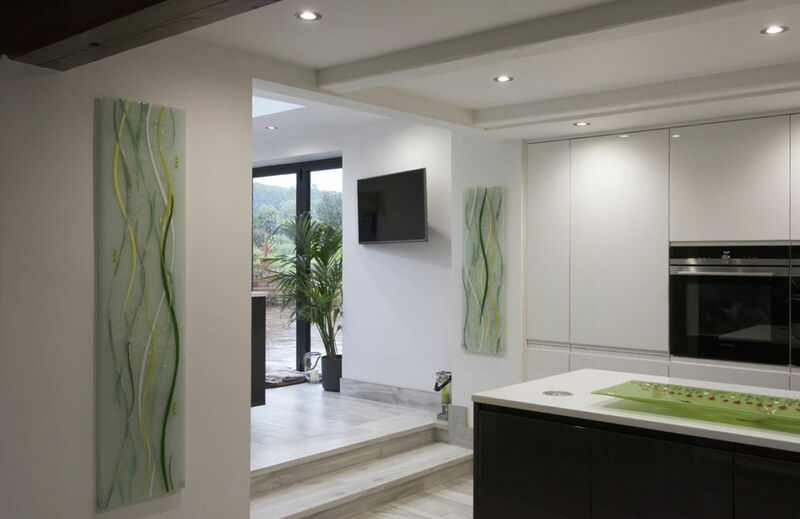 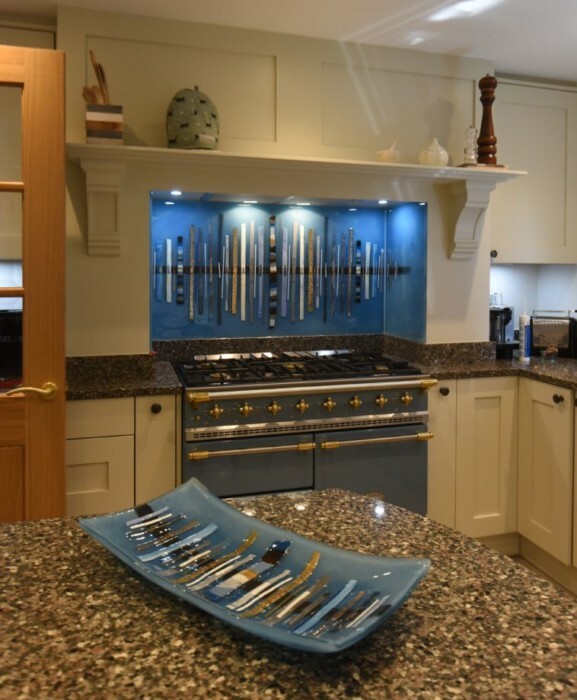 These two bespoke glass splashbacks found a home in Water End, Hertfordshire – don’t they make for a jaw dropping sight? 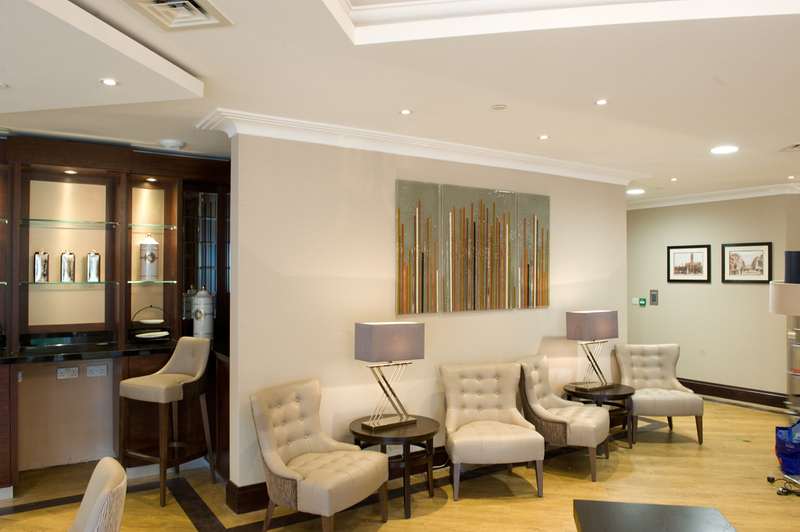 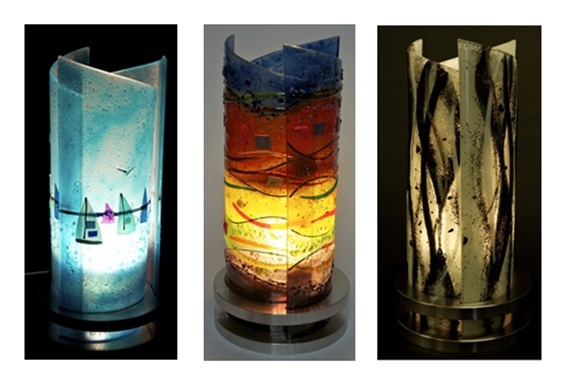 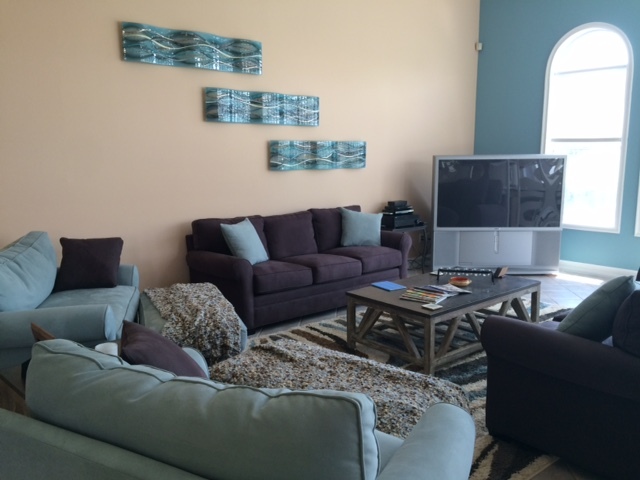 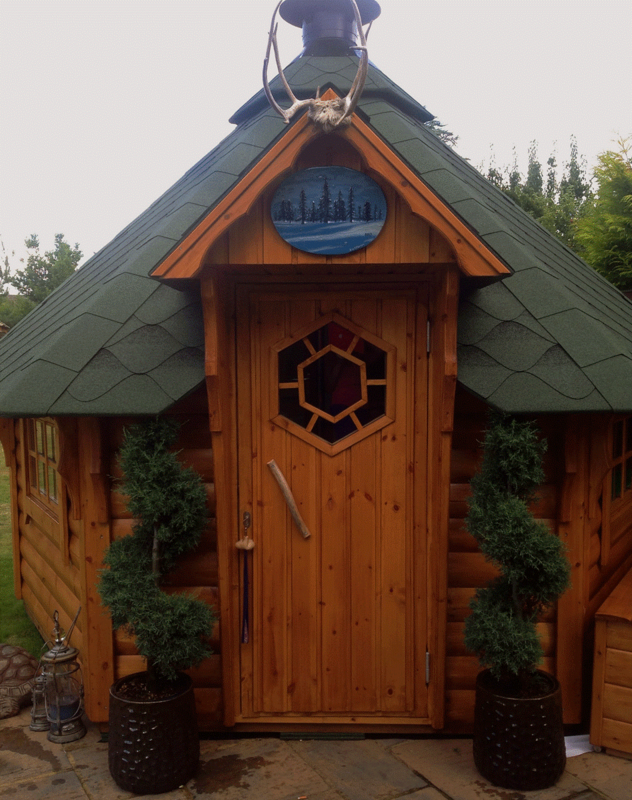 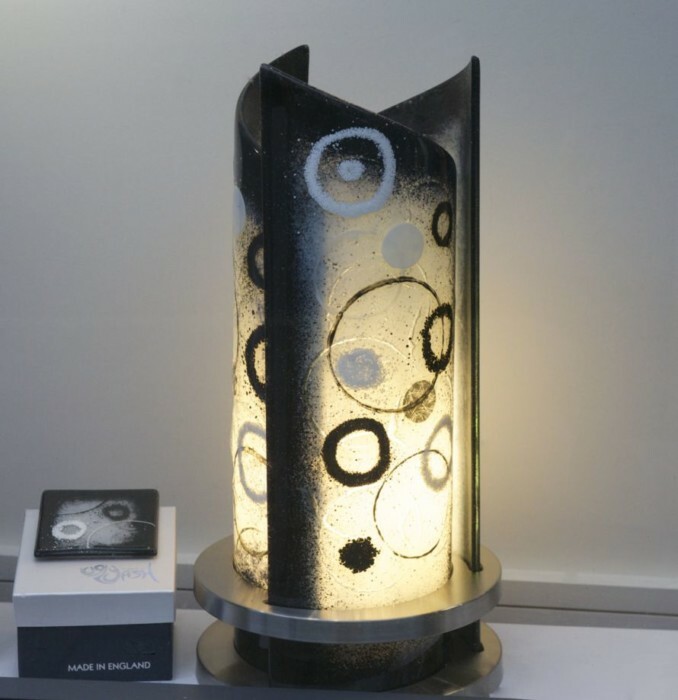 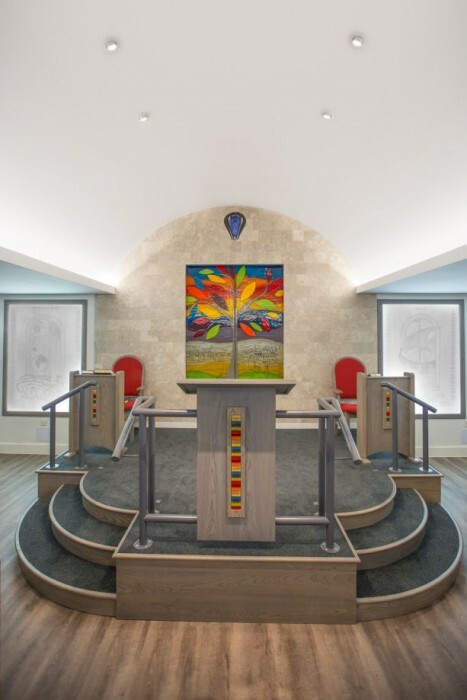 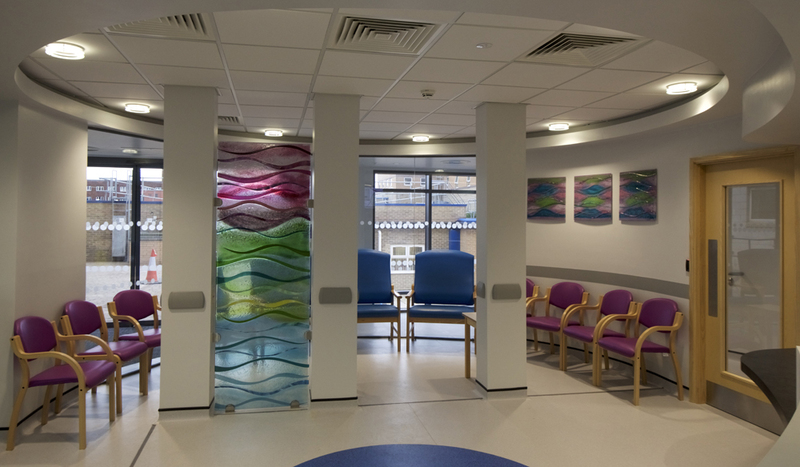 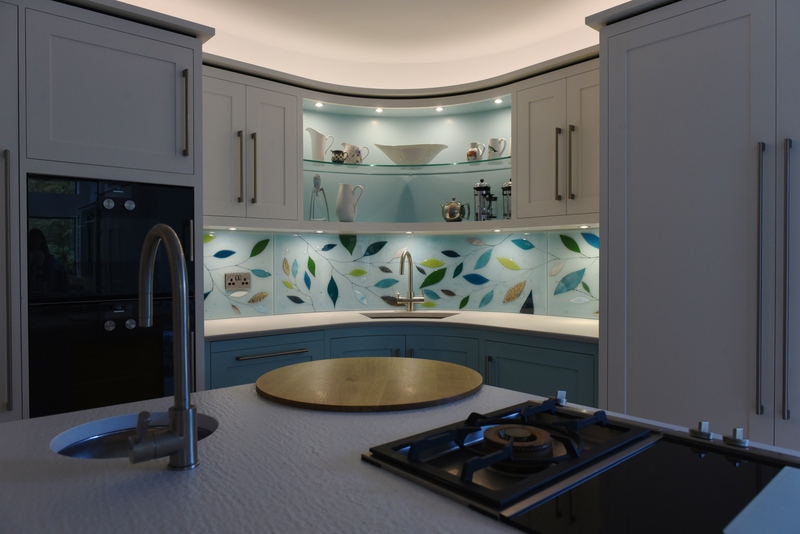 We thought we’d talk you through a few of the details and the inspiration behind the design choices. 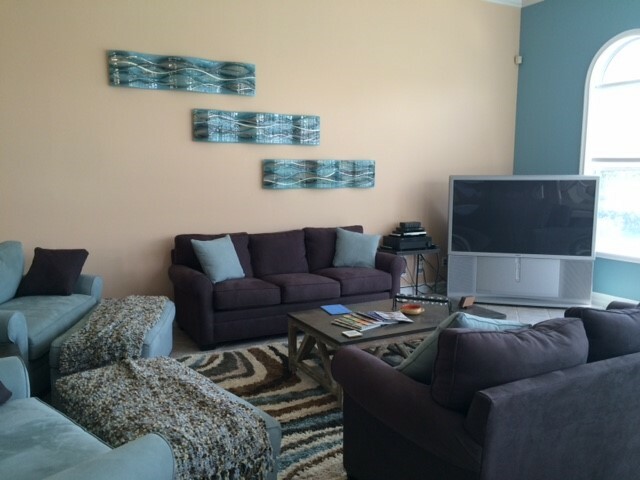 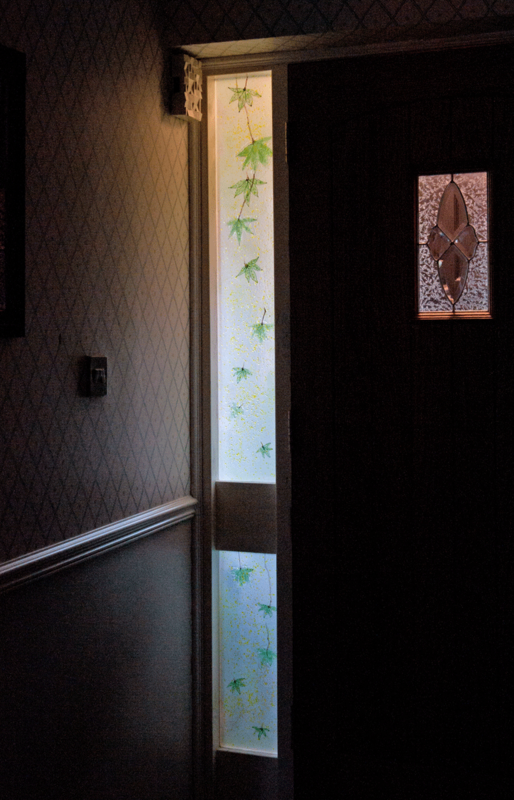 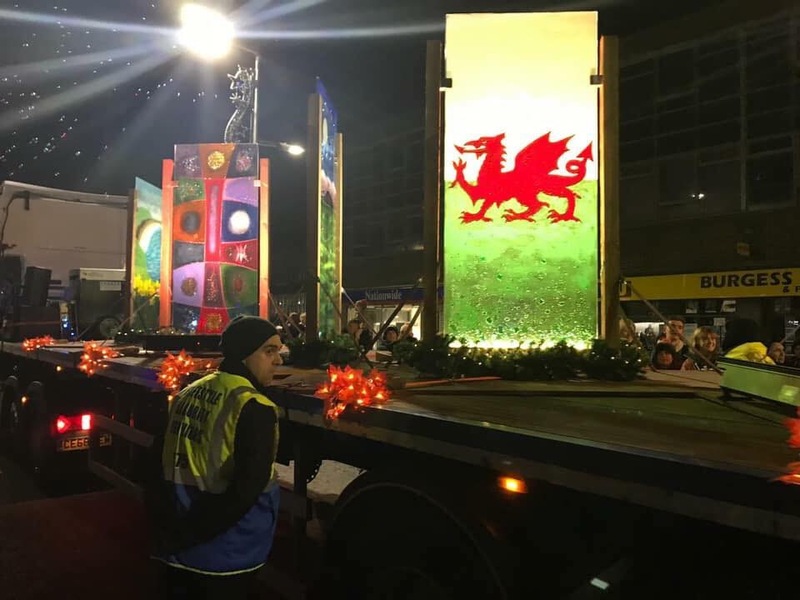 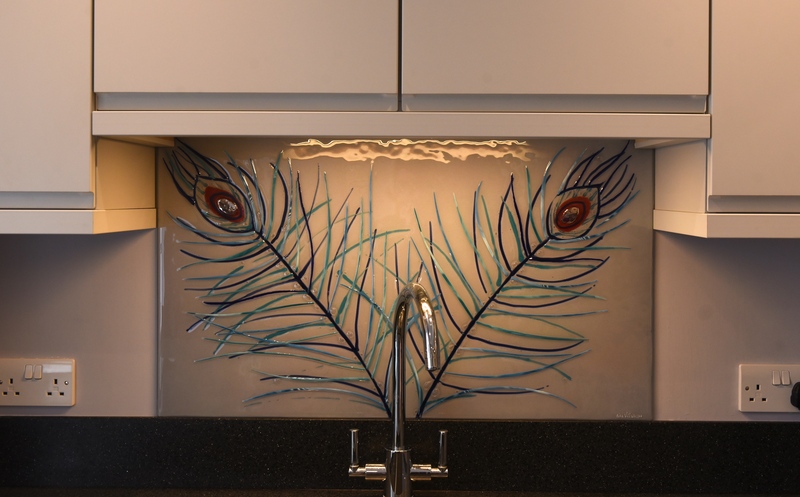 The first thing you might notice is that the panels are directly inspired by peacock feathers, but you may have also clocked that they’re a pair. 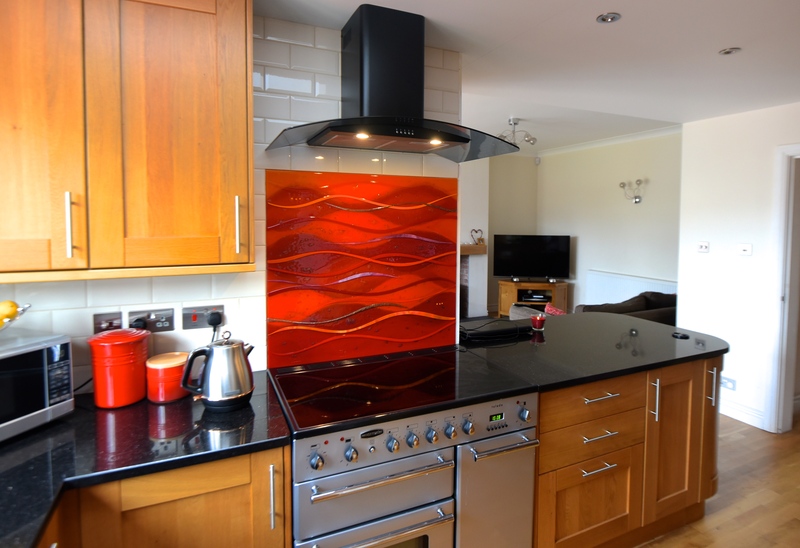 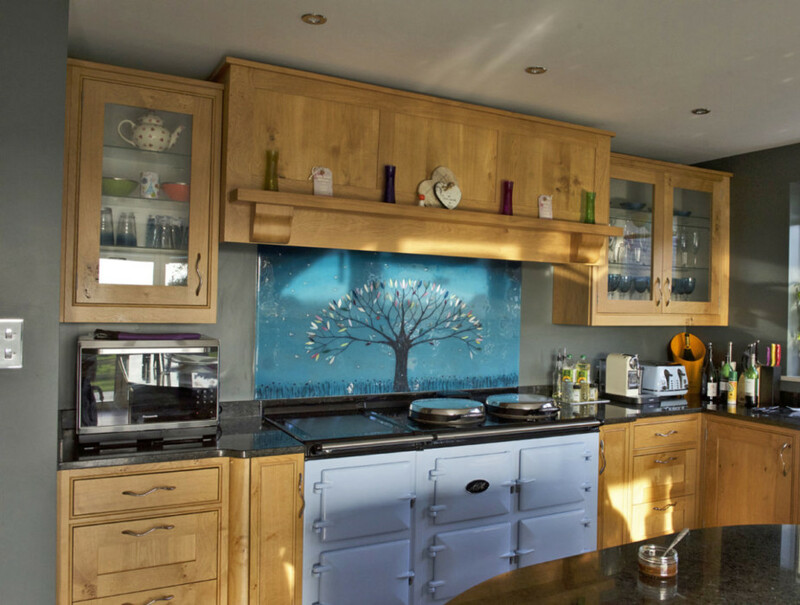 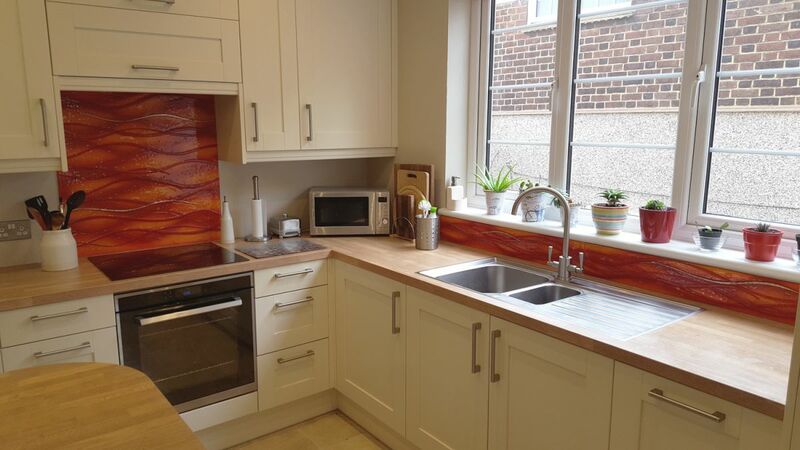 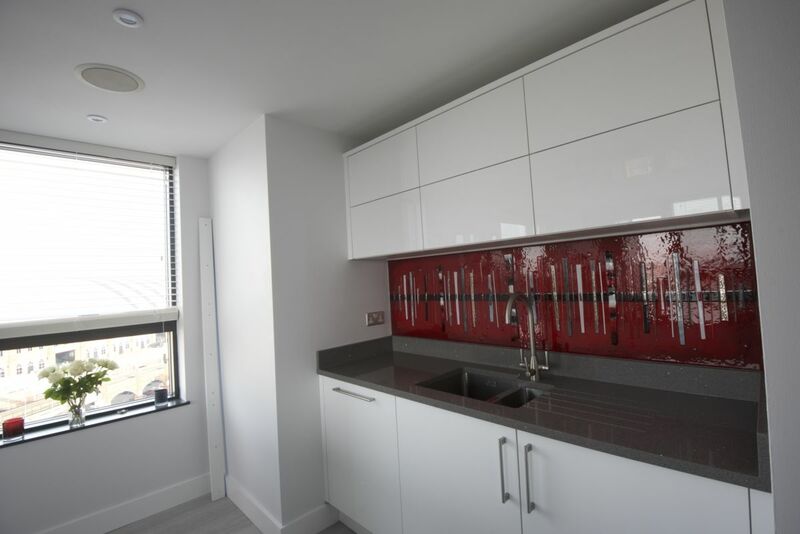 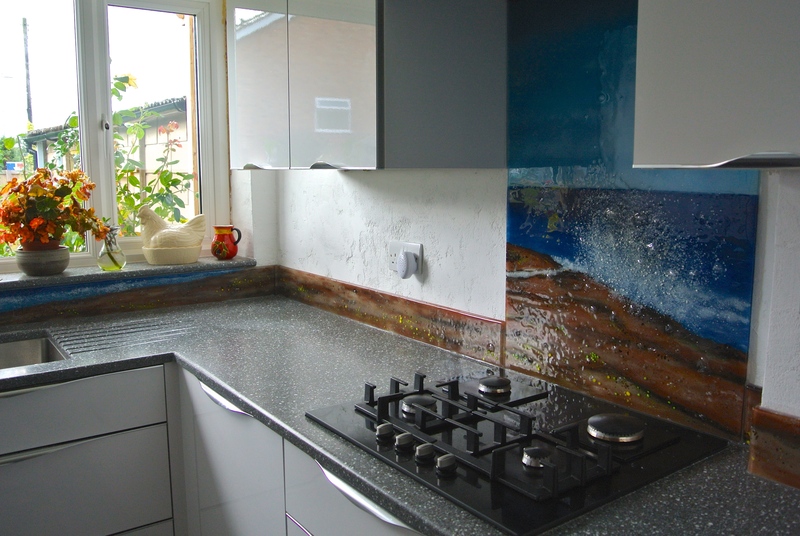 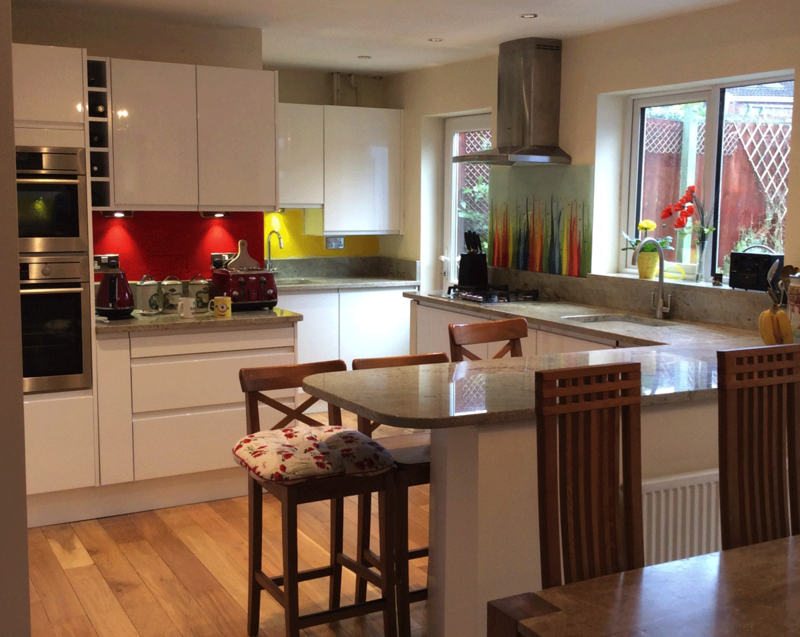 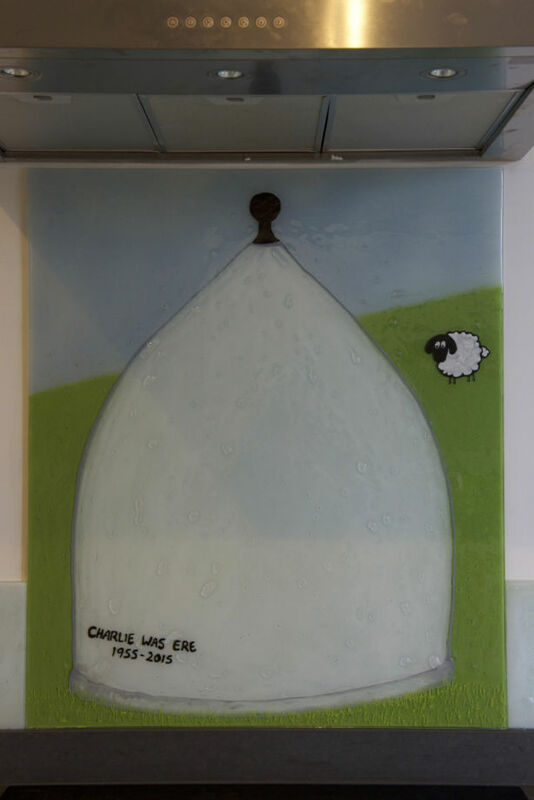 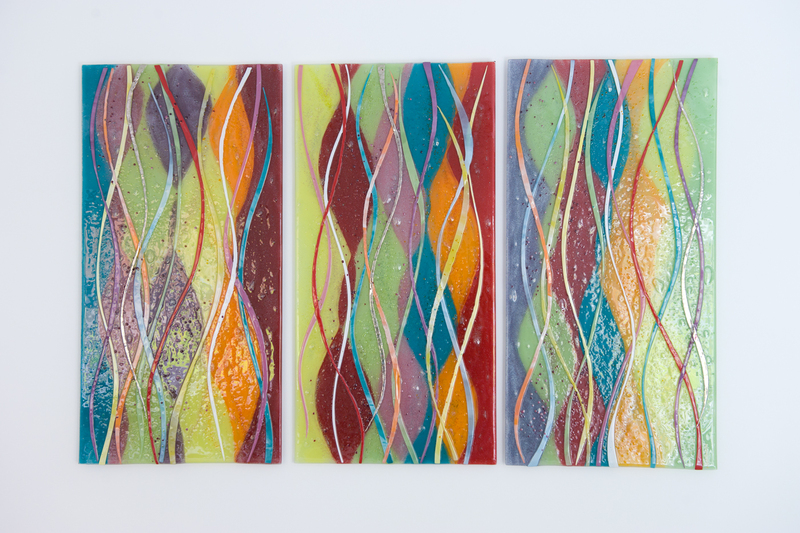 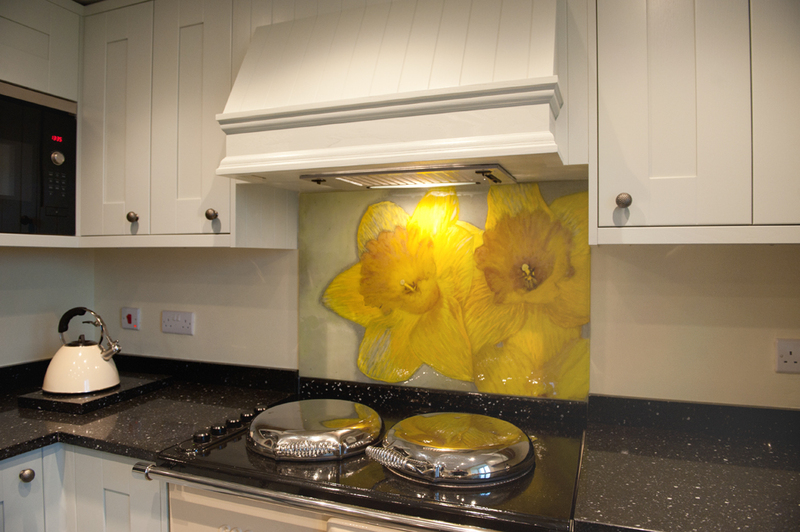 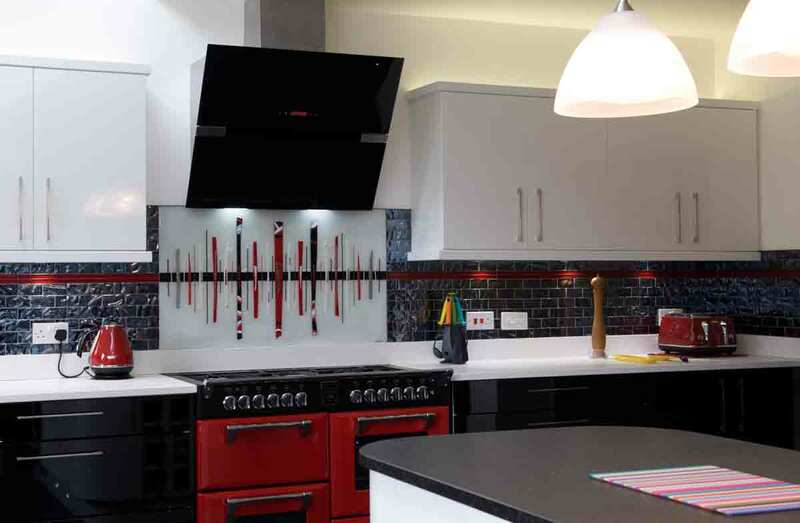 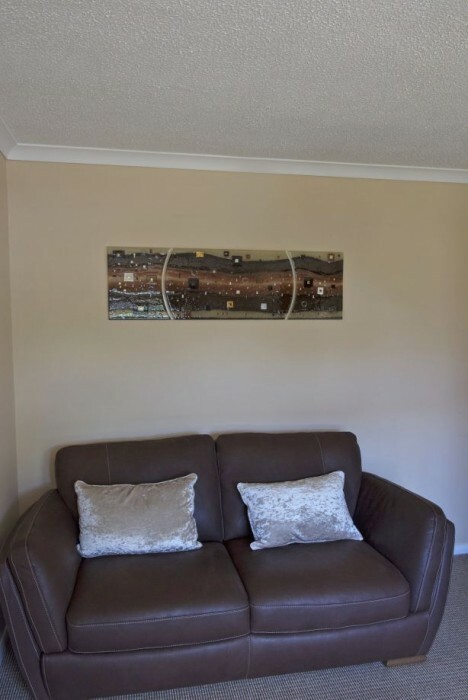 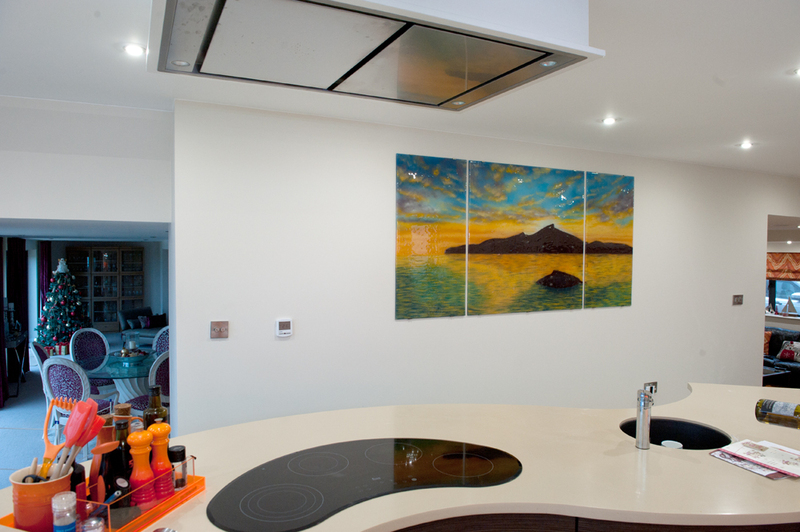 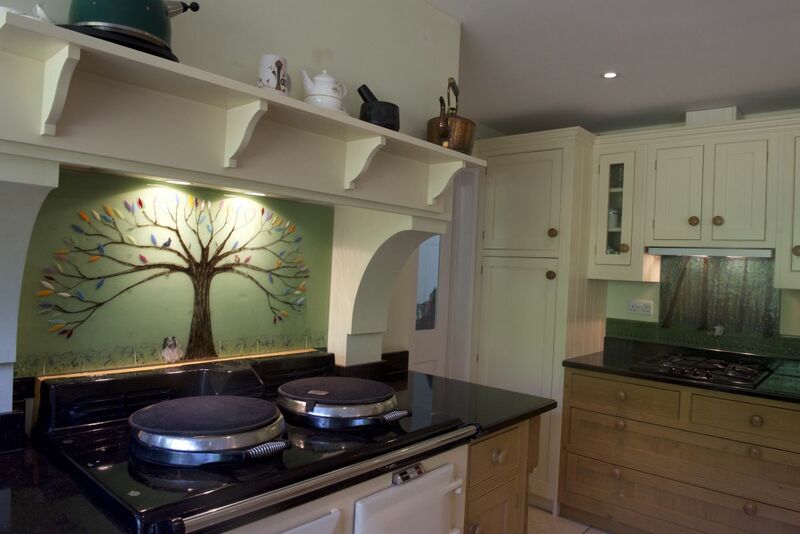 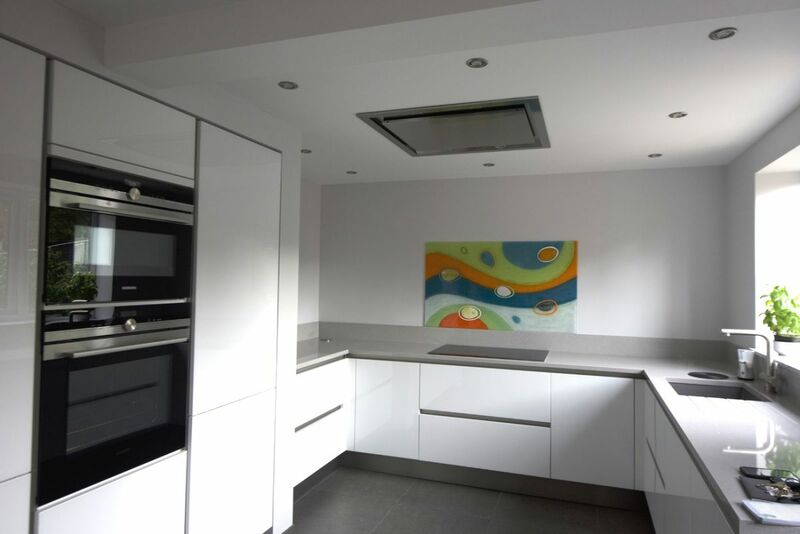 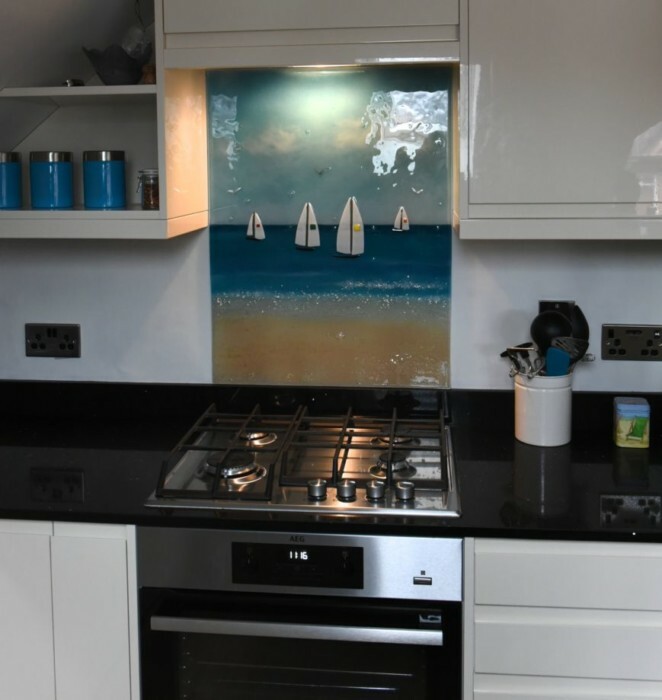 The two splashbacks needed to match one another, but not be exactly the same design. 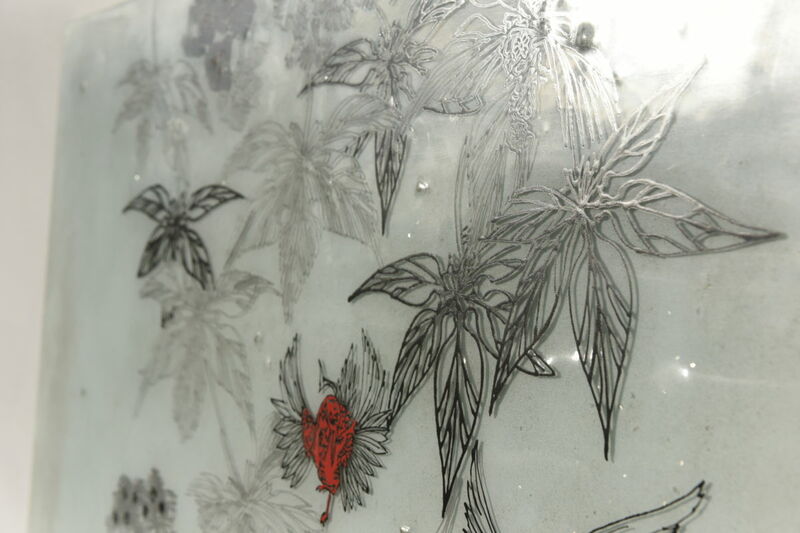 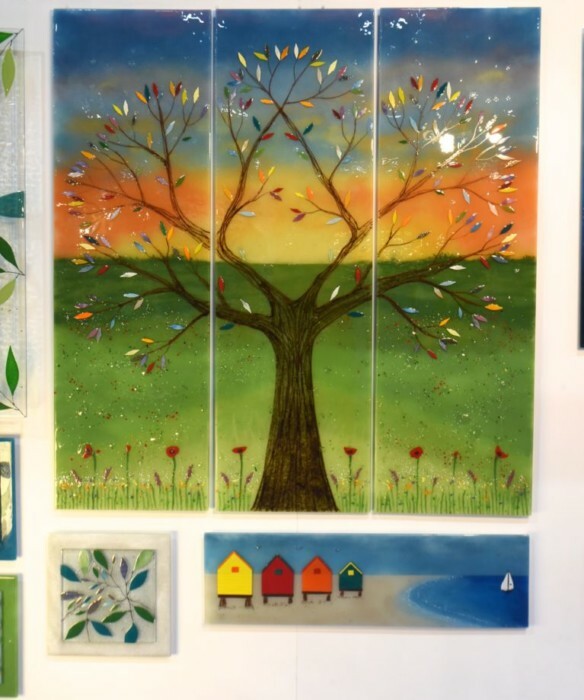 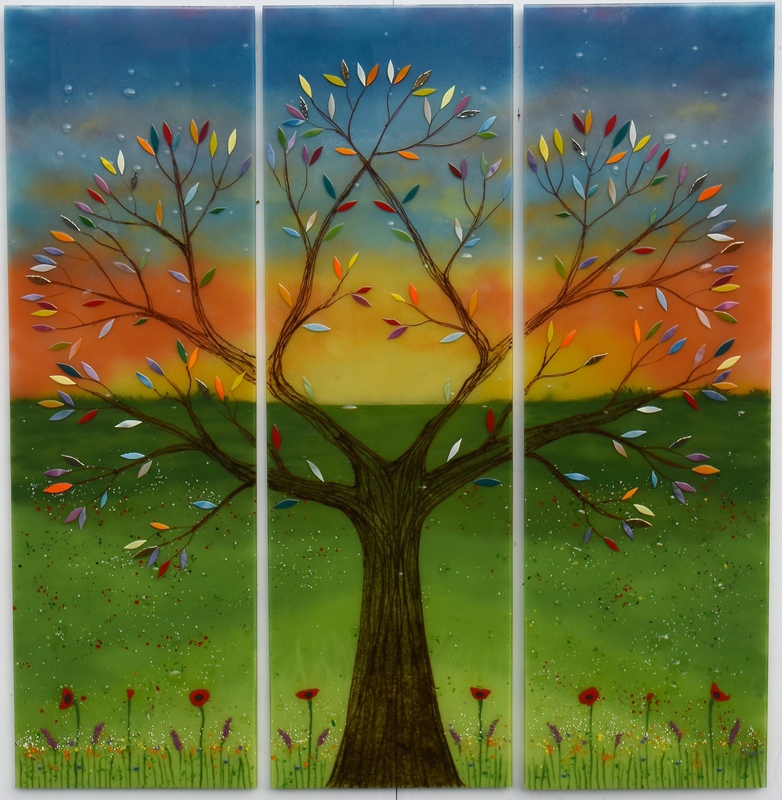 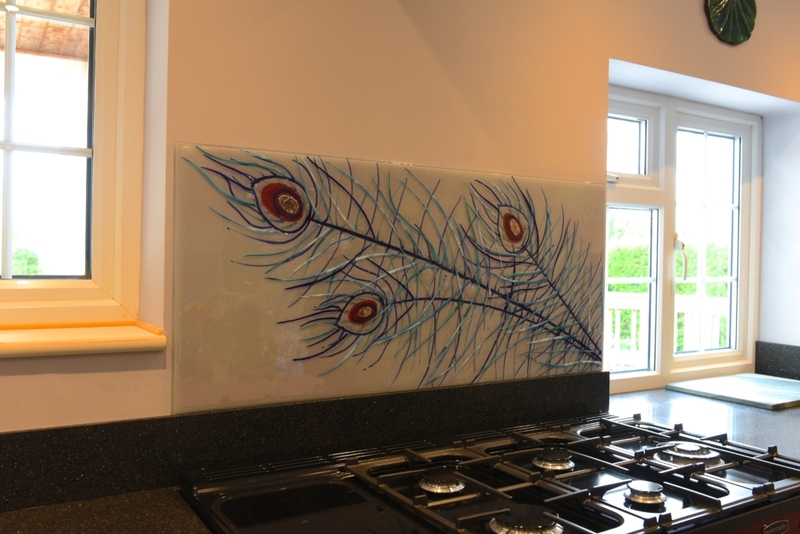 Lisa worked closely with the customers to come up with the best way to display the peacock feathers in both panels, taking into account their position in the kitchen and the things surrounding each piece. 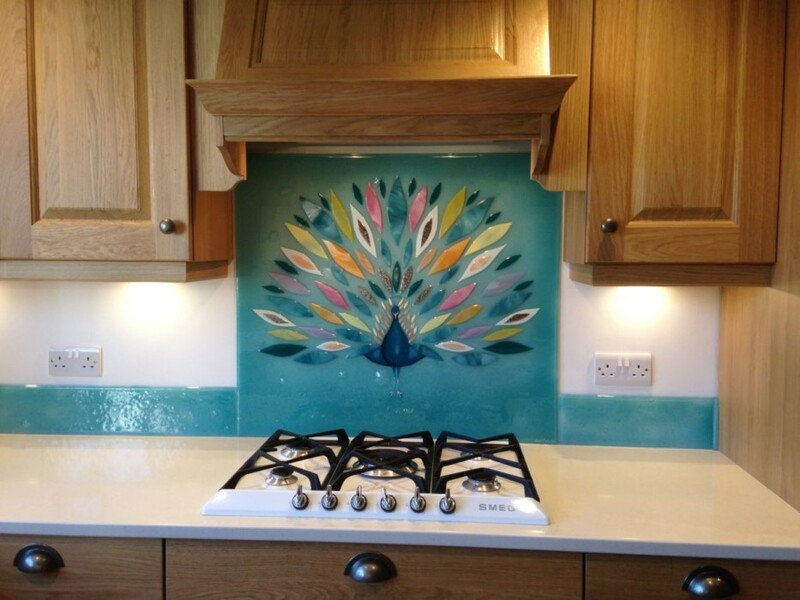 For example, look how the feathers on the piece behind the sink both grow on either side of the tap! 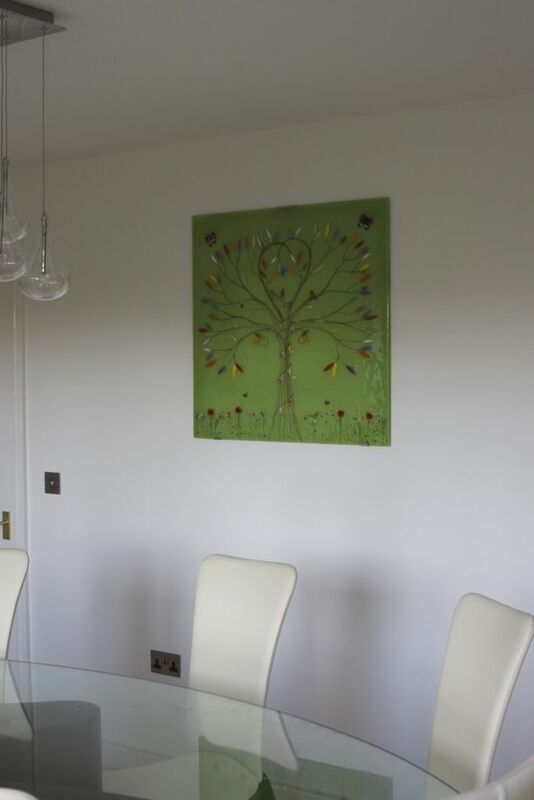 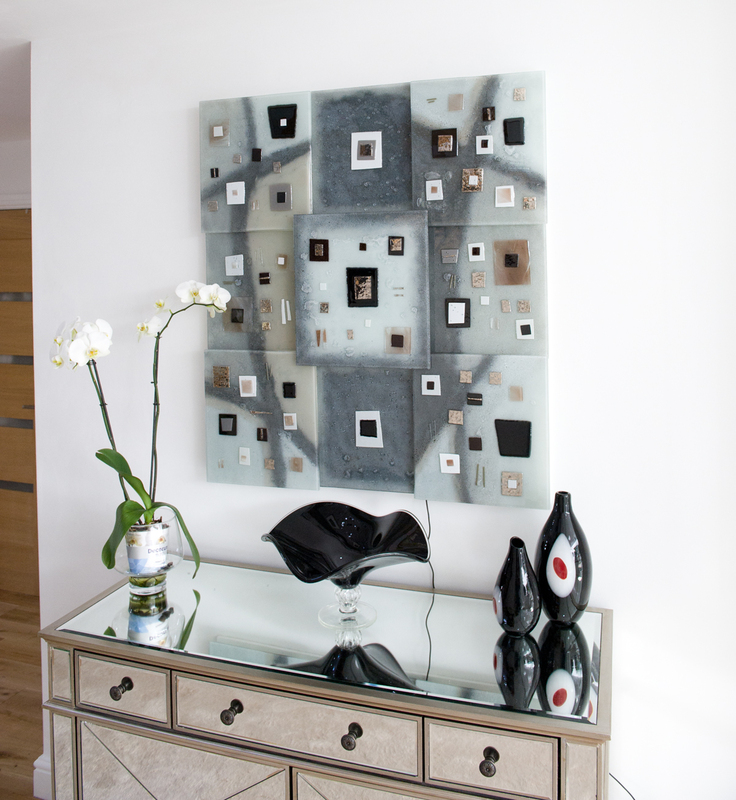 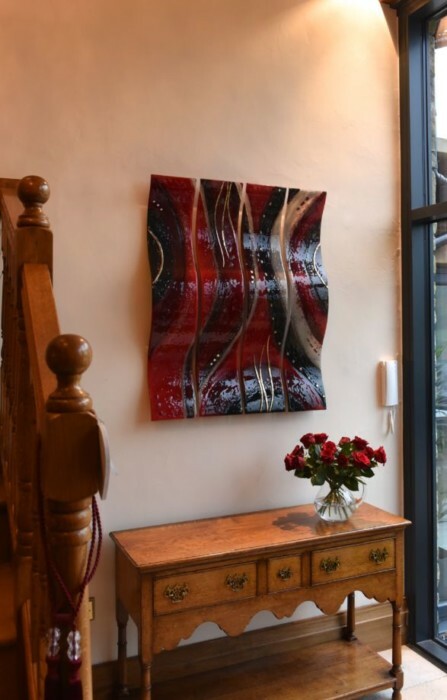 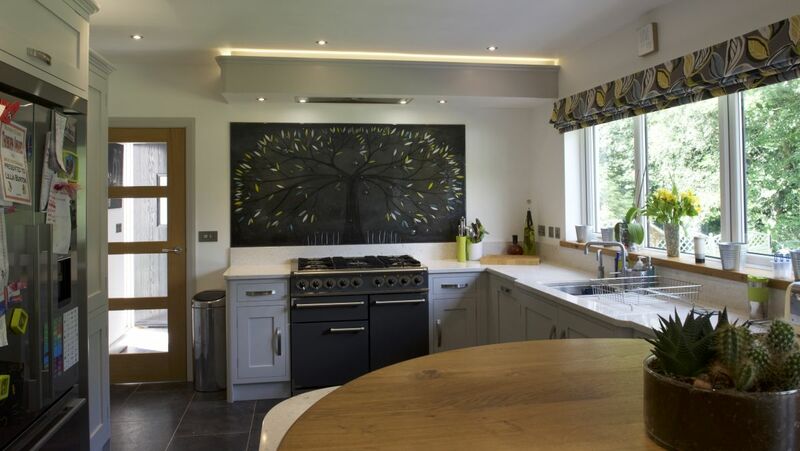 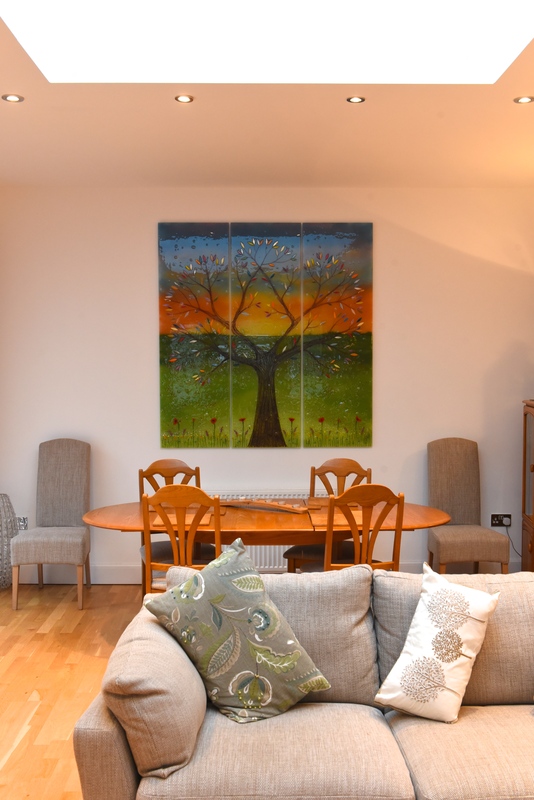 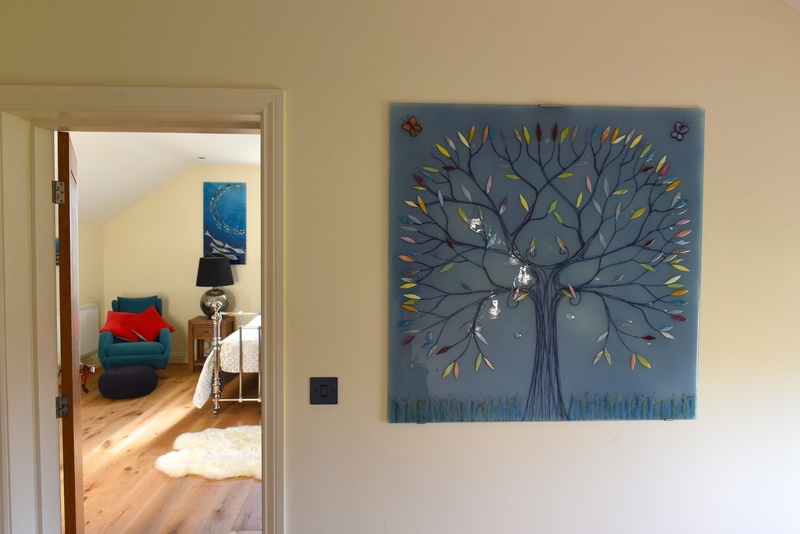 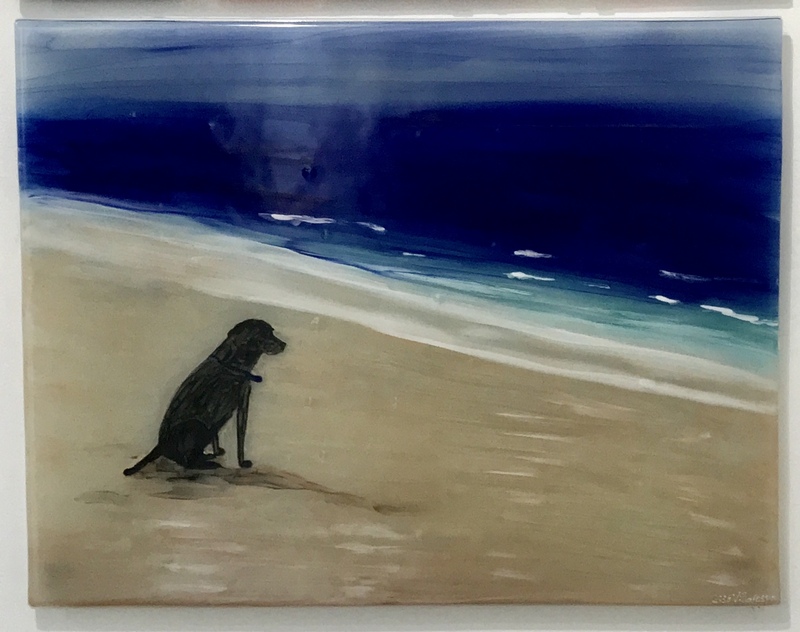 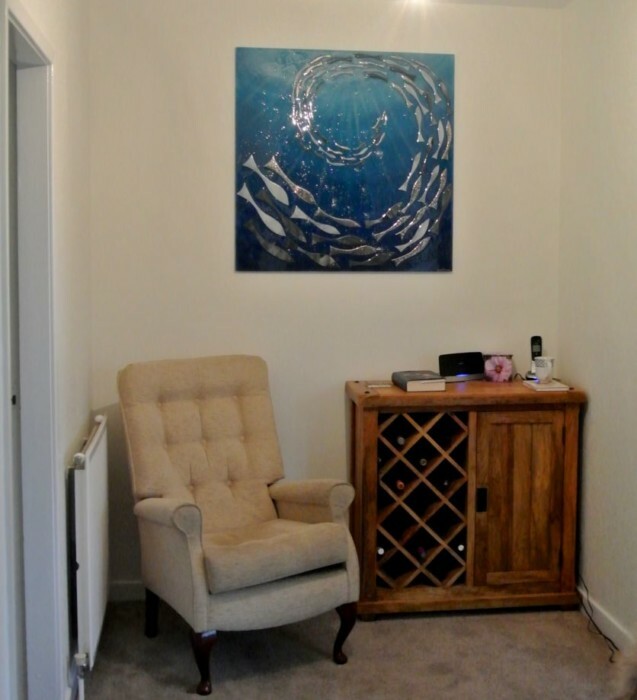 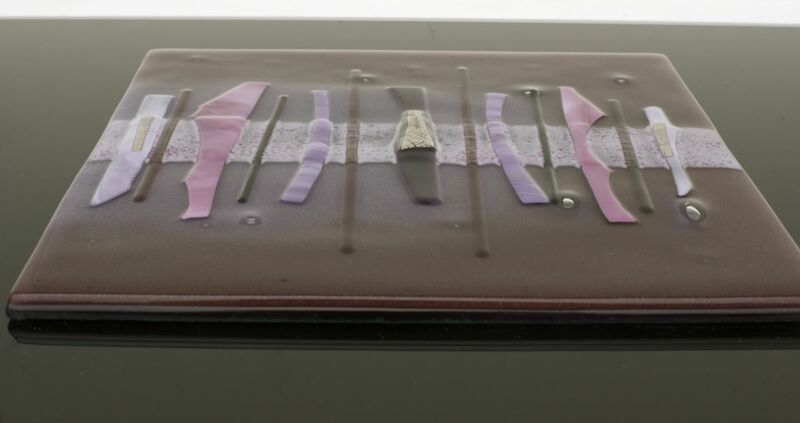 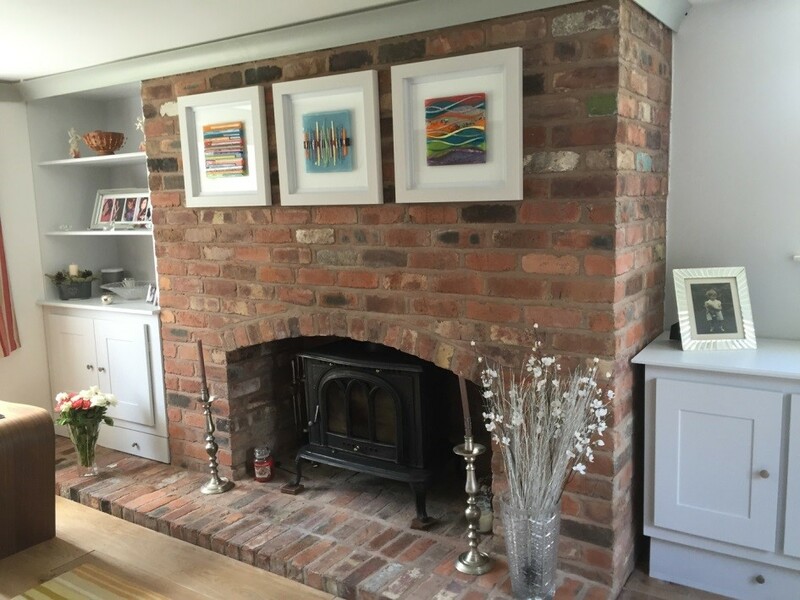 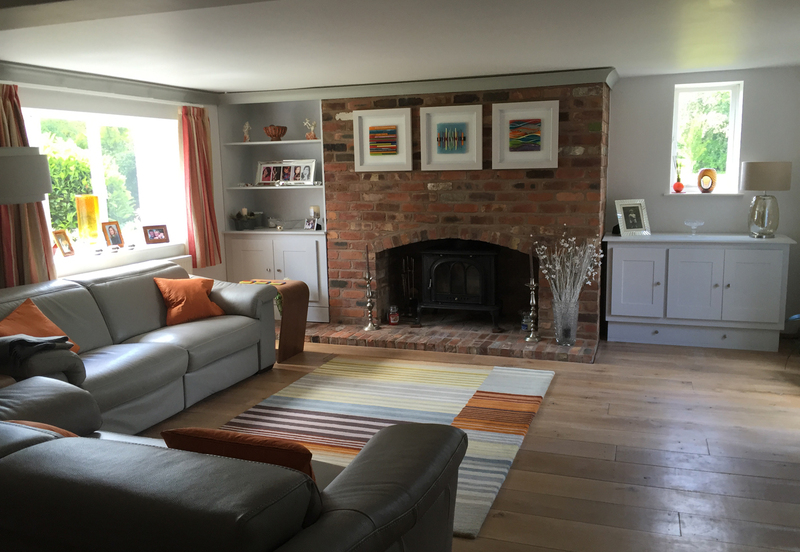 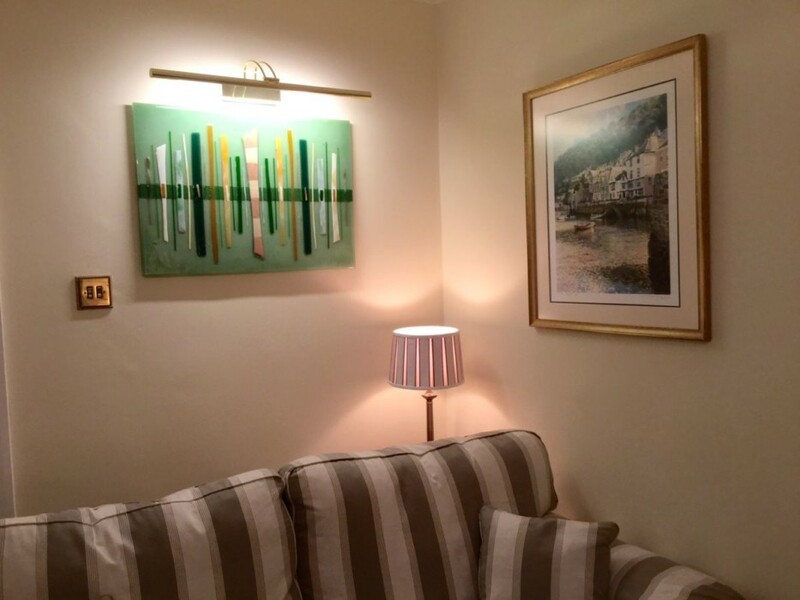 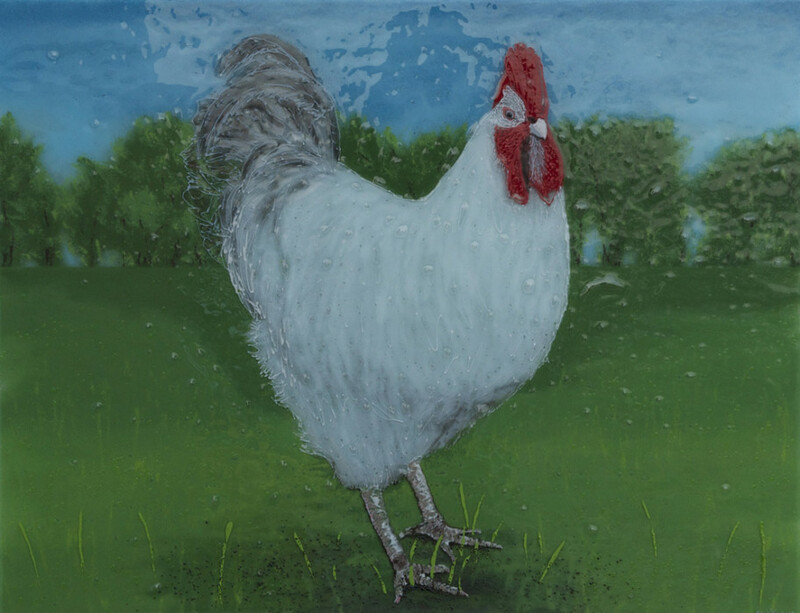 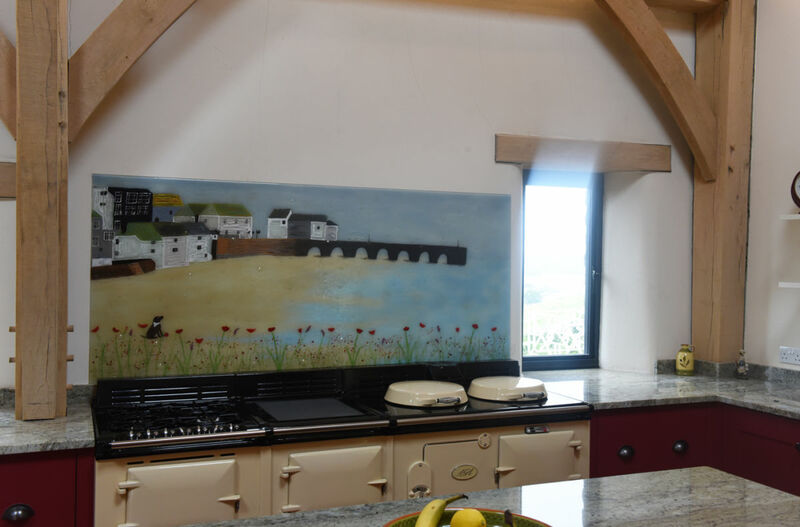 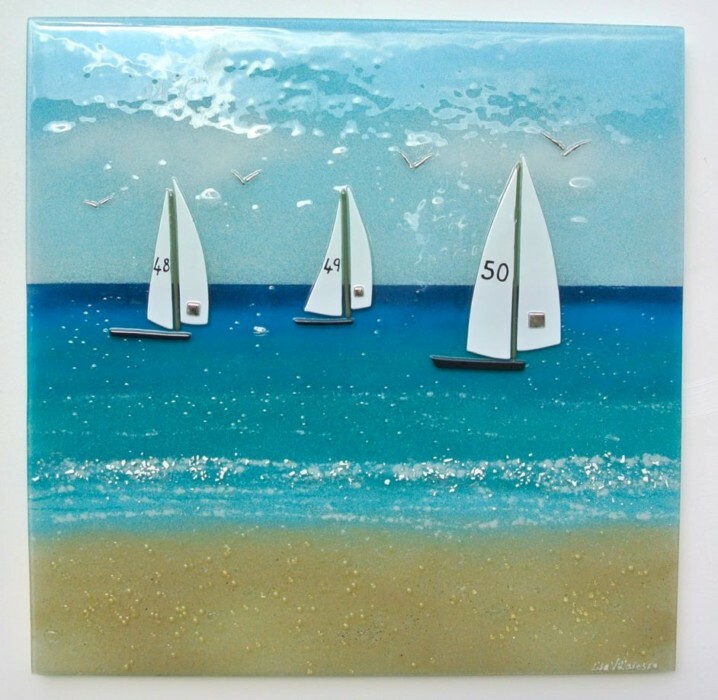 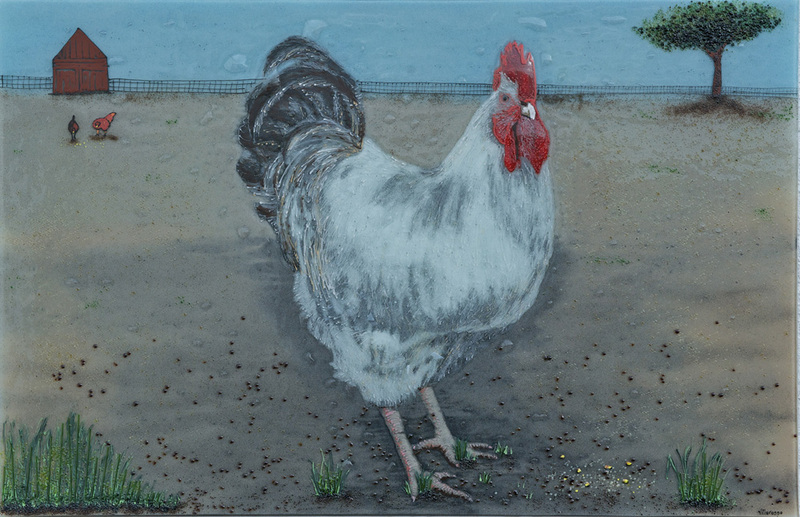 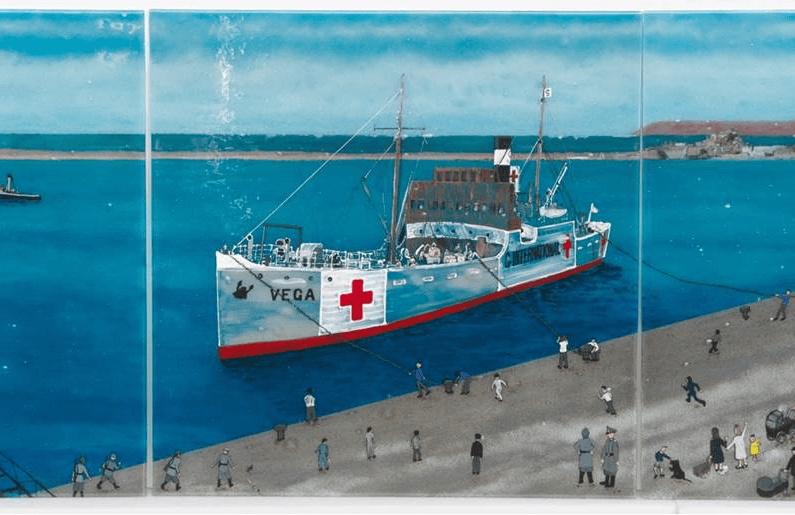 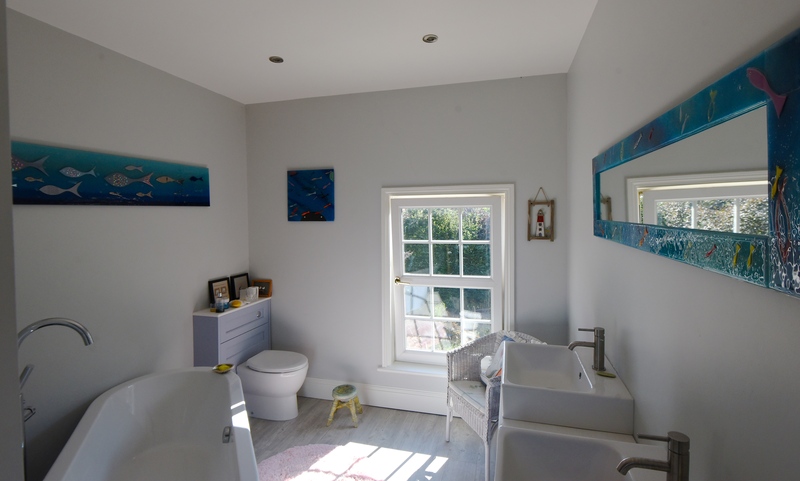 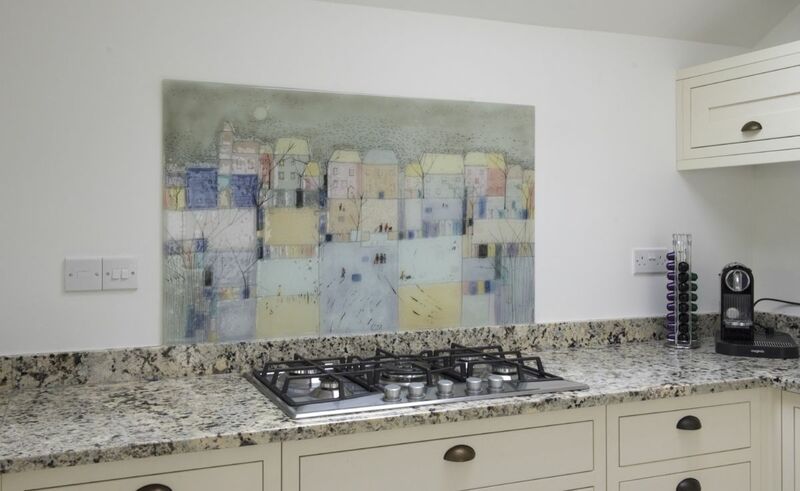 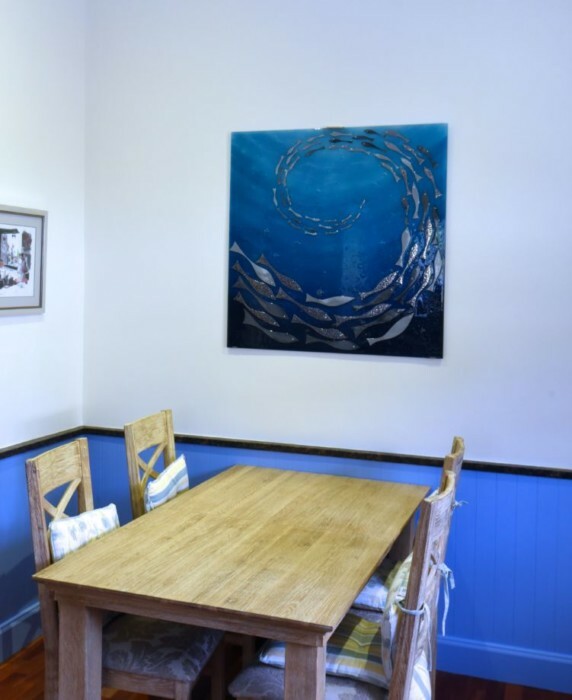 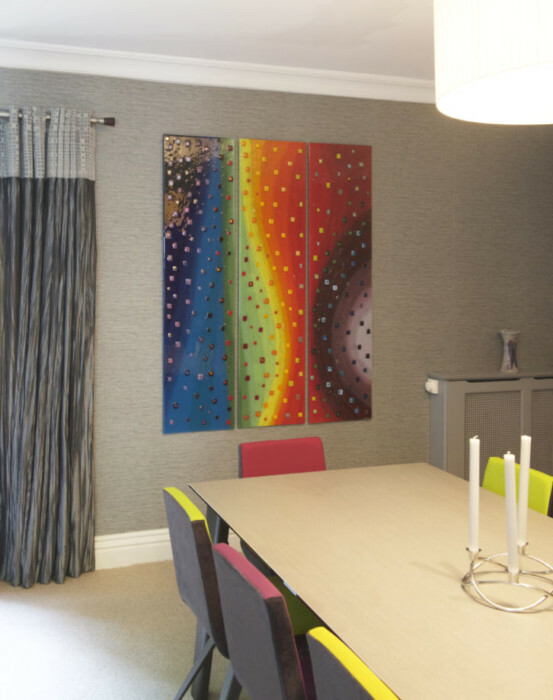 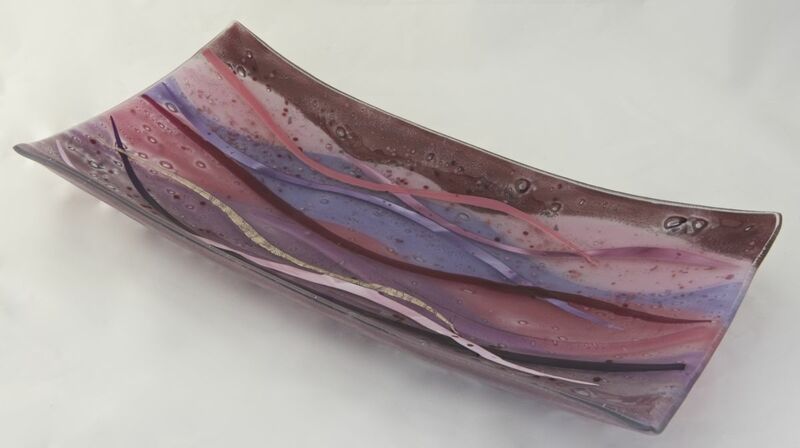 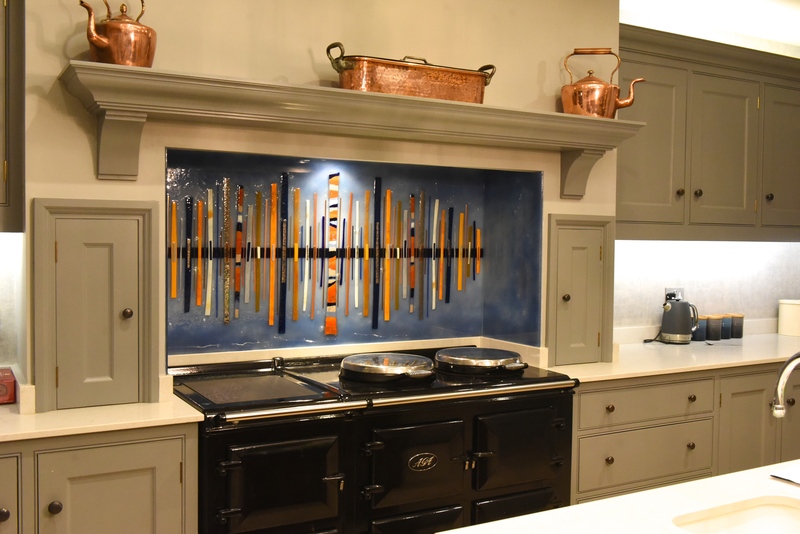 The piece is built on a neutral background to match the tone of the kitchen wall, which was painted in Farrow & Ball’s Calluna, a tranquil lilac shade. 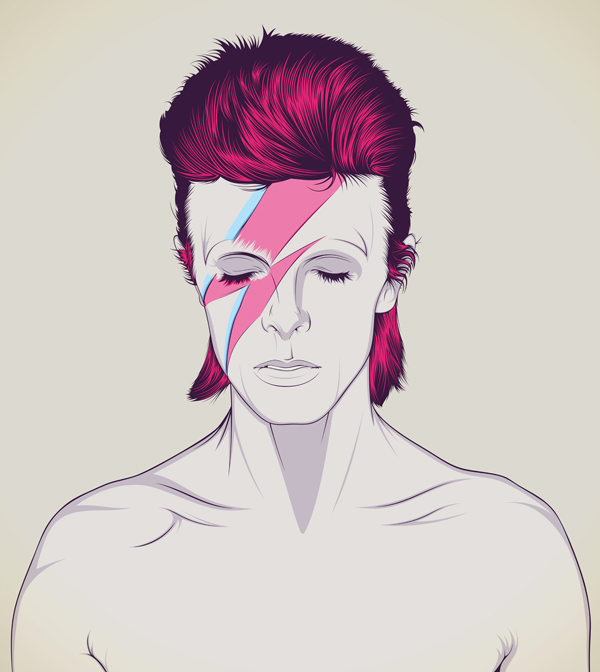 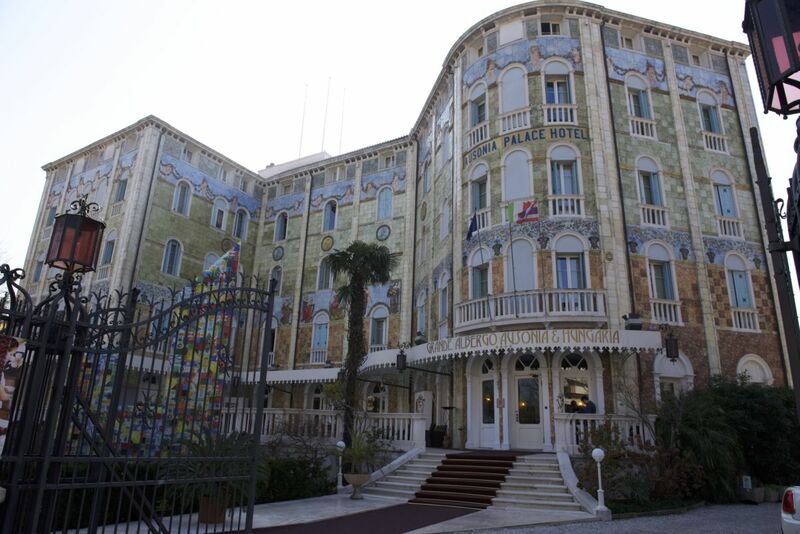 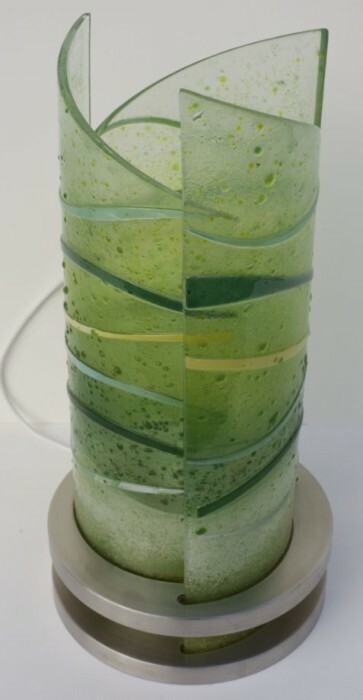 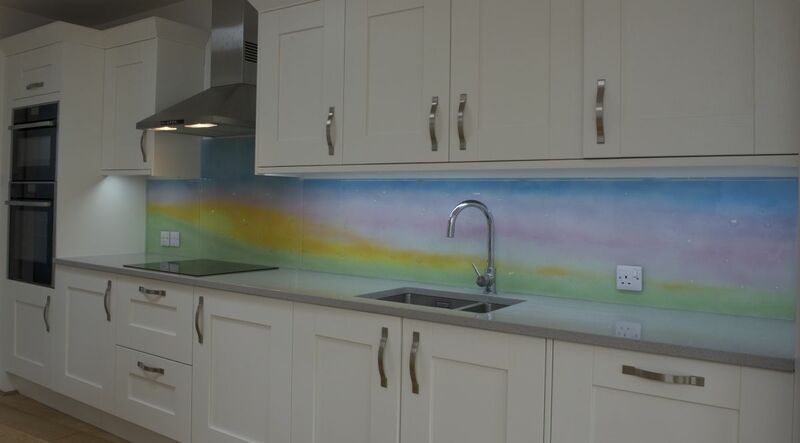 That’s not to say that the design isn’t colourful, though! 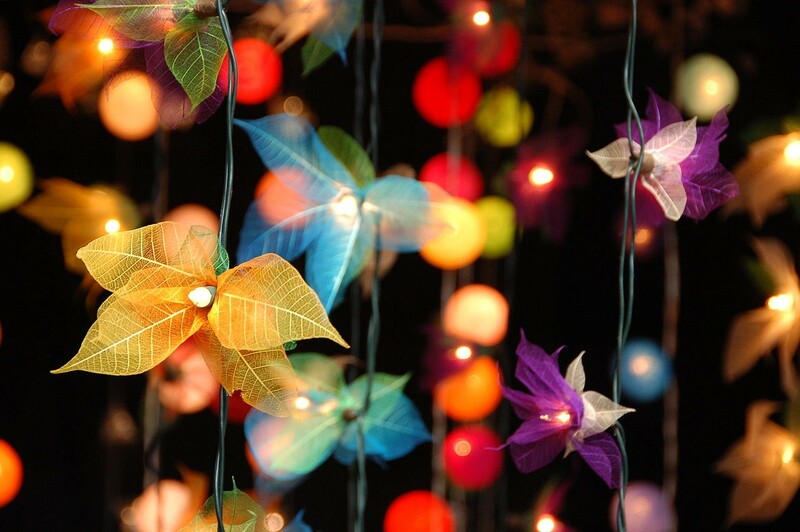 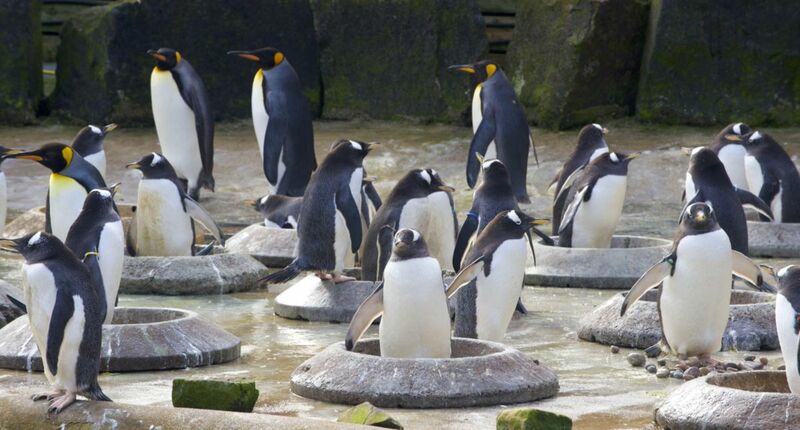 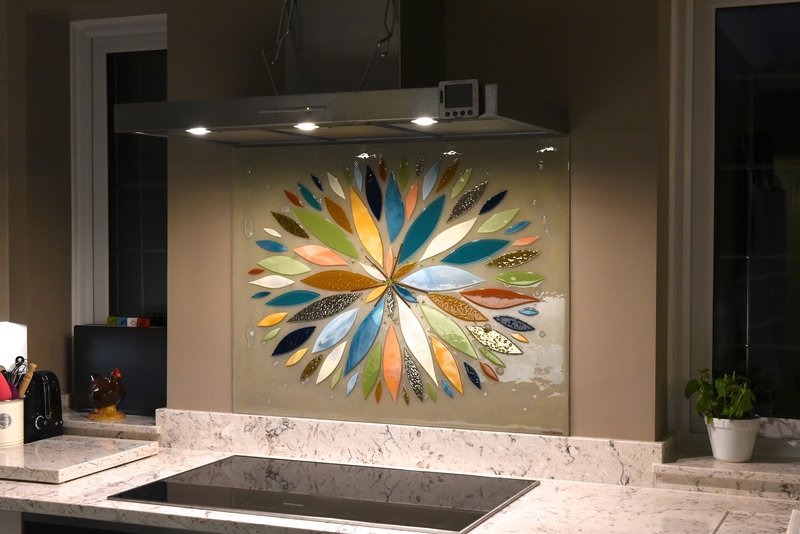 On the contrary, the feathers display a gorgeous array of vivid hues, all selected for very specific reasons. 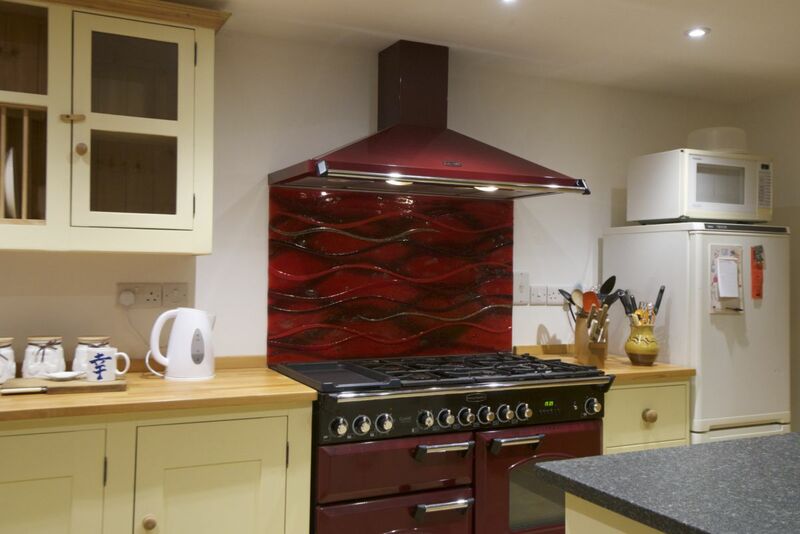 Take a look at the eye of each feather and you’ll find the same shade of burgundy as the central range cooker, along with accents of metallic silver that perfectly complement the chrome handles. 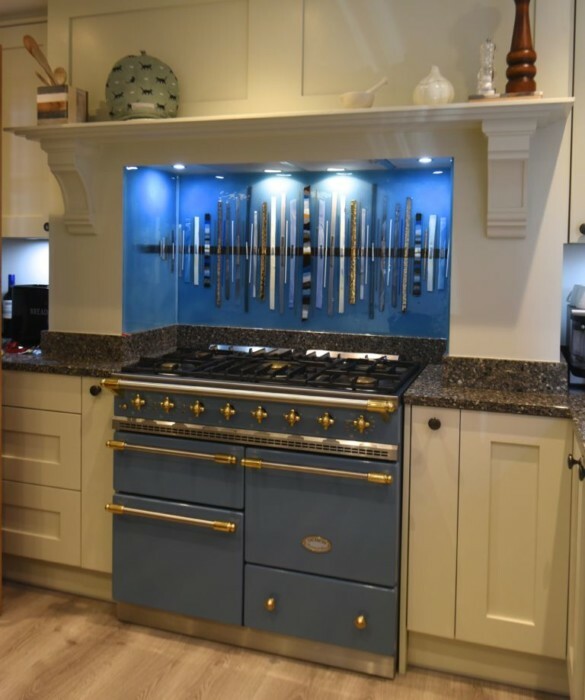 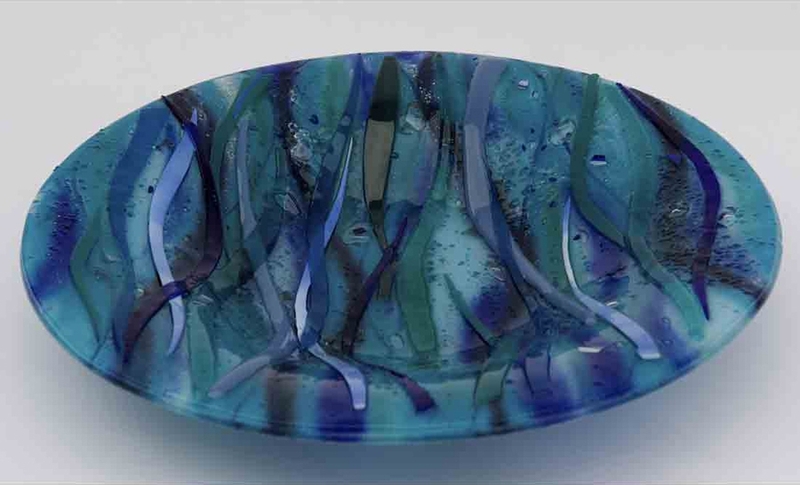 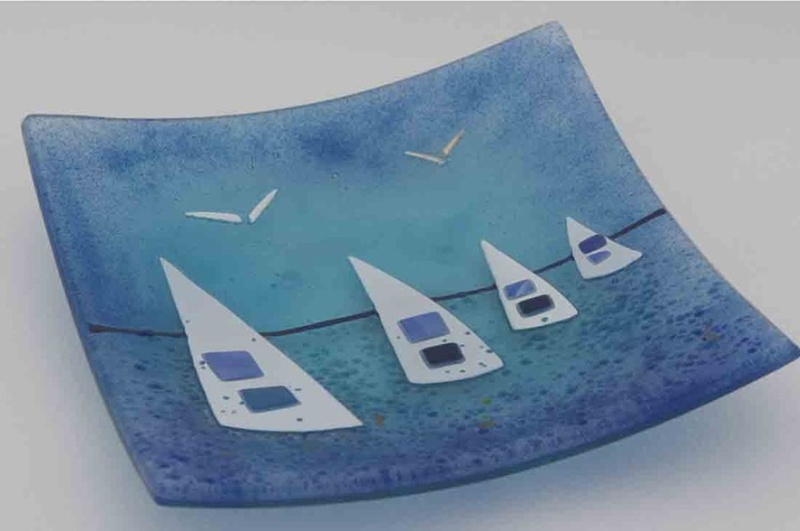 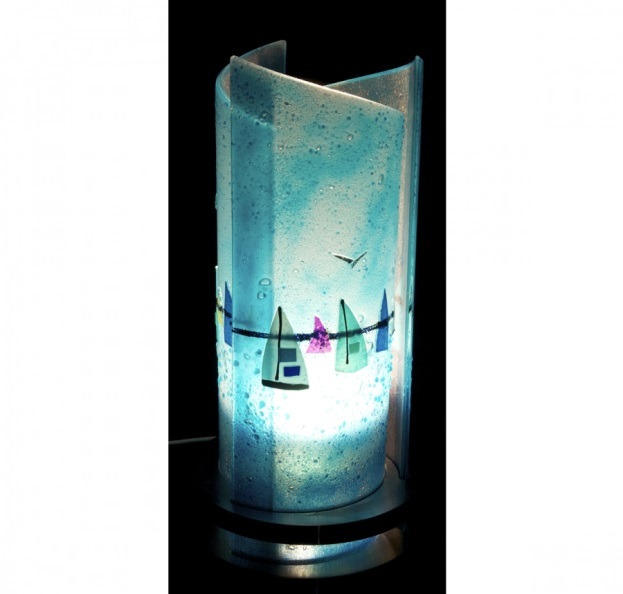 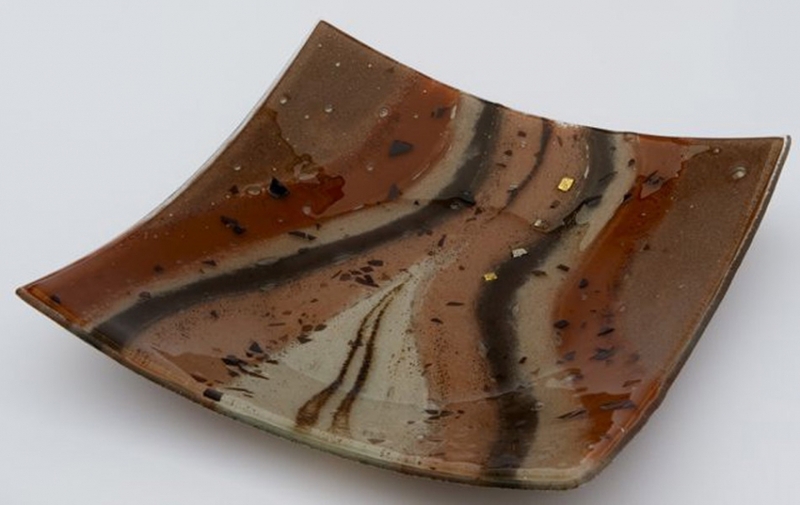 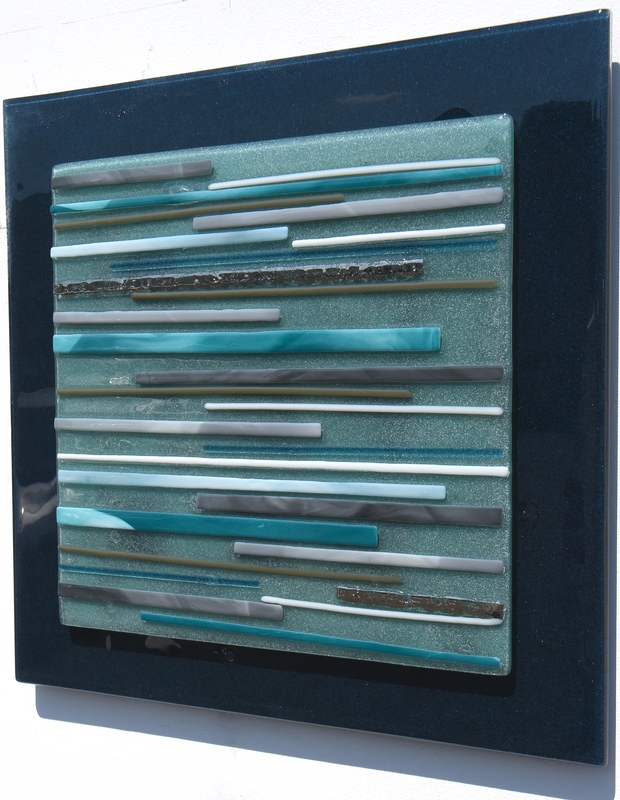 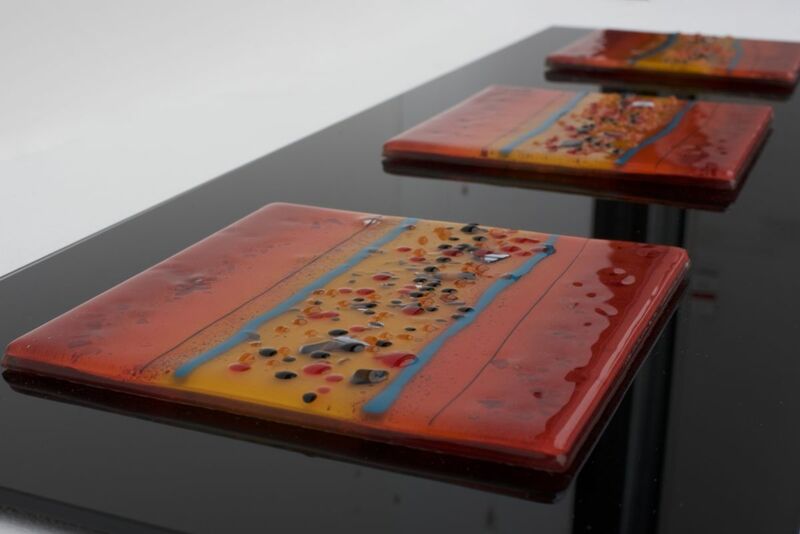 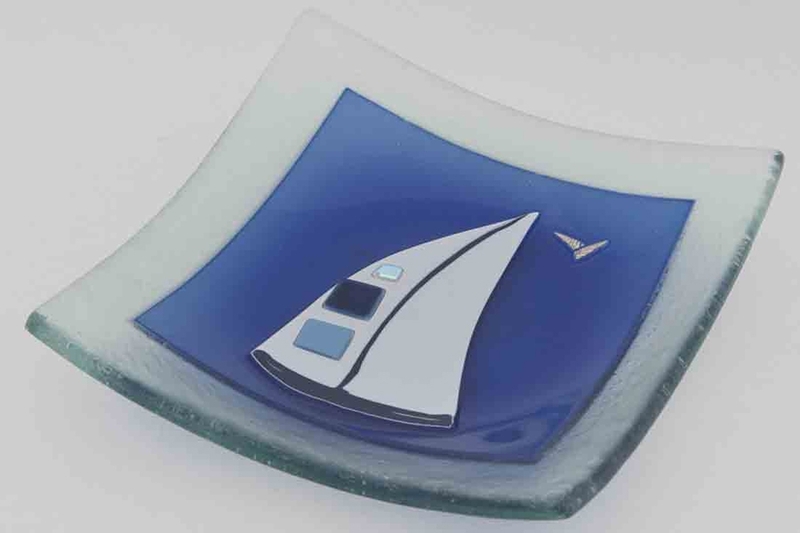 The rest of the colours include a soft teal and royal blue that make a great match for with some of the existing pottery in the kitchen, making this a gorgeous centrepiece that truly ties the room together. 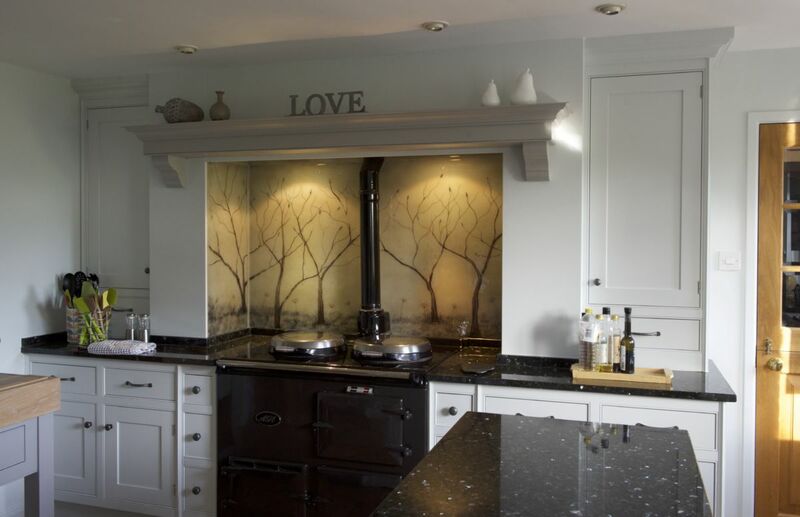 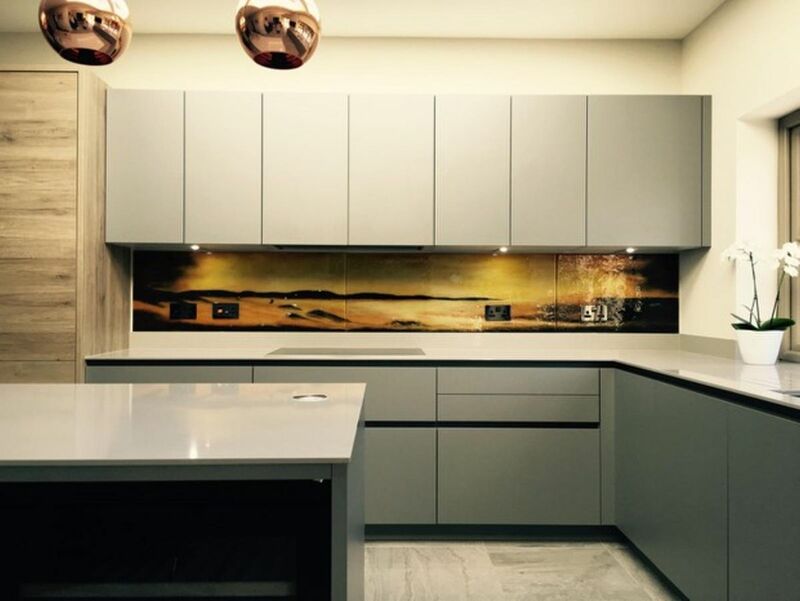 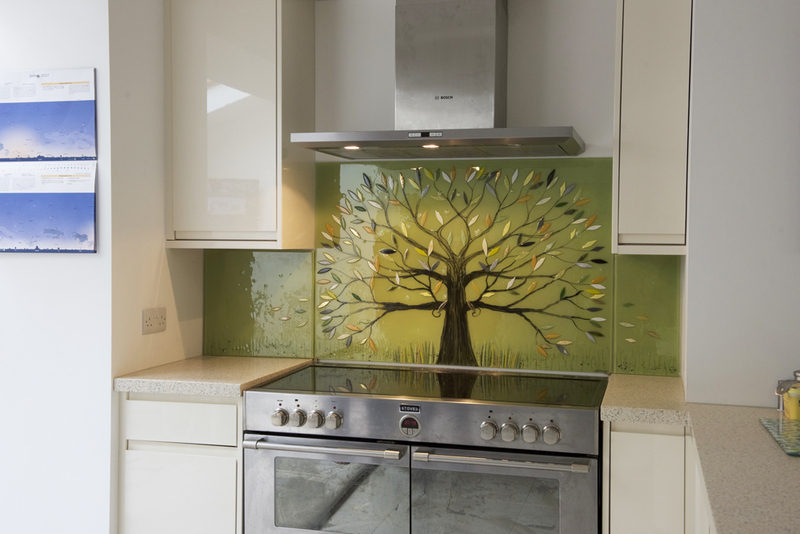 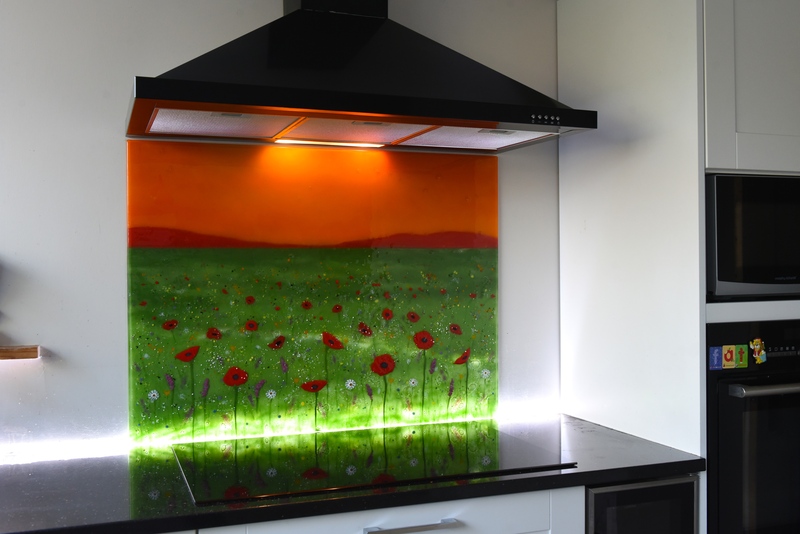 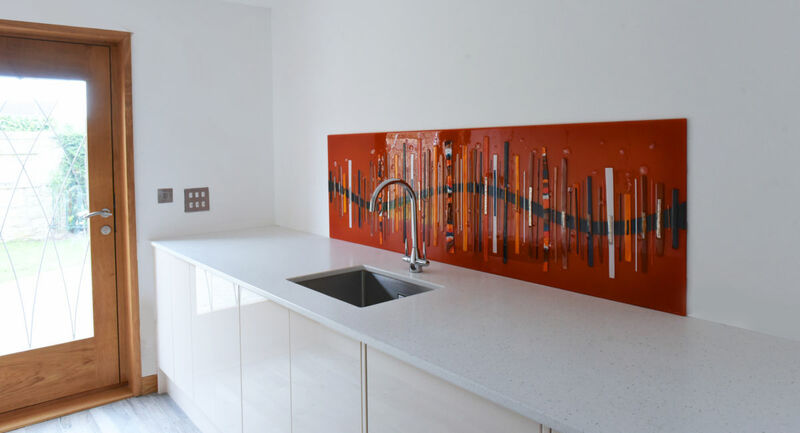 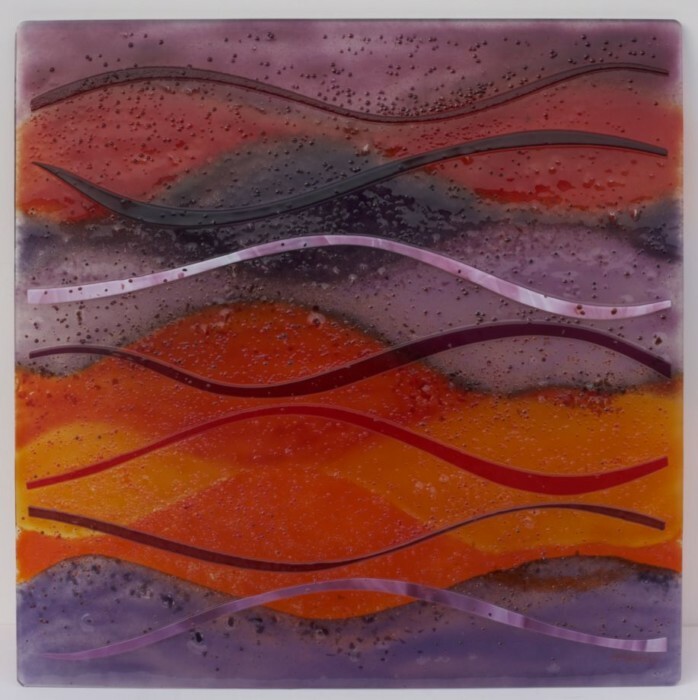 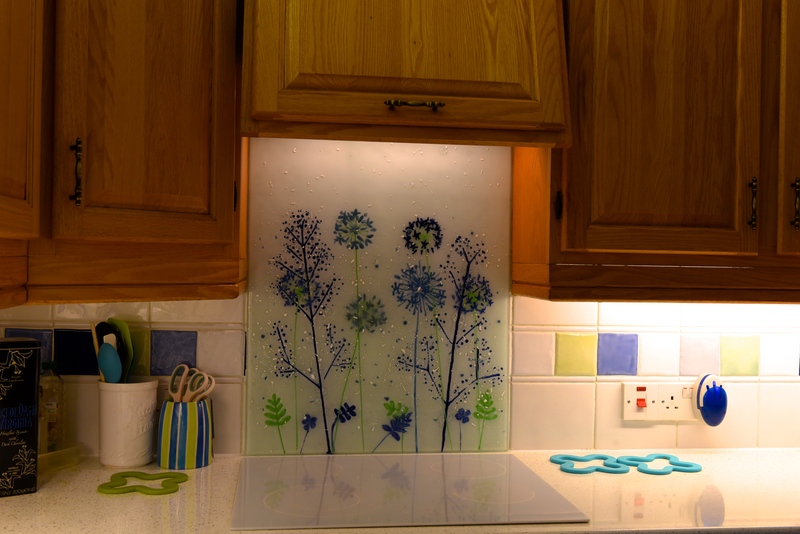 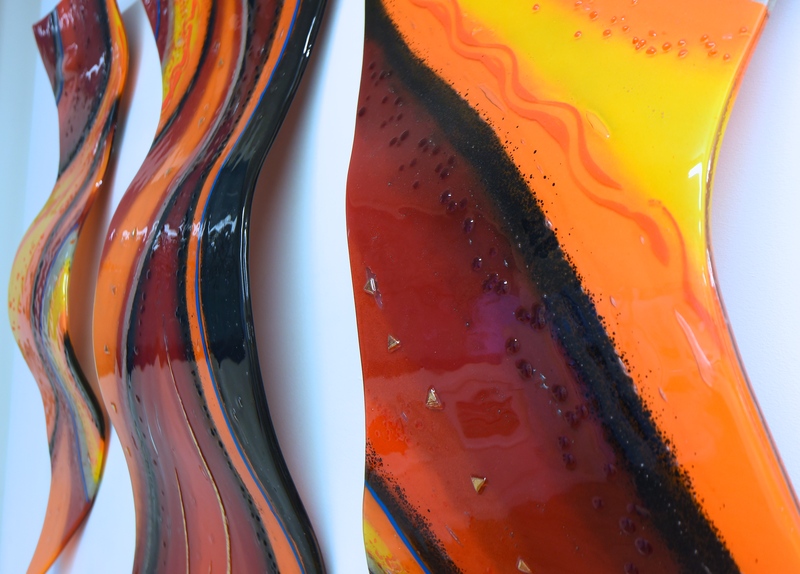 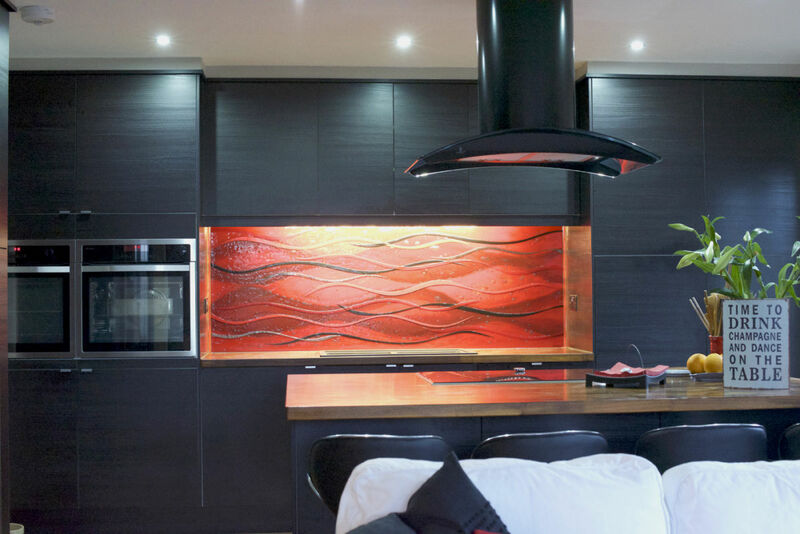 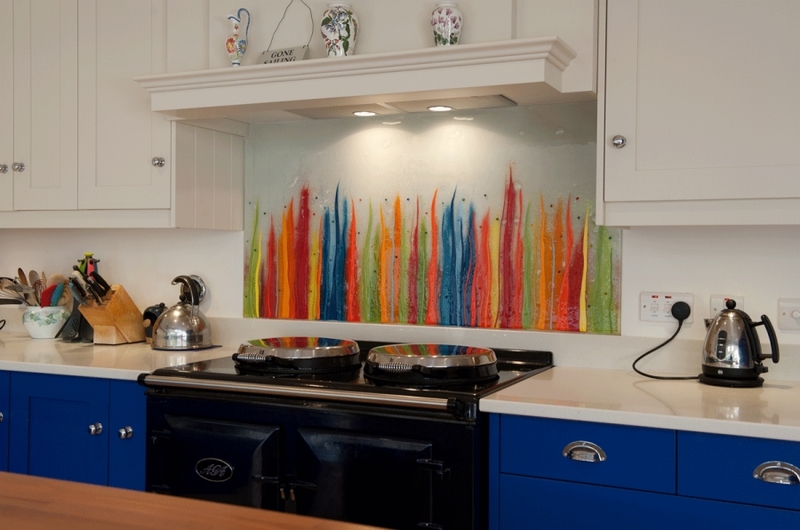 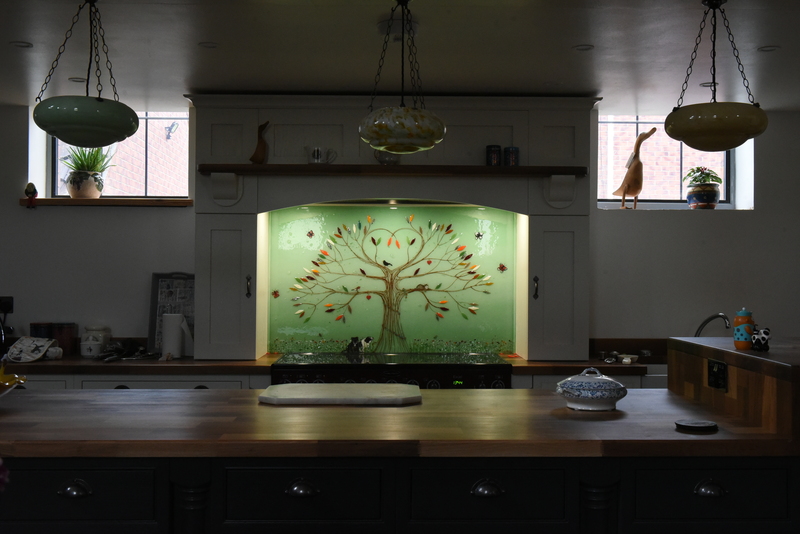 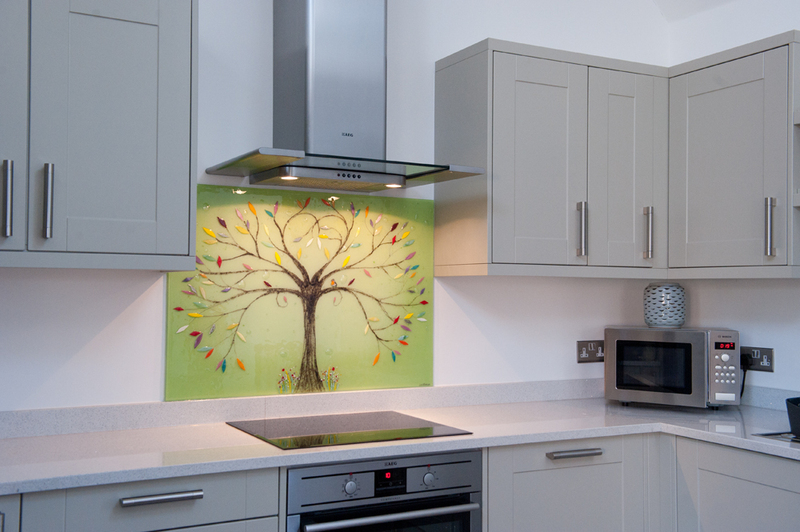 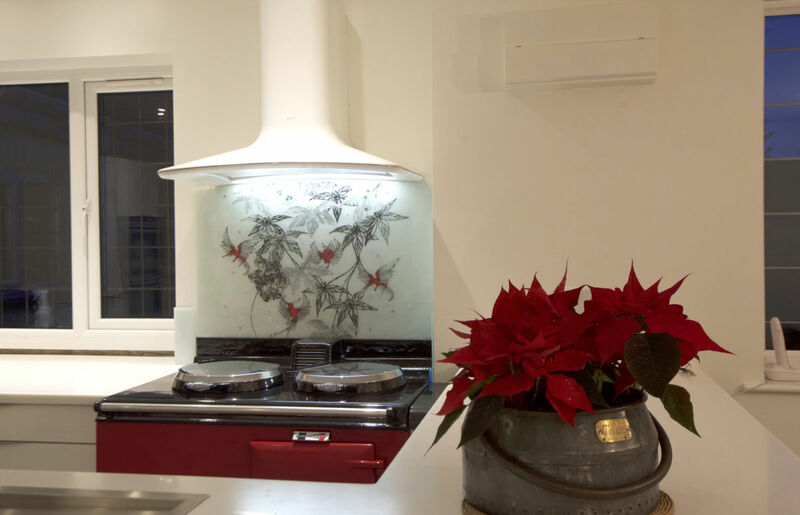 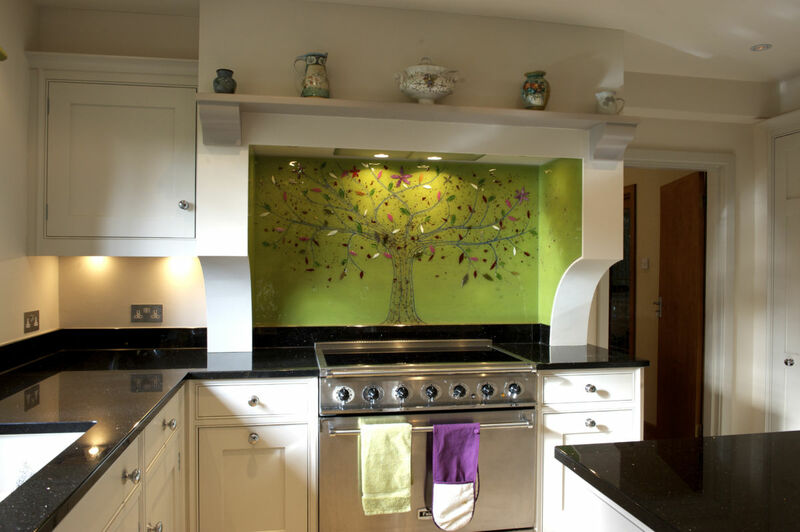 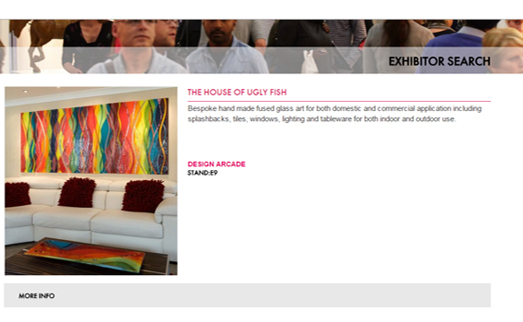 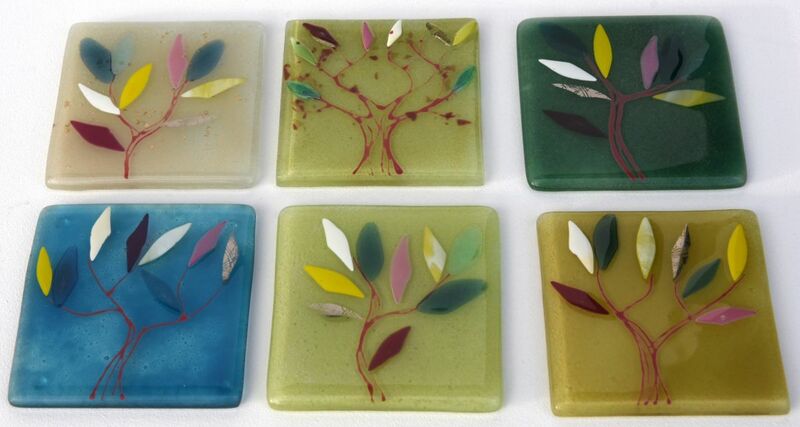 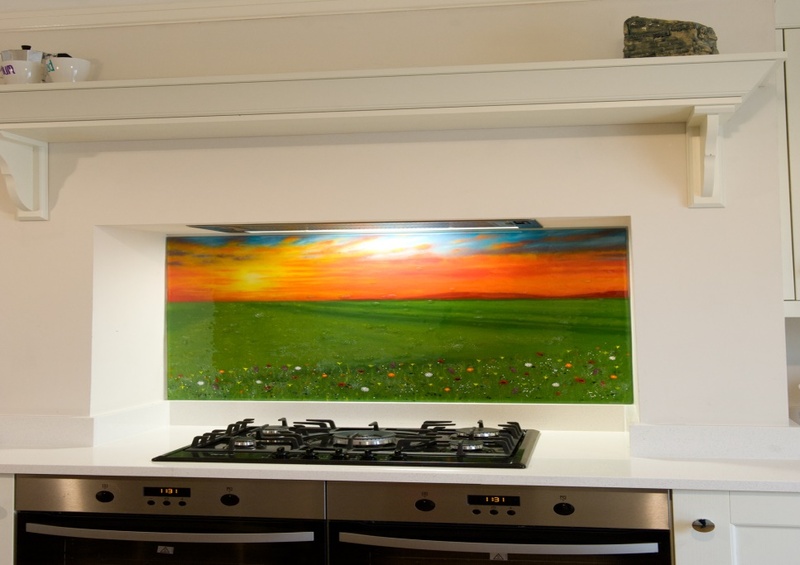 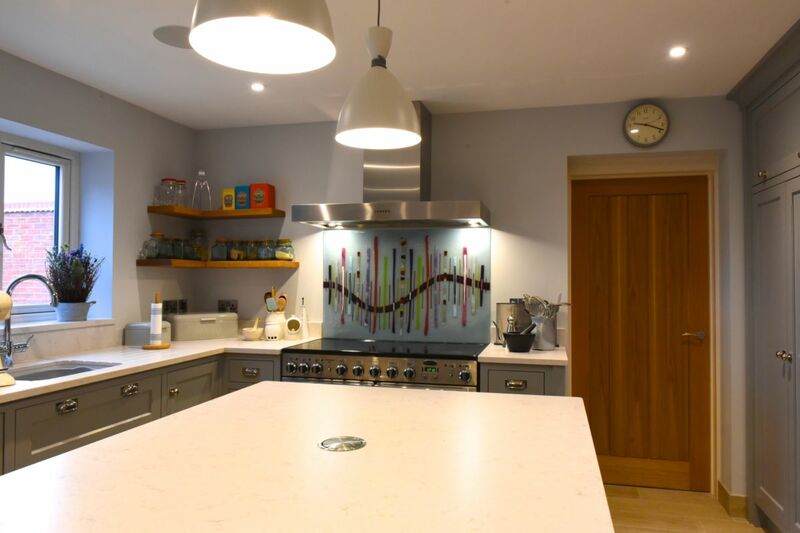 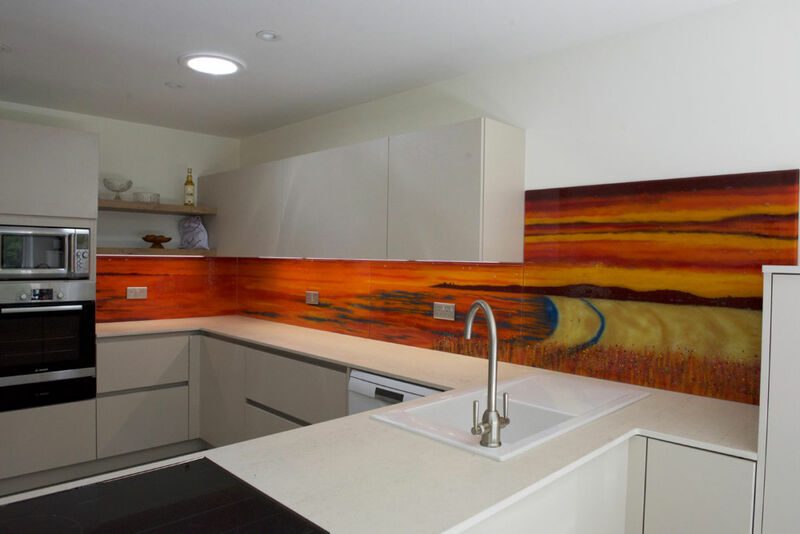 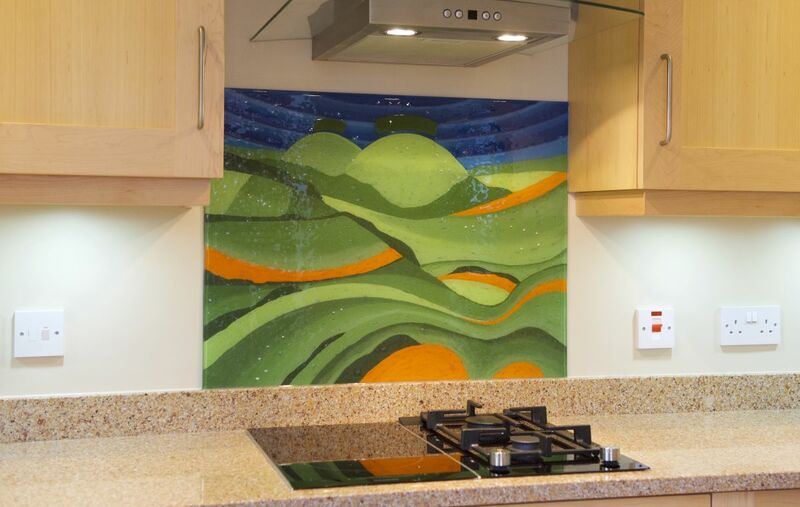 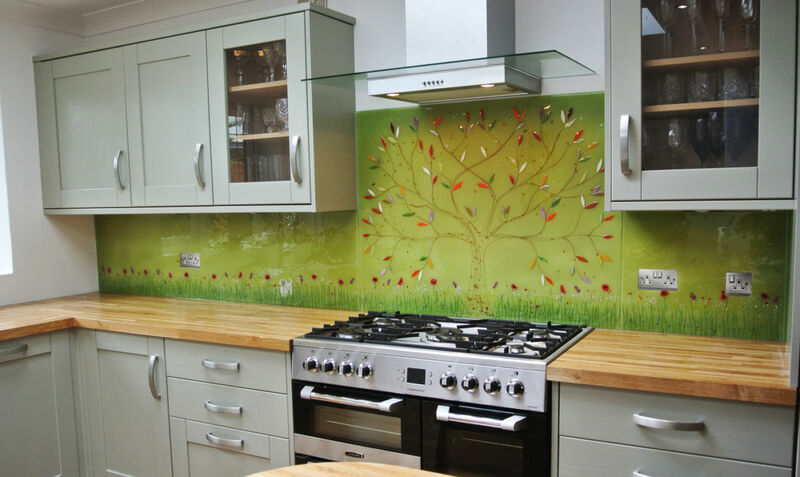 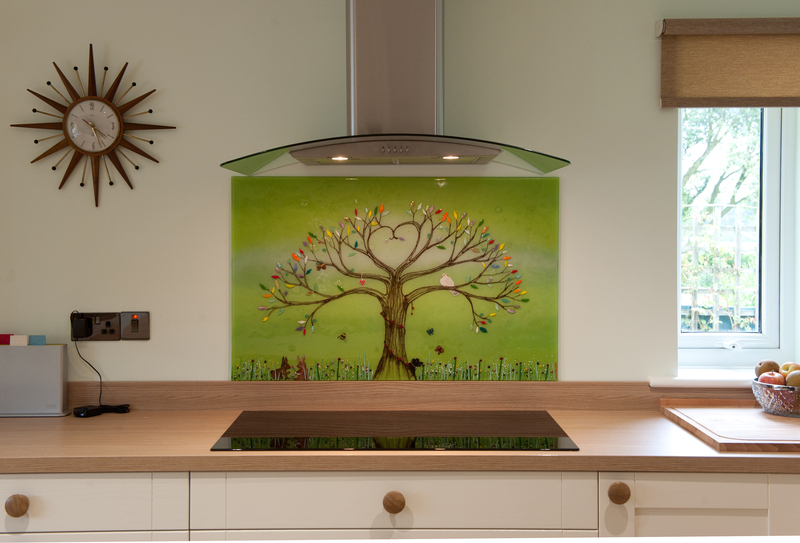 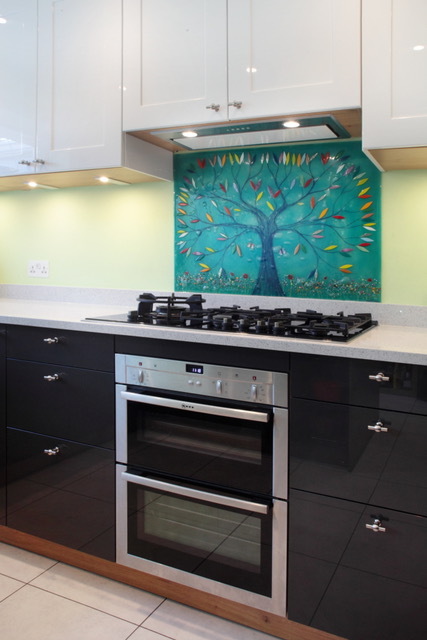 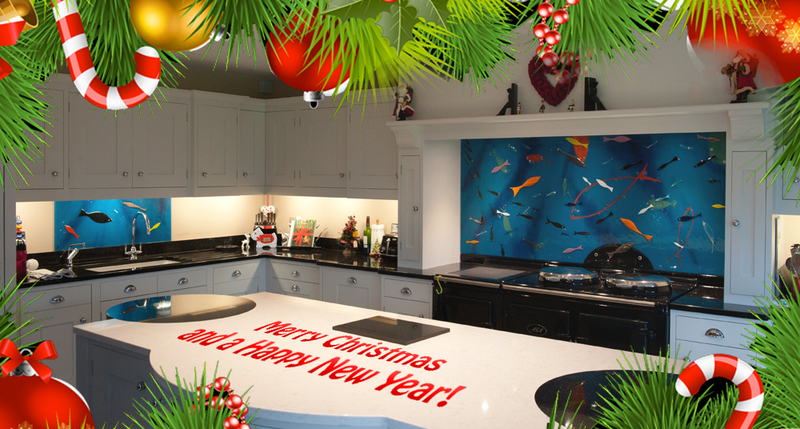 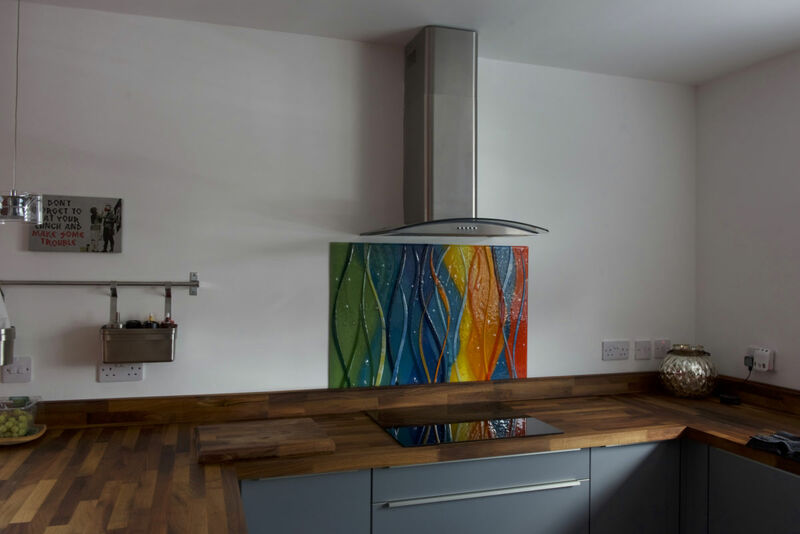 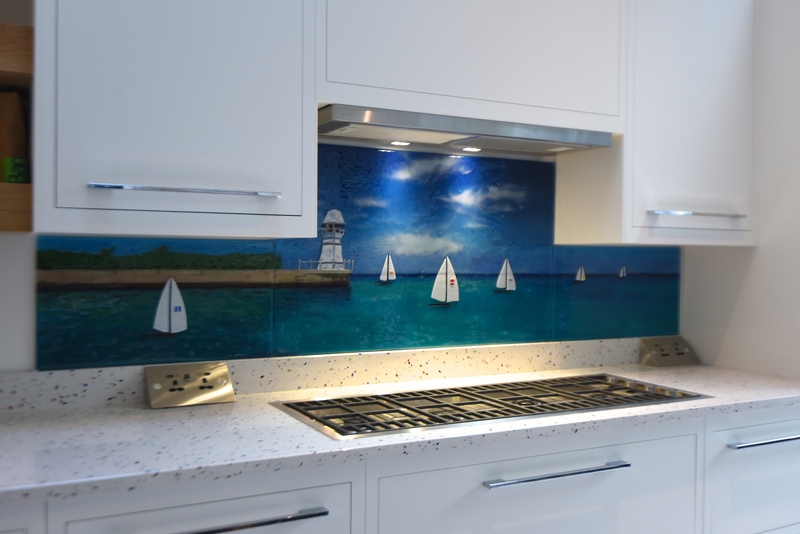 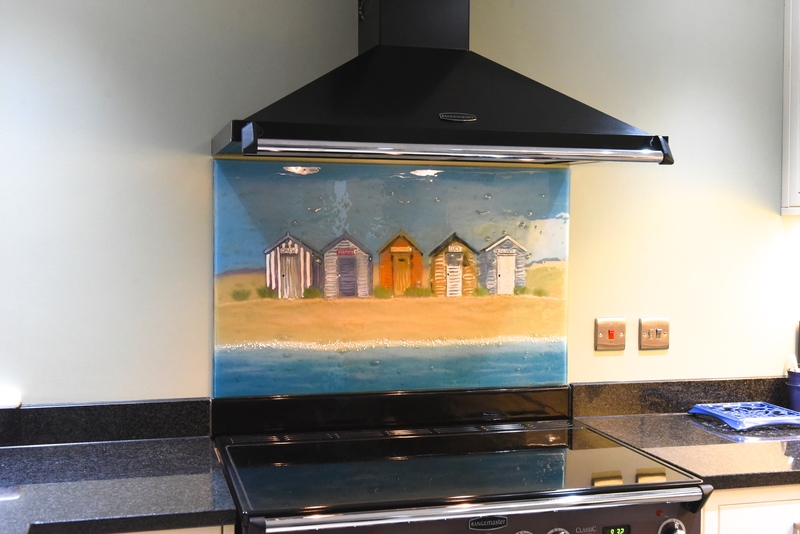 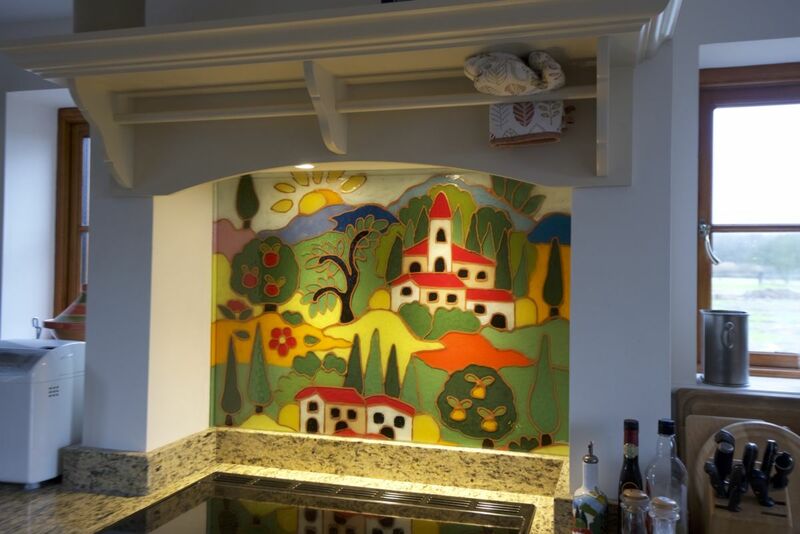 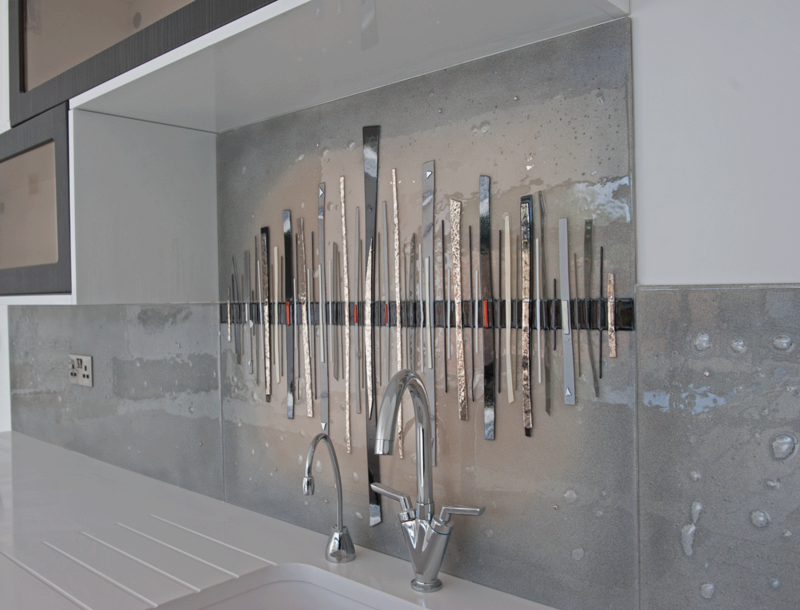 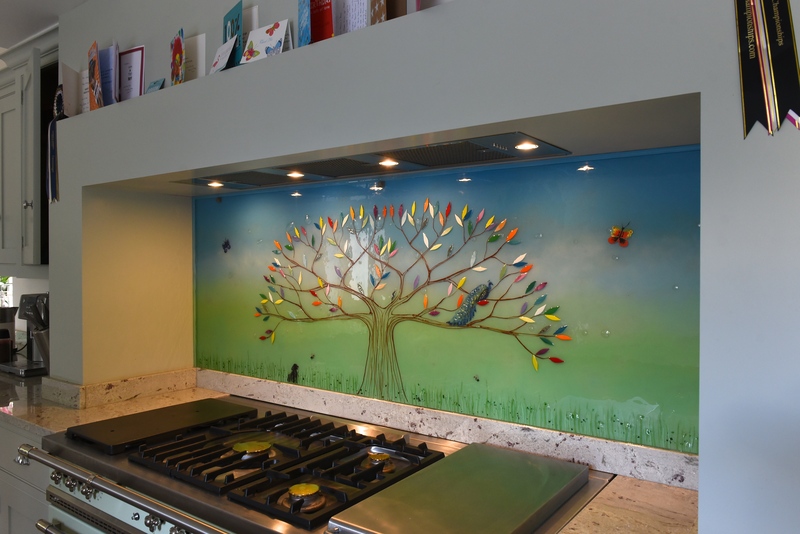 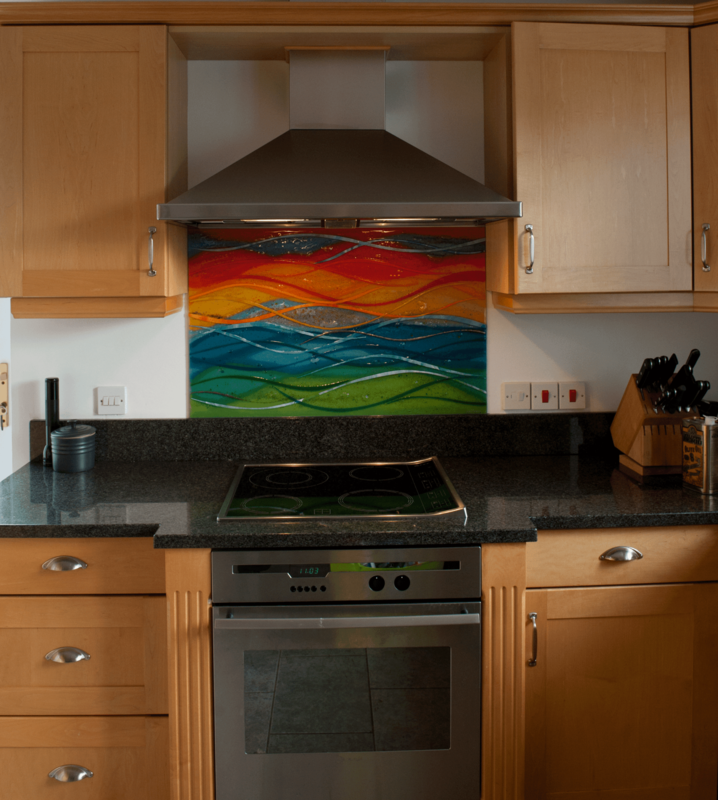 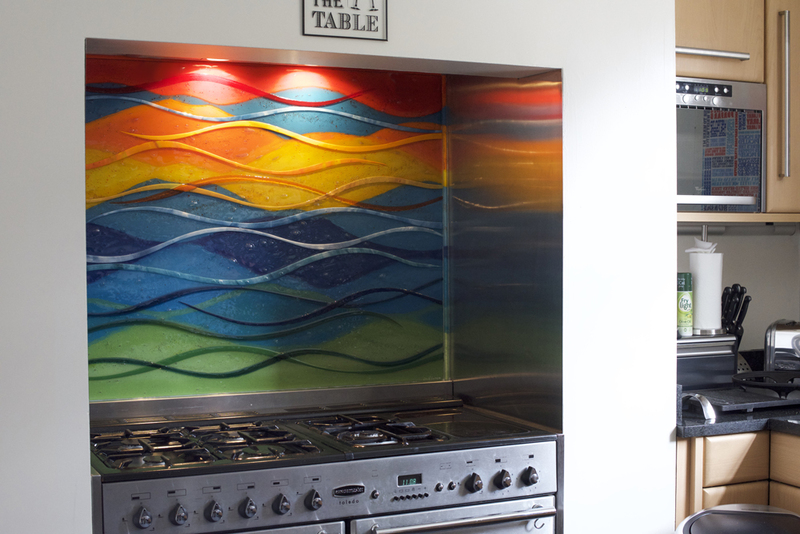 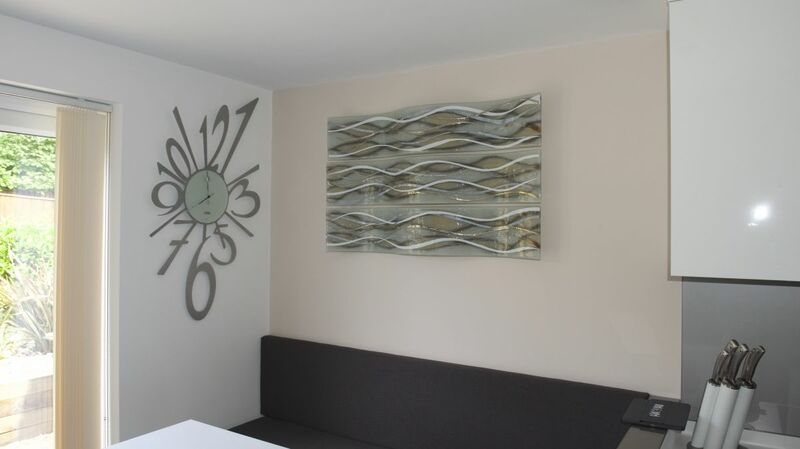 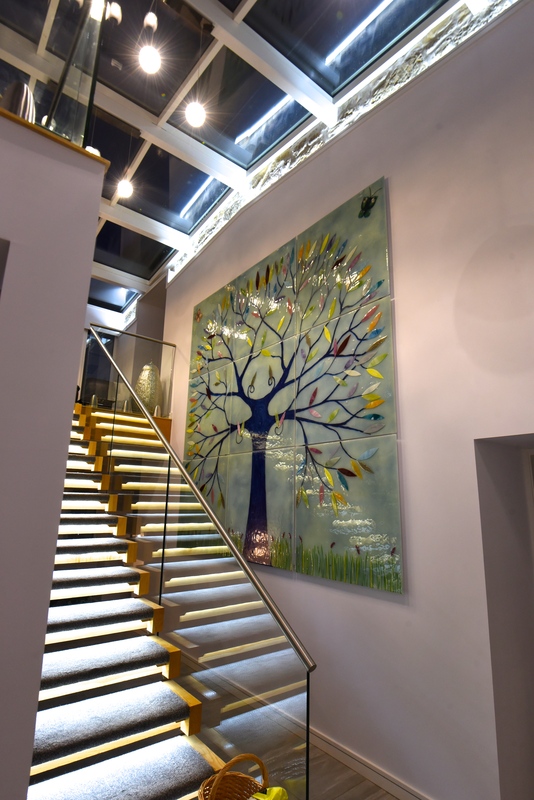 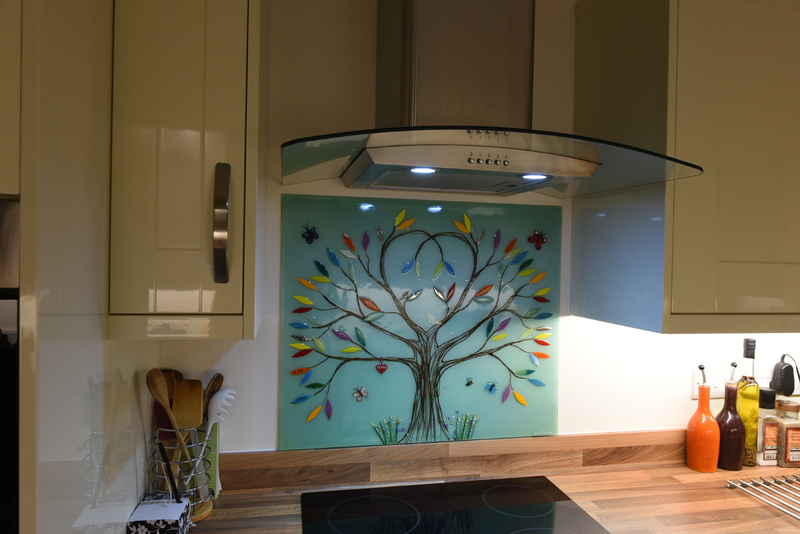 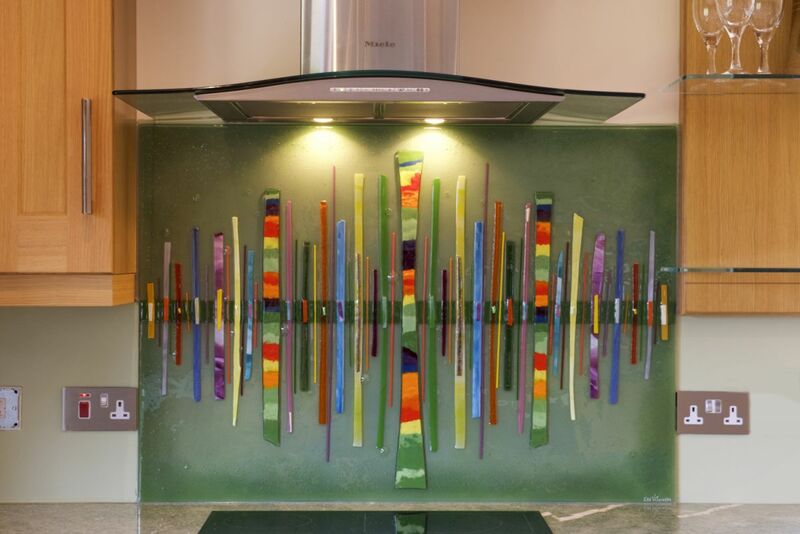 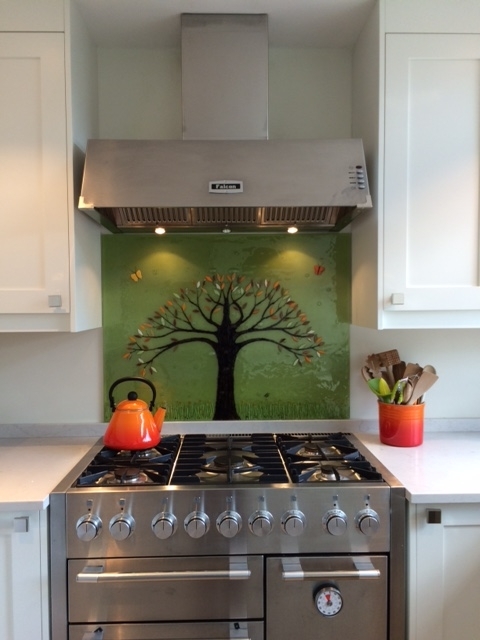 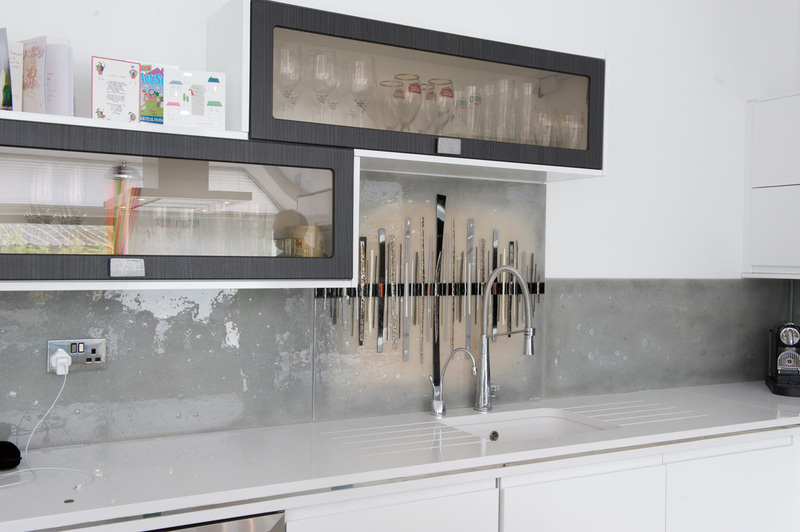 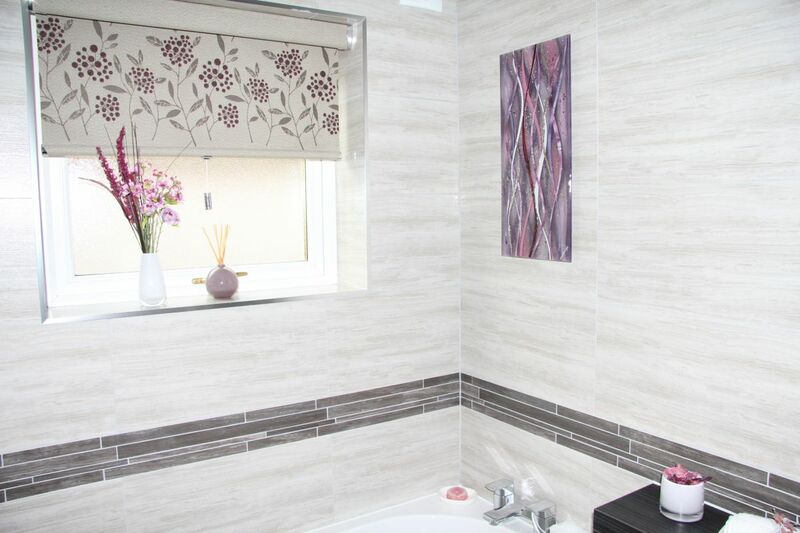 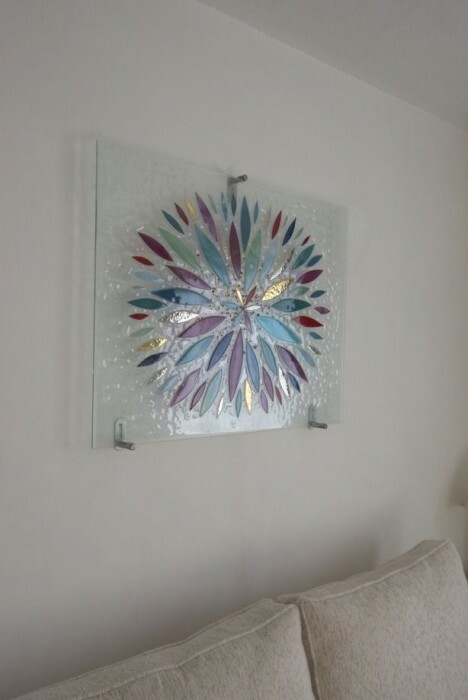 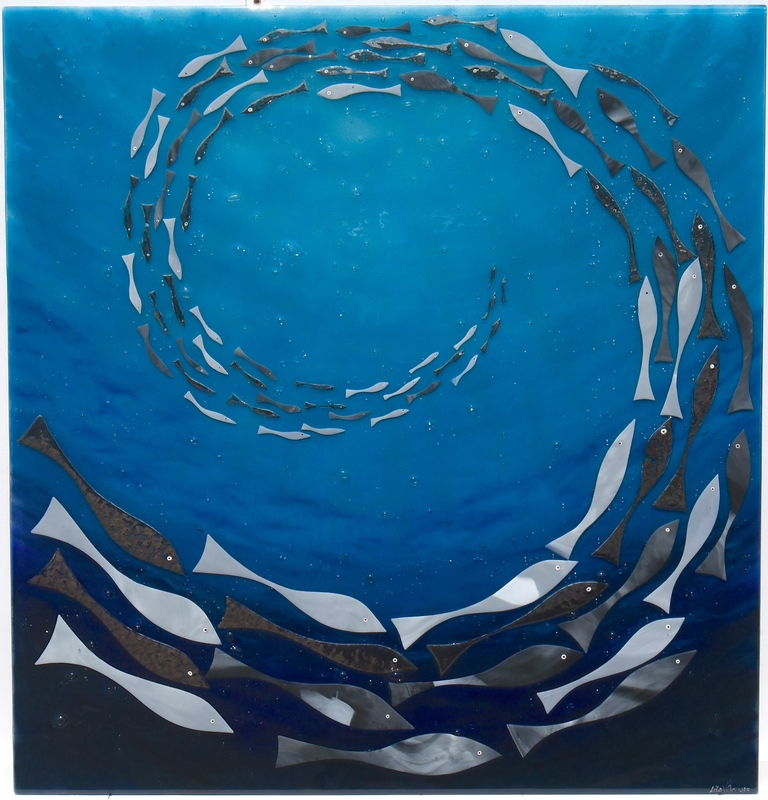 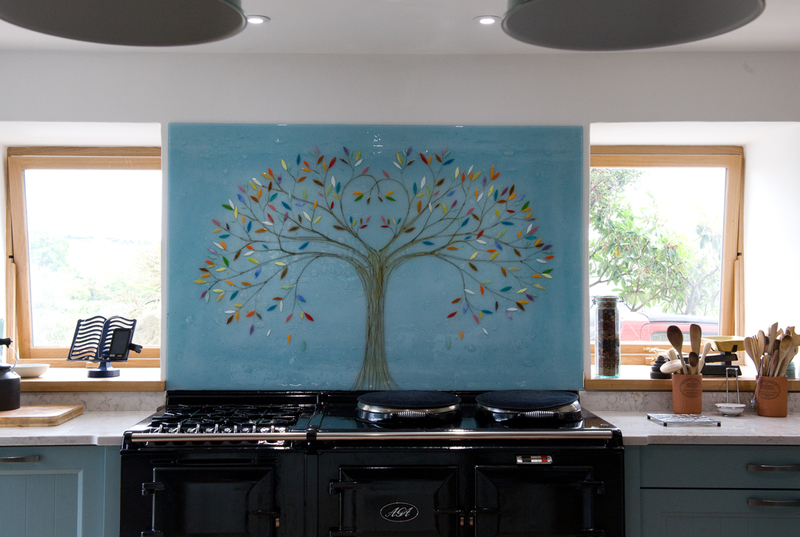 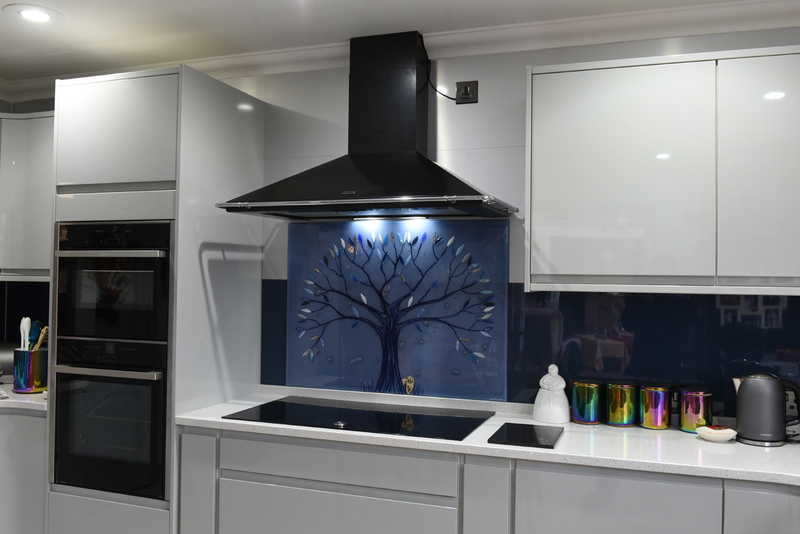 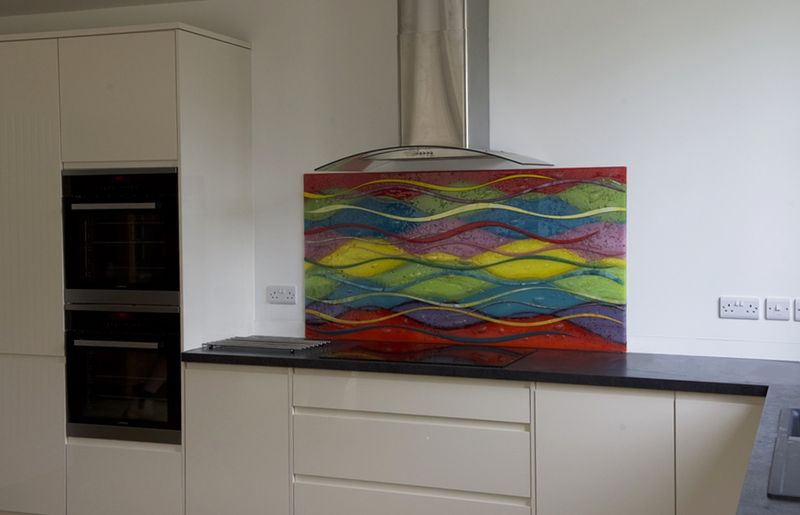 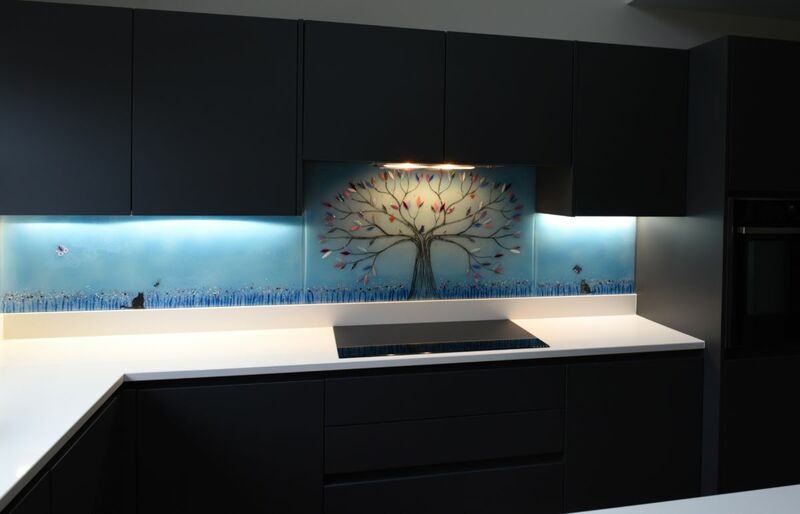 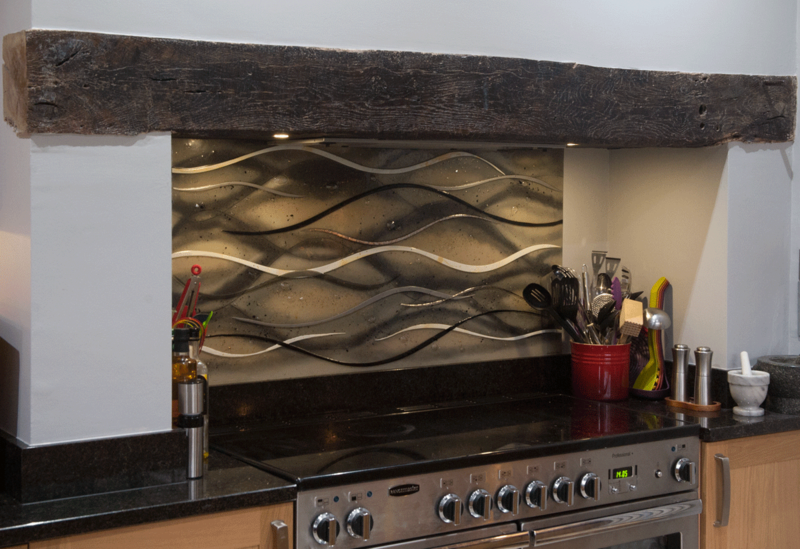 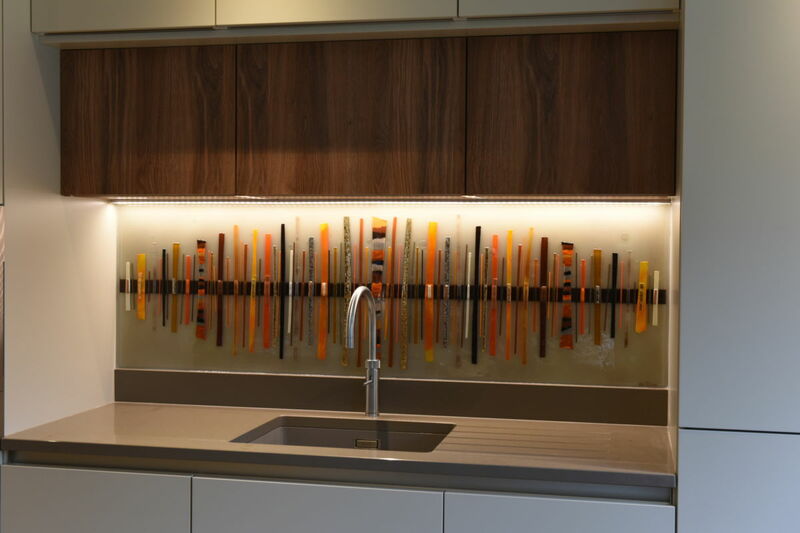 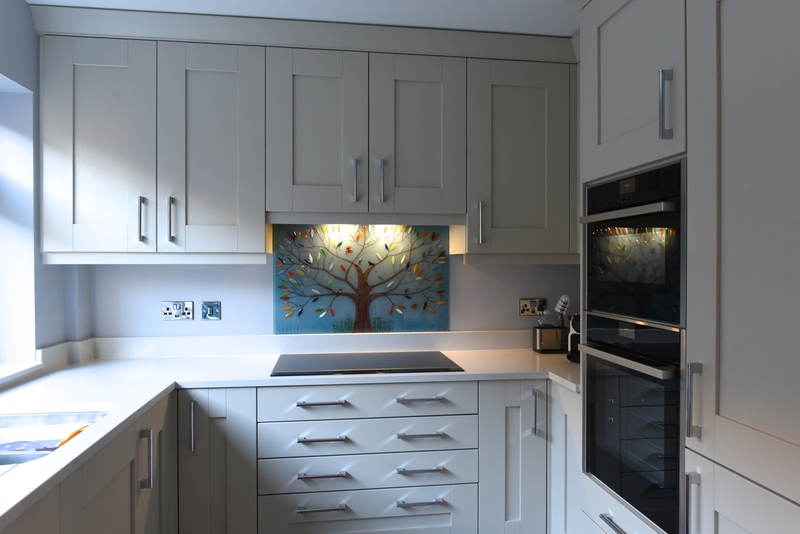 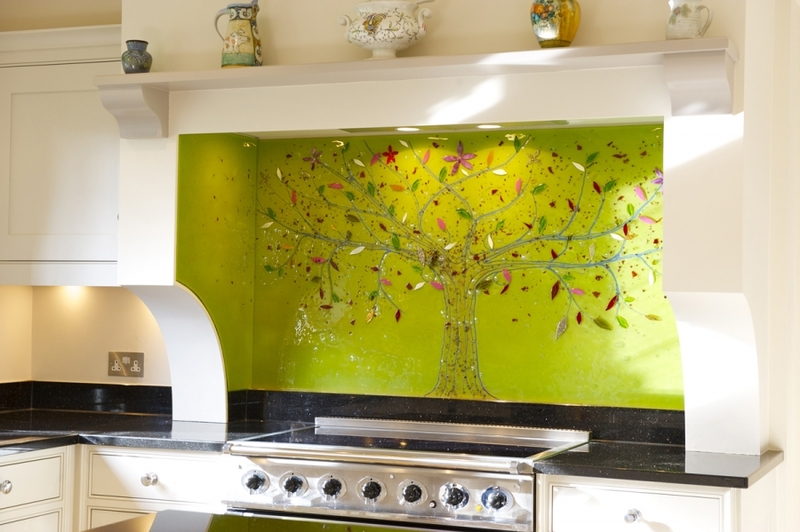 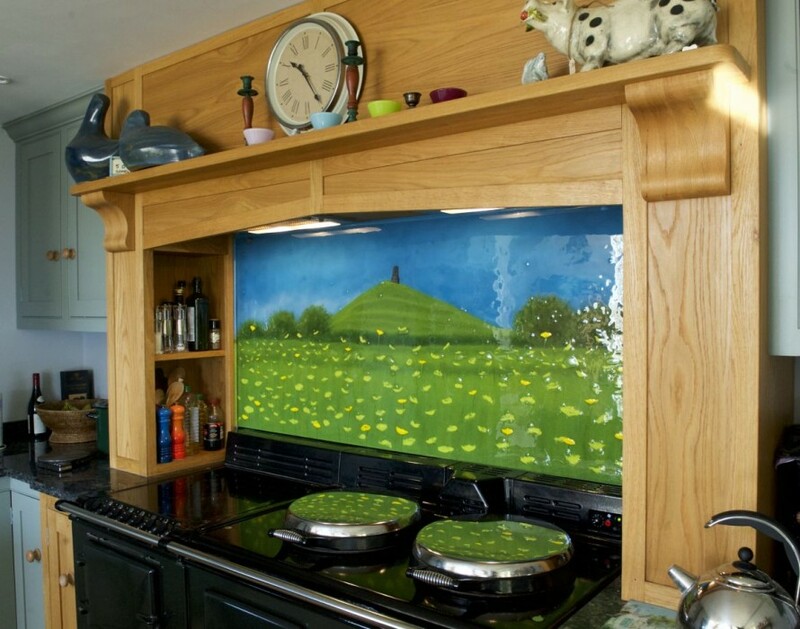 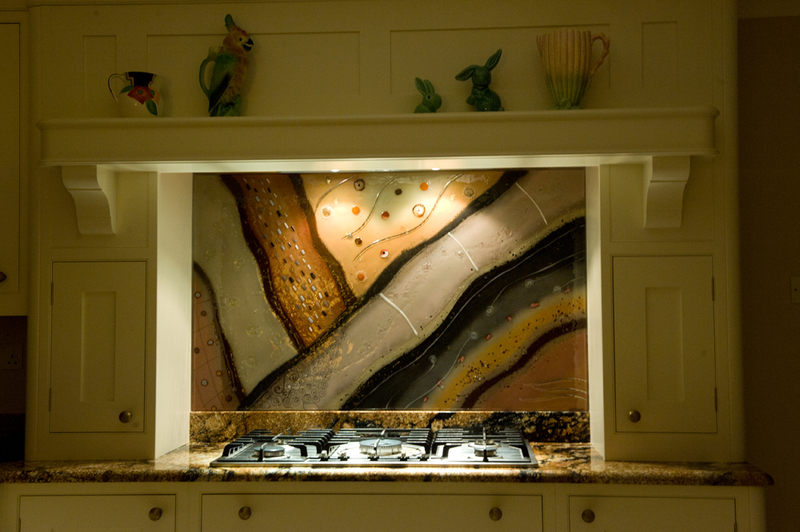 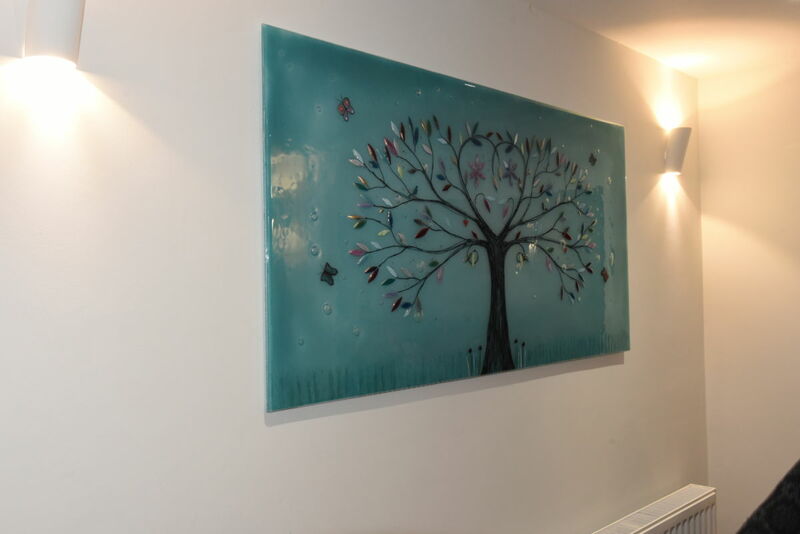 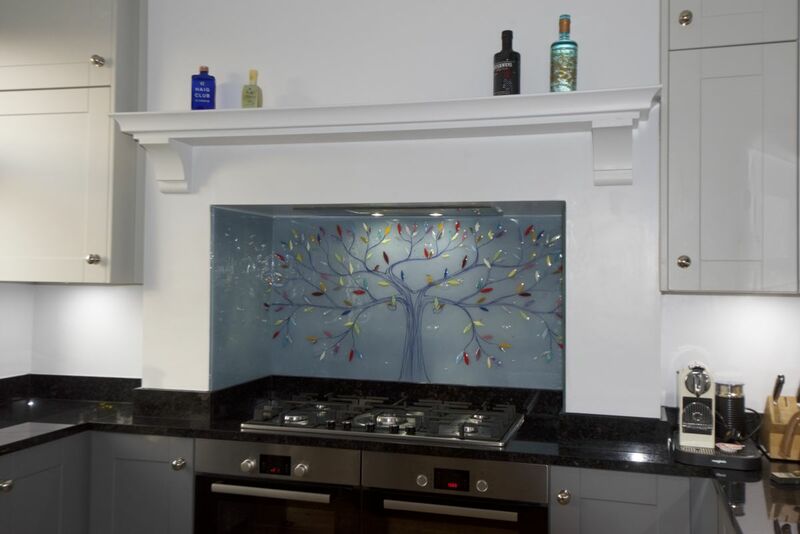 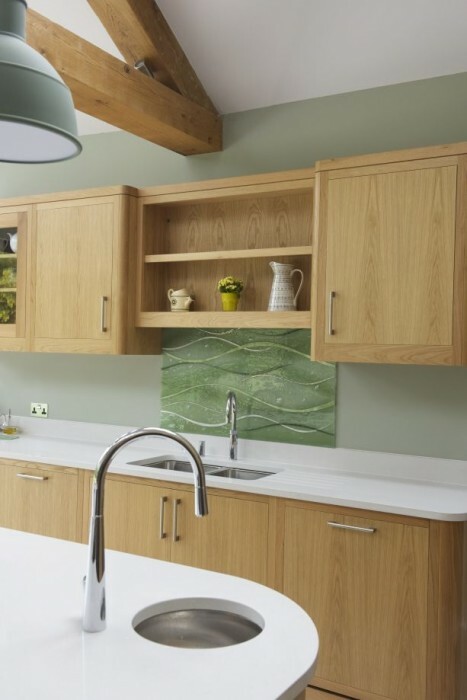 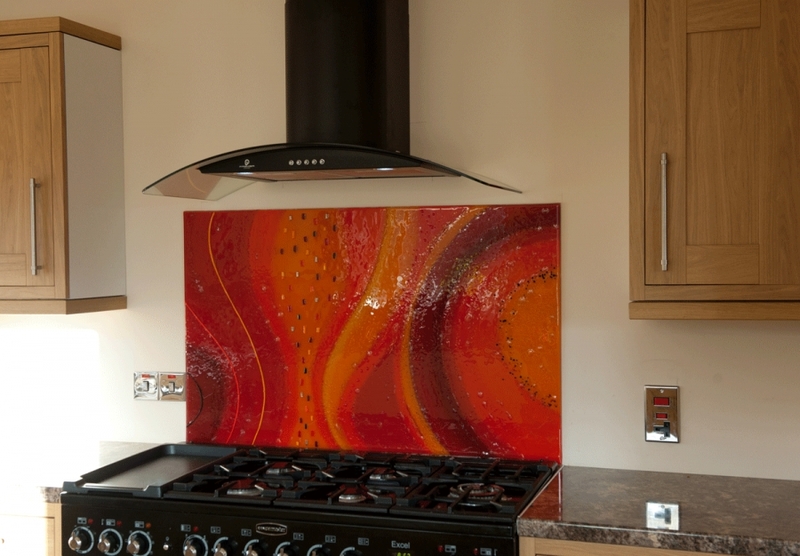 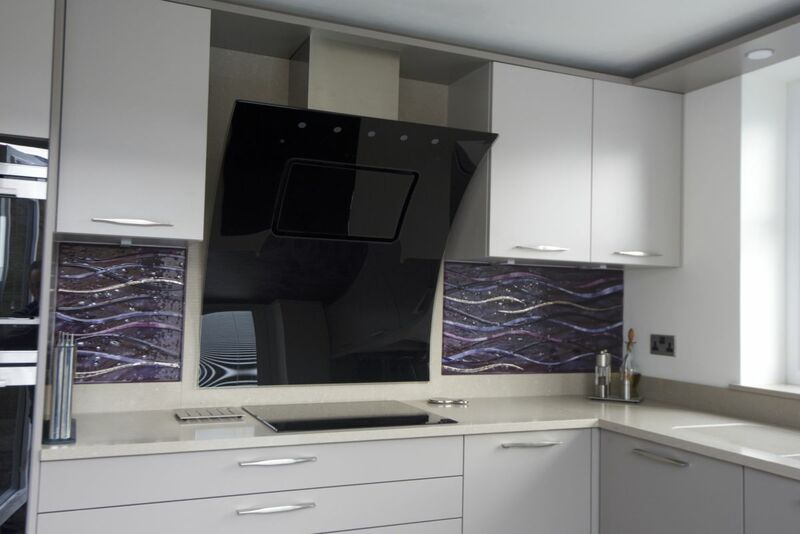 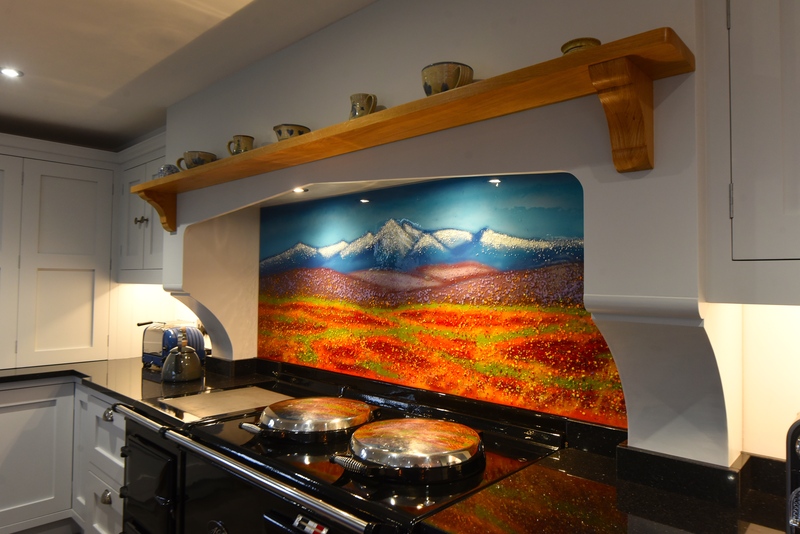 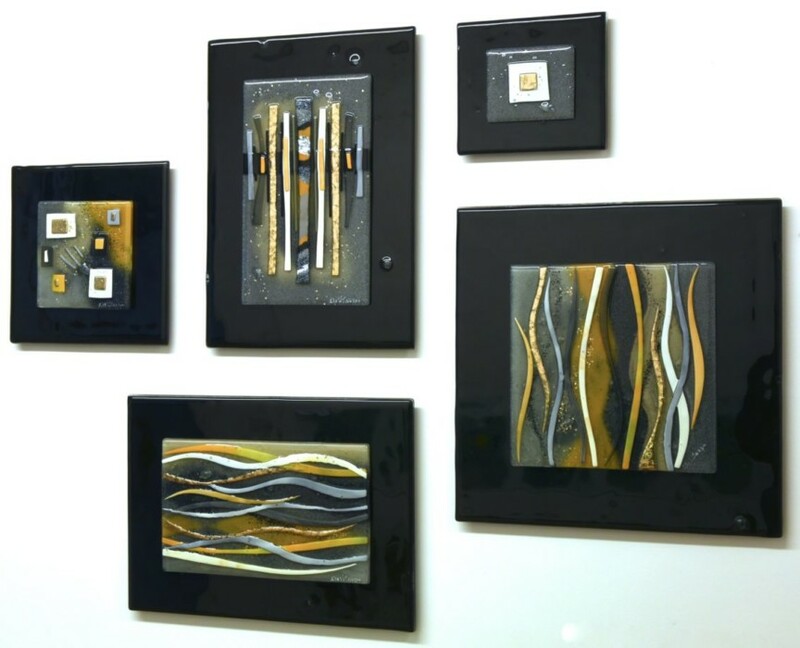 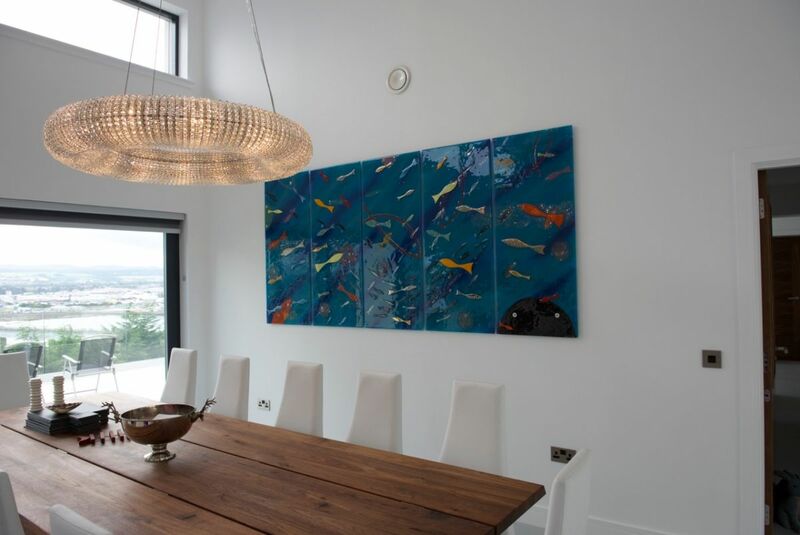 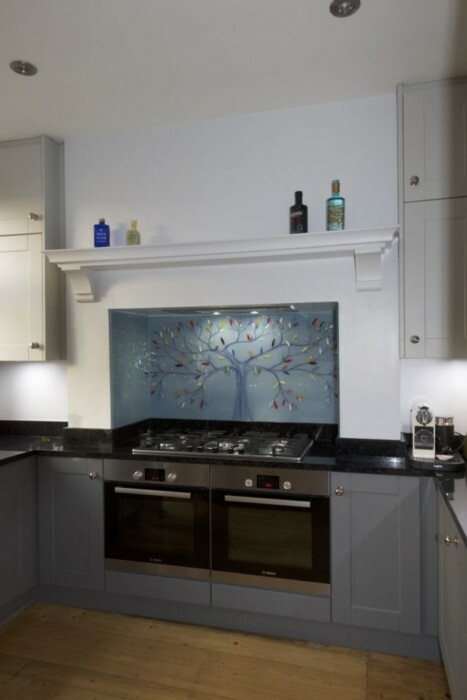 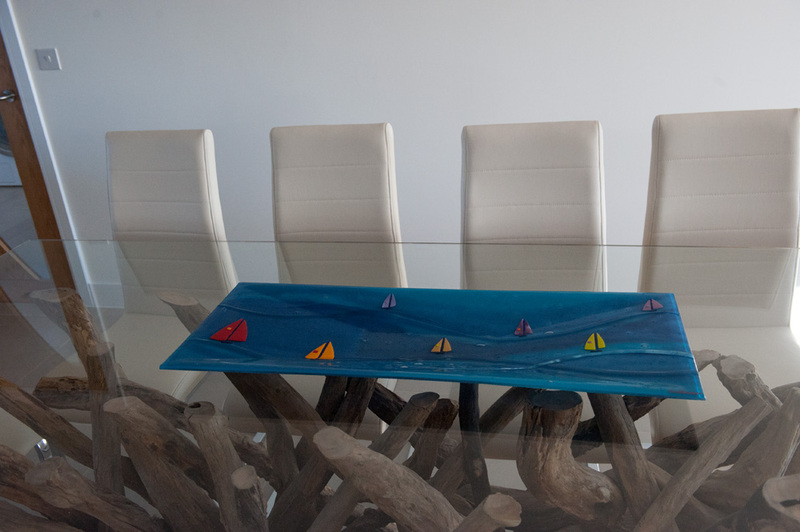 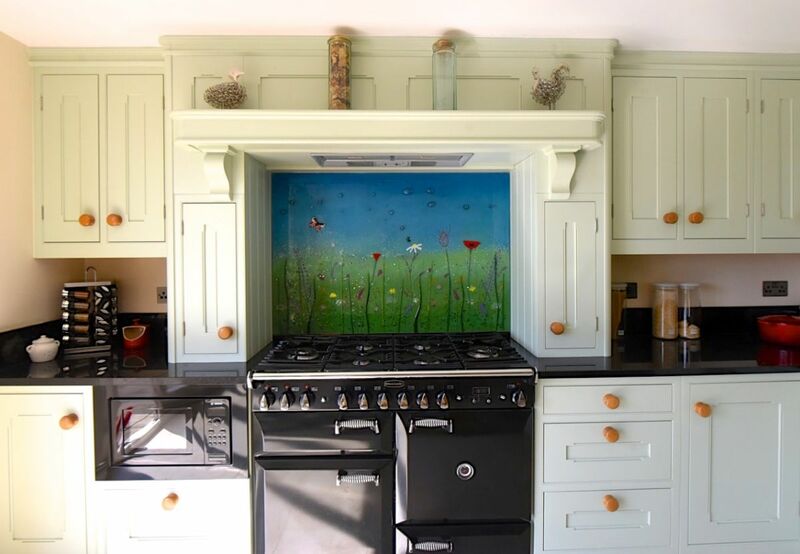 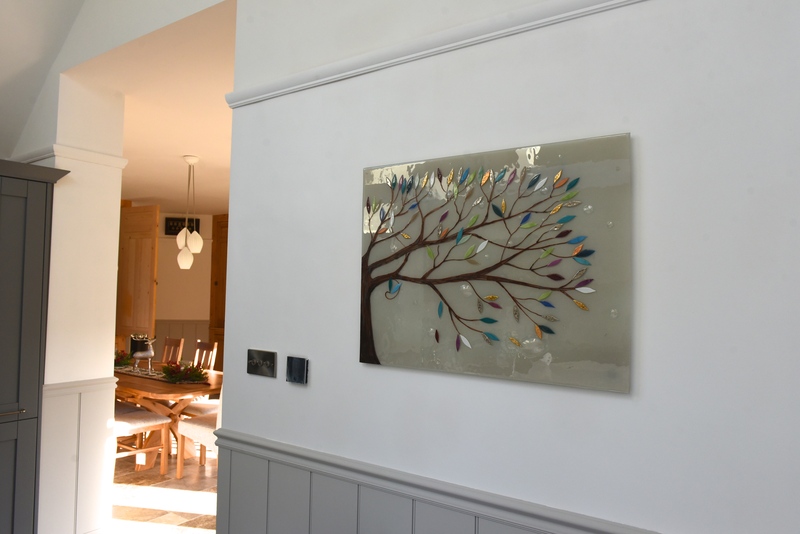 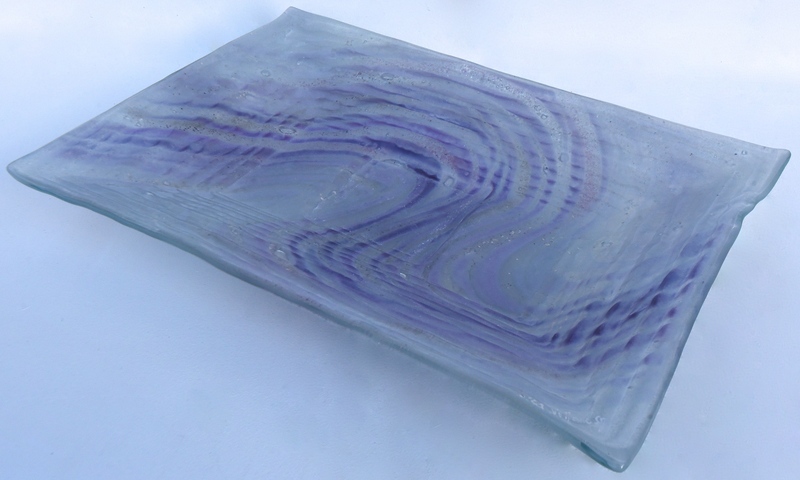 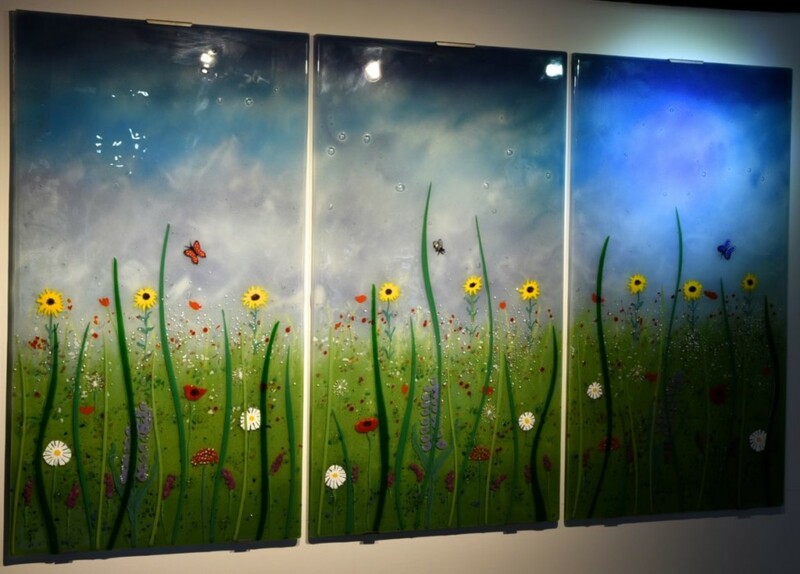 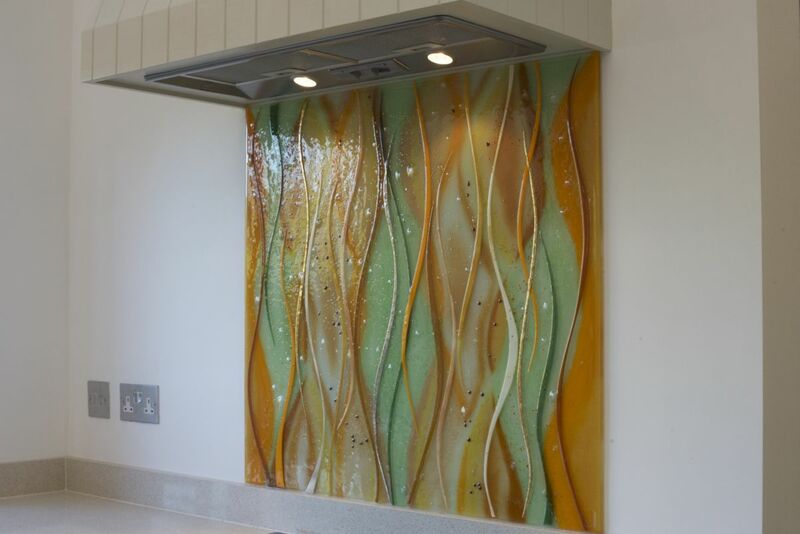 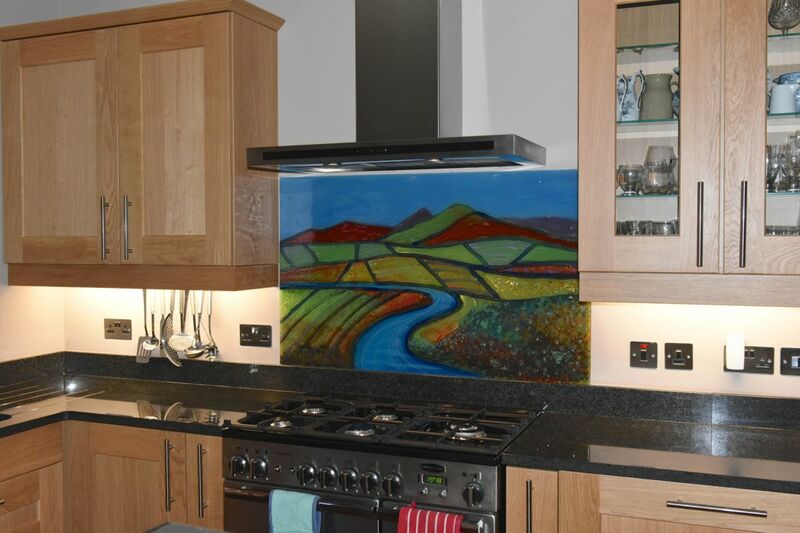 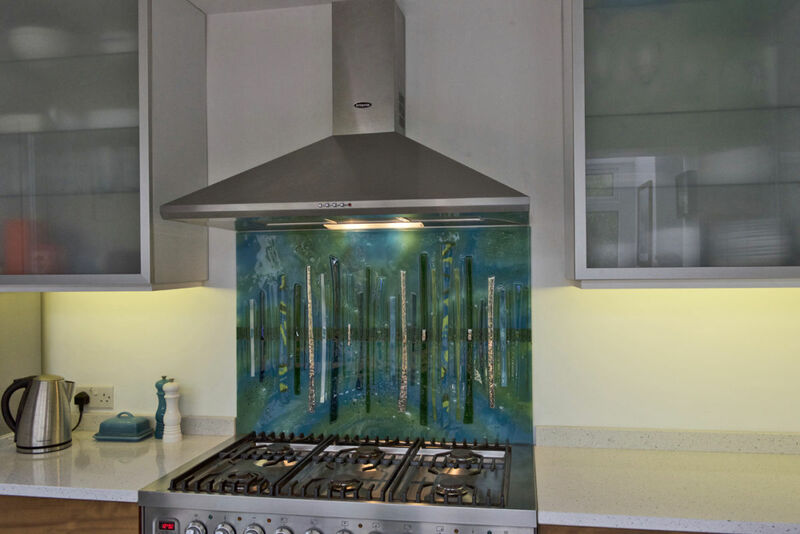 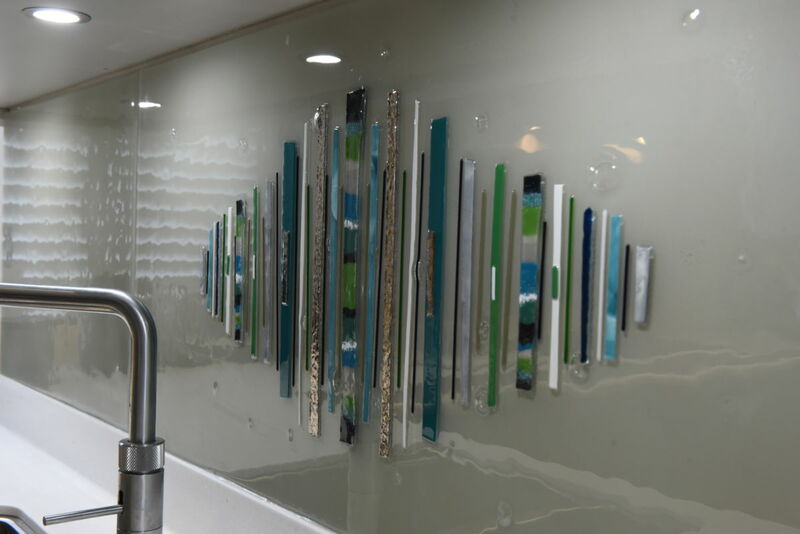 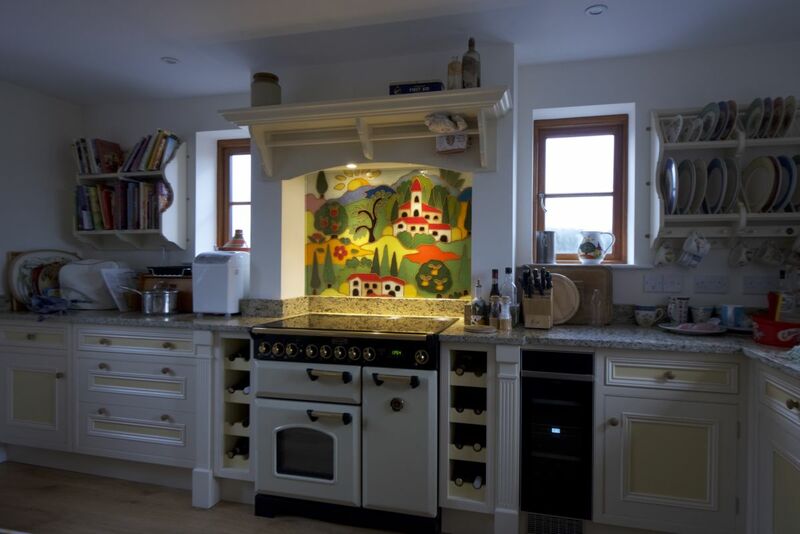 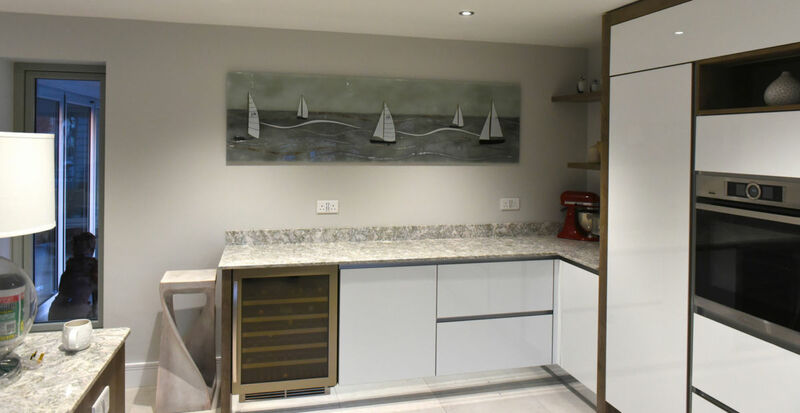 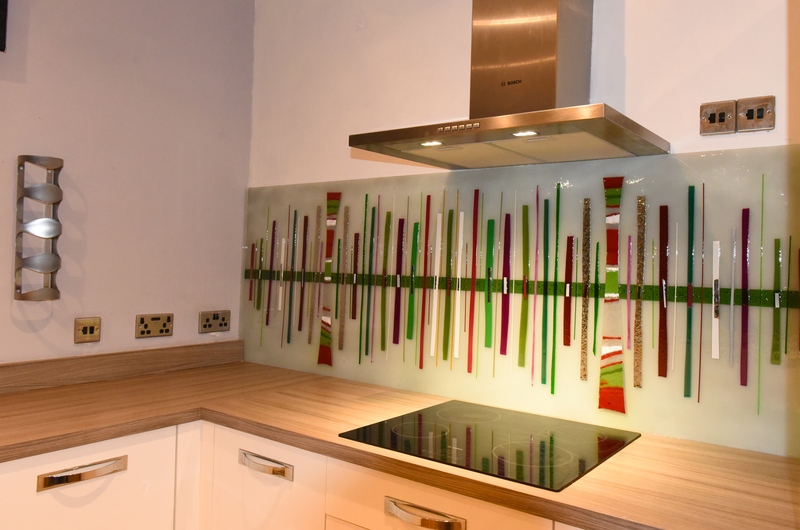 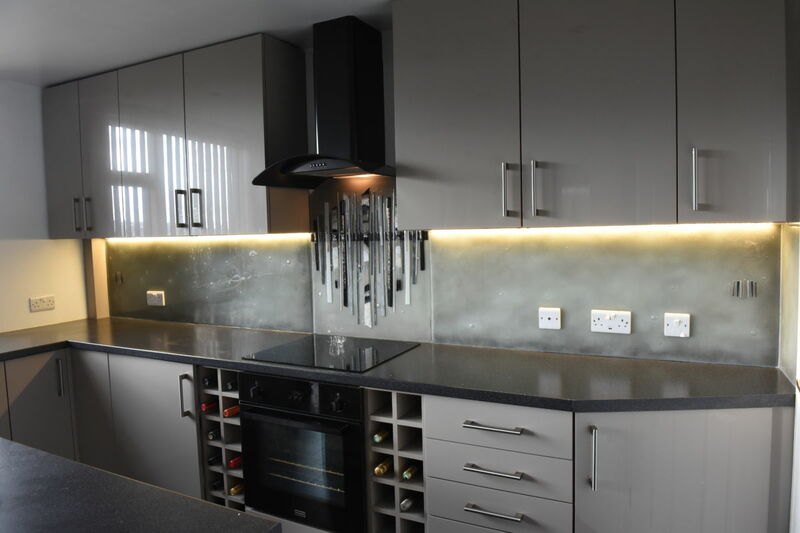 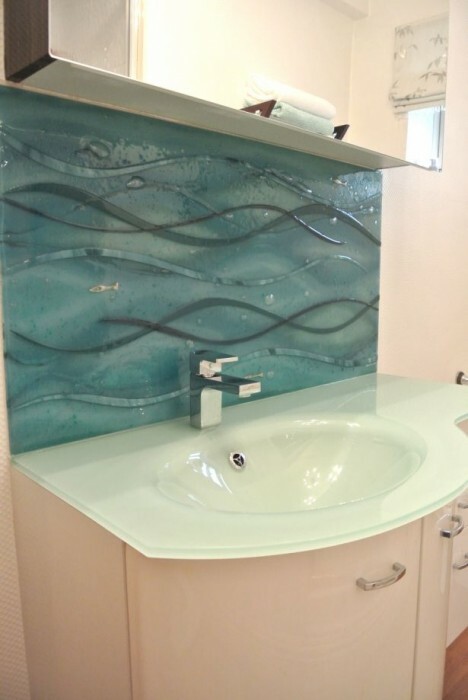 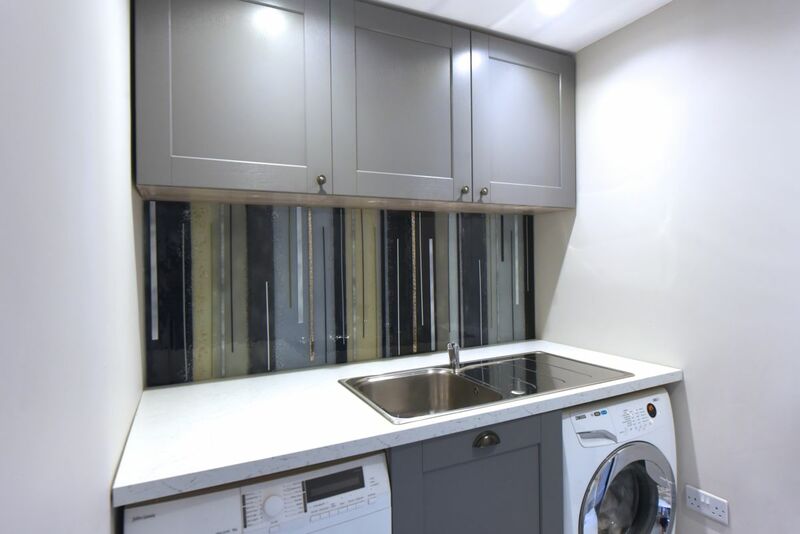 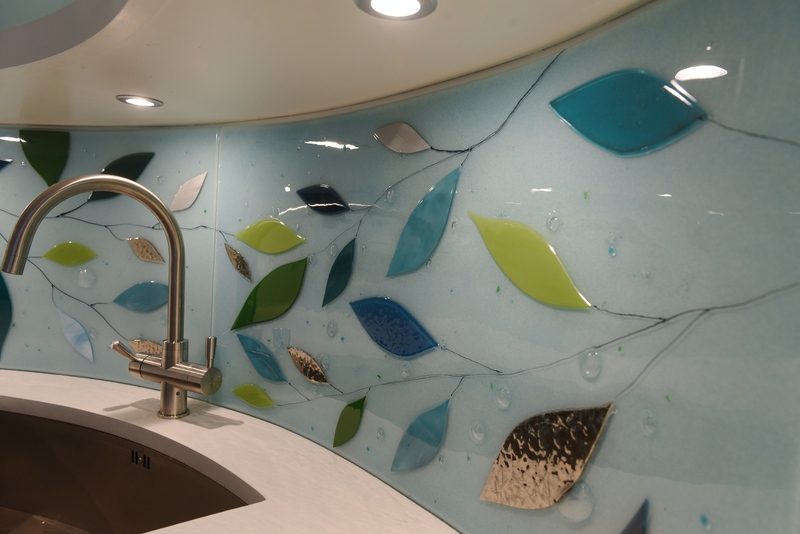 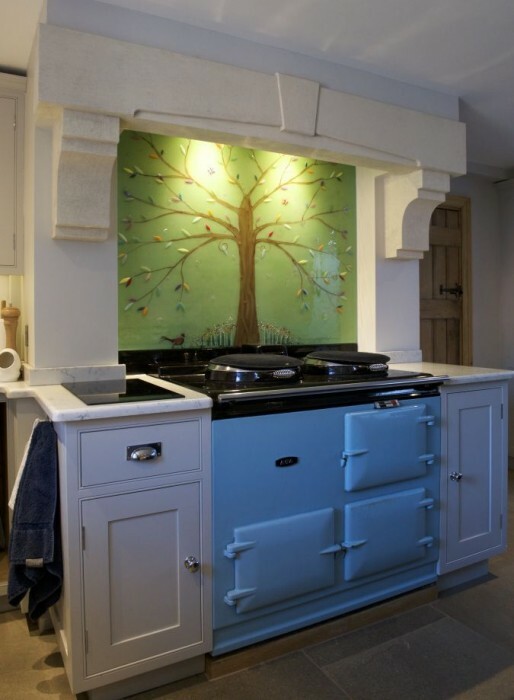 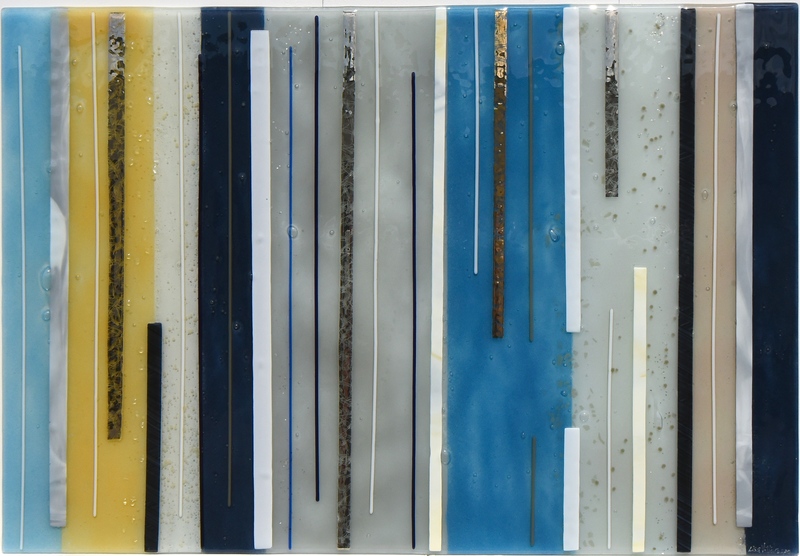 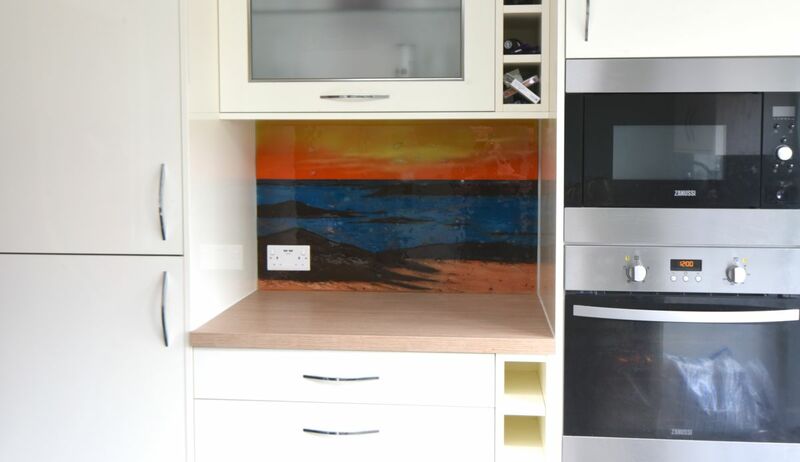 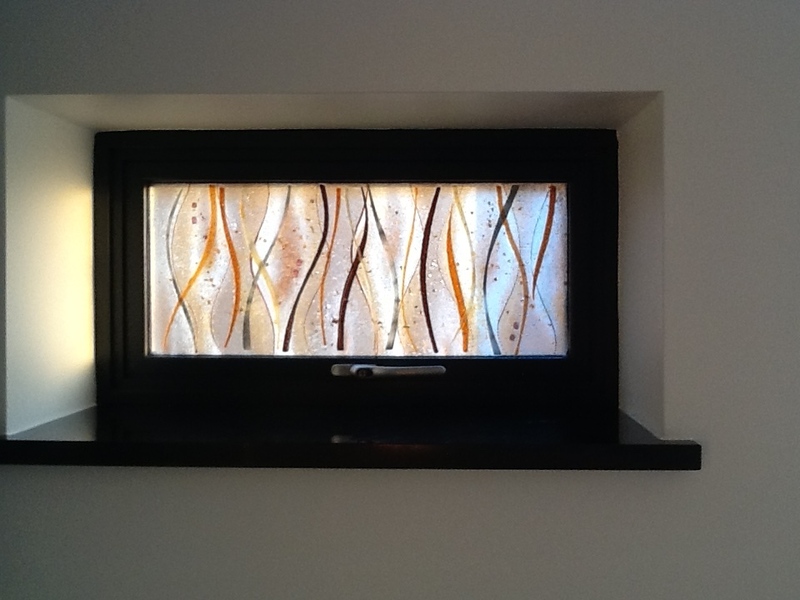 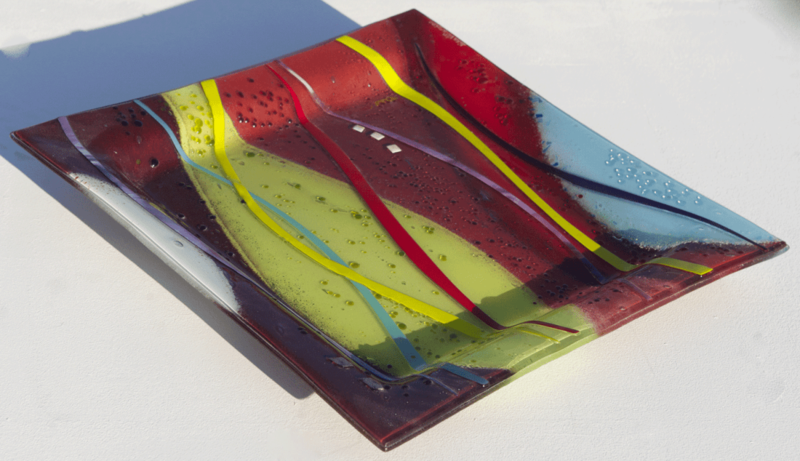 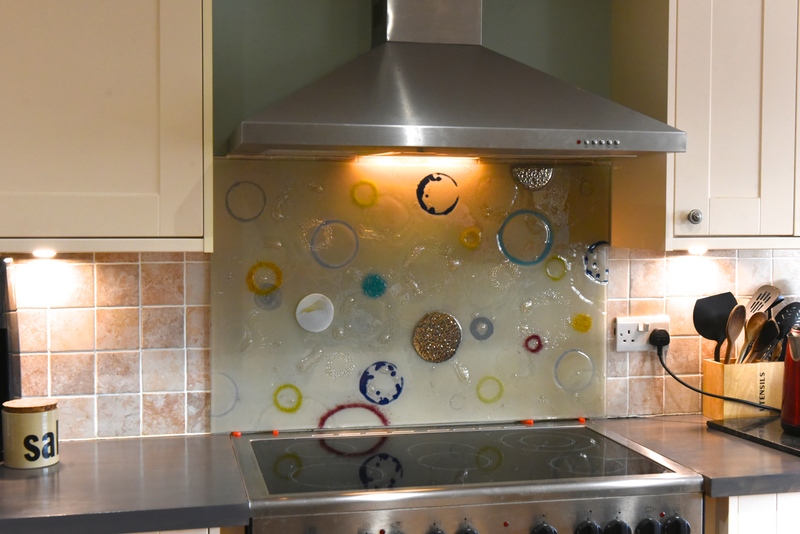 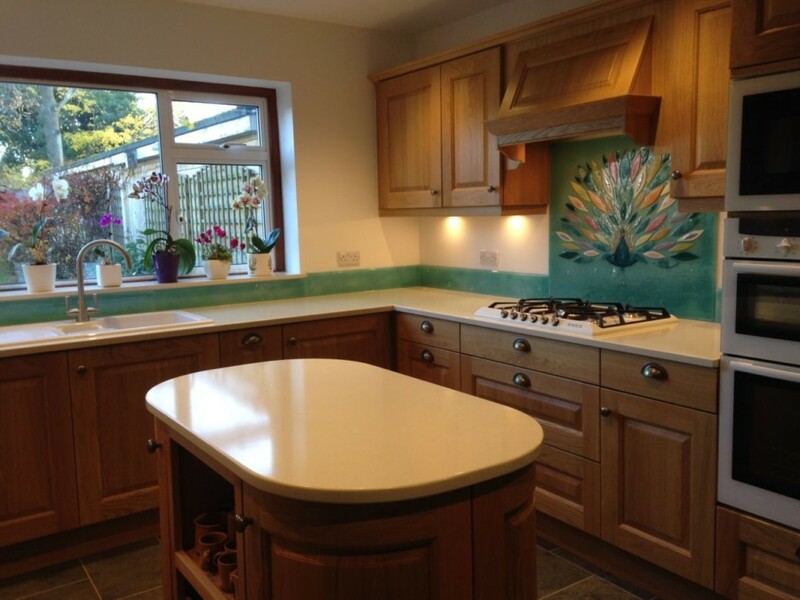 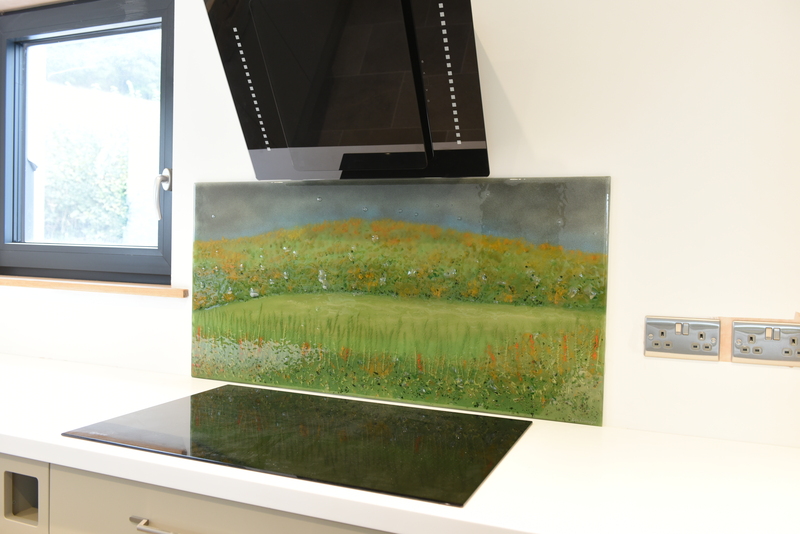 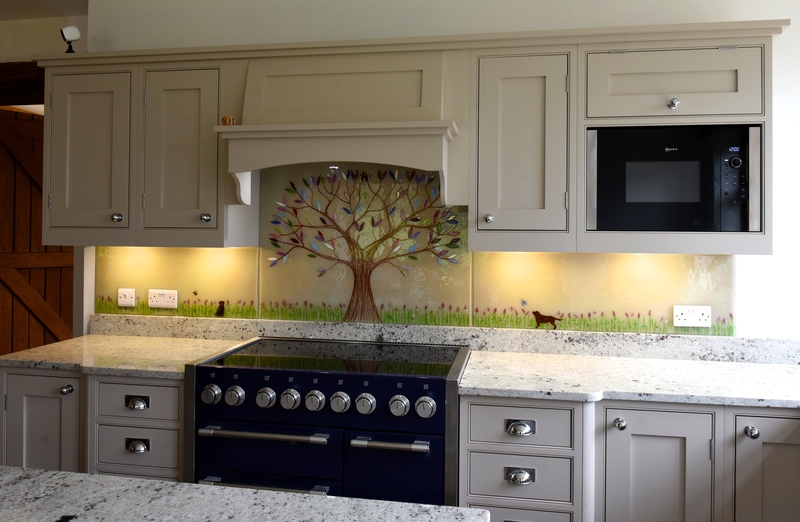 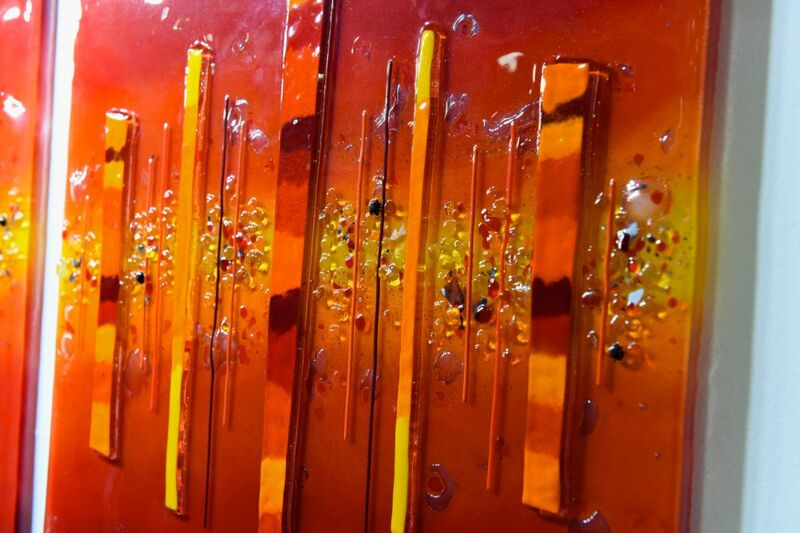 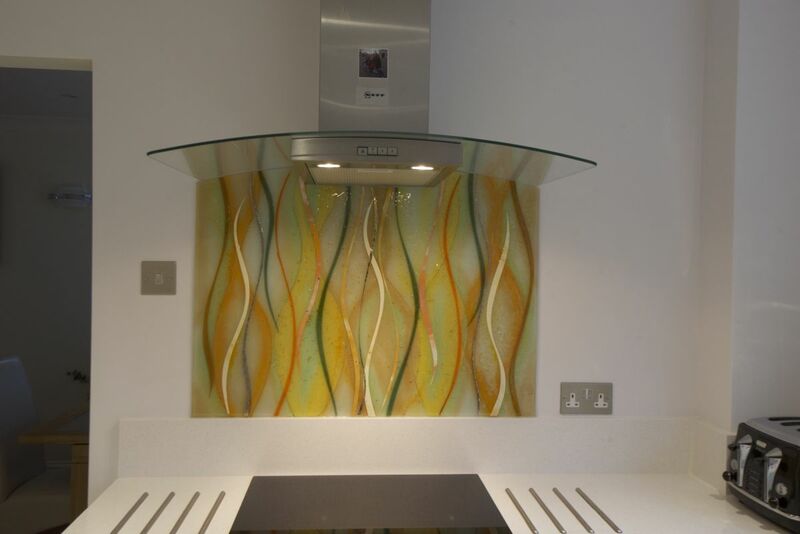 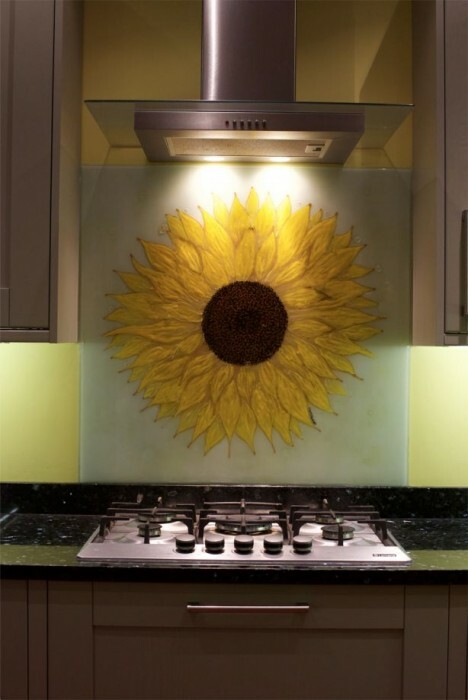 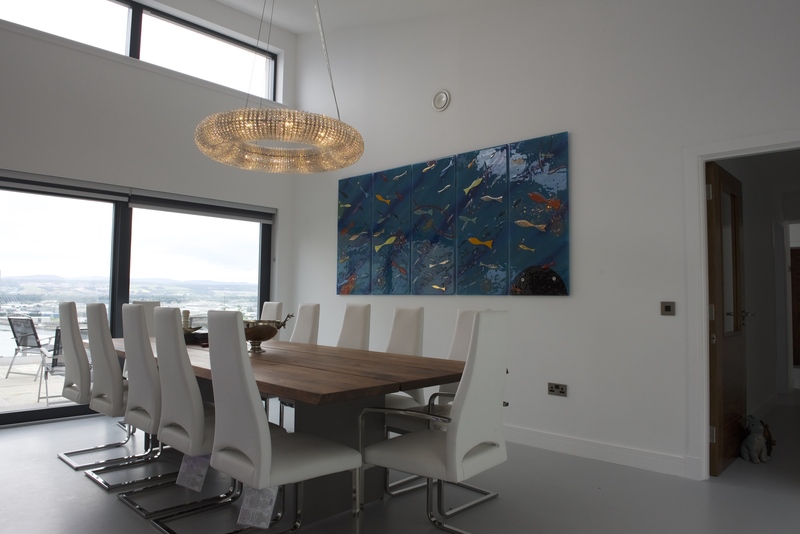 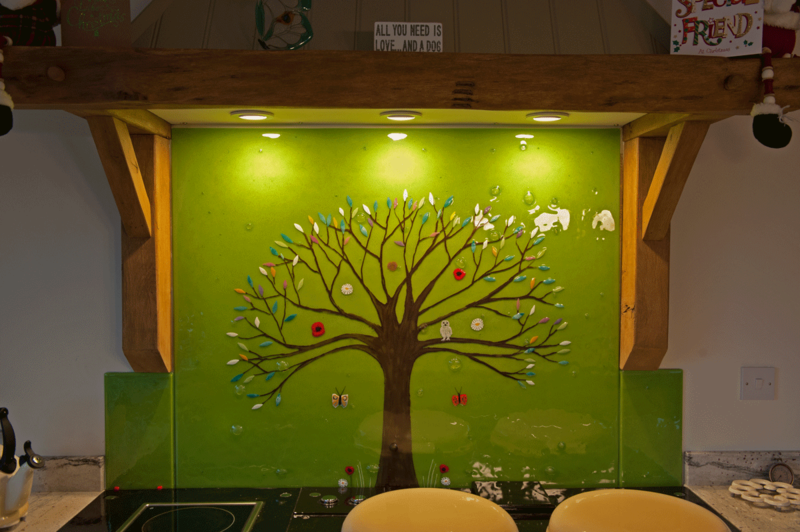 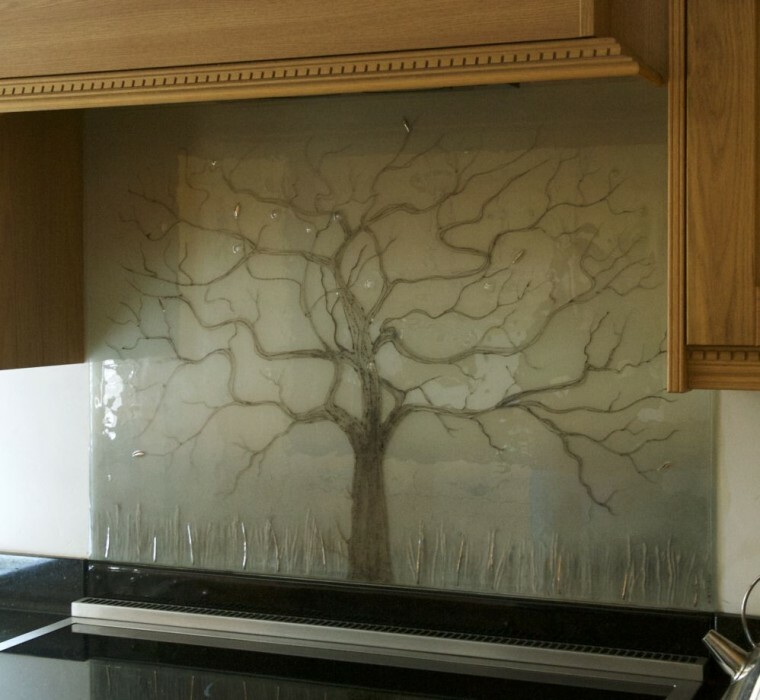 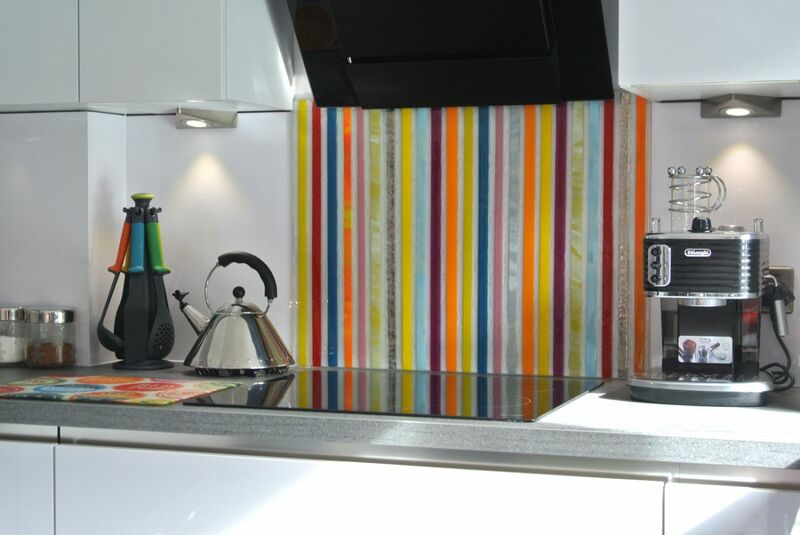 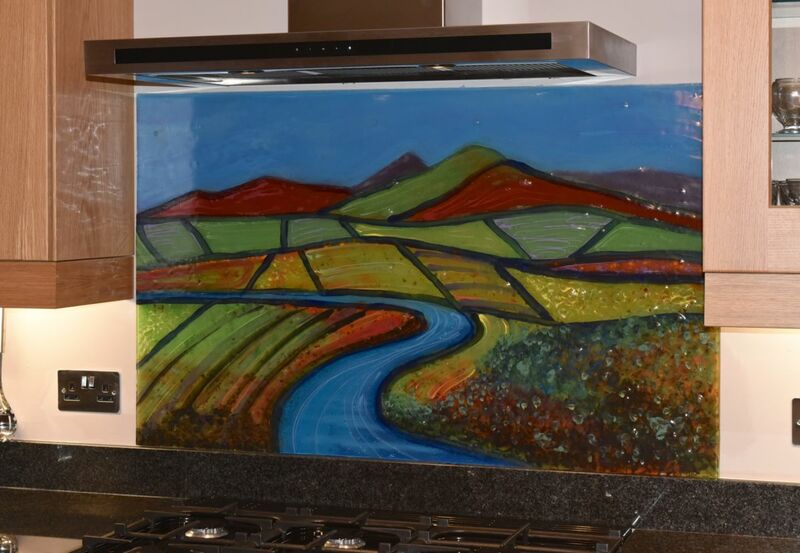 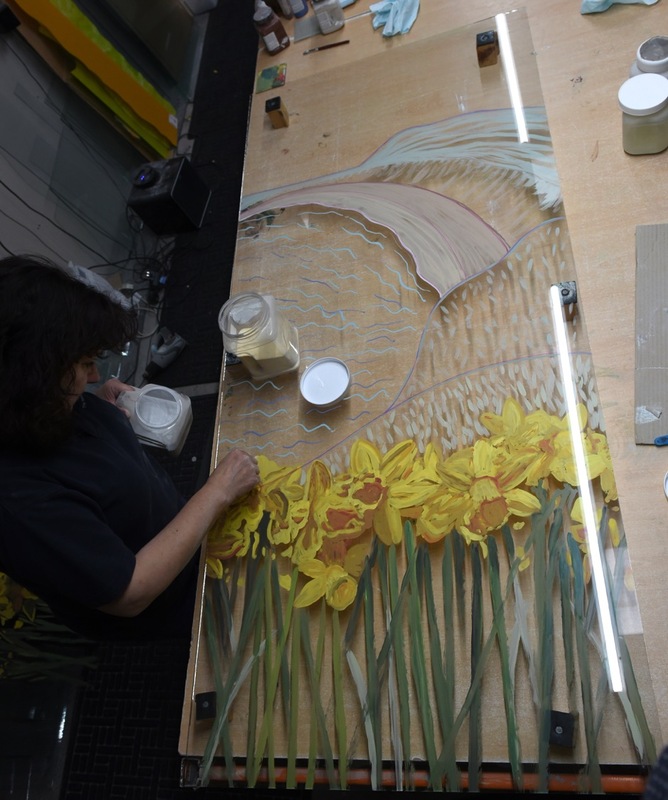 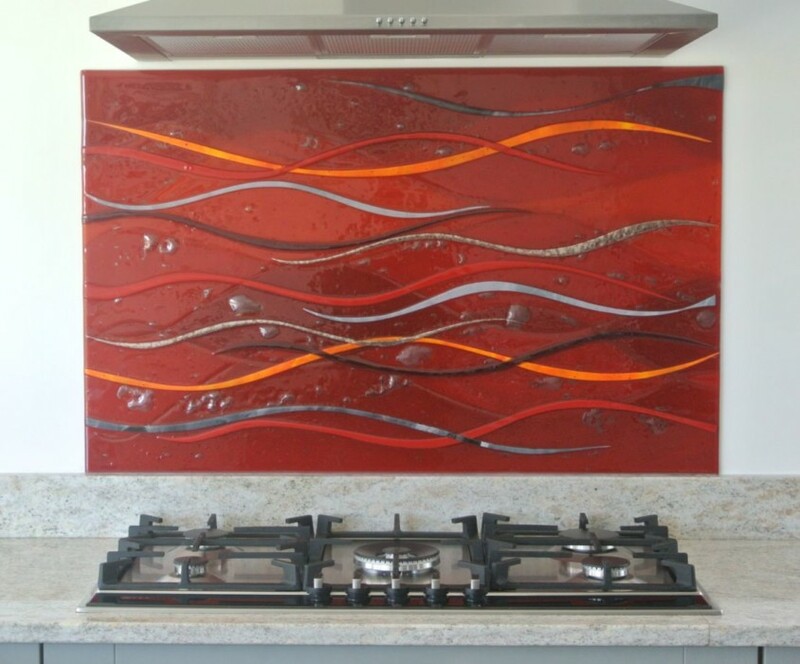 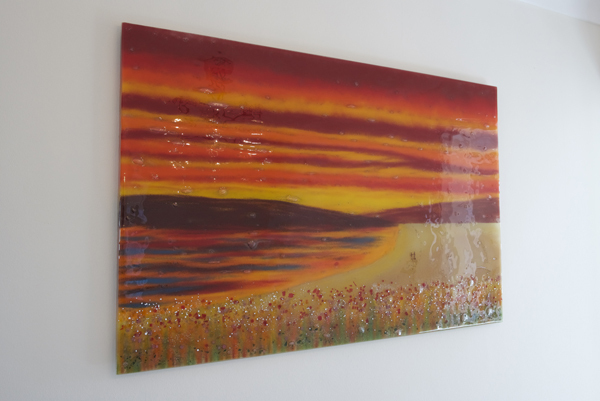 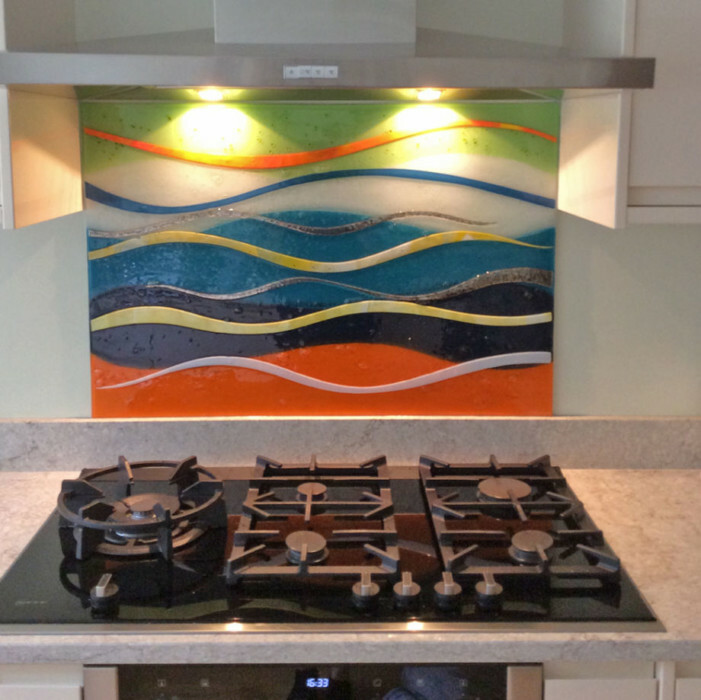 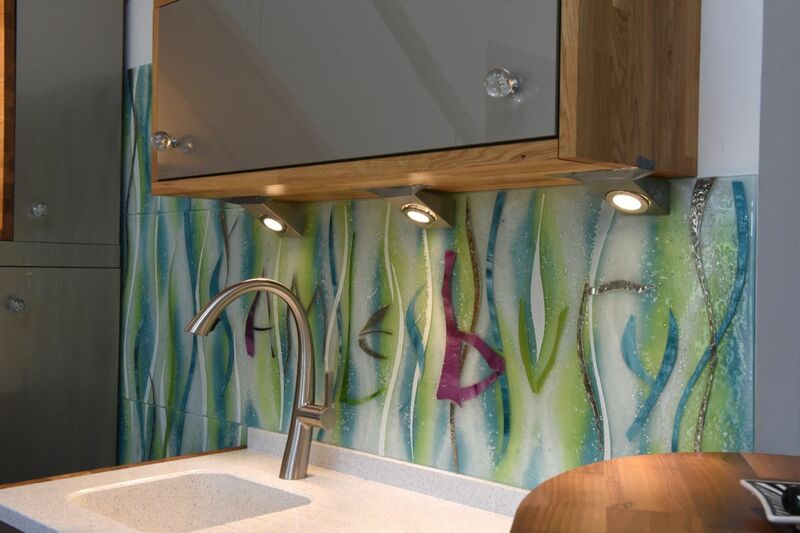 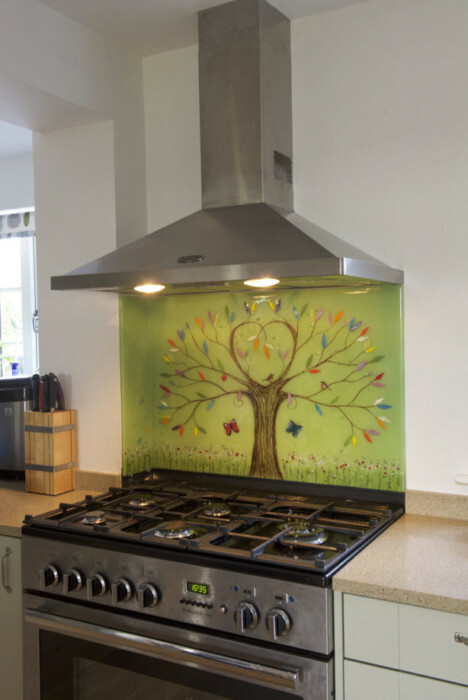 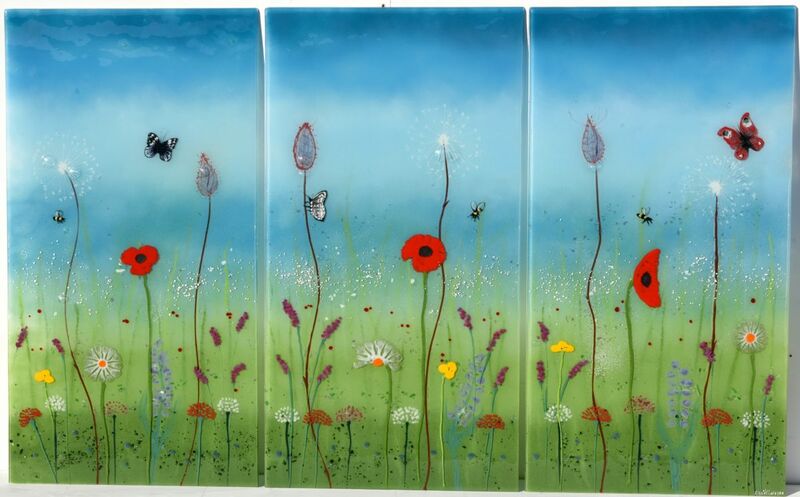 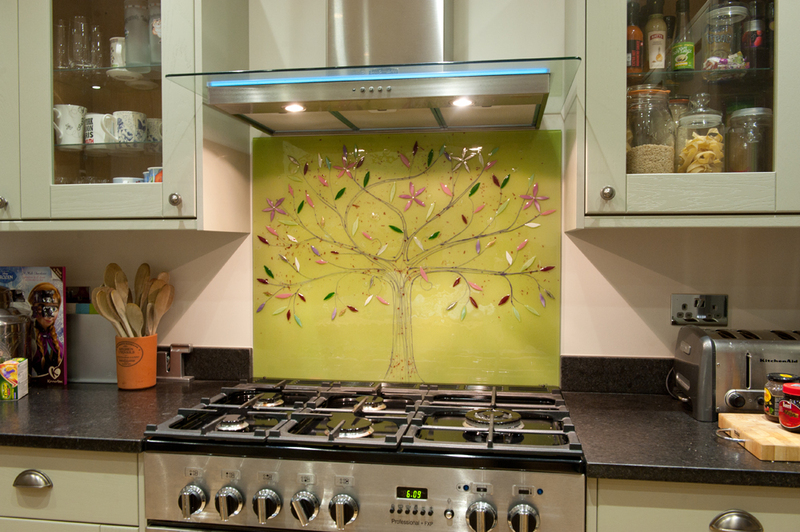 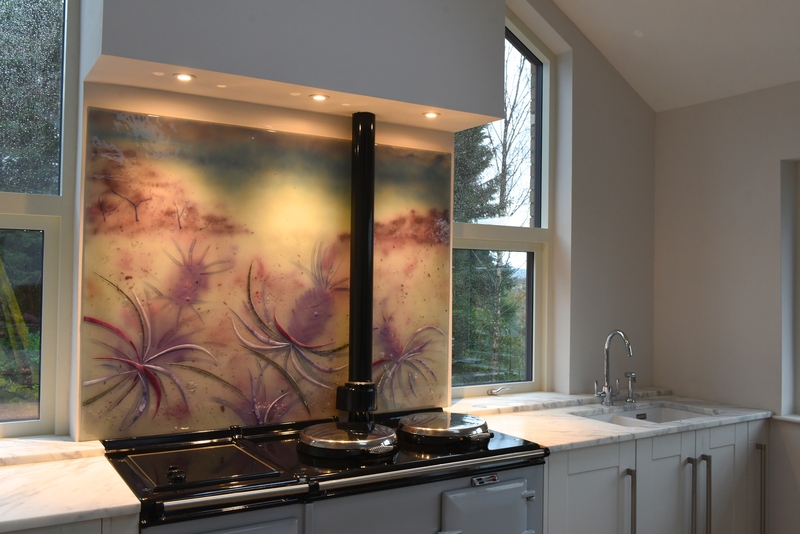 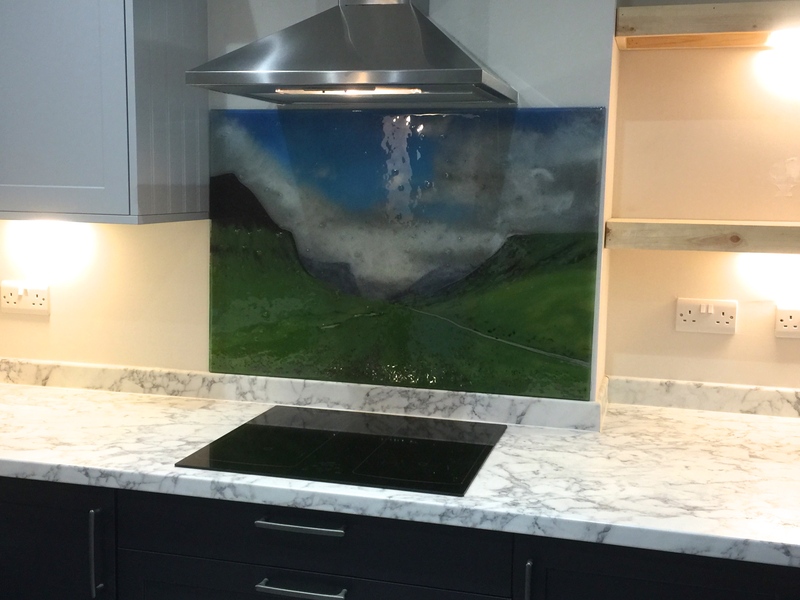 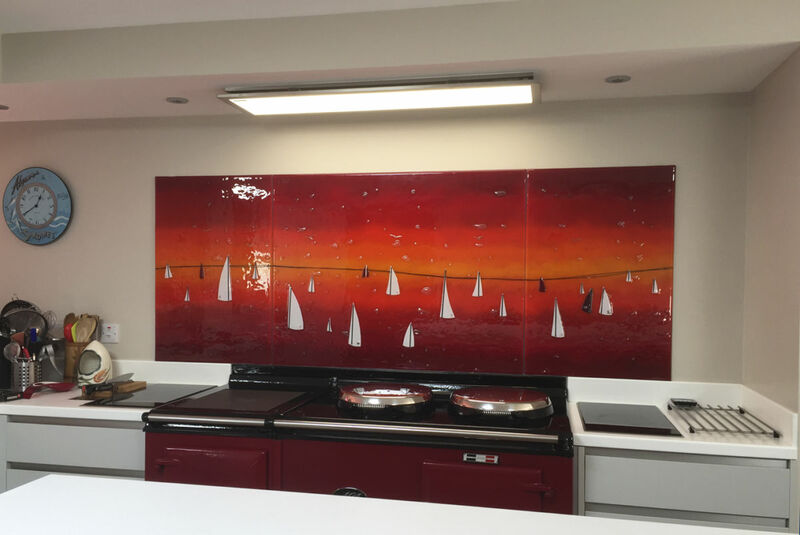 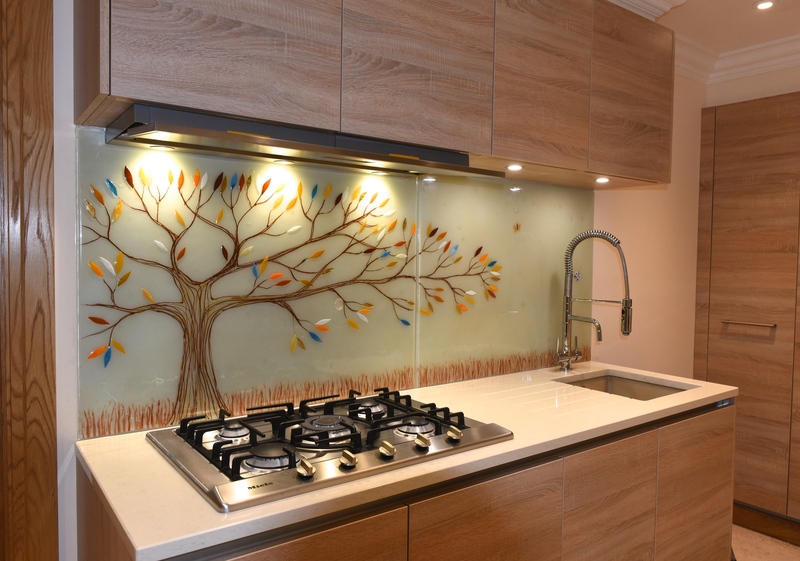 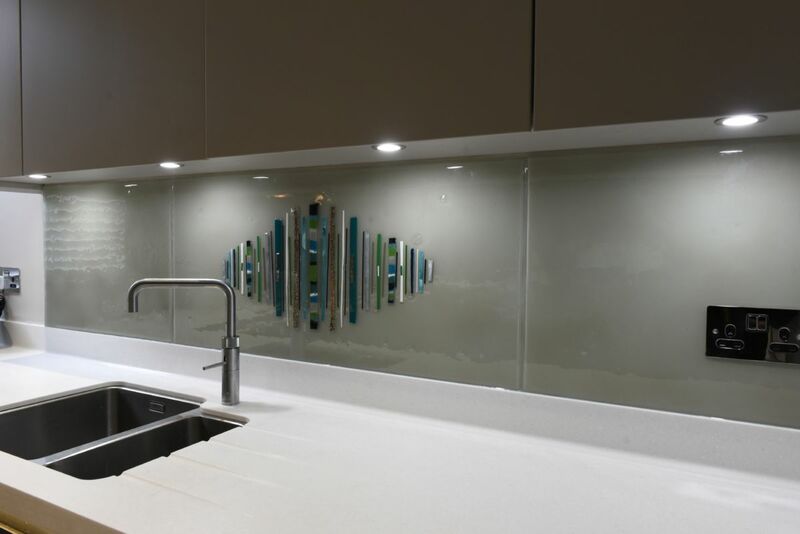 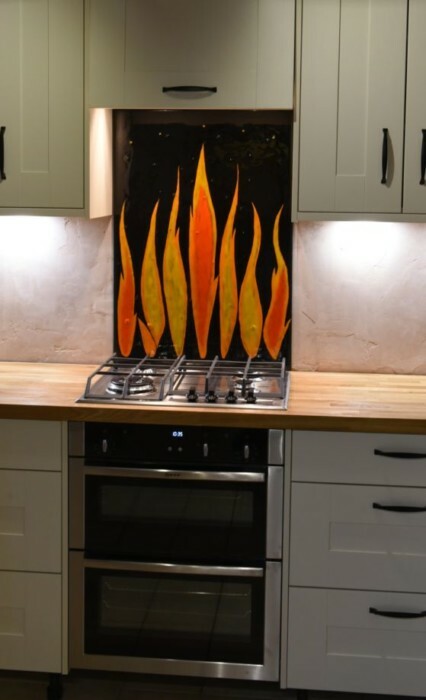 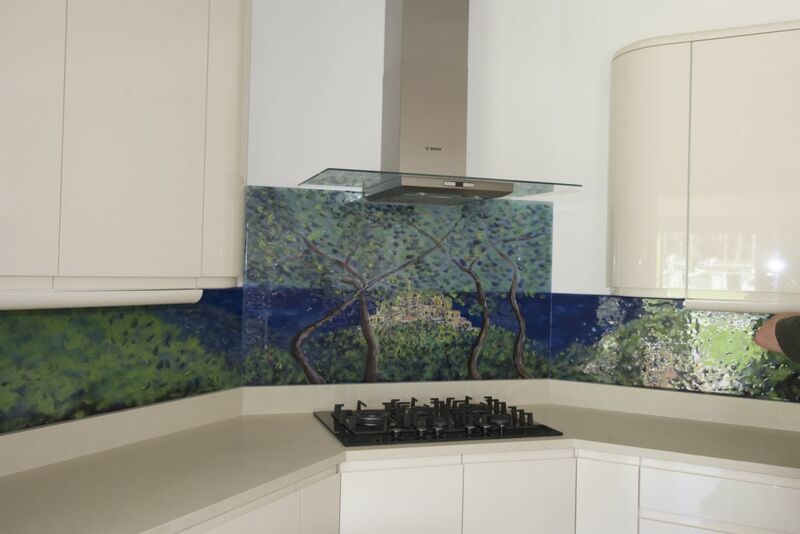 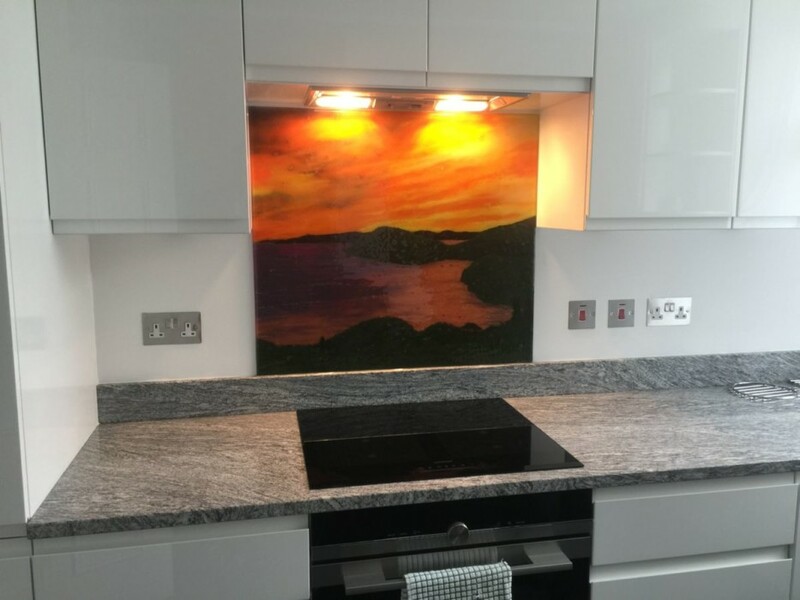 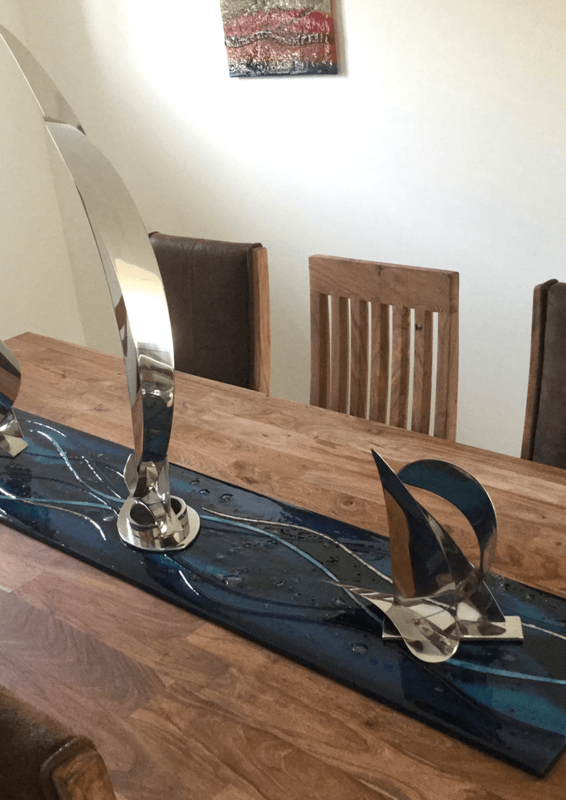 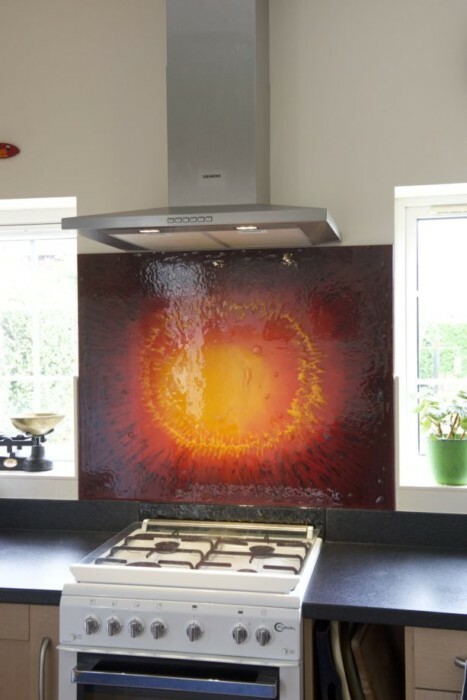 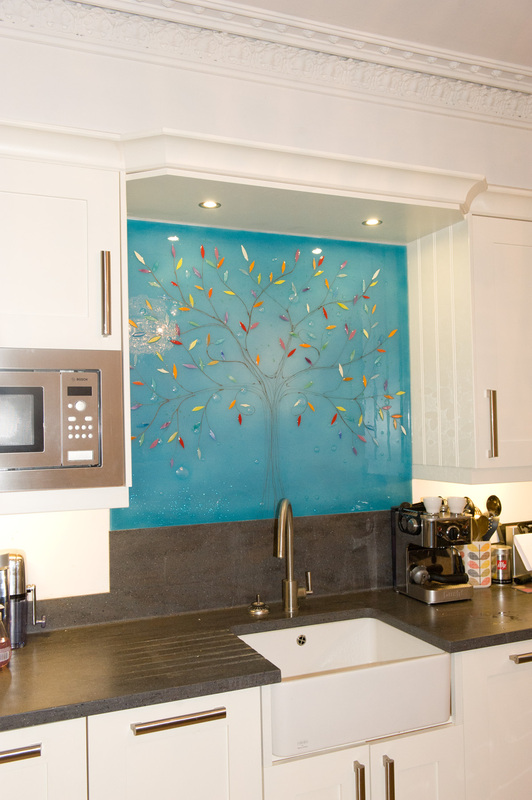 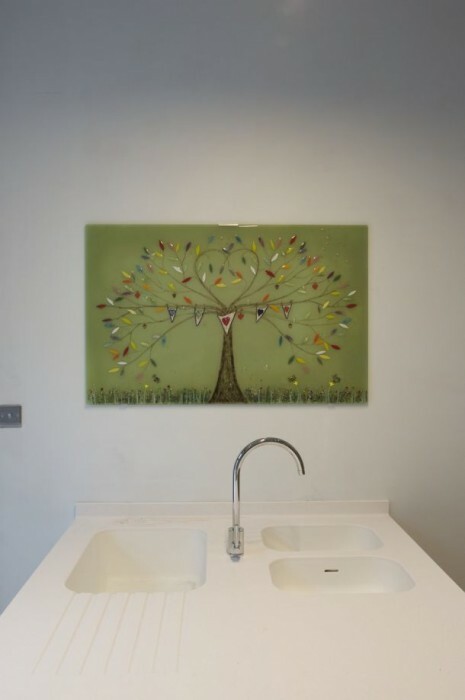 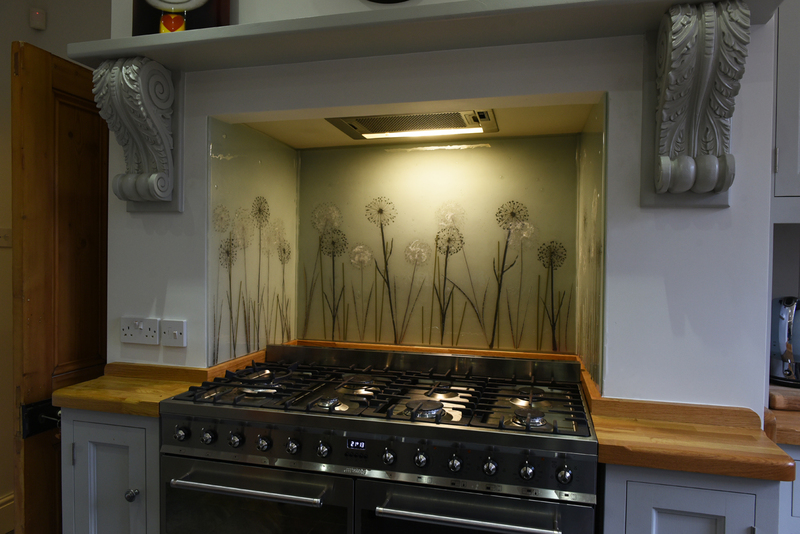 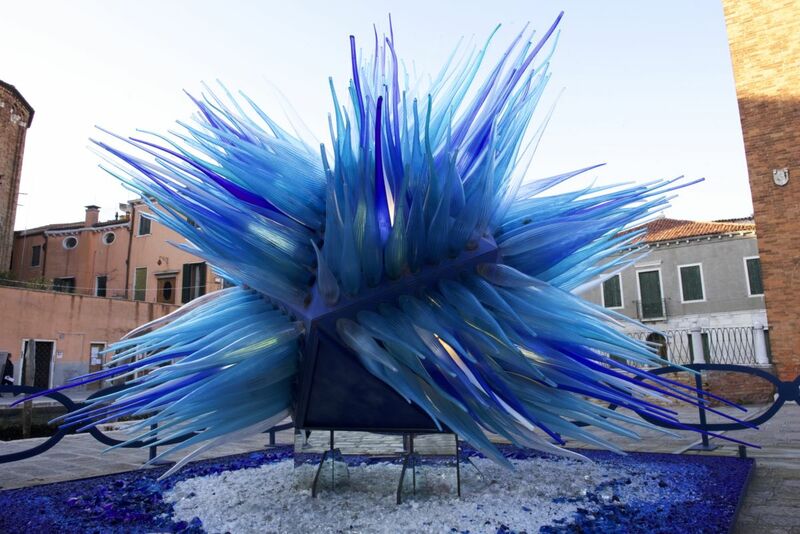 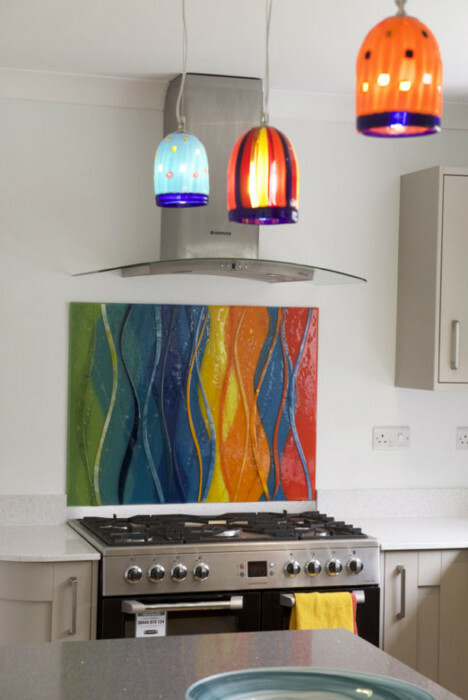 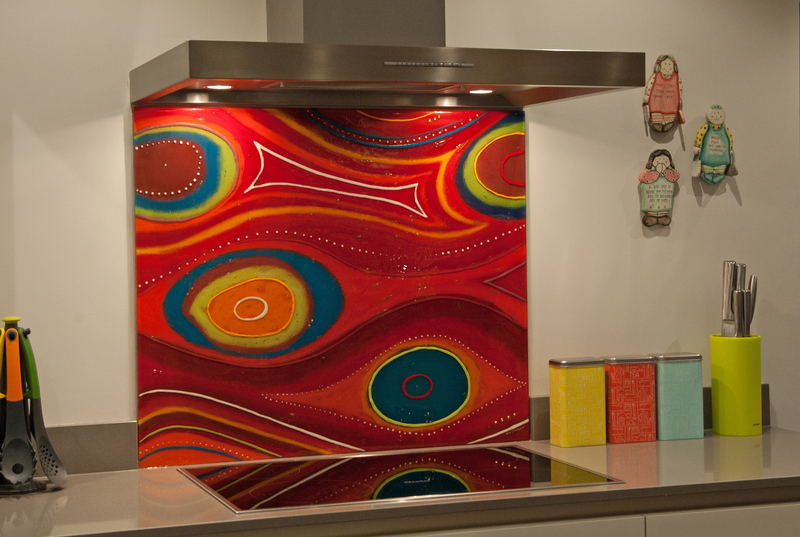 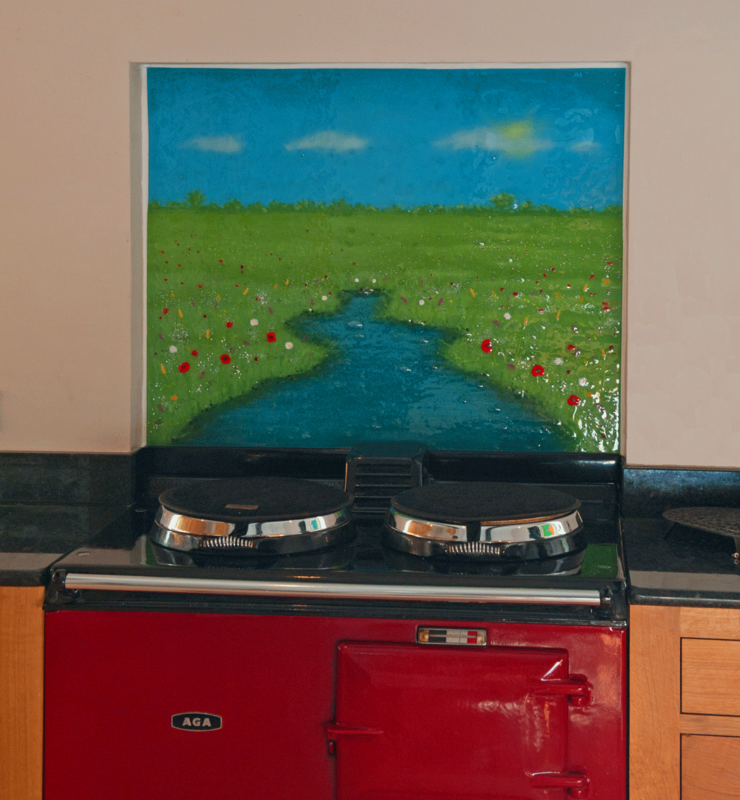 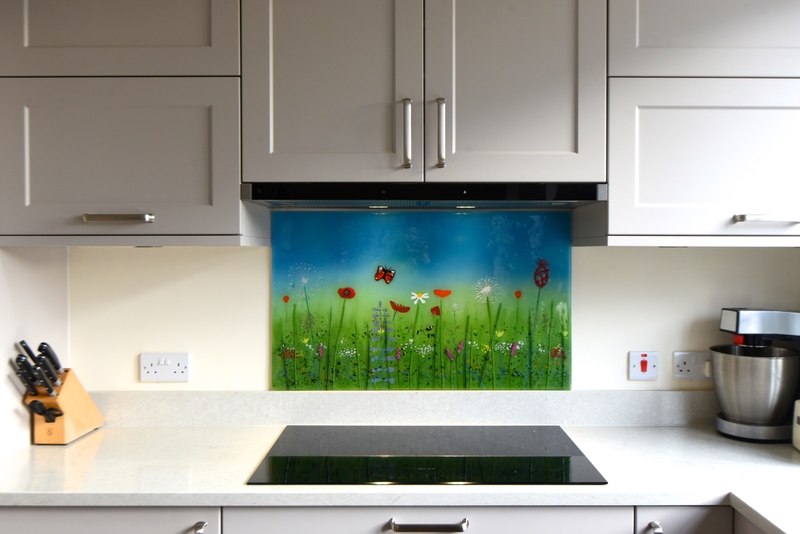 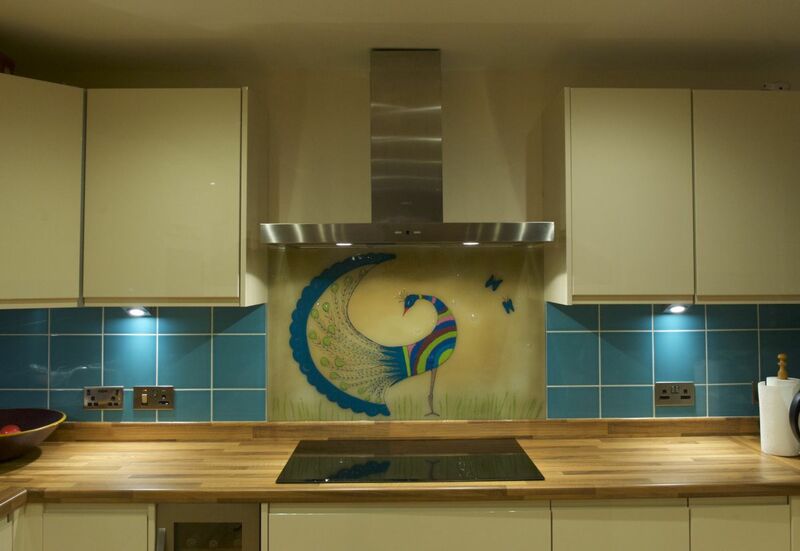 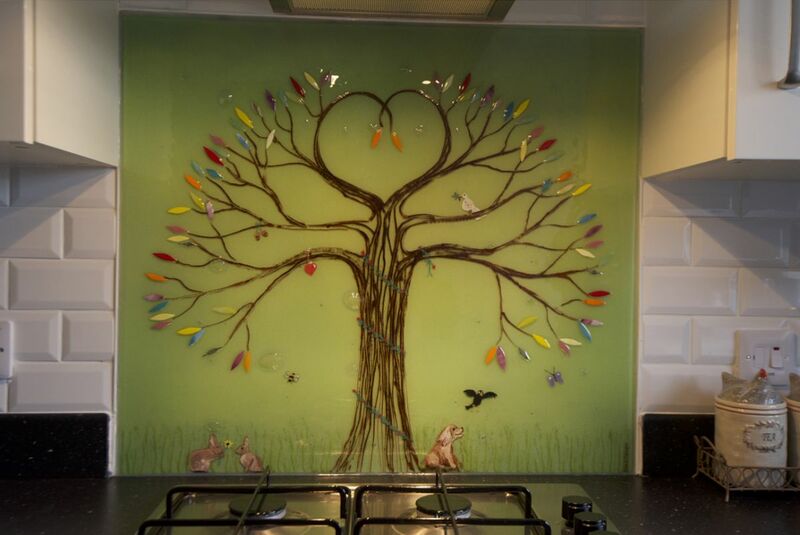 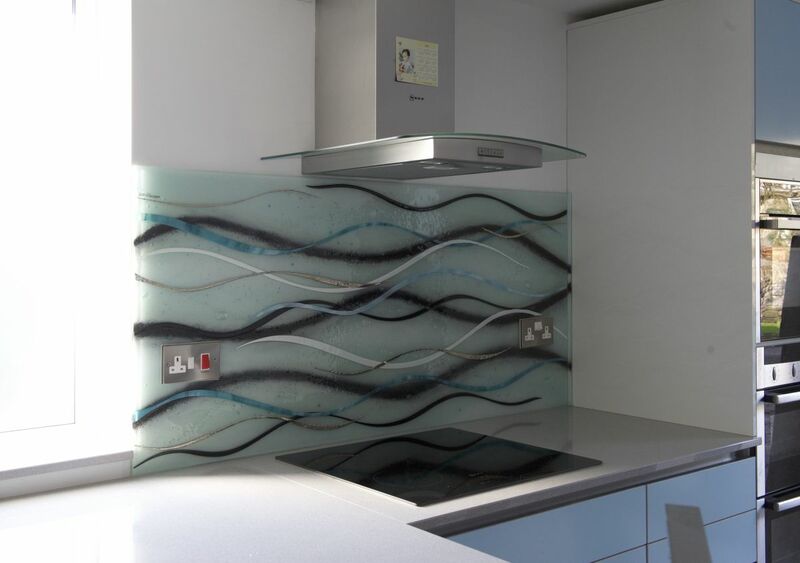 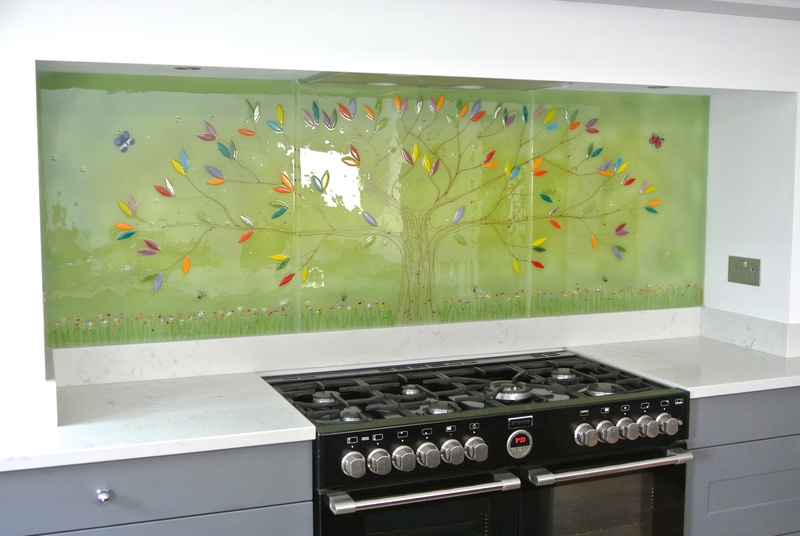 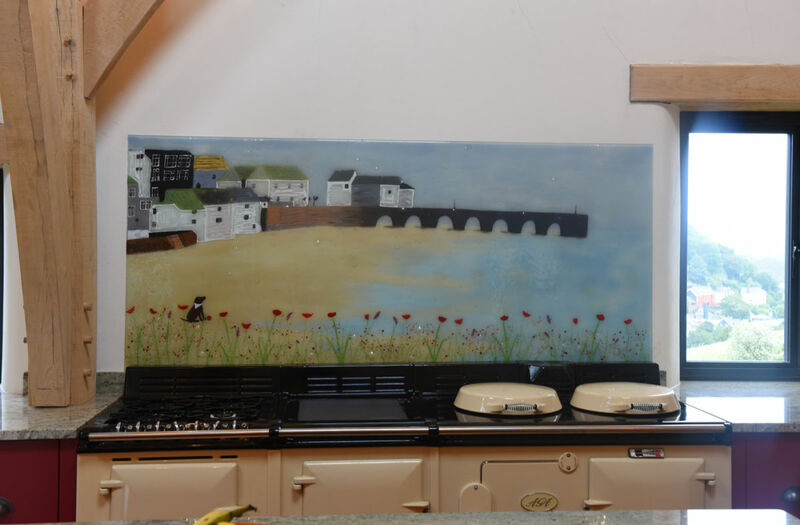 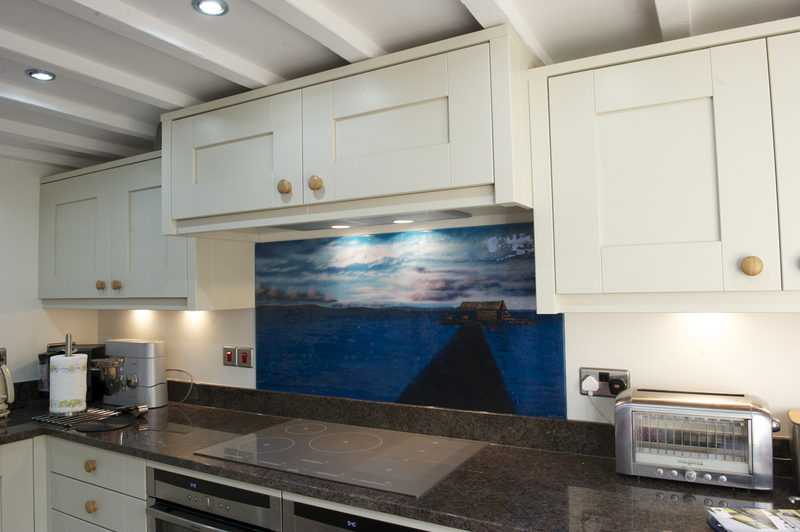 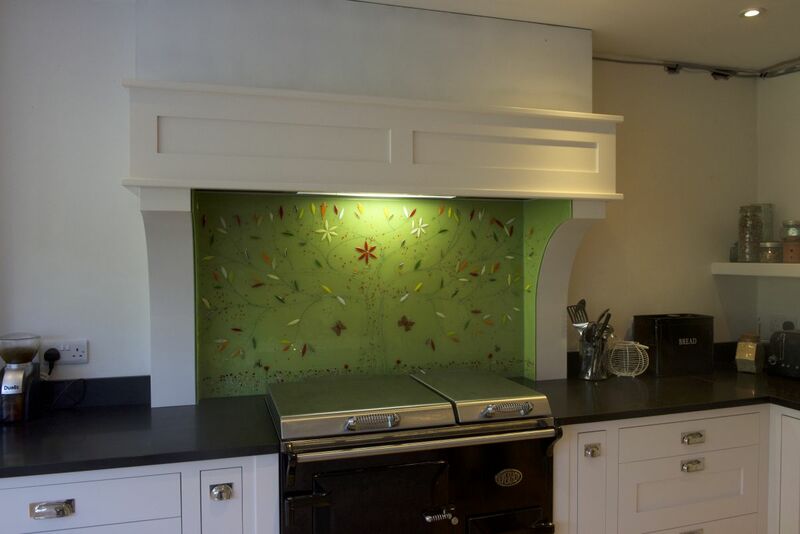 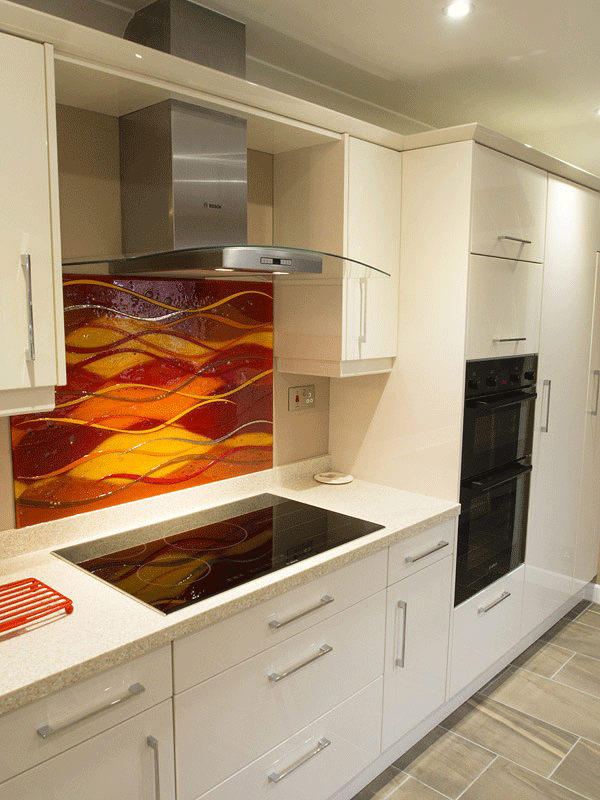 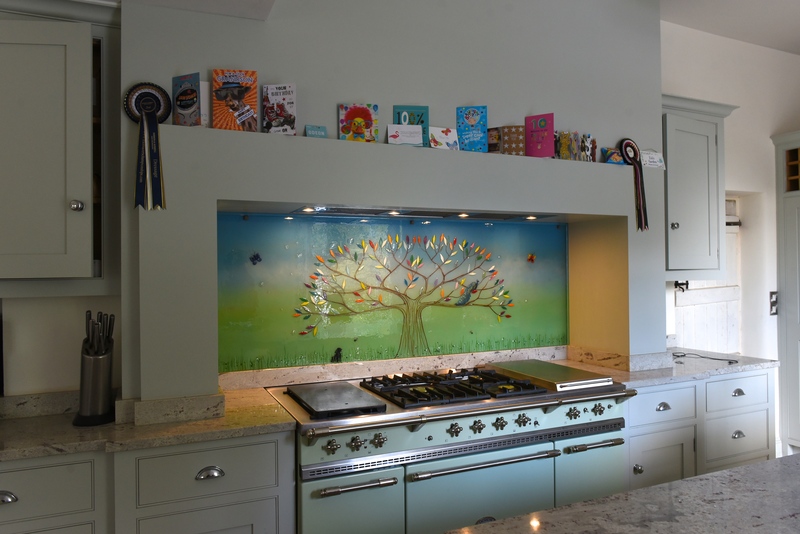 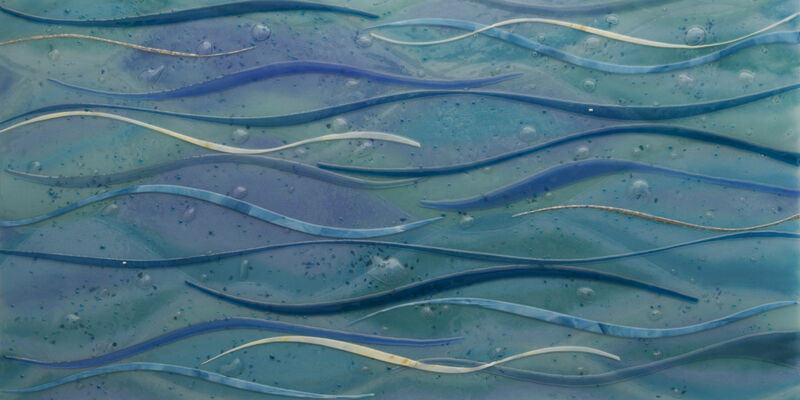 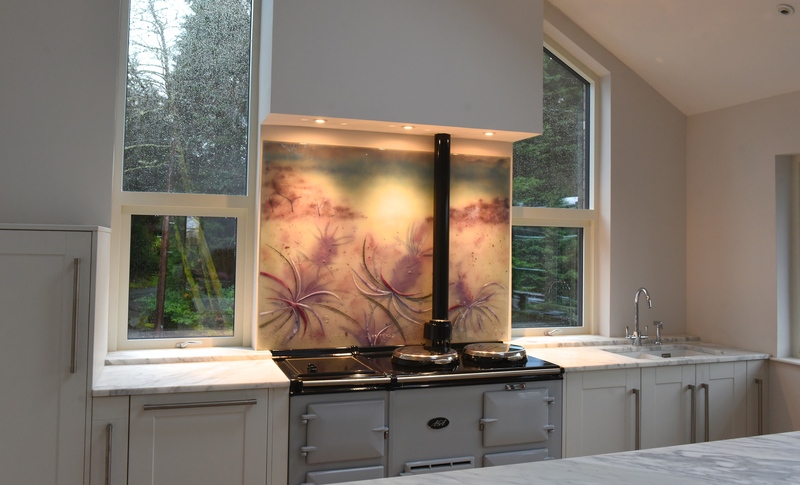 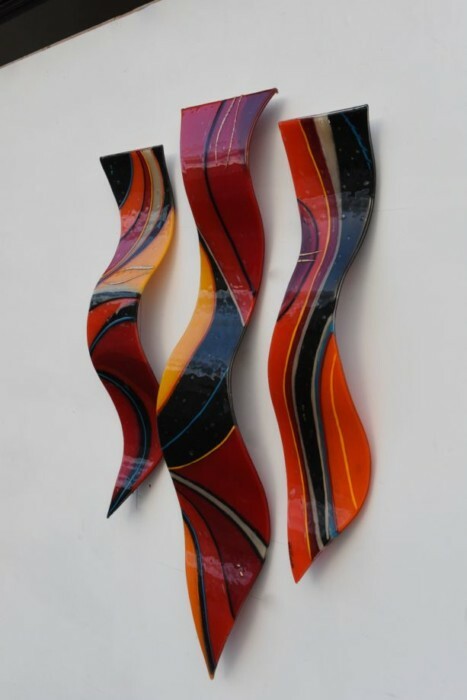 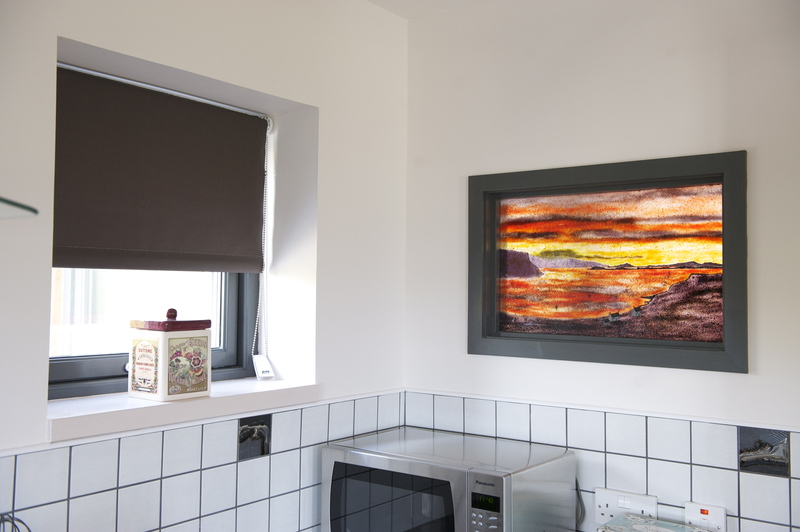 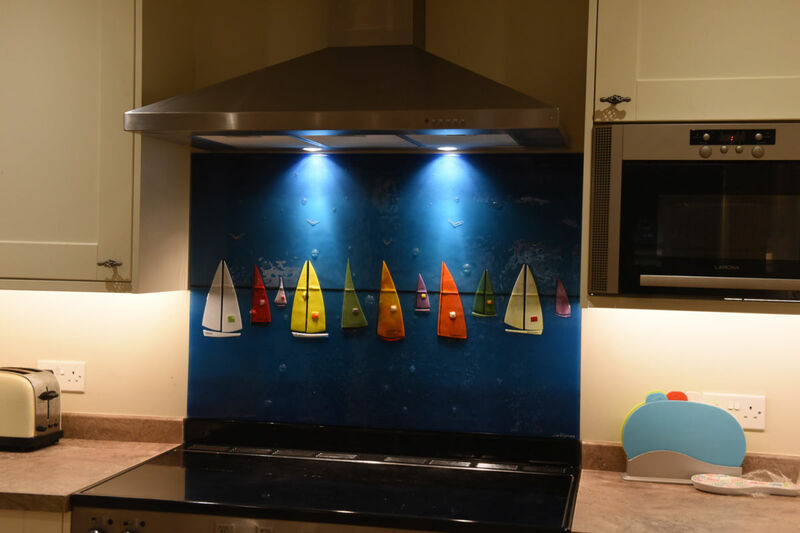 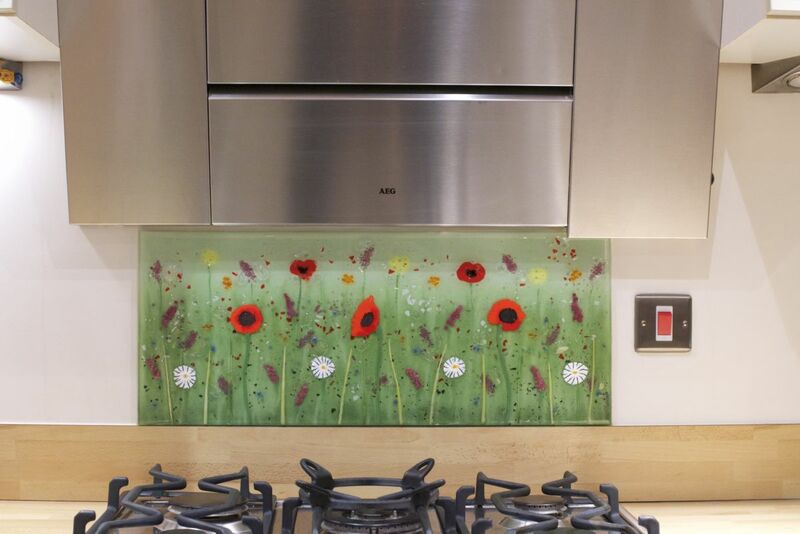 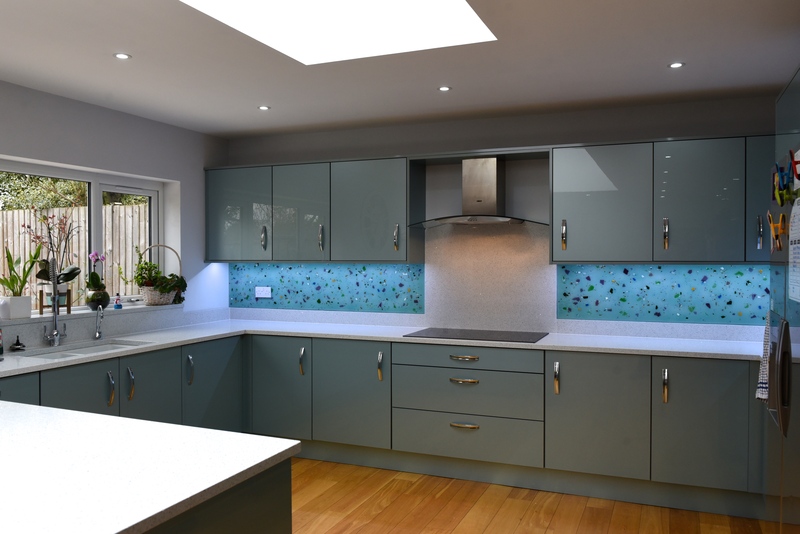 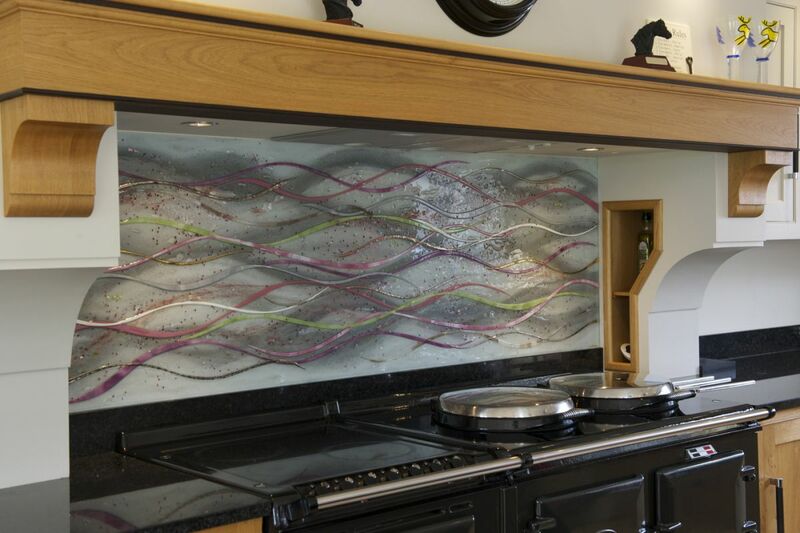 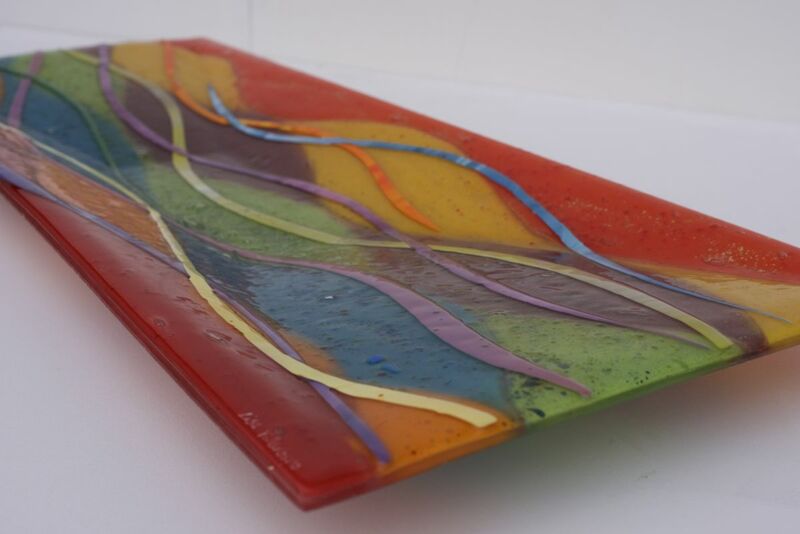 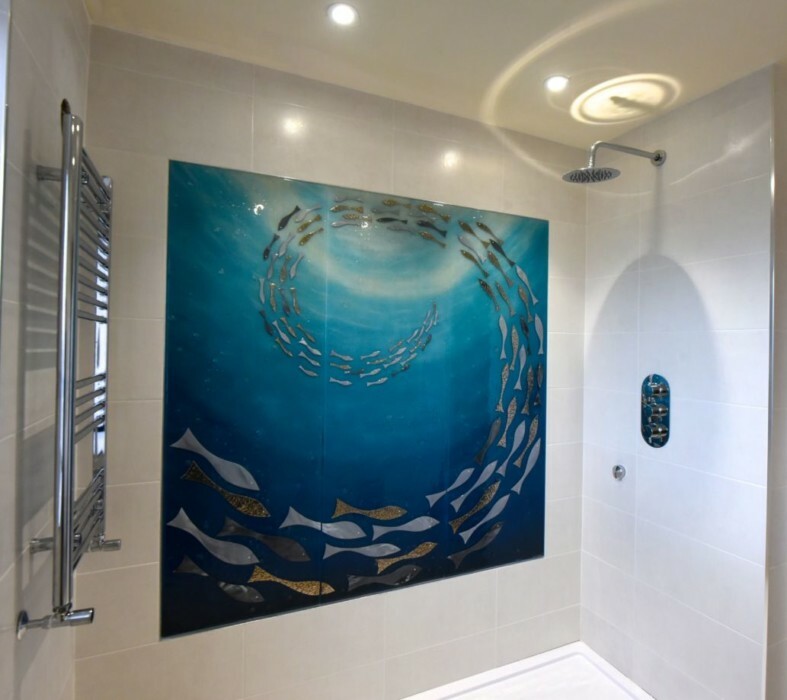 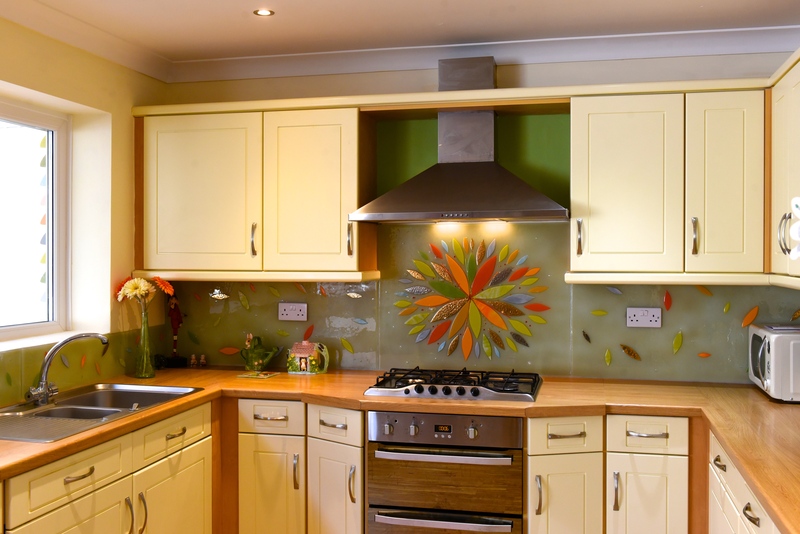 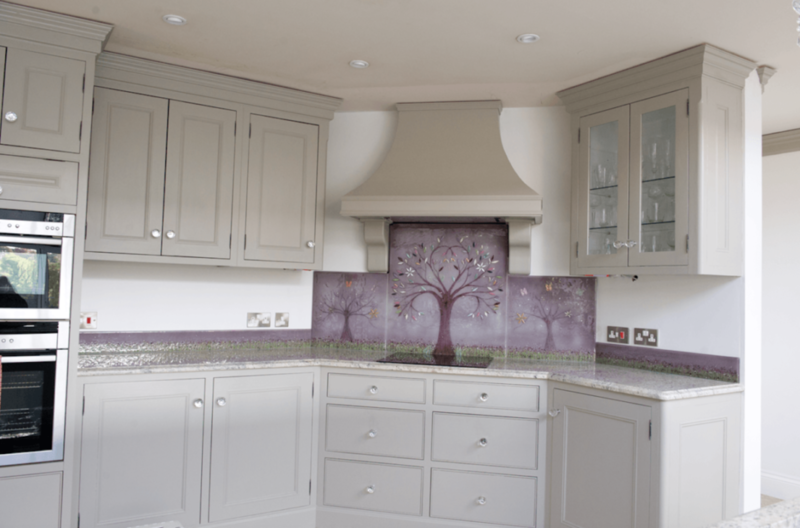 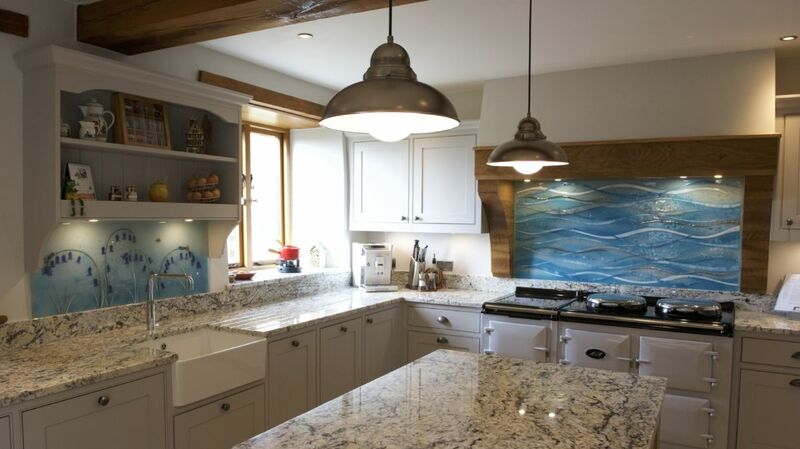 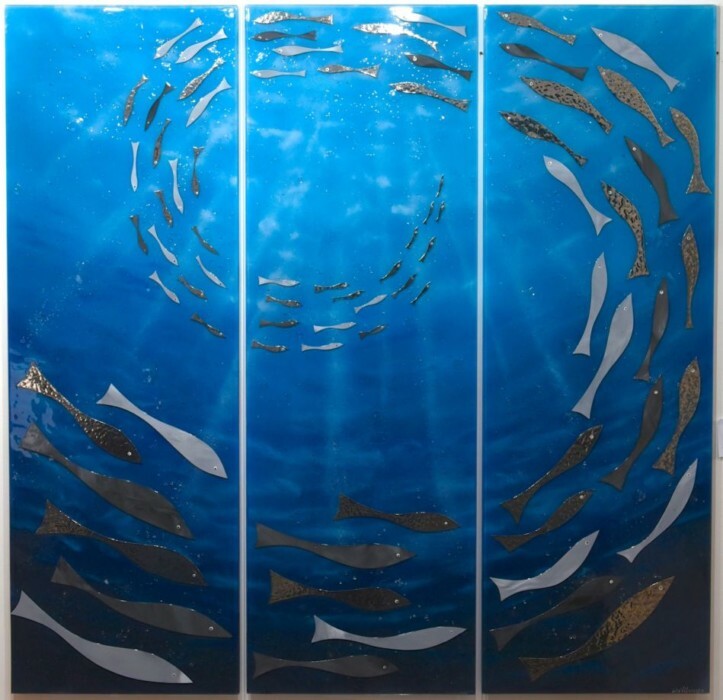 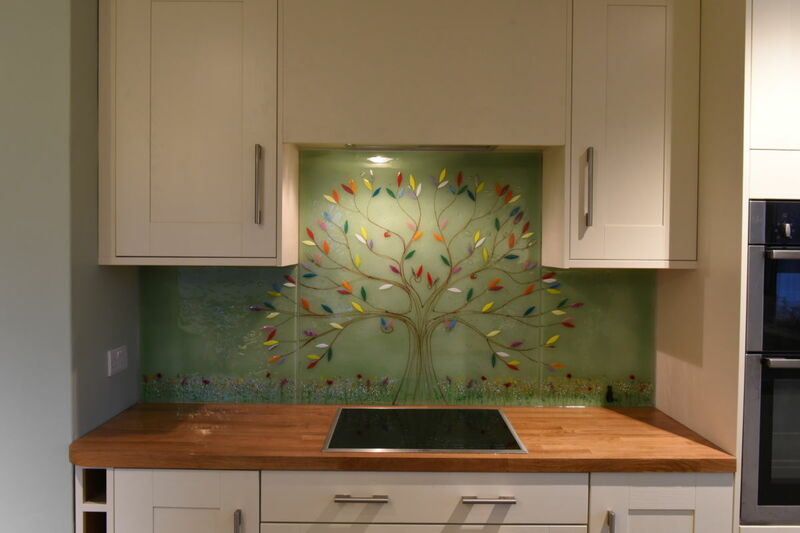 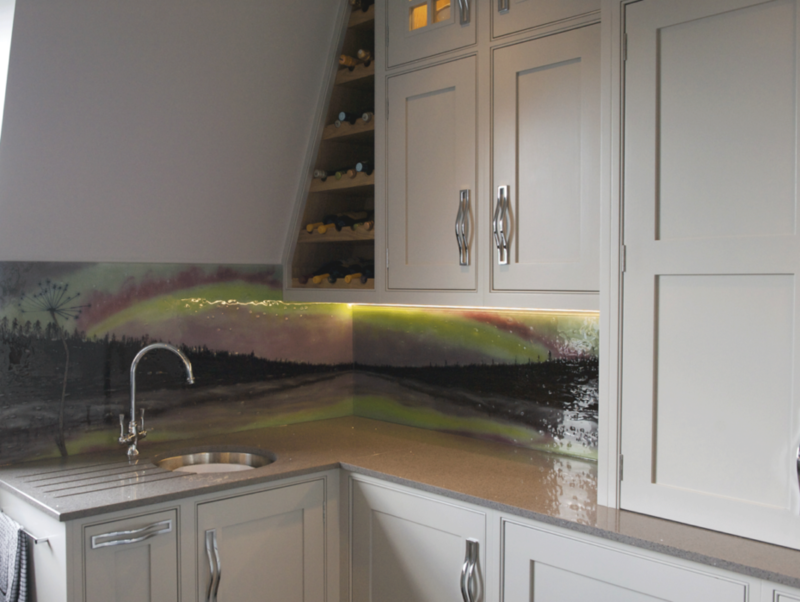 If you’d love to put a gorgeously bespoke glass splashback just like this in your own home, make sure The House of Ugly Fish is the first name on your list of places to turn to. 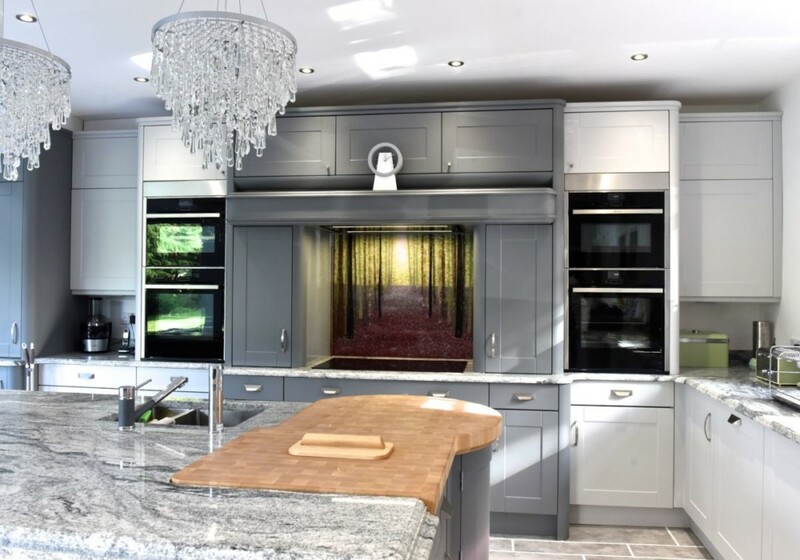 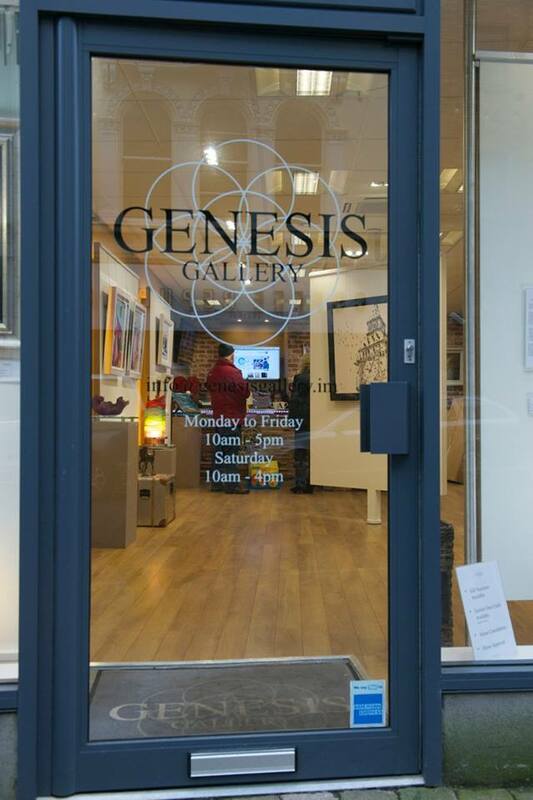 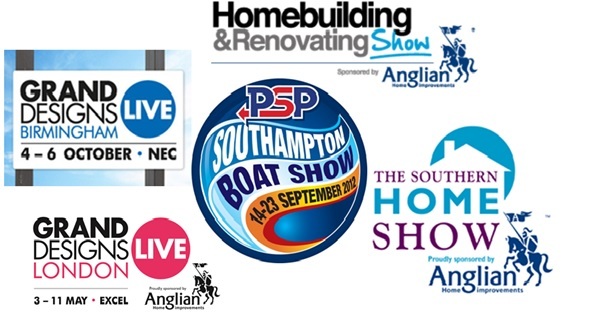 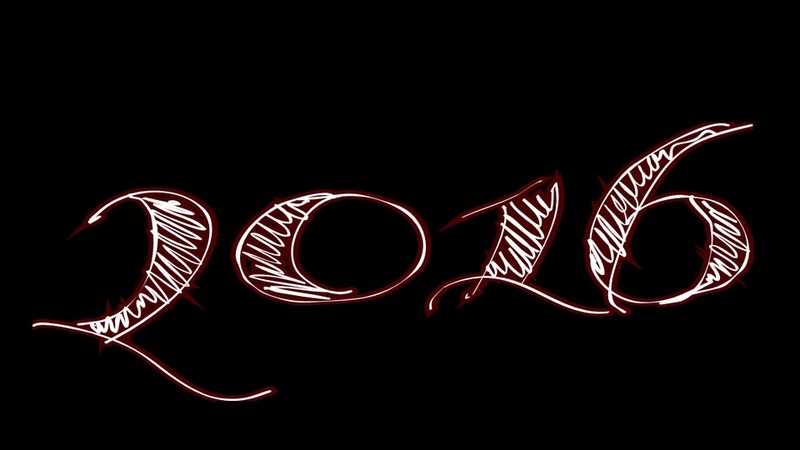 We’re looking forward to hearing from you, so make sure you don’t wait too long to pick up the phone or drop us an email!